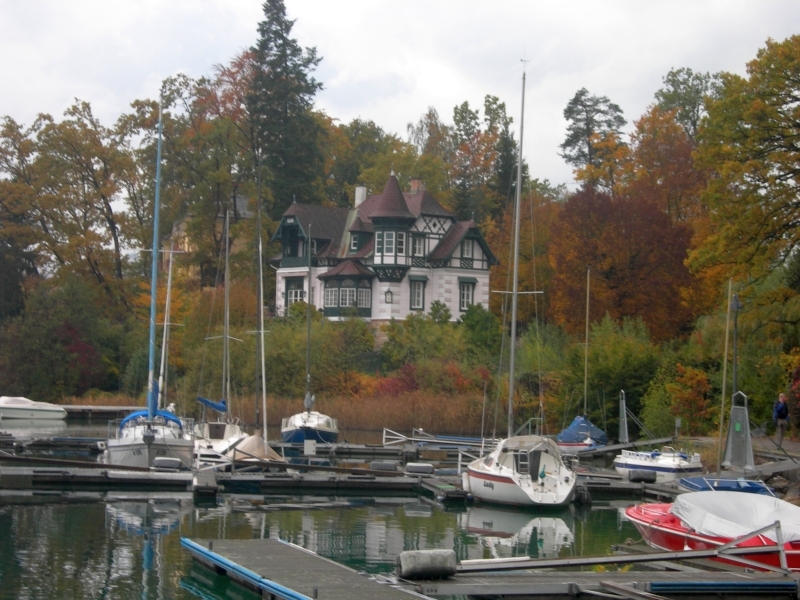 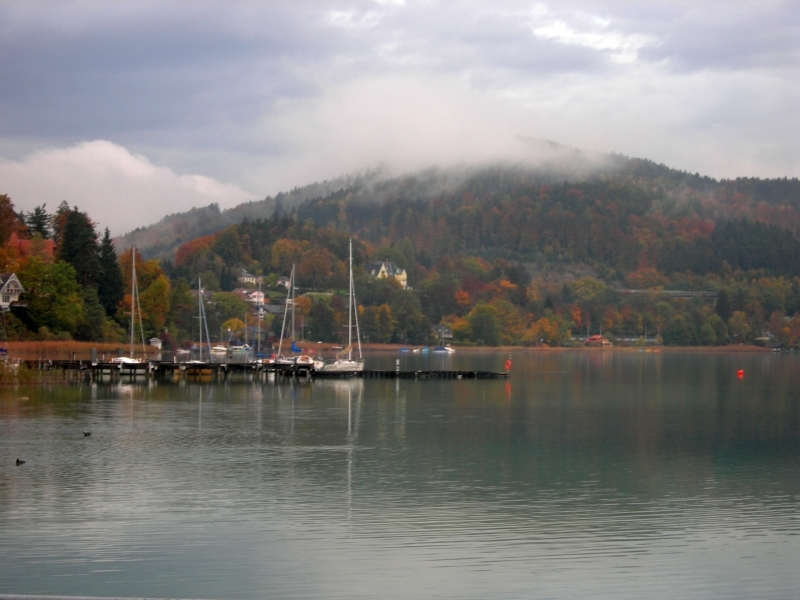 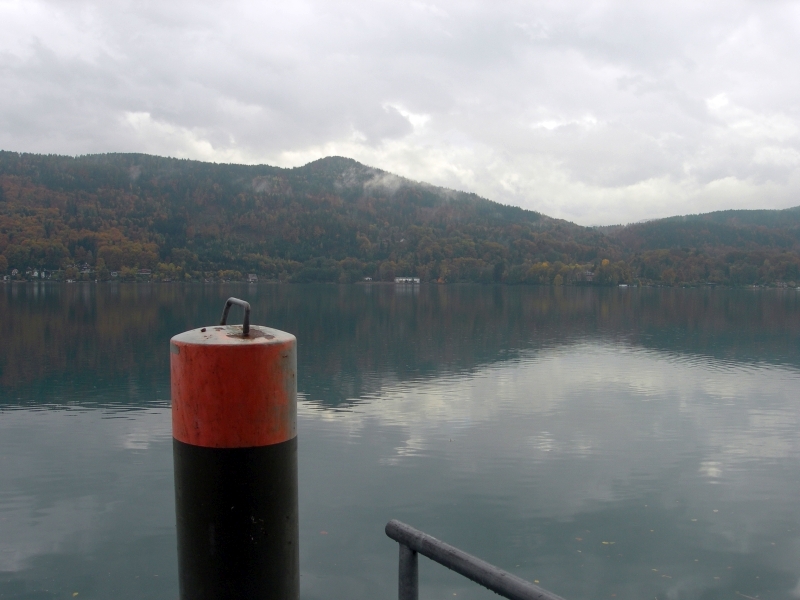 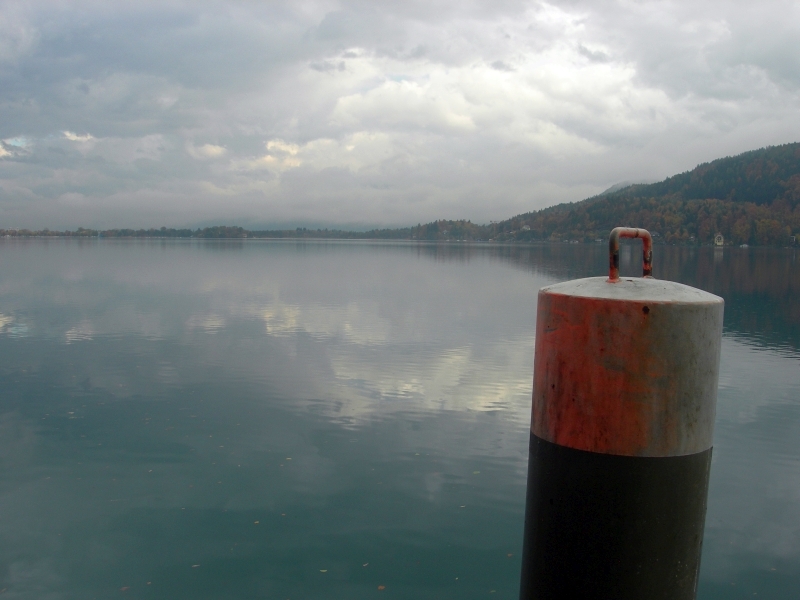 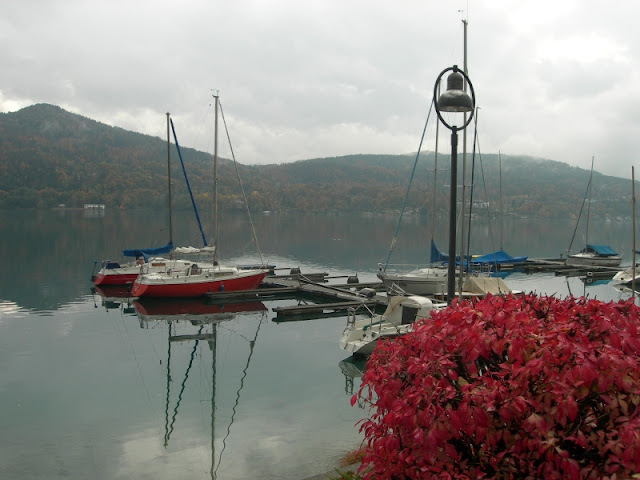 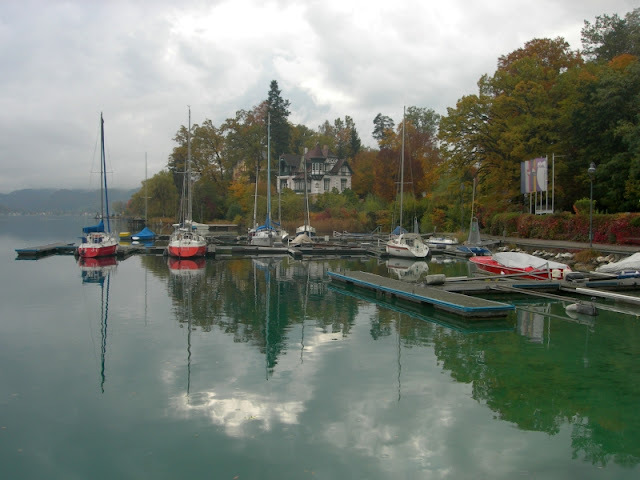 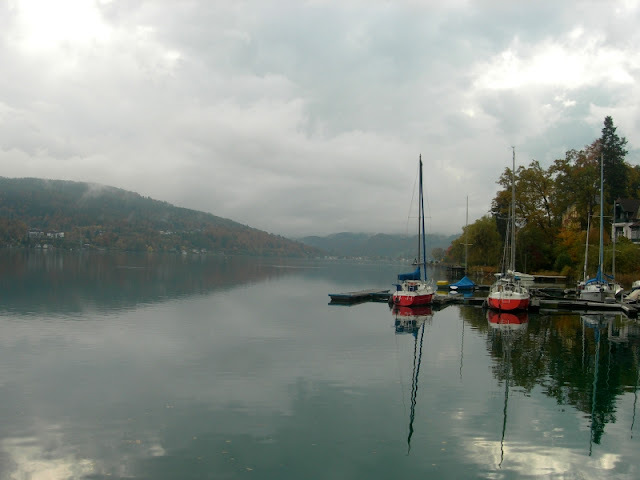 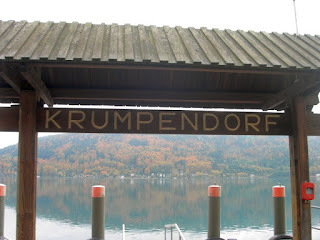 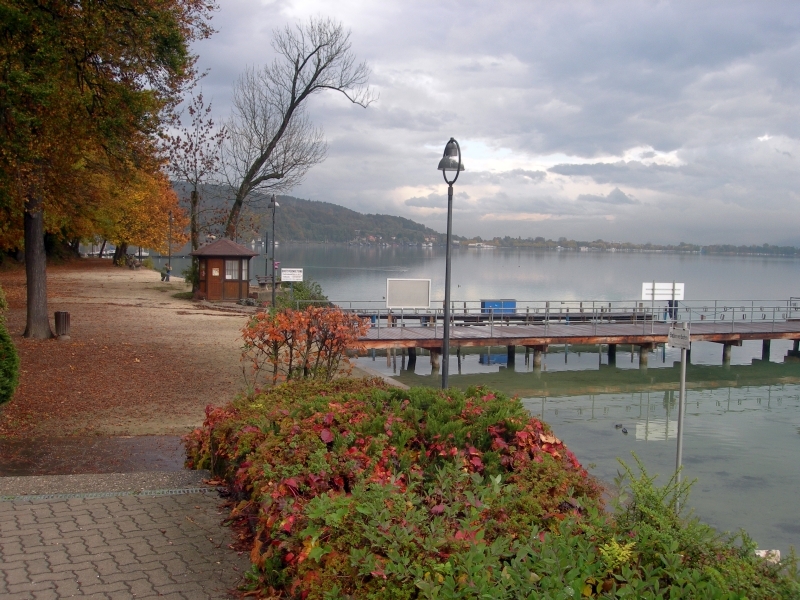 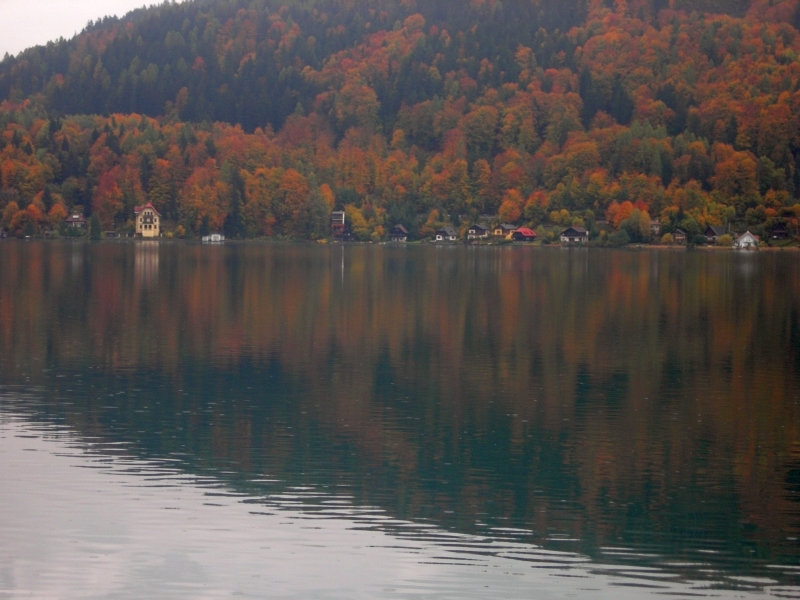 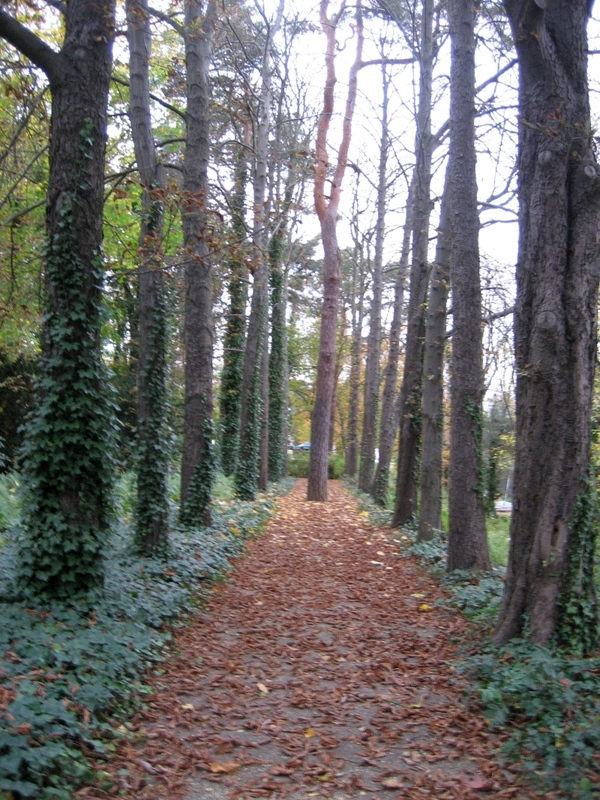 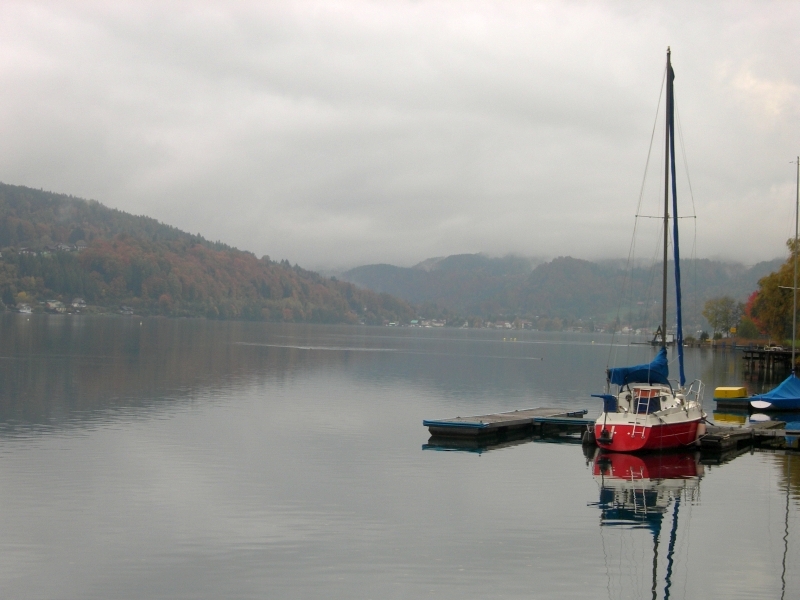 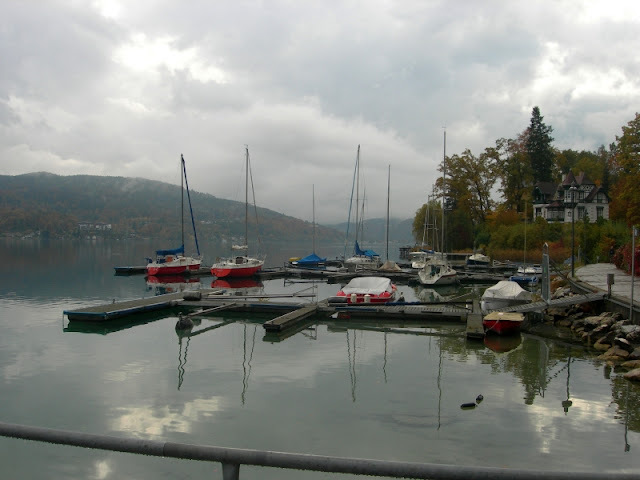 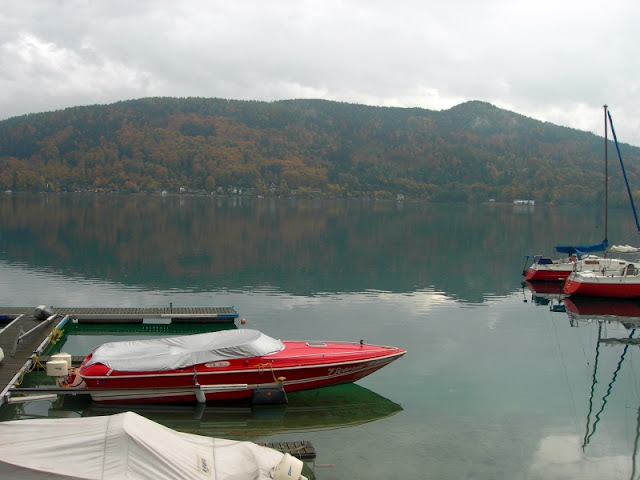 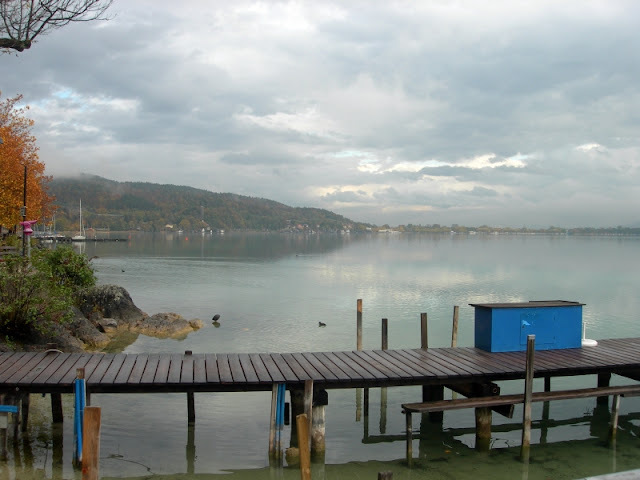 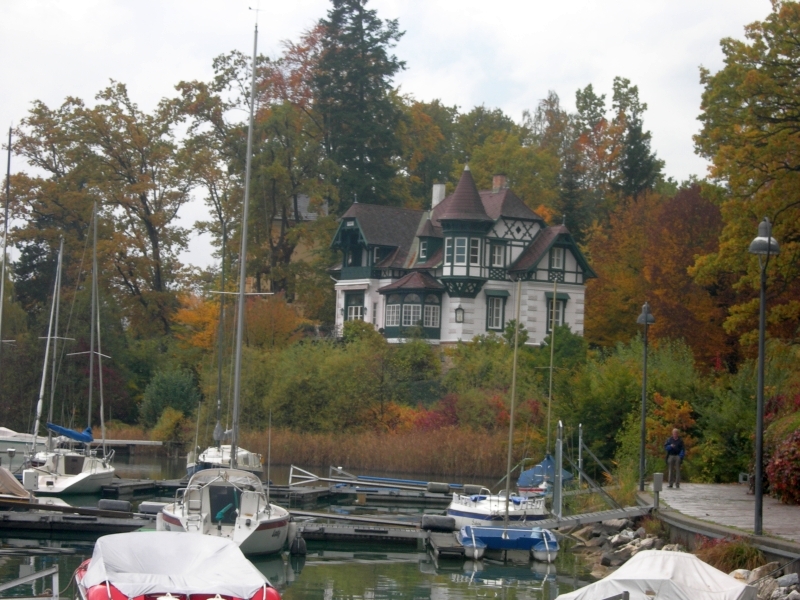 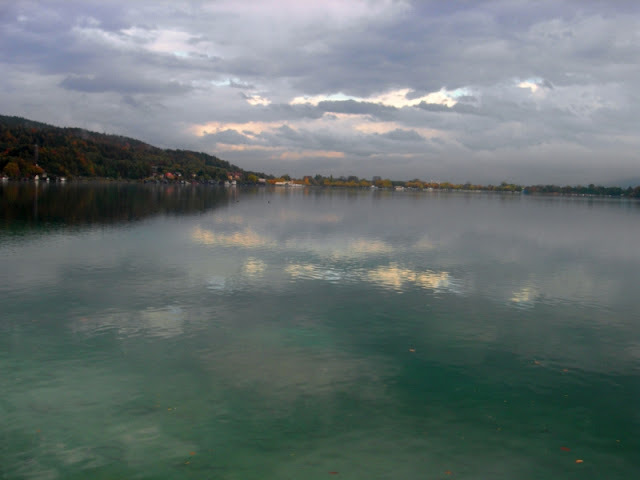 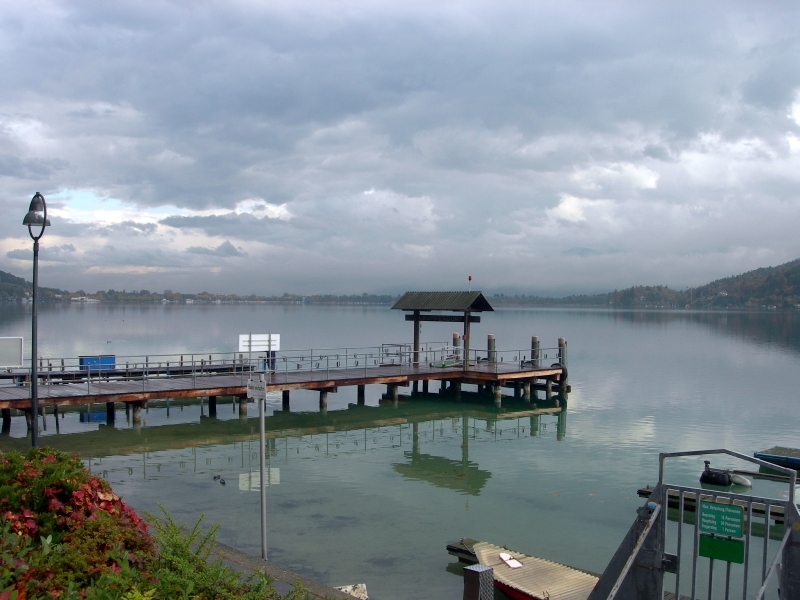 Krumpendorf stretches along the northern shore of Wörthersee, Carinthia's largest bathing lake. 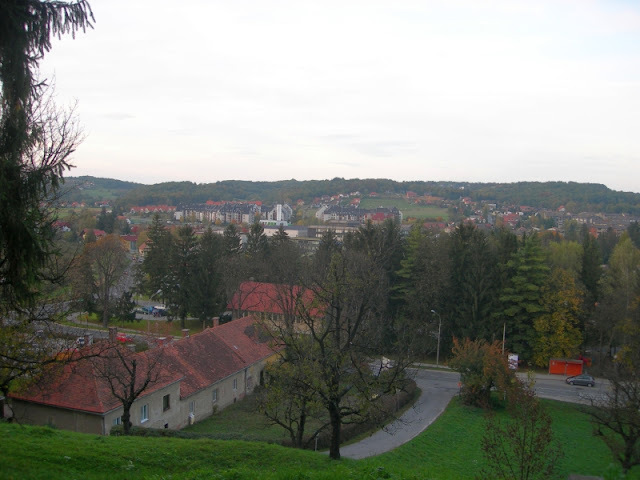 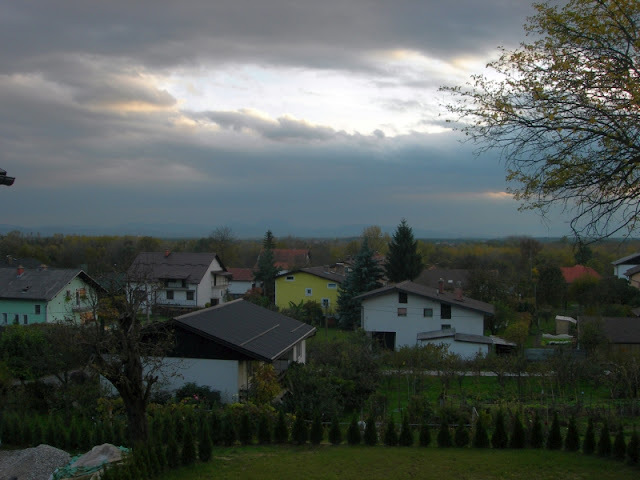 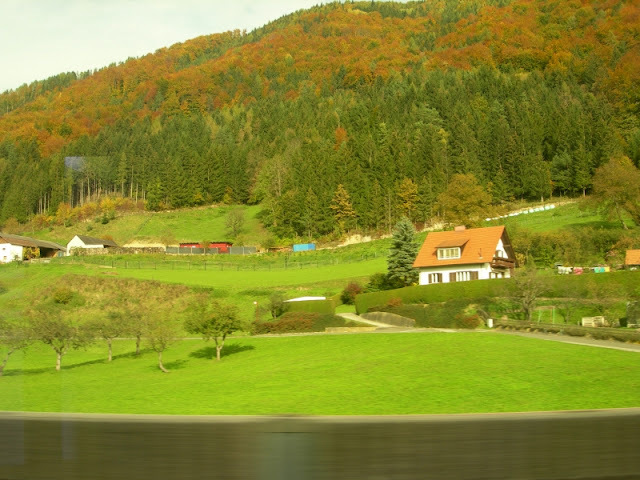 The municipal area with 11.86 km2 (4.58 sq mi) is the smallest of all Carinthian municipalities. 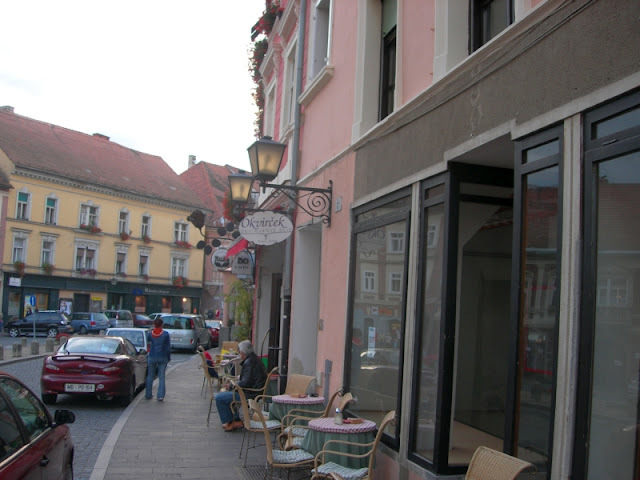 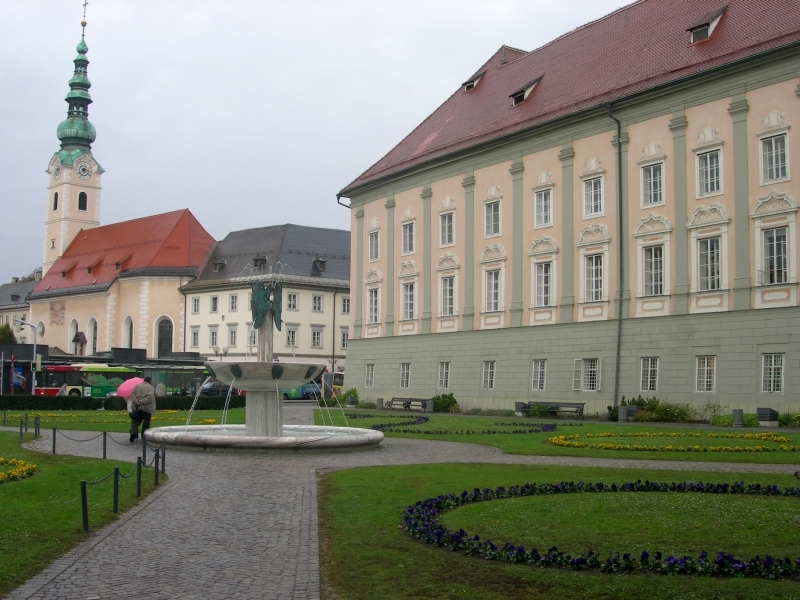 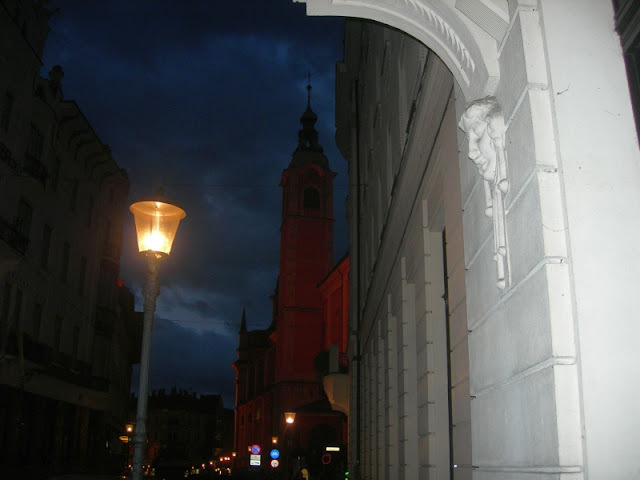 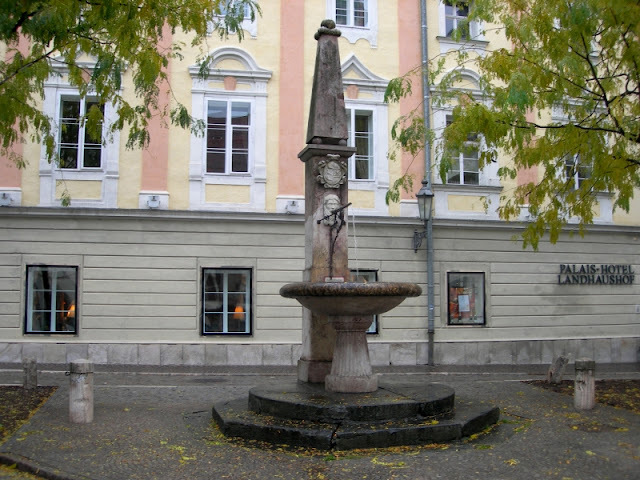 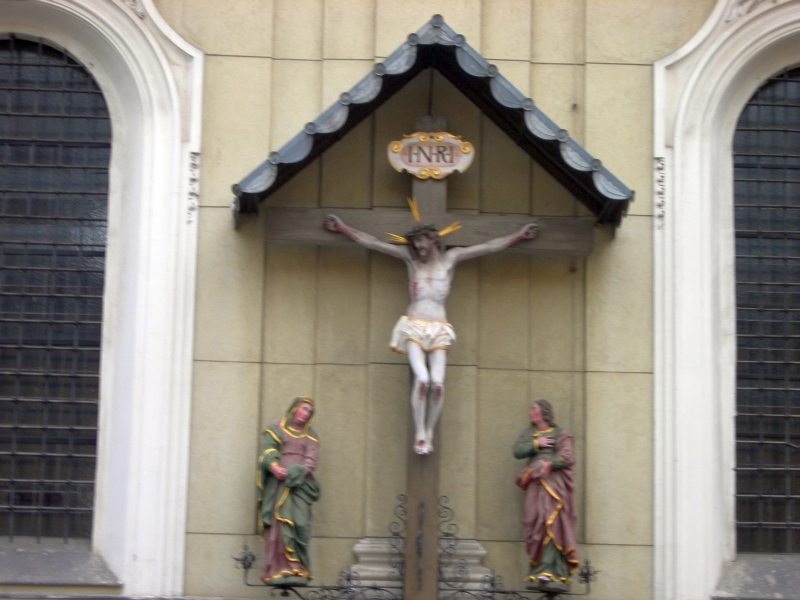 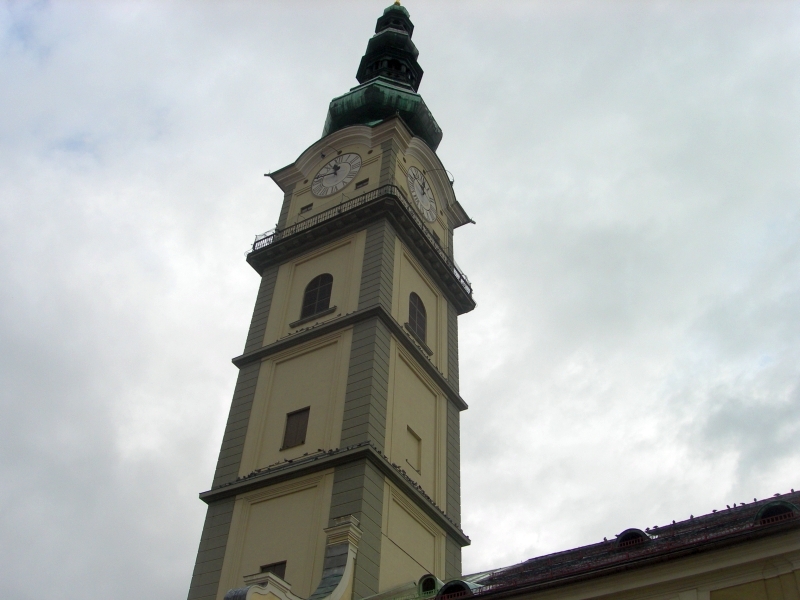 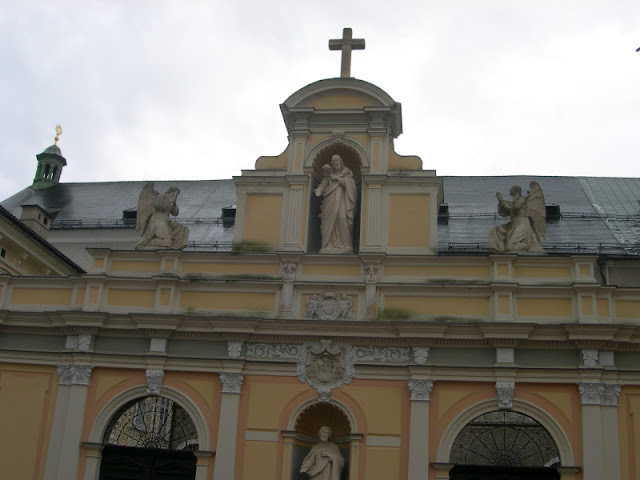 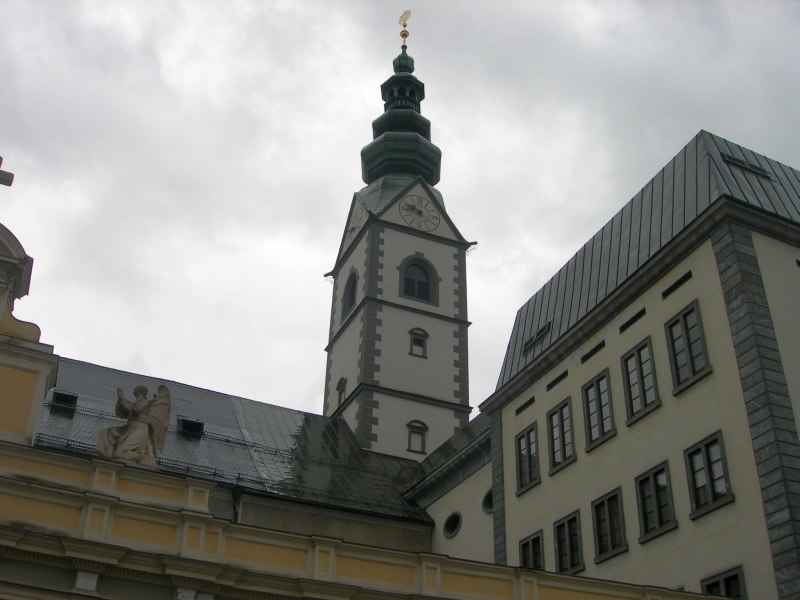 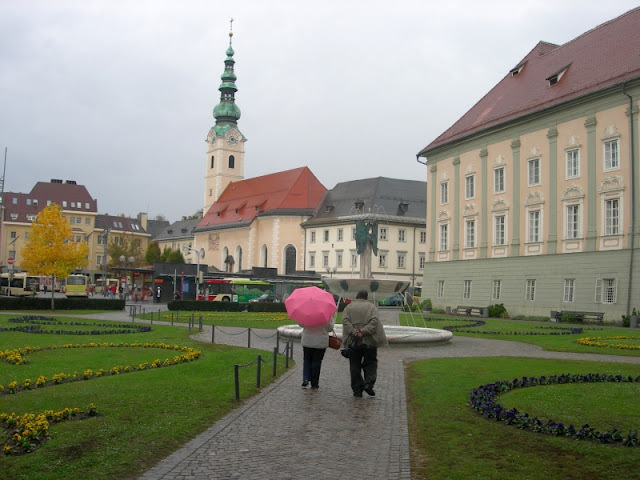 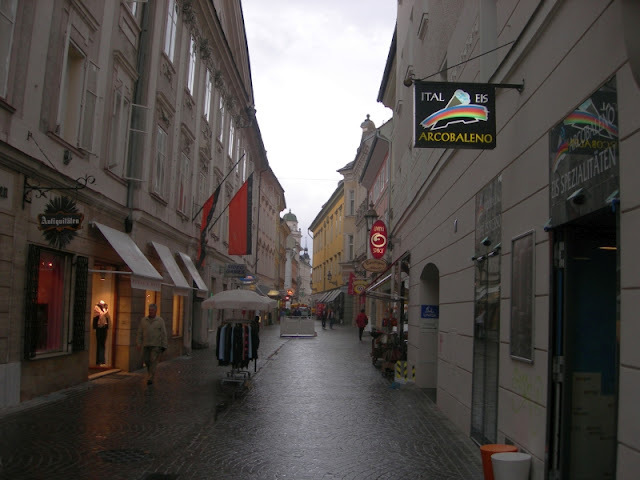 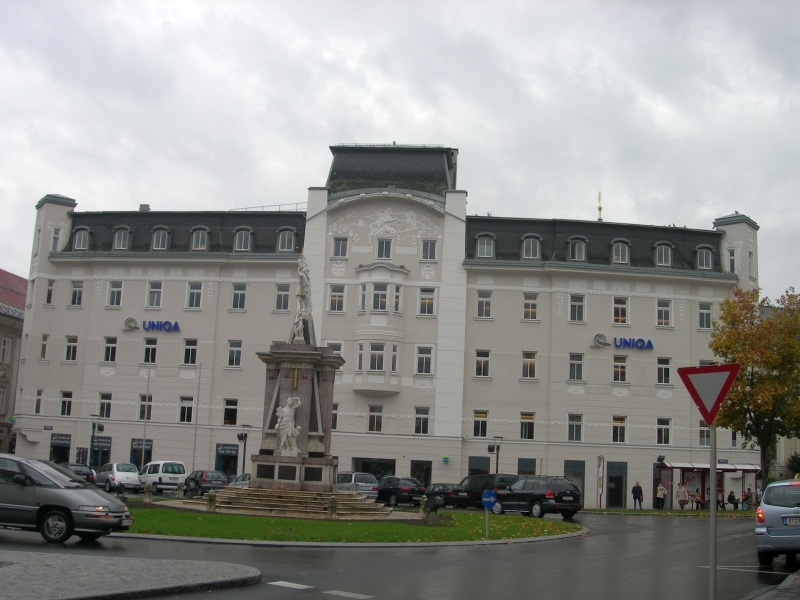 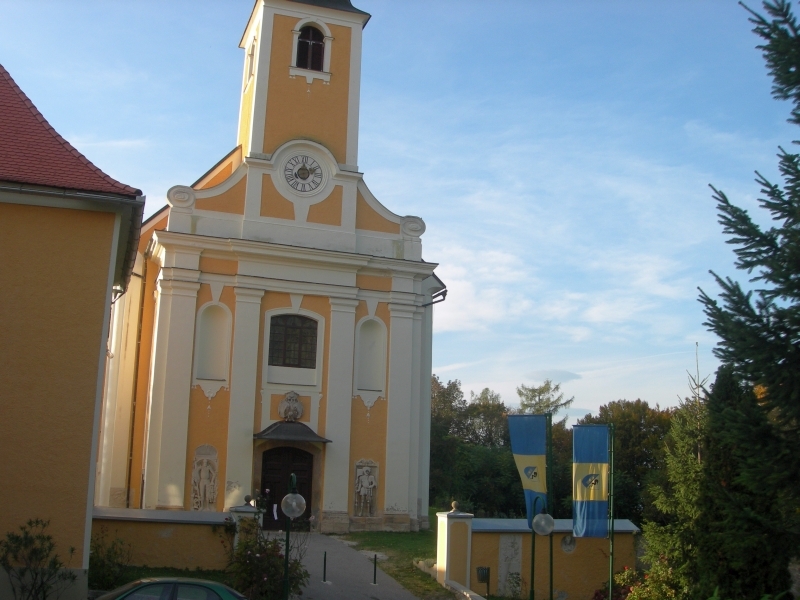 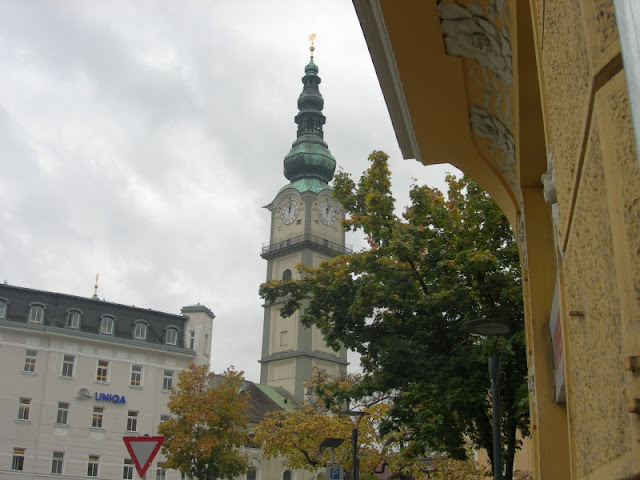 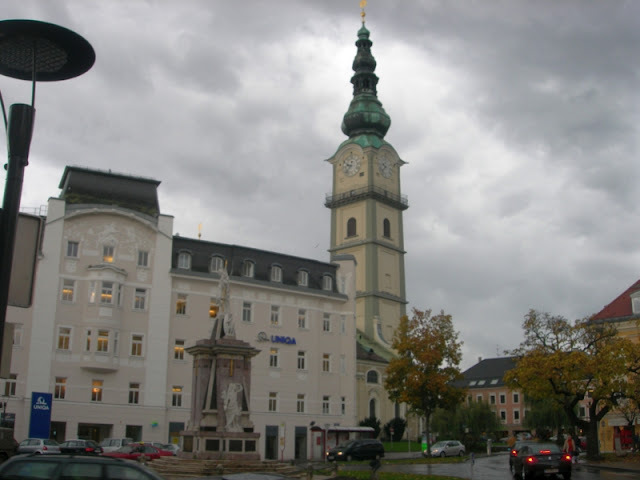 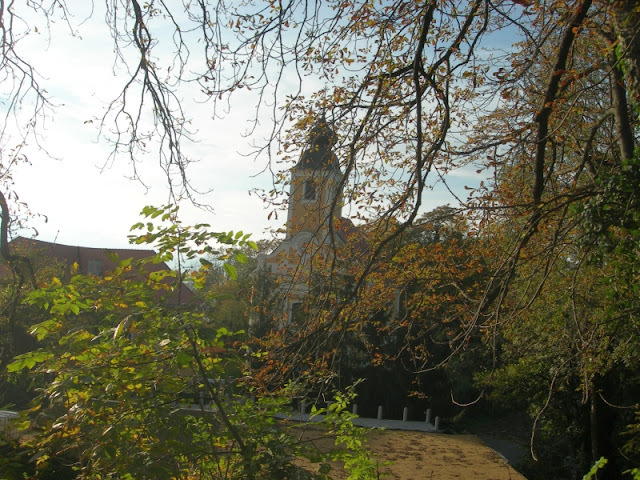 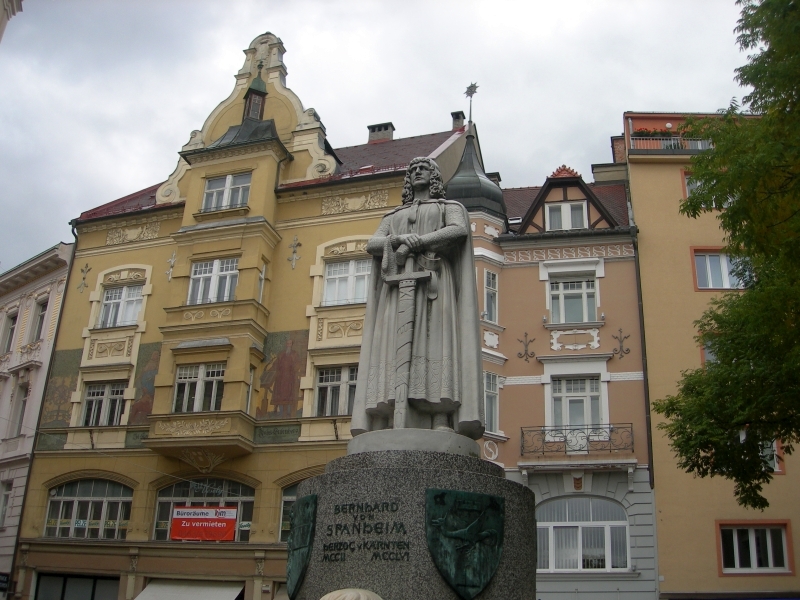 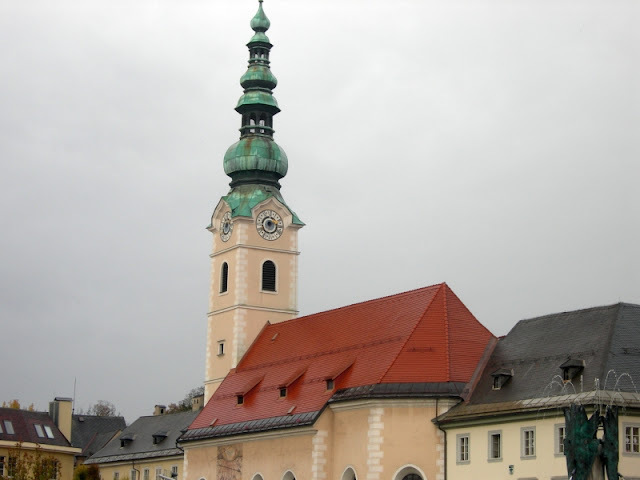 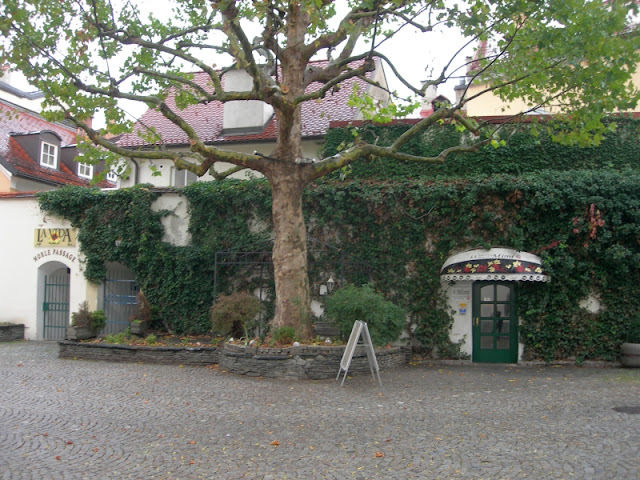 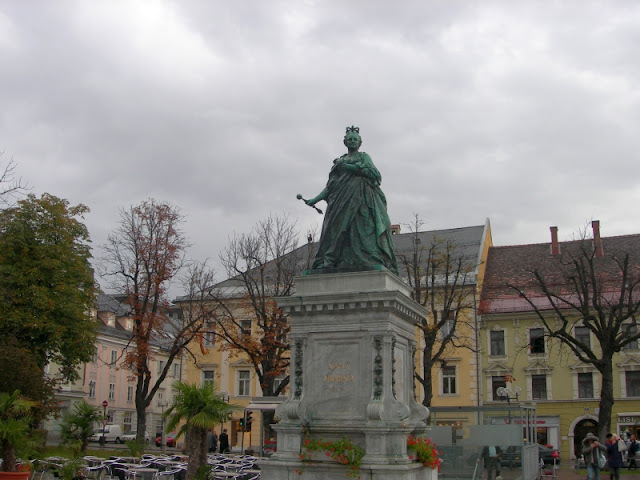 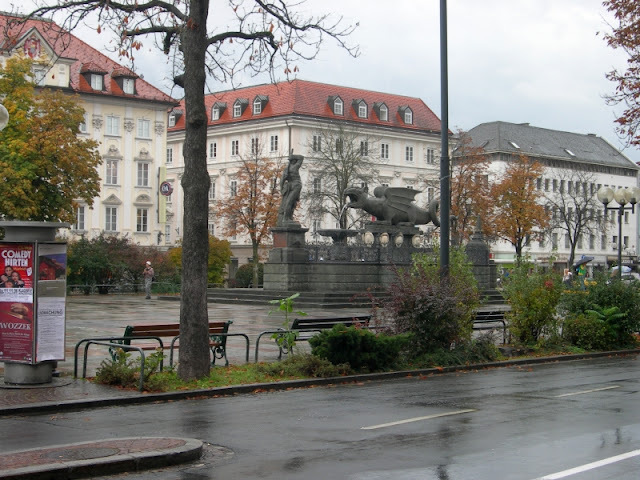 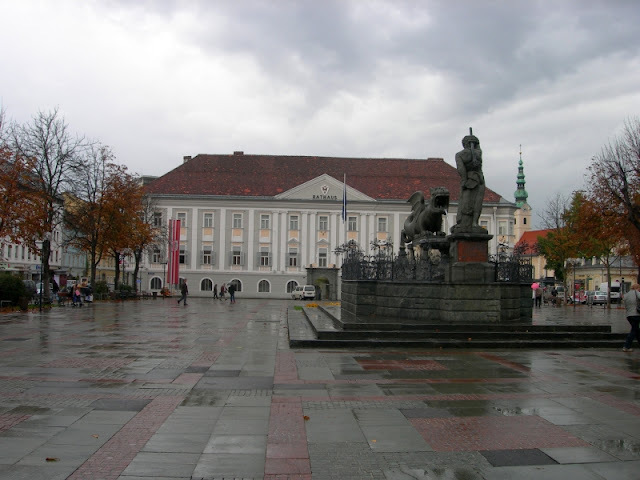 In the east, it borders on the state capital Klagenfurt. 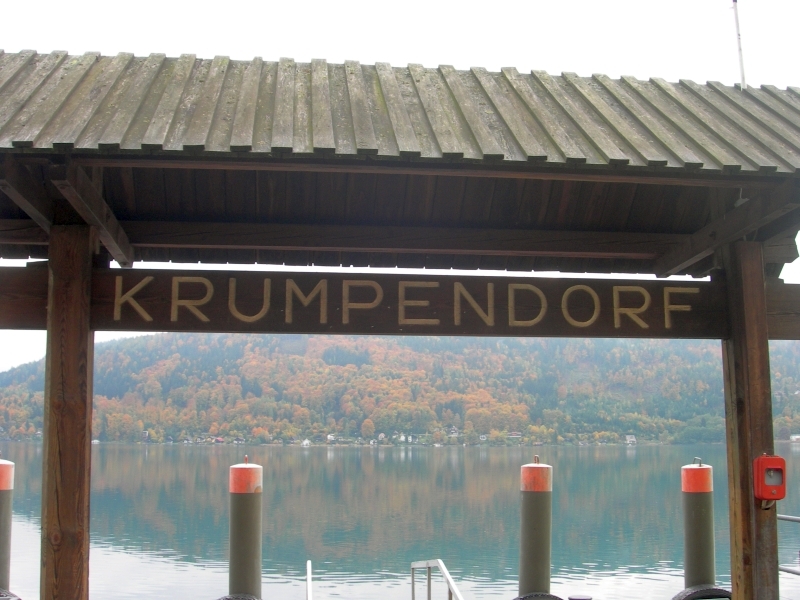 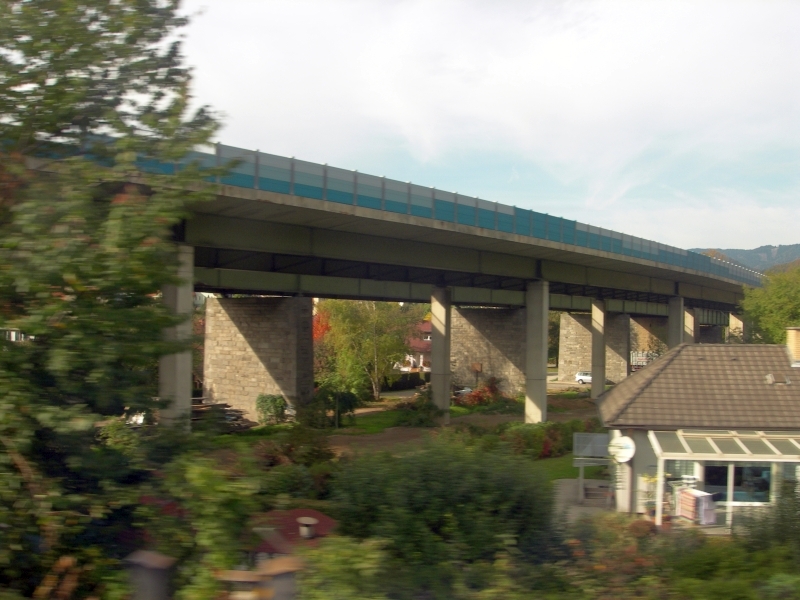 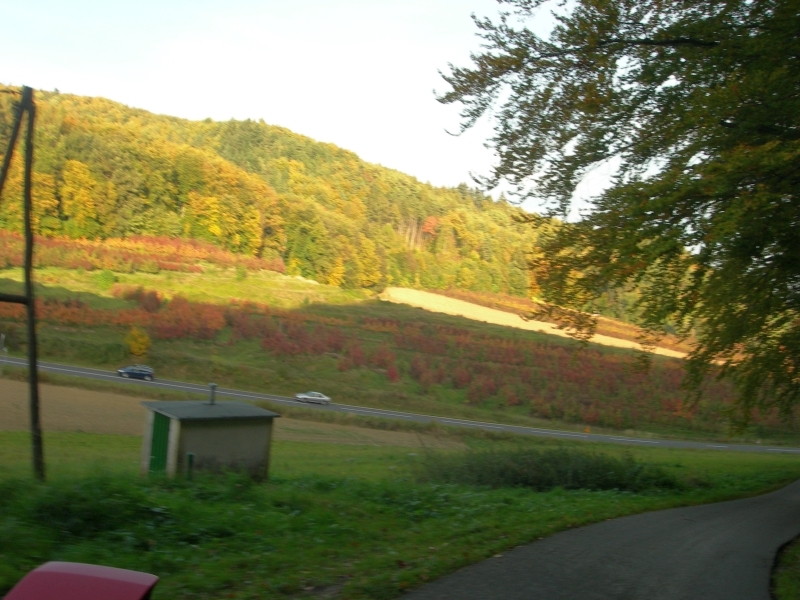 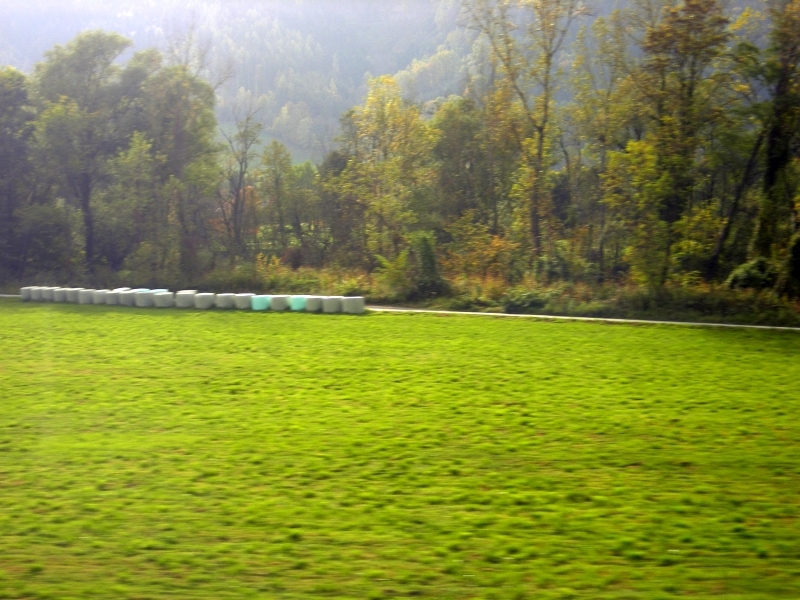 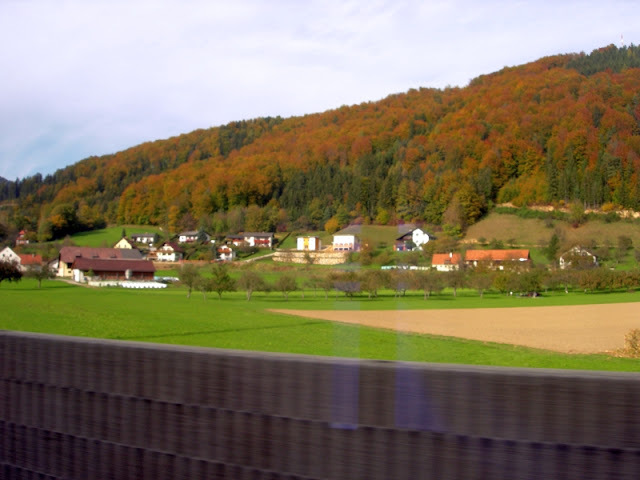 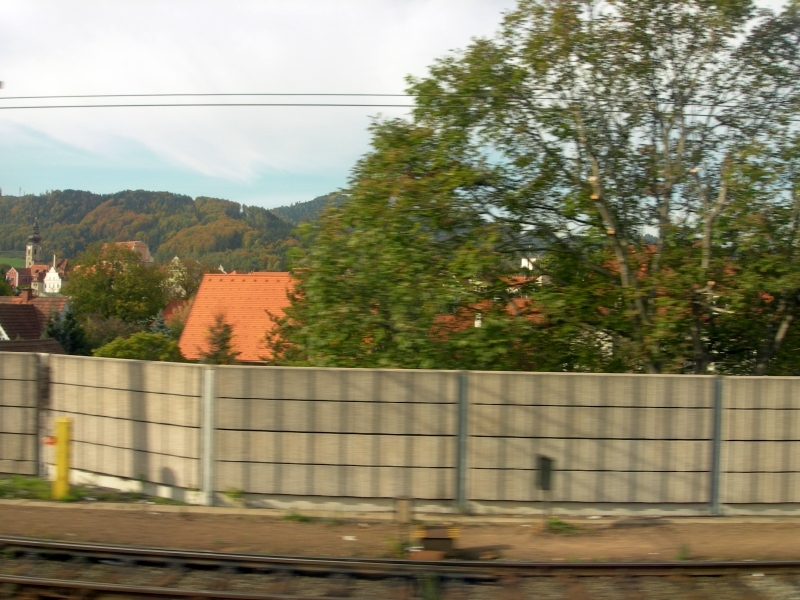 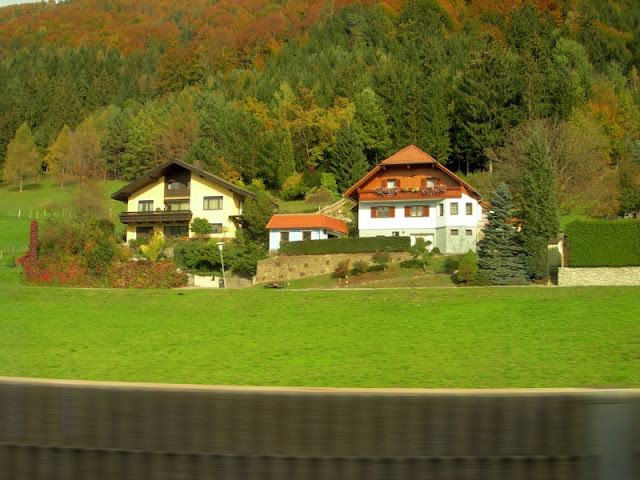 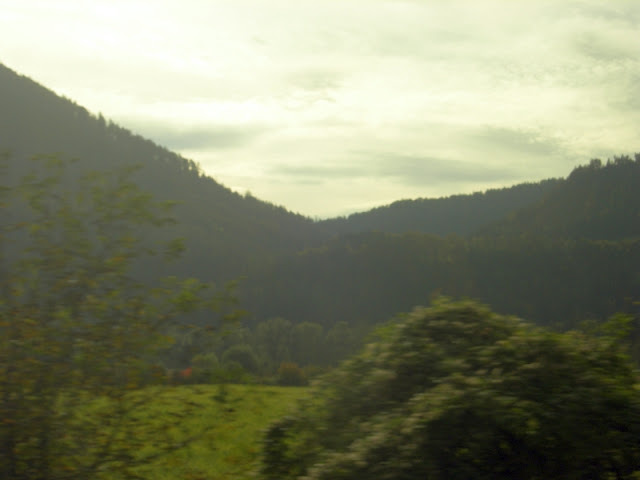 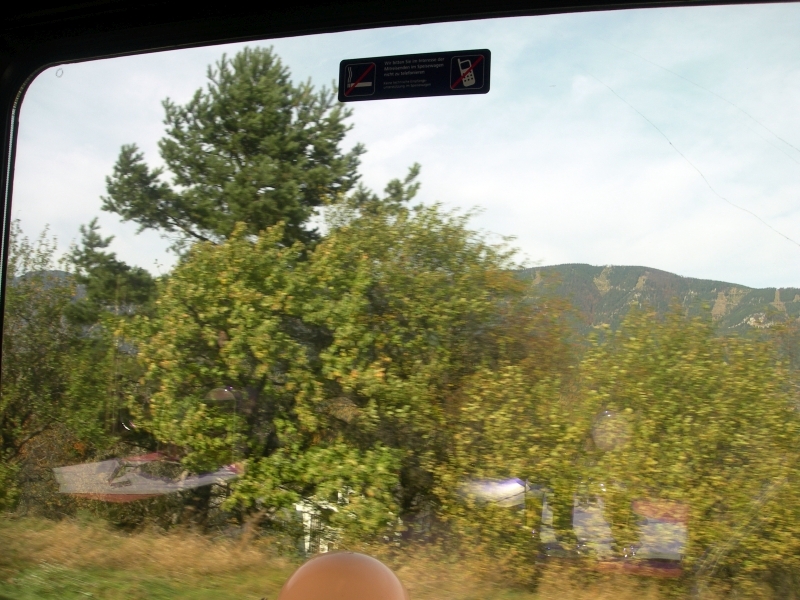 Krumpendorf can be reached via two junctions of the Süd Autobahn (A2) from Vienna to Villach and the border with Italy. 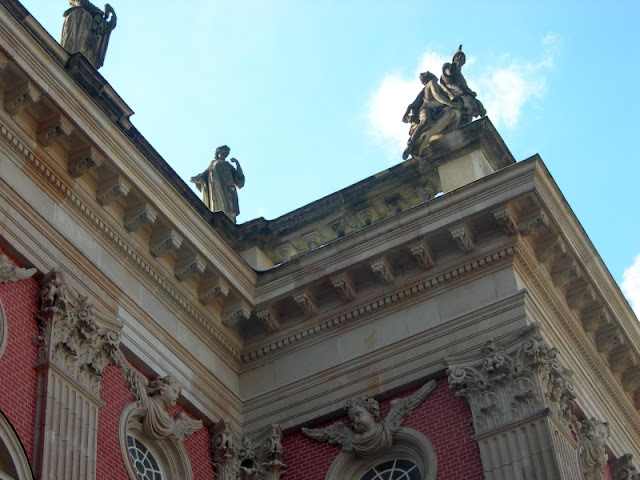 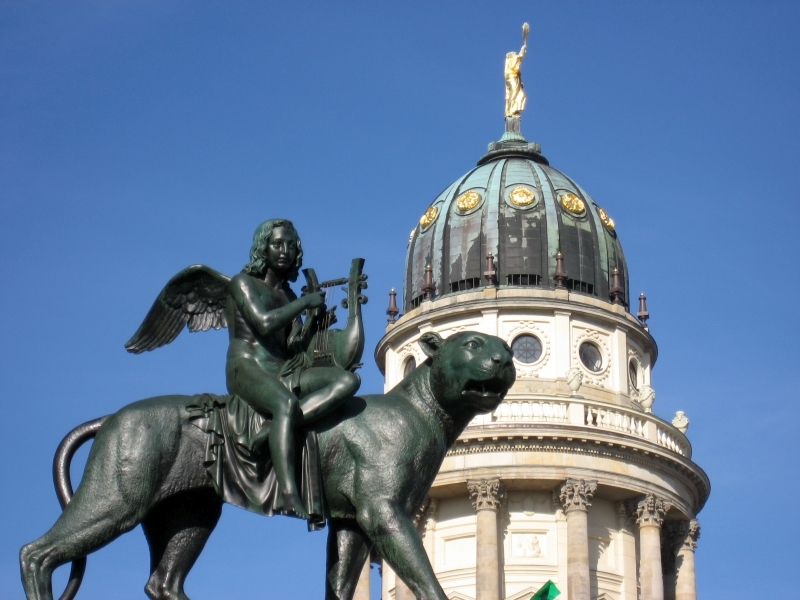 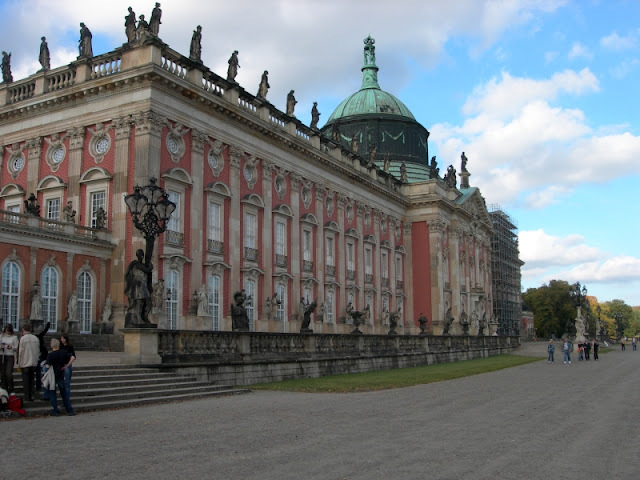 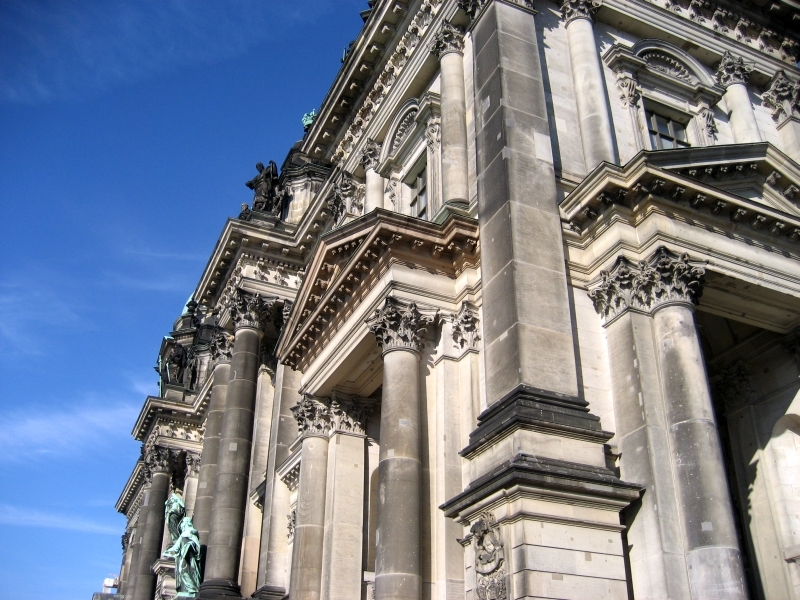 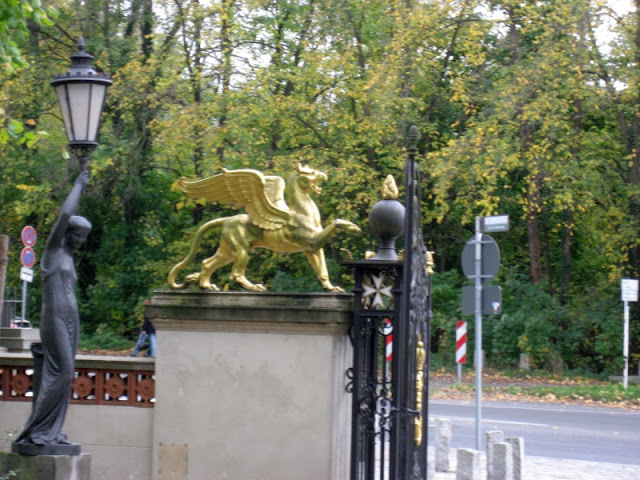 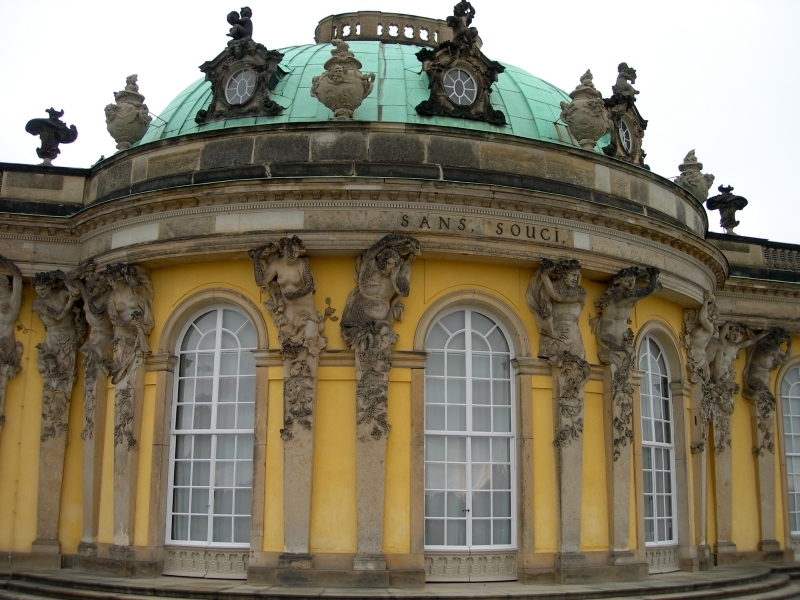 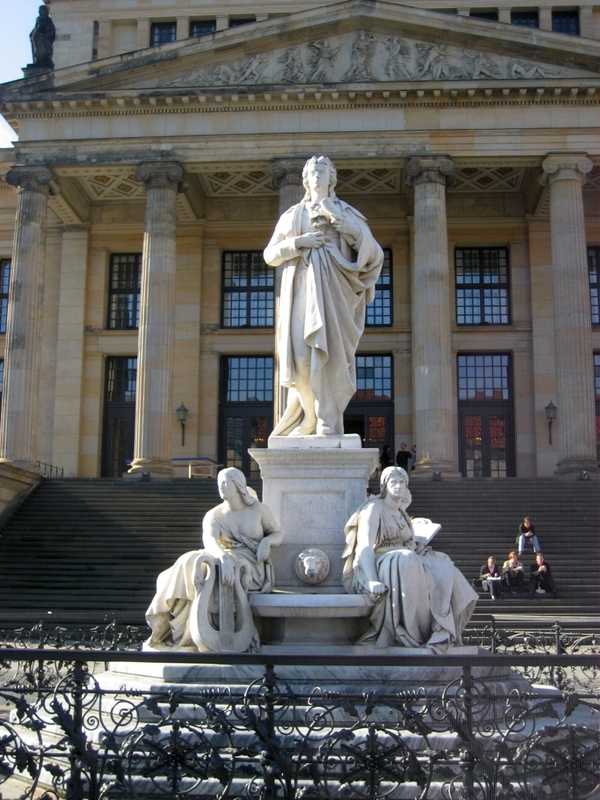 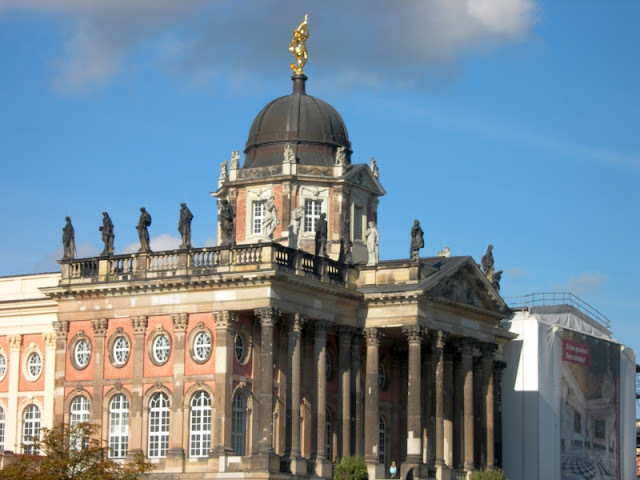 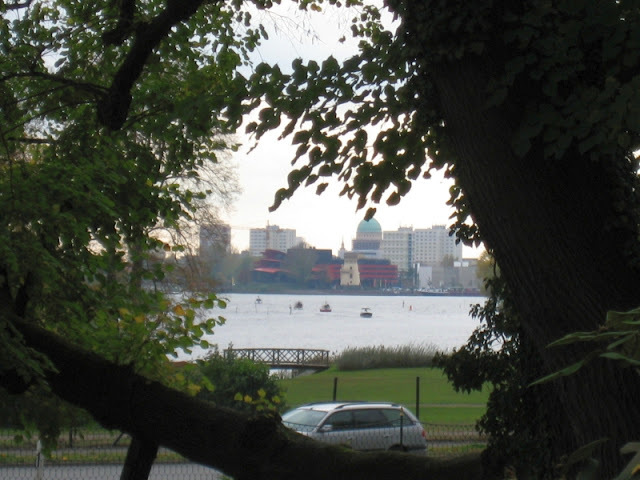 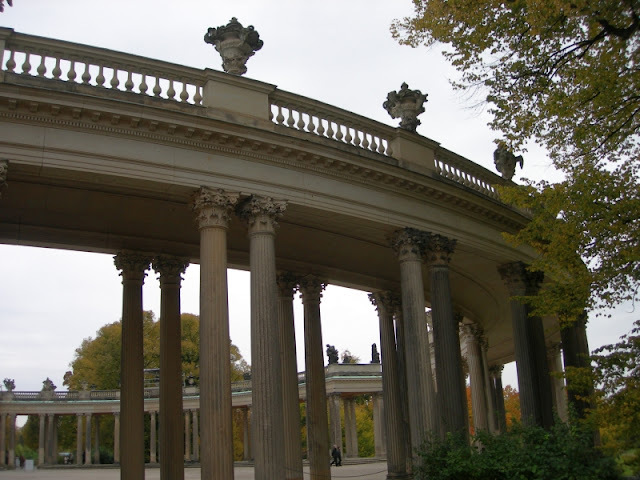 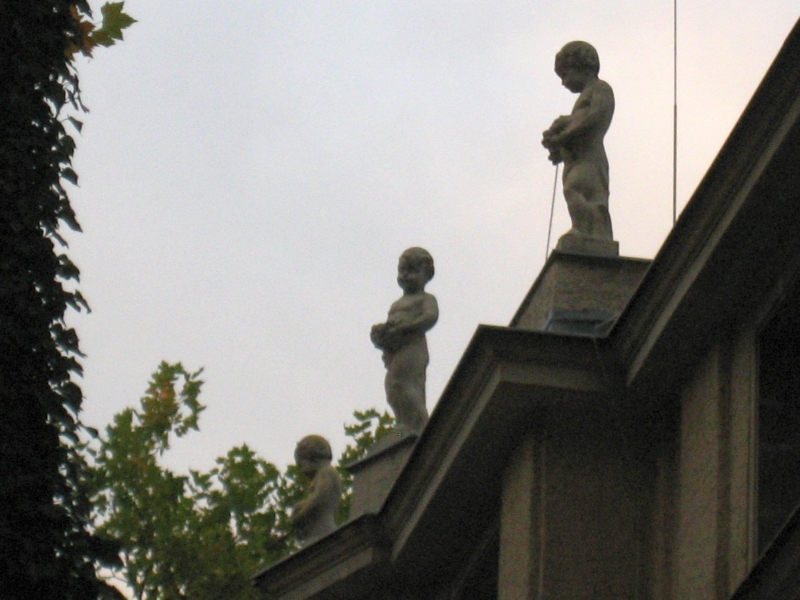 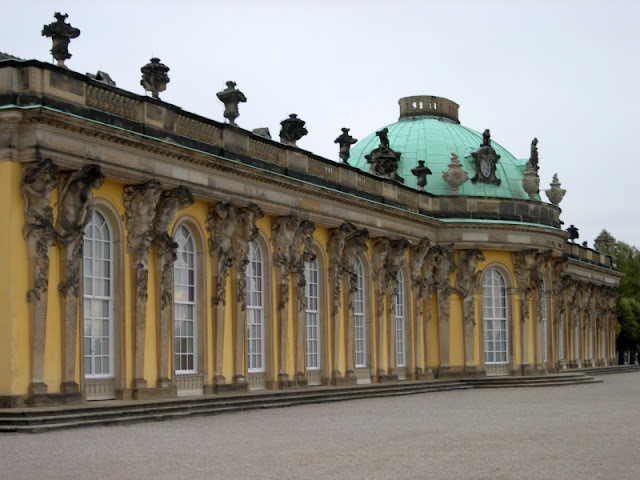 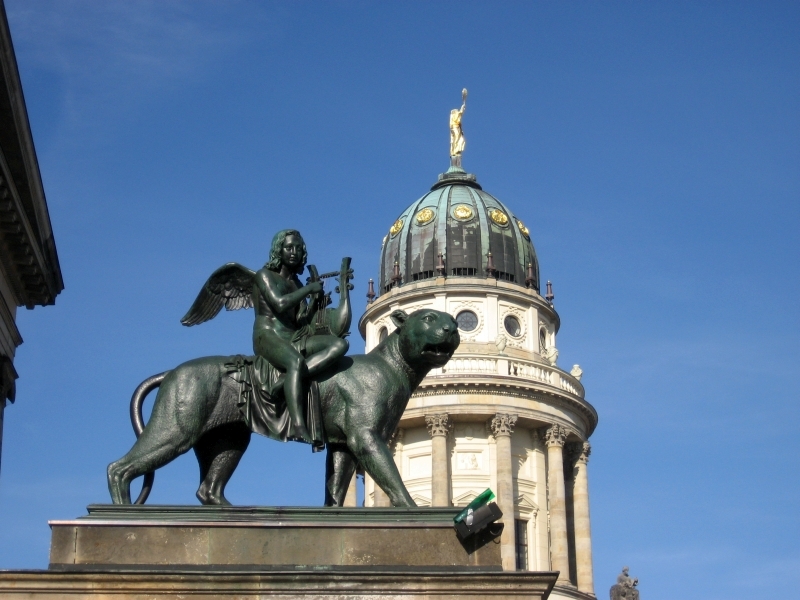 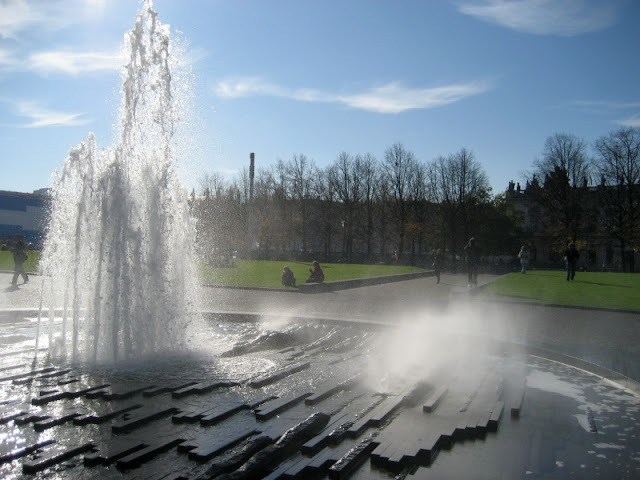 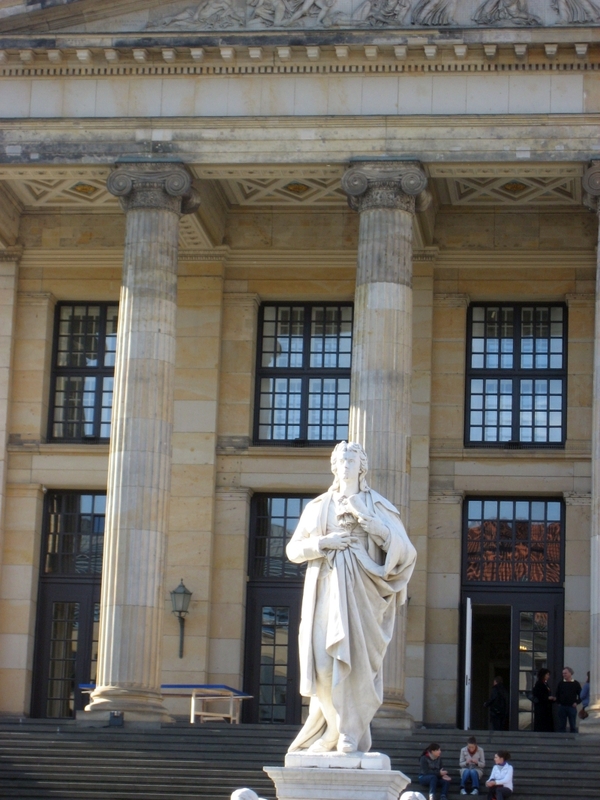 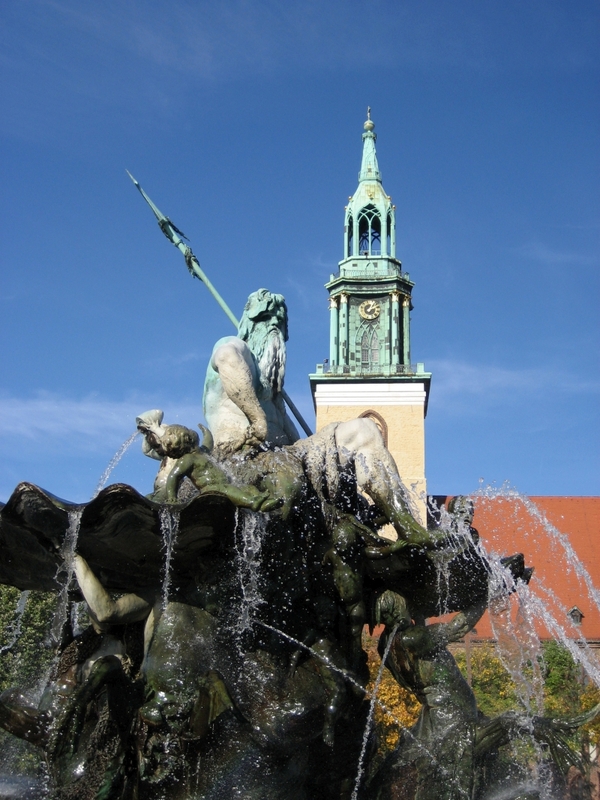 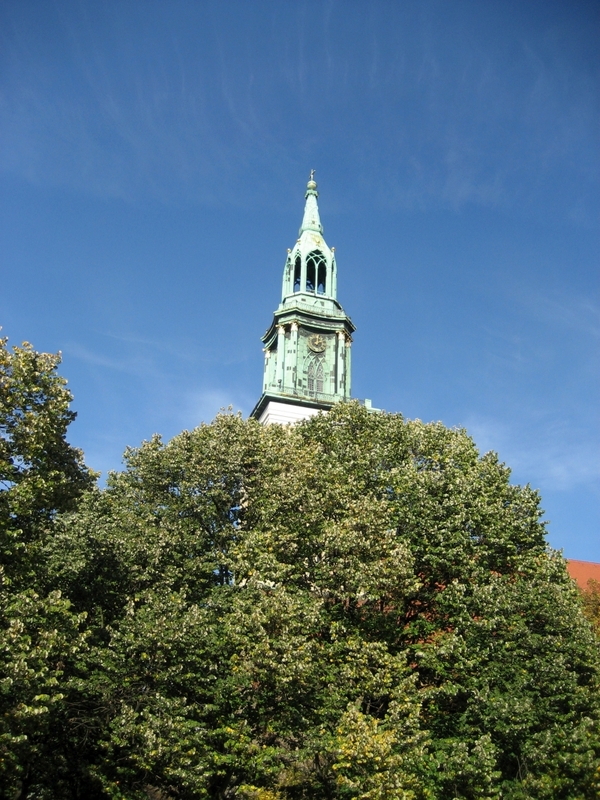 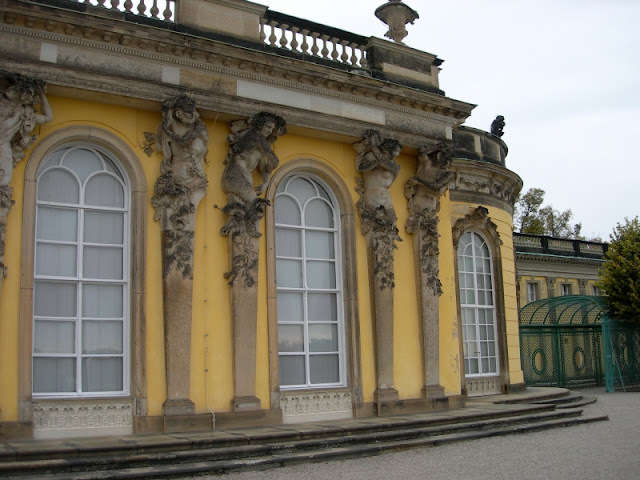 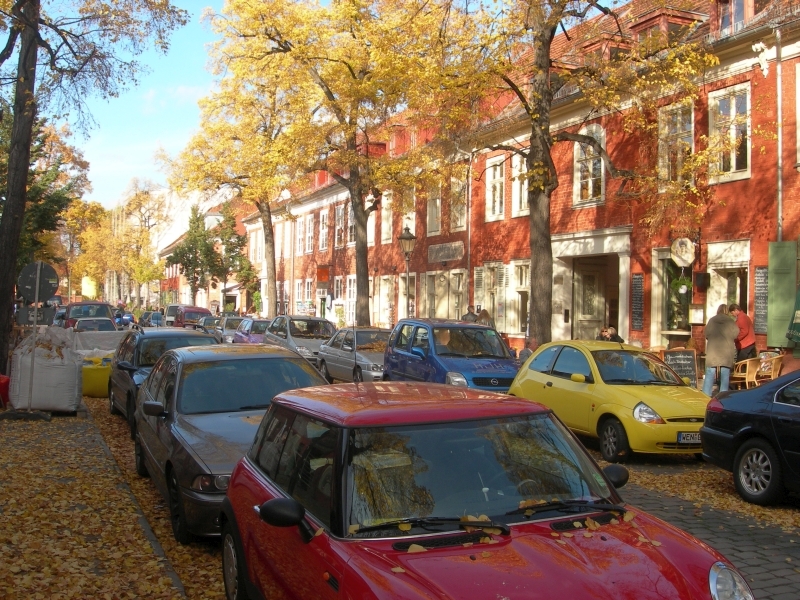 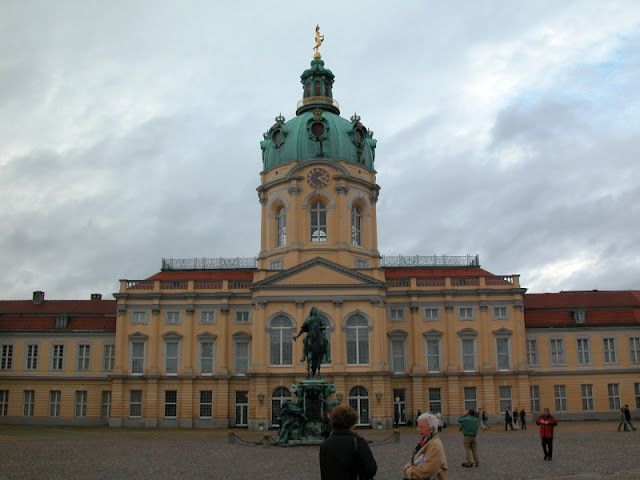 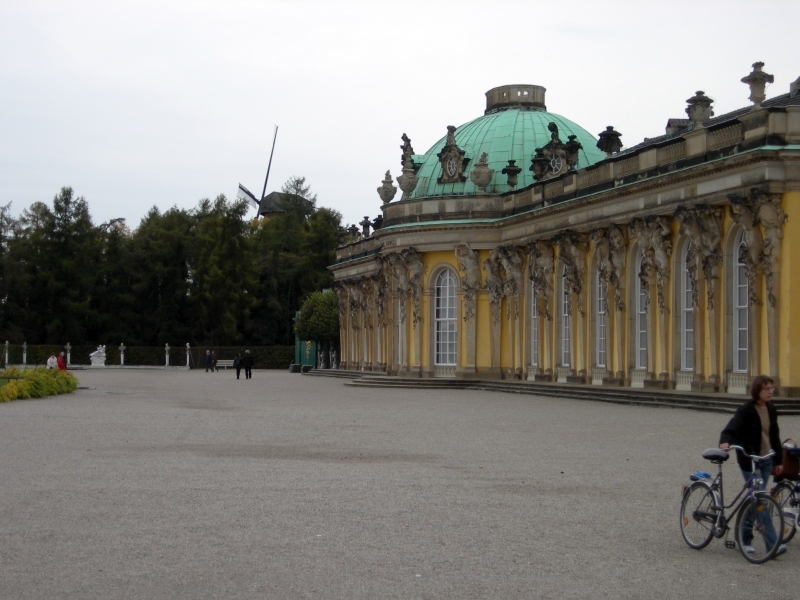 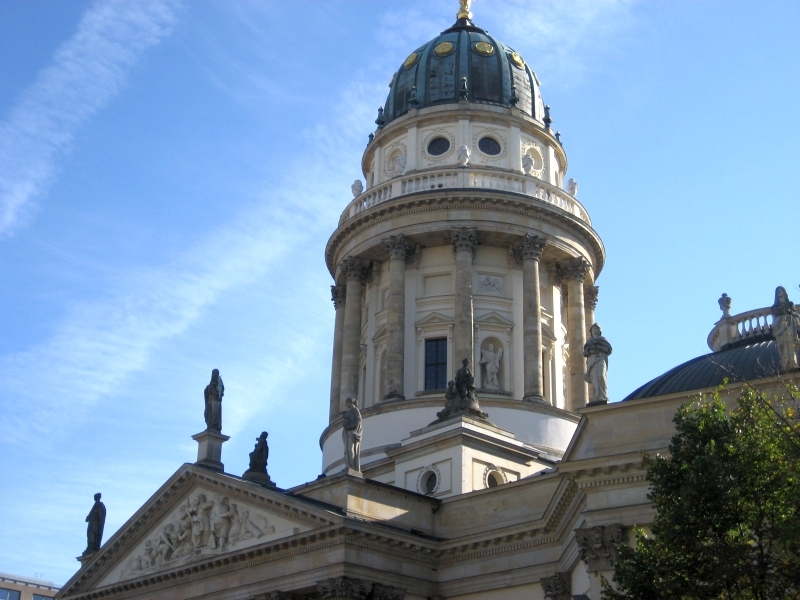 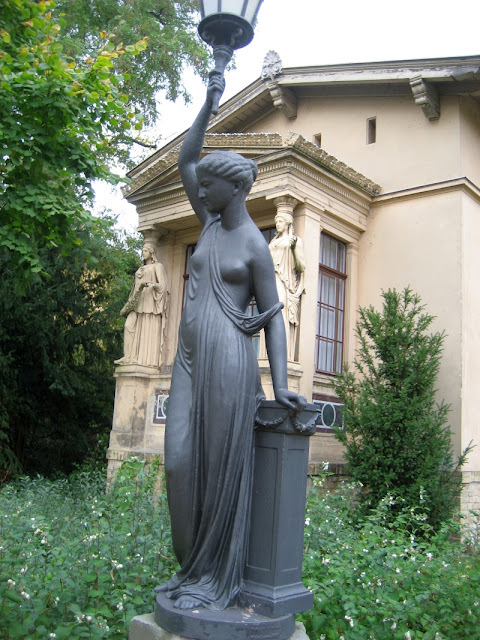 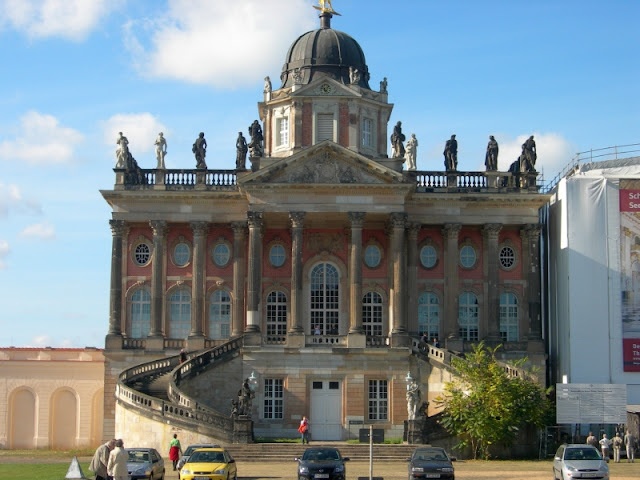 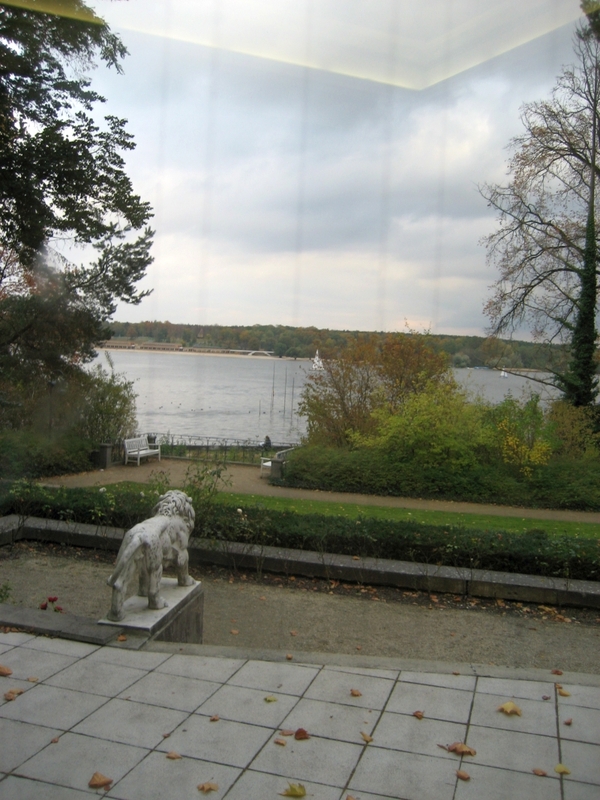 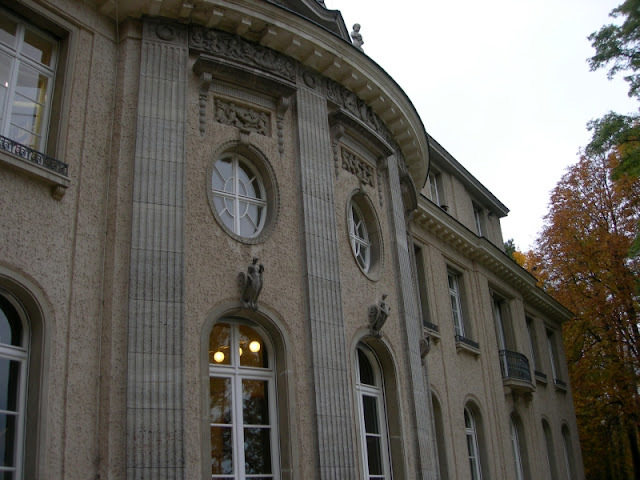 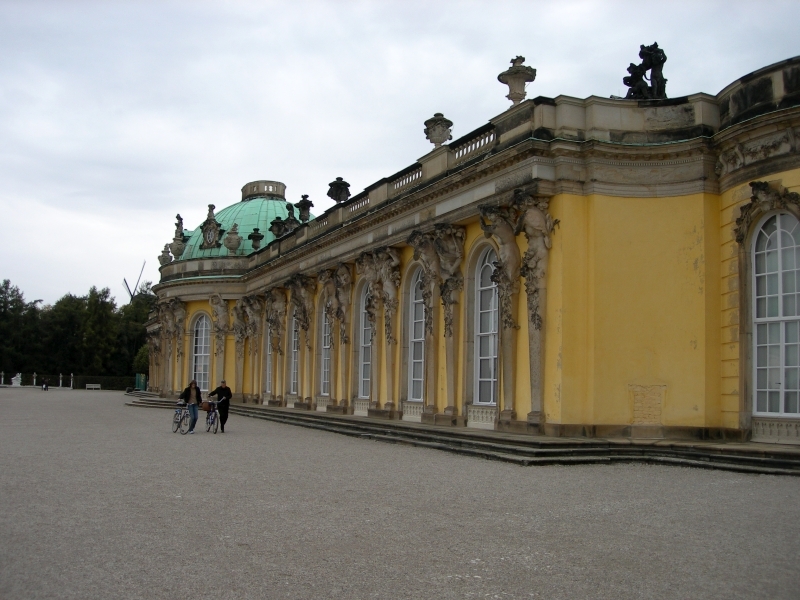 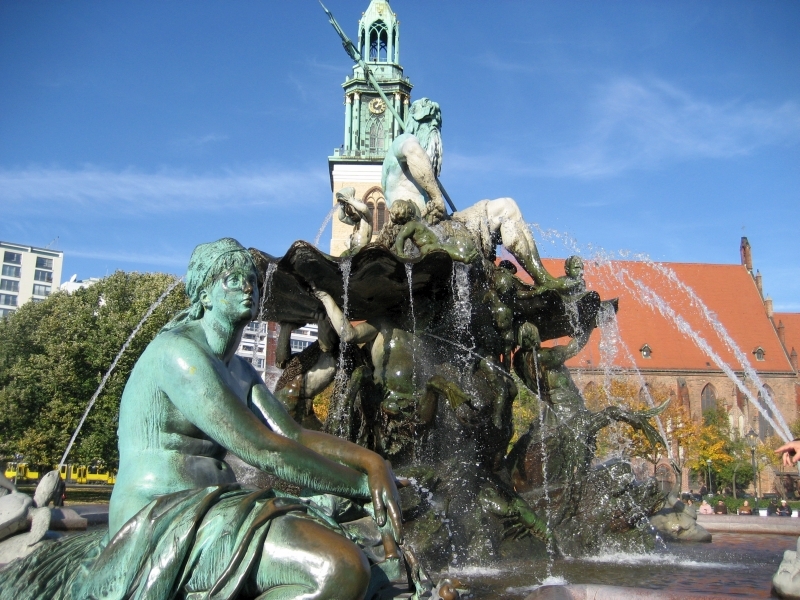 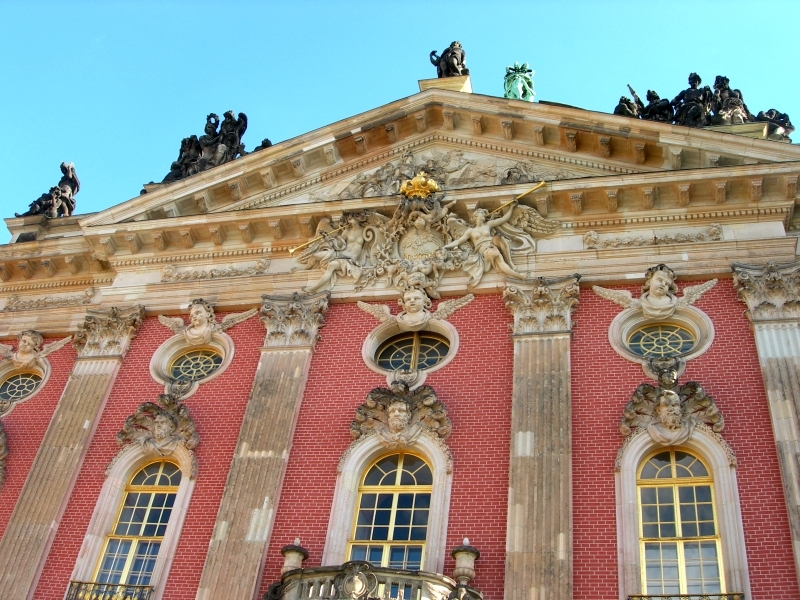 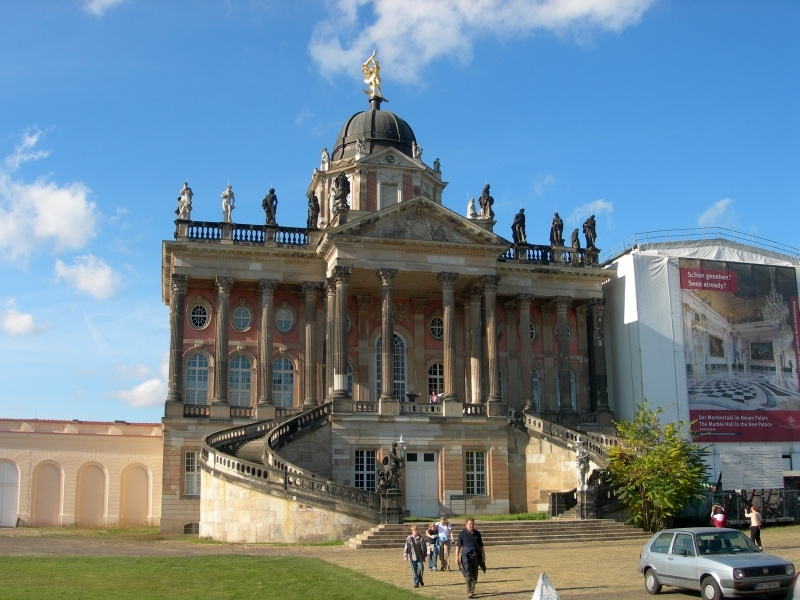 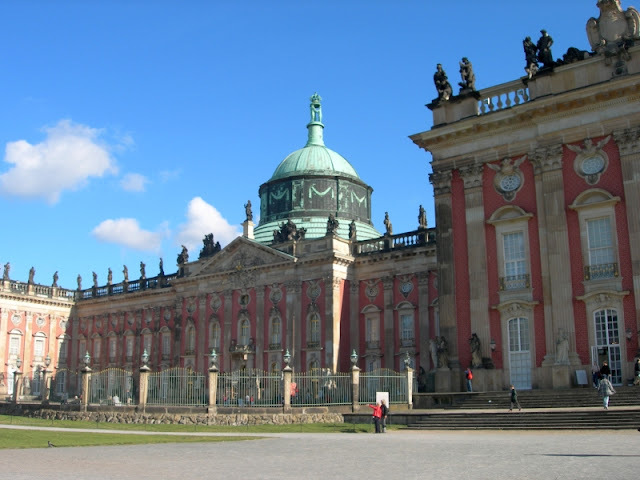 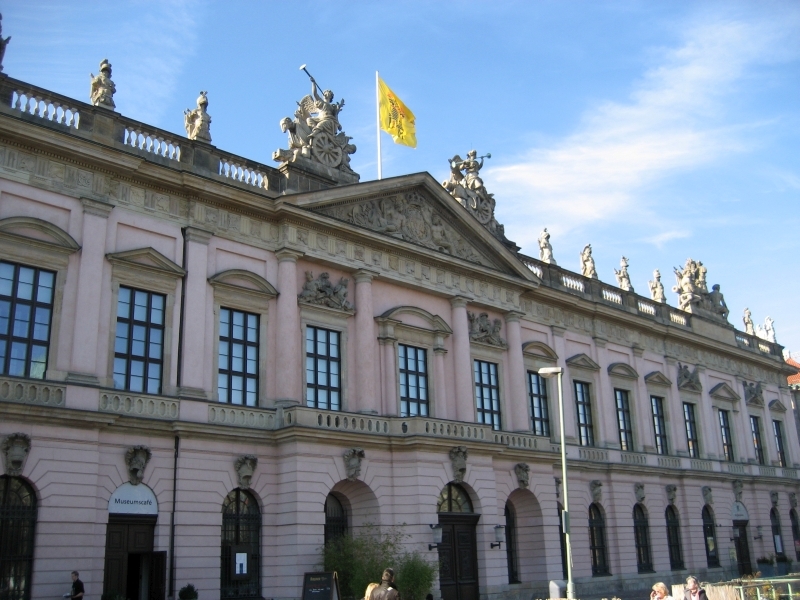 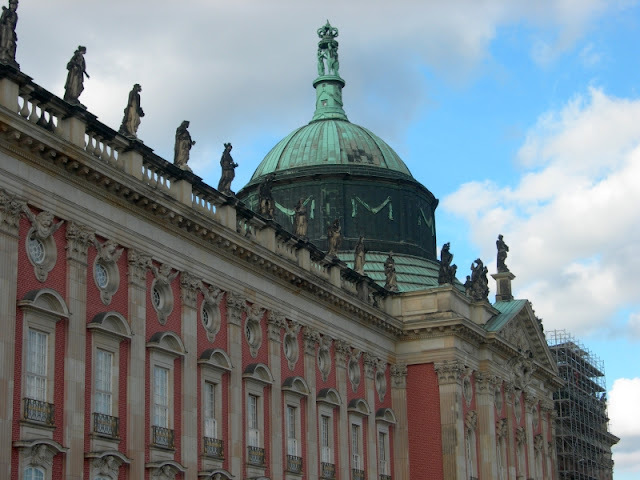 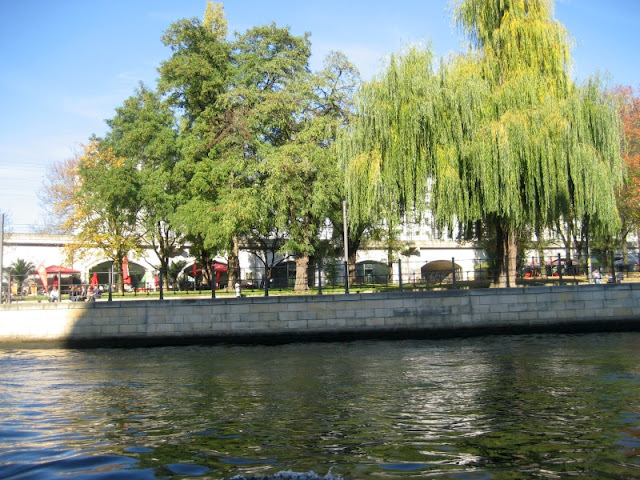 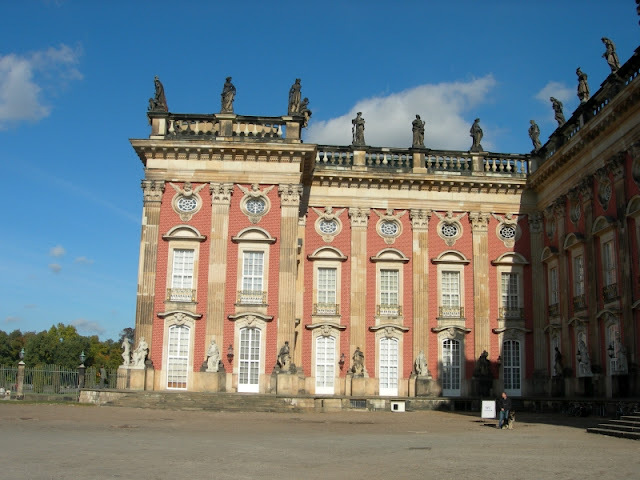 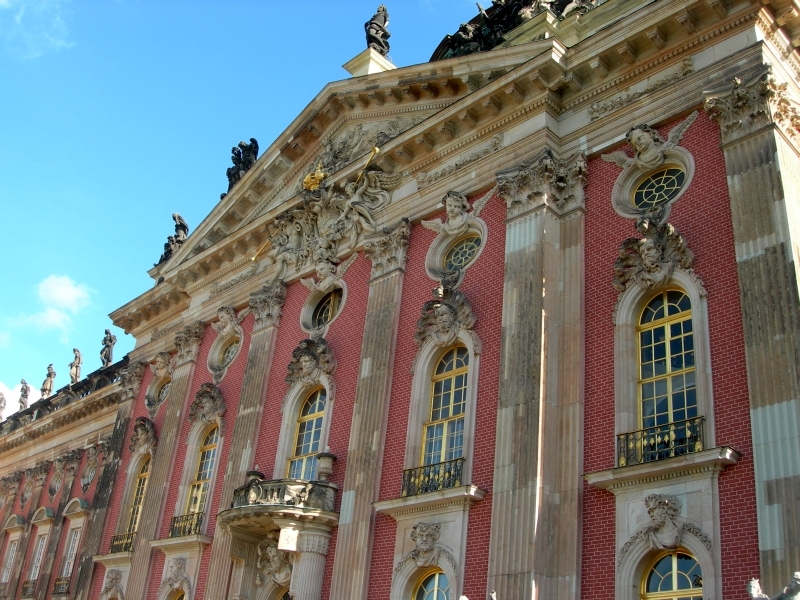 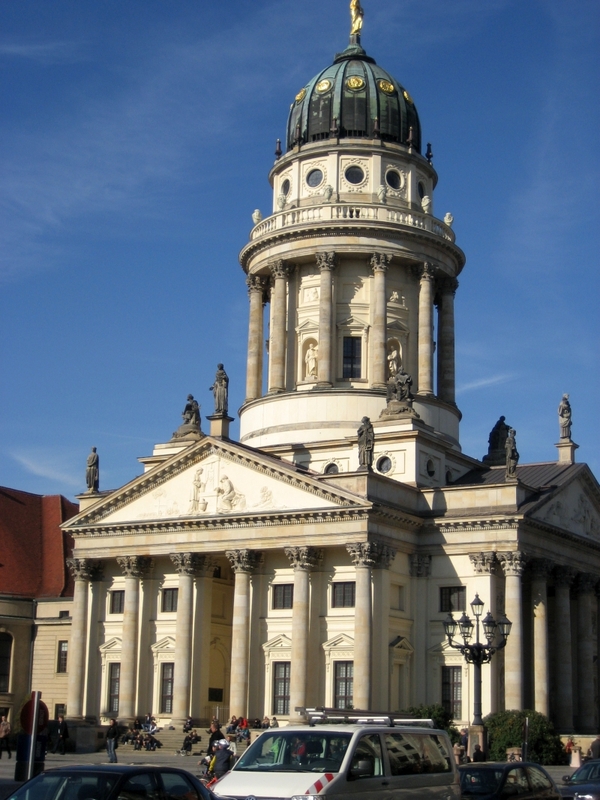 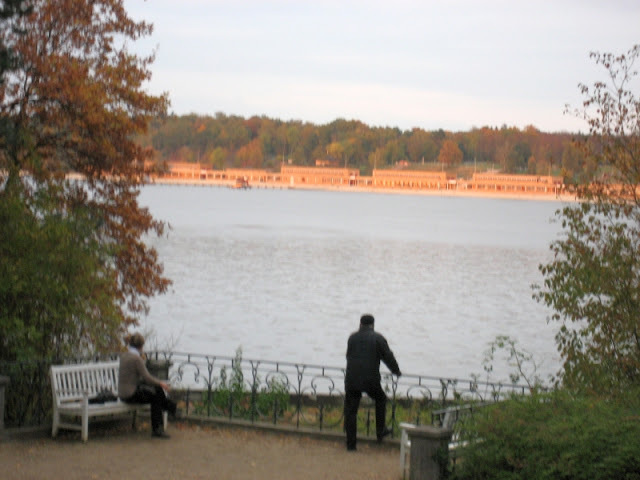 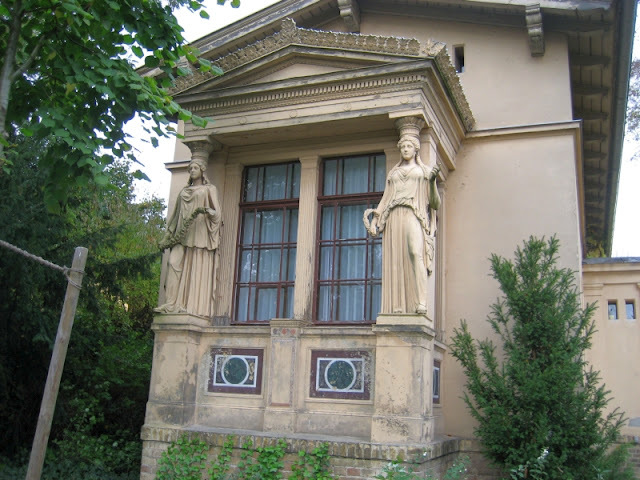 Potsdam, is the capital city of the German federal state of Brandenburg. 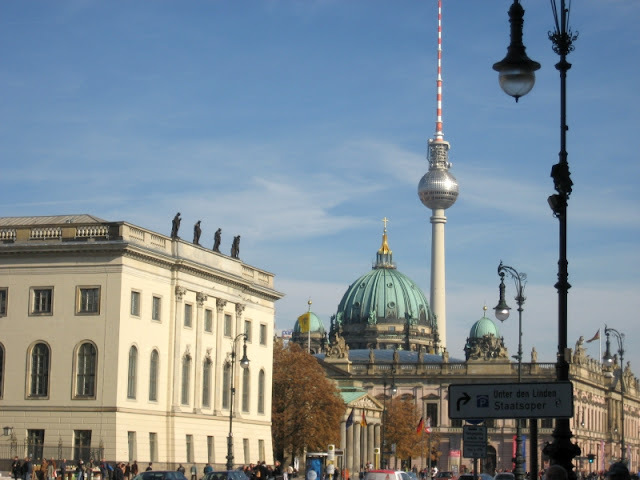 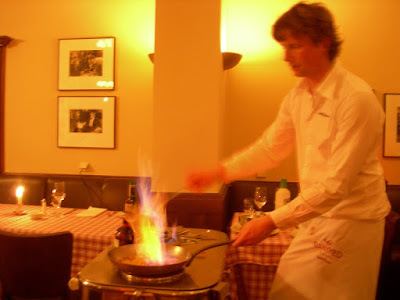 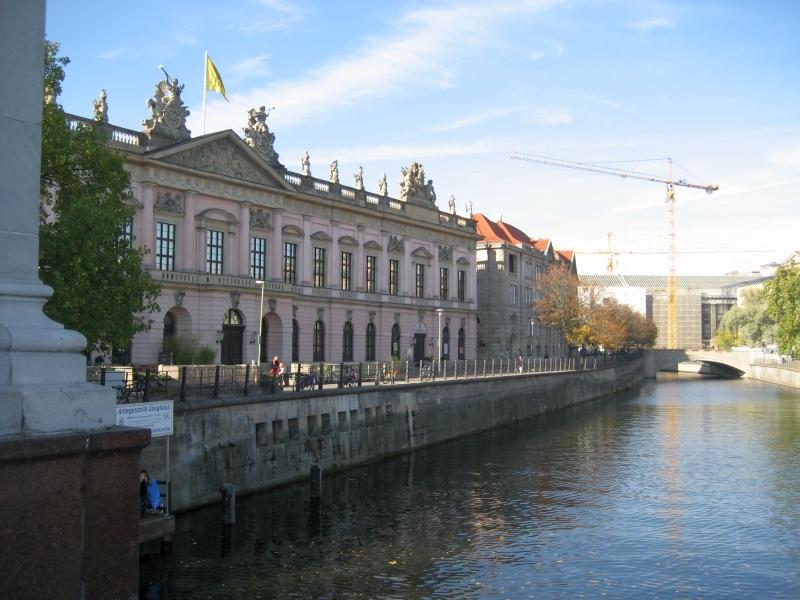 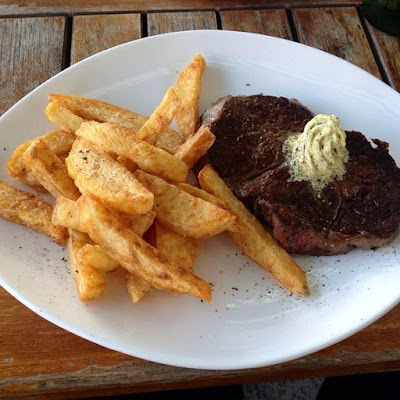 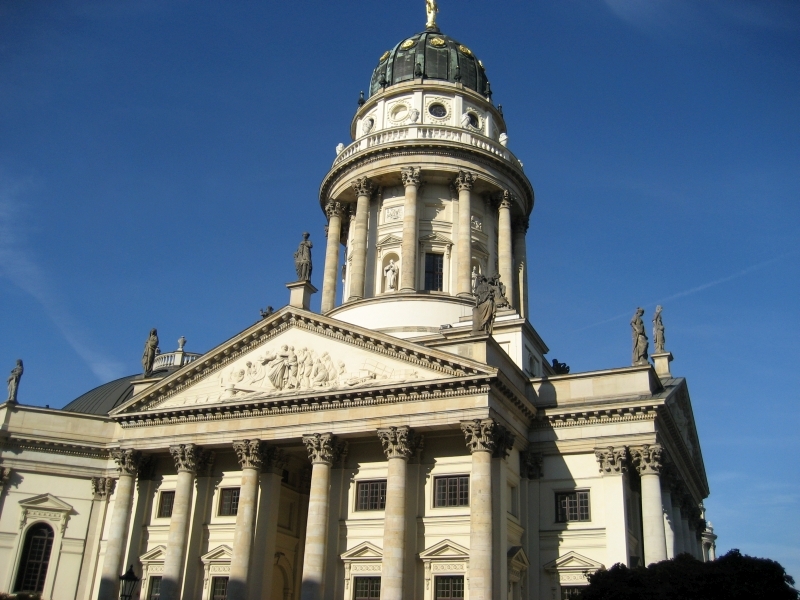 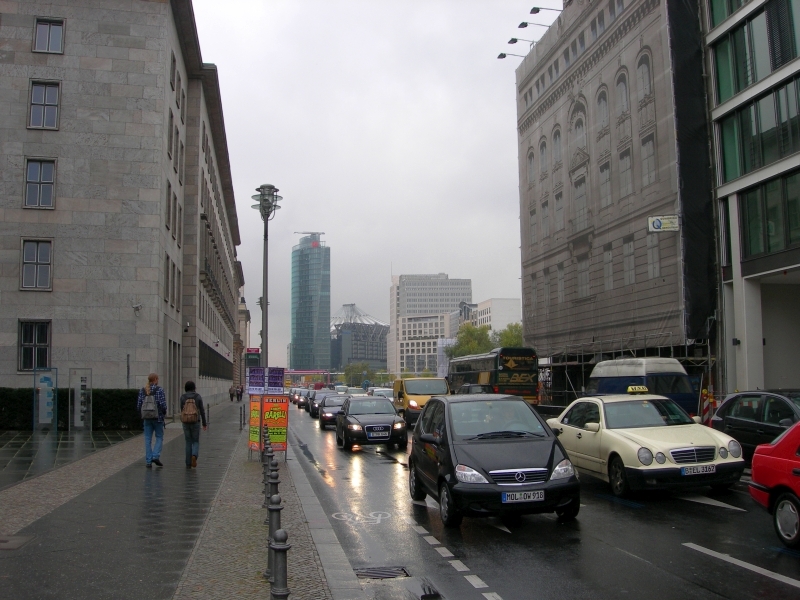 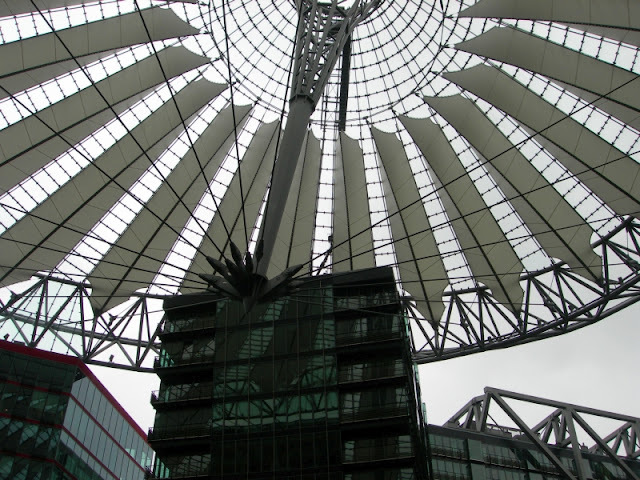 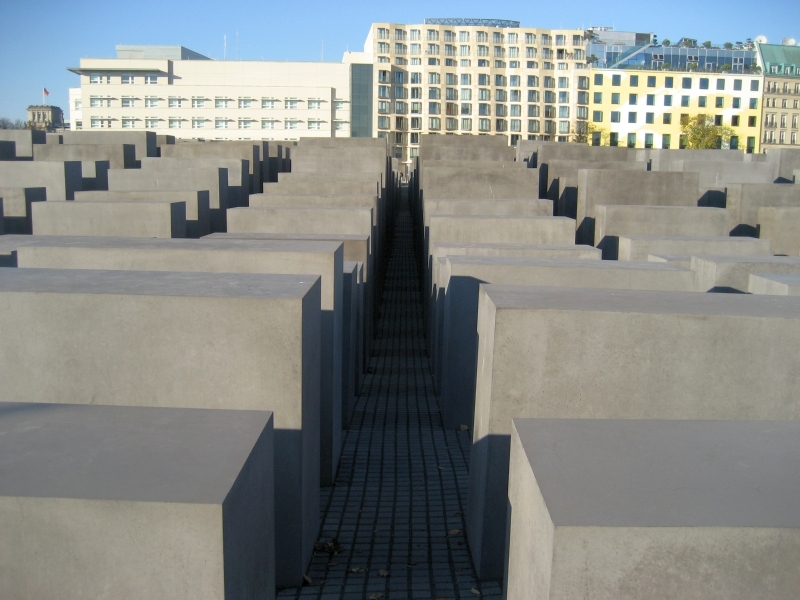 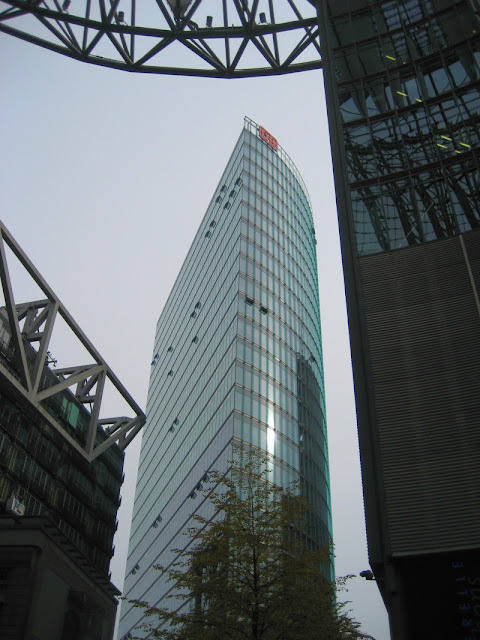 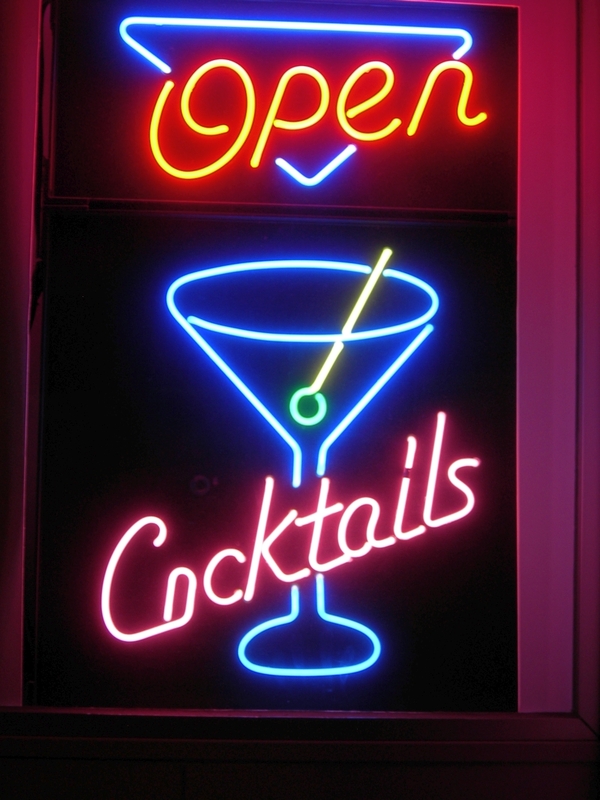 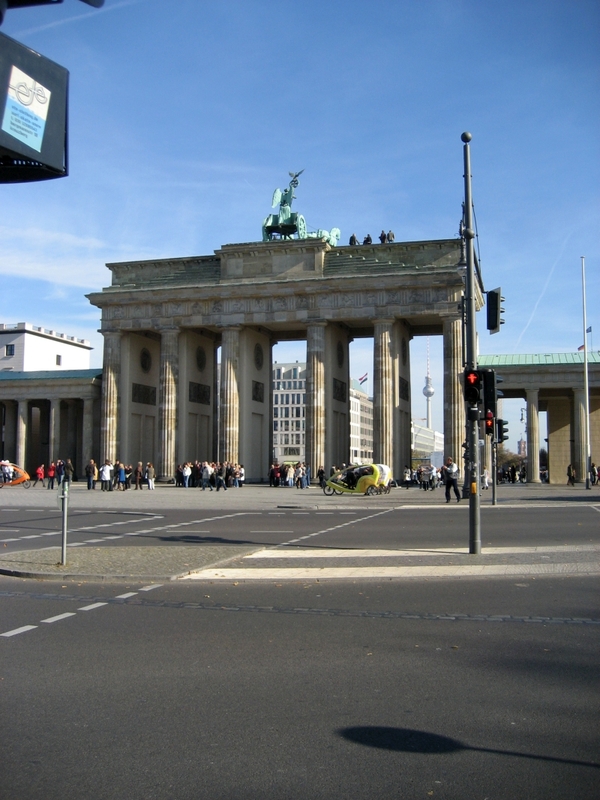 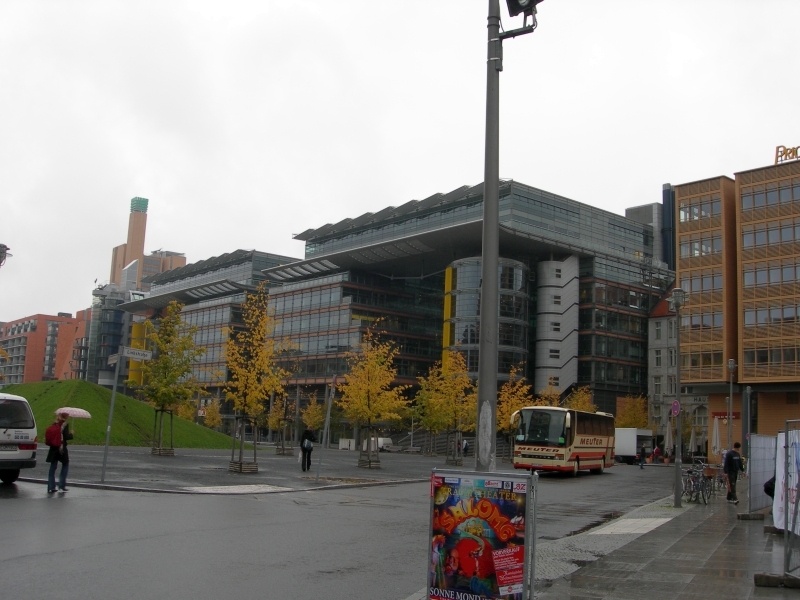 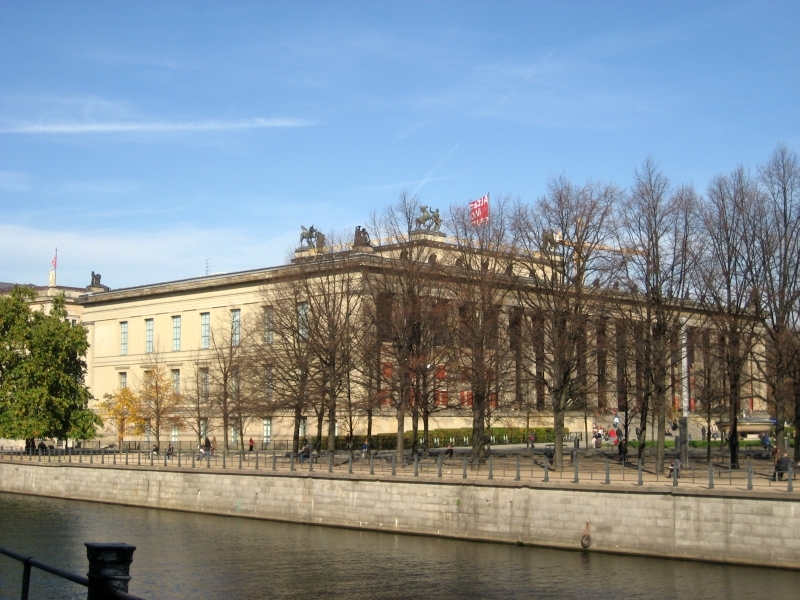 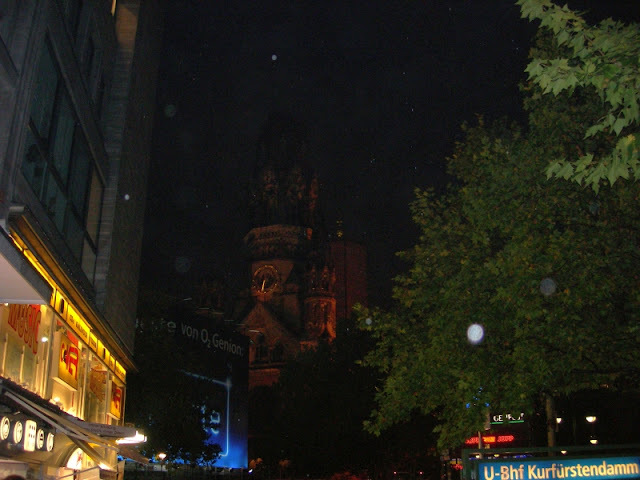 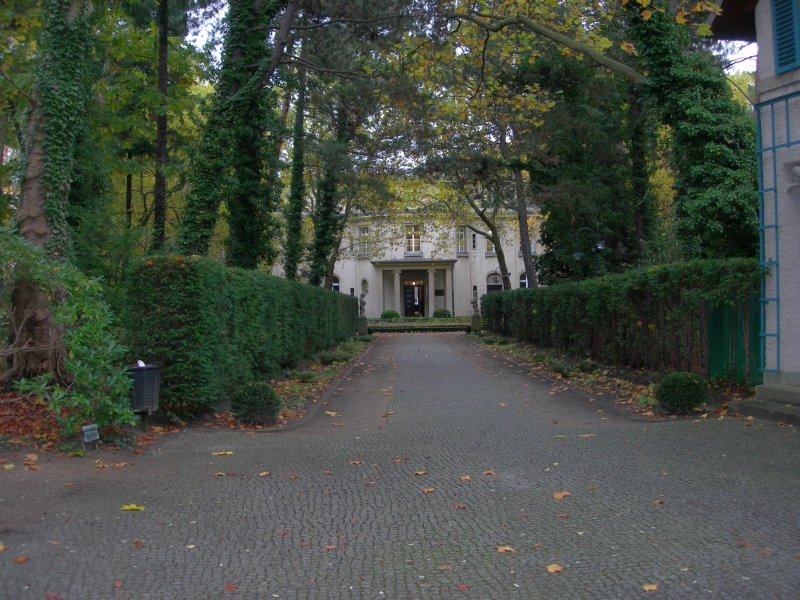 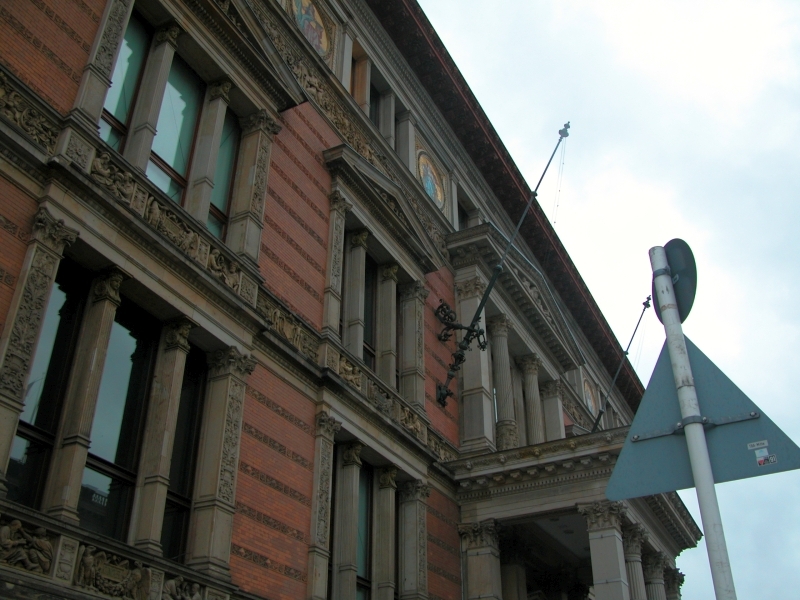 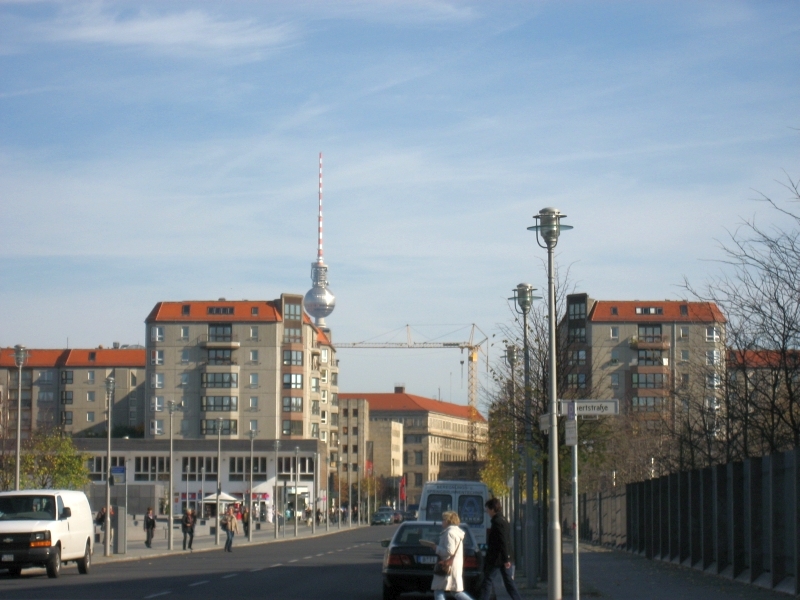 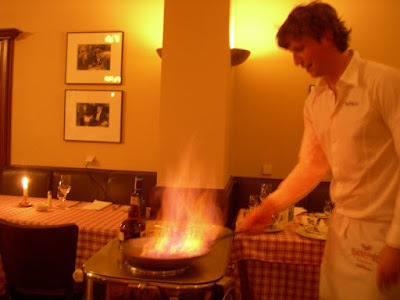 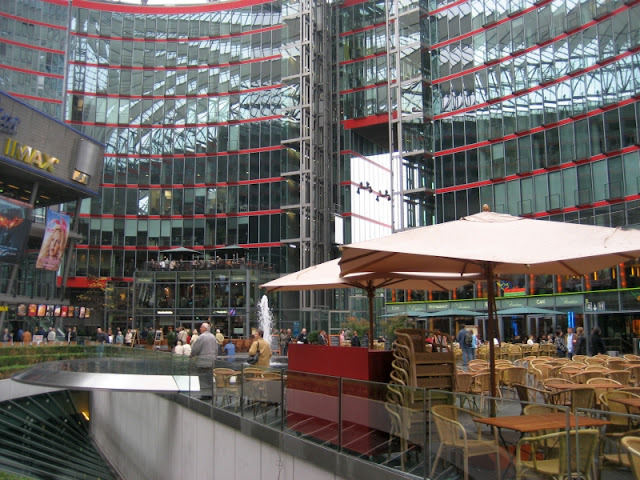 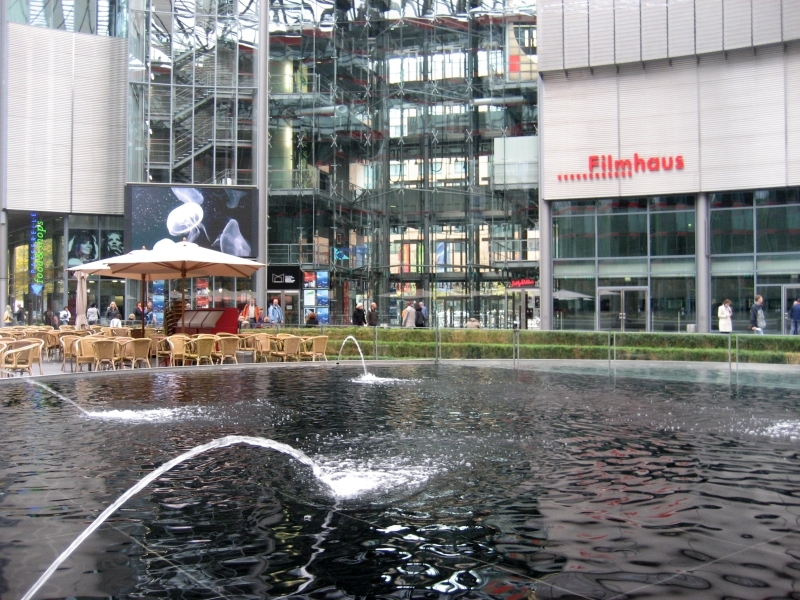 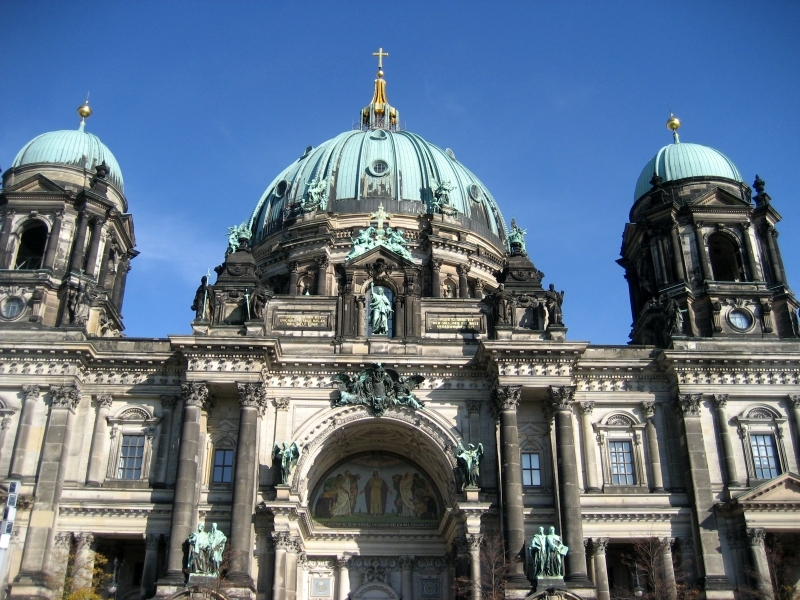 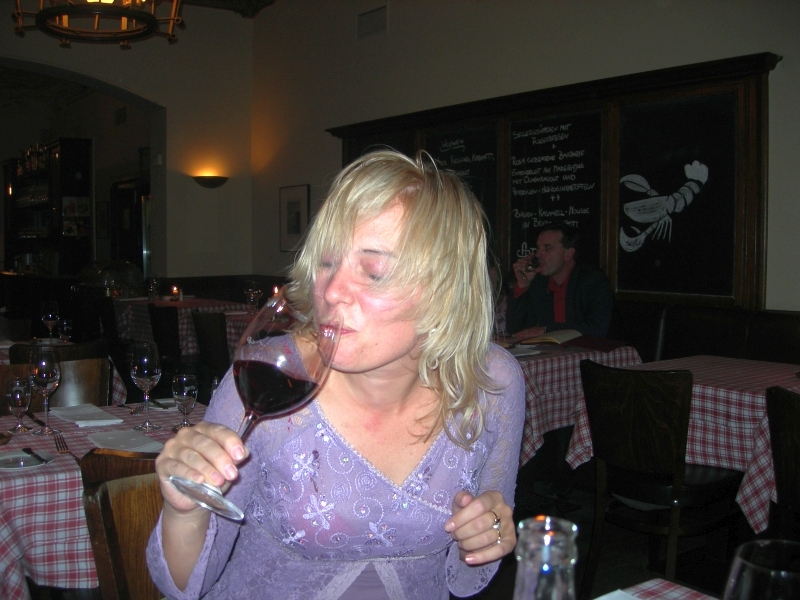 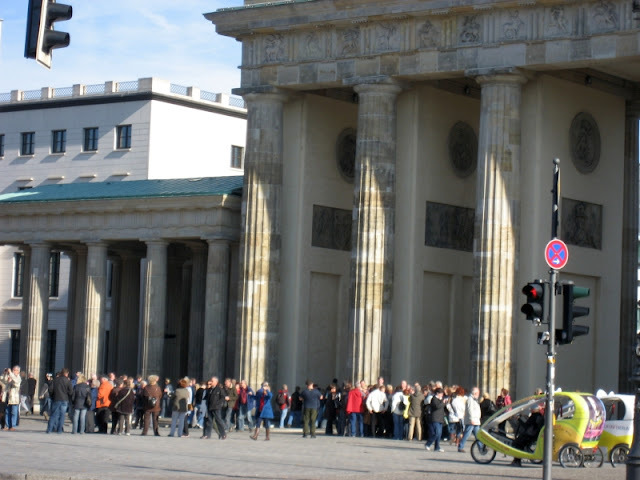 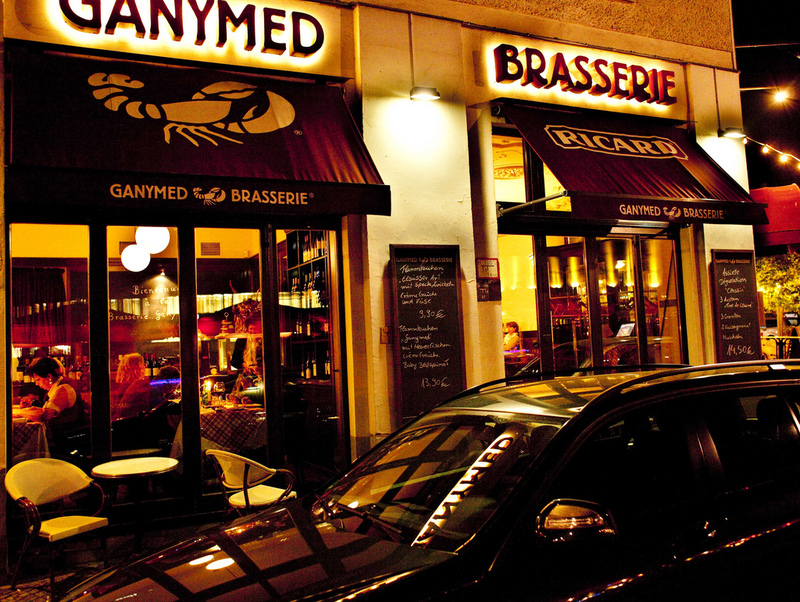 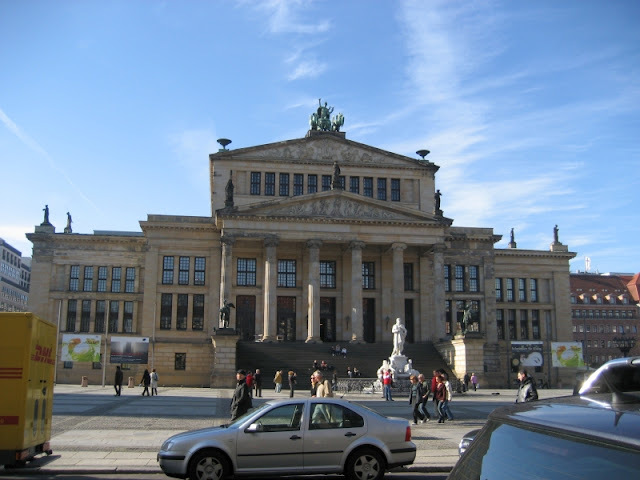 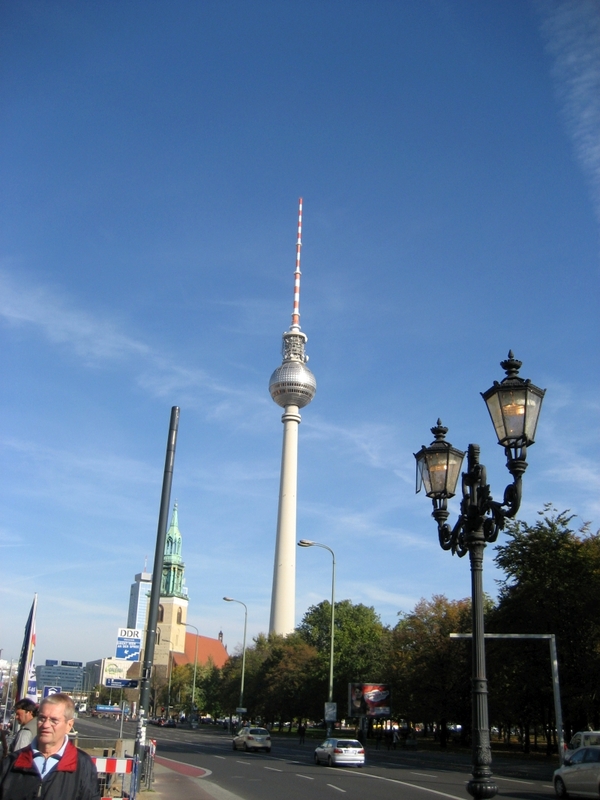 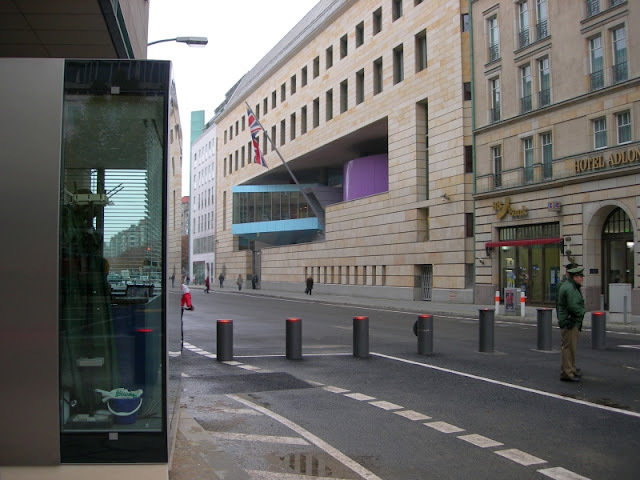 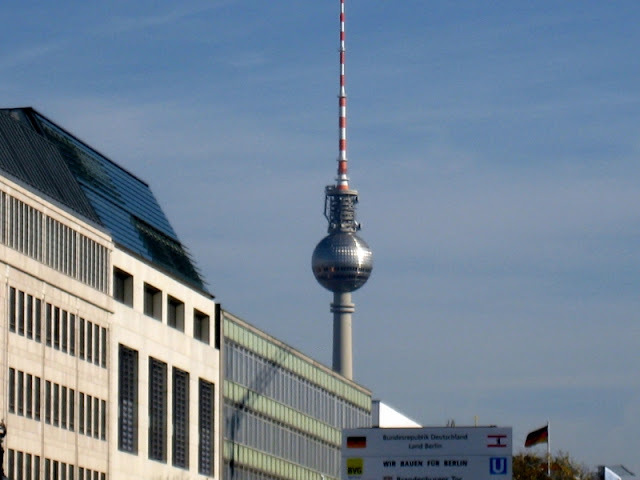 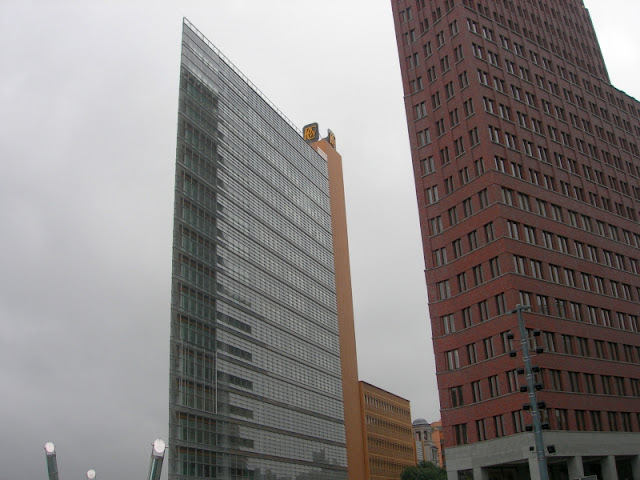 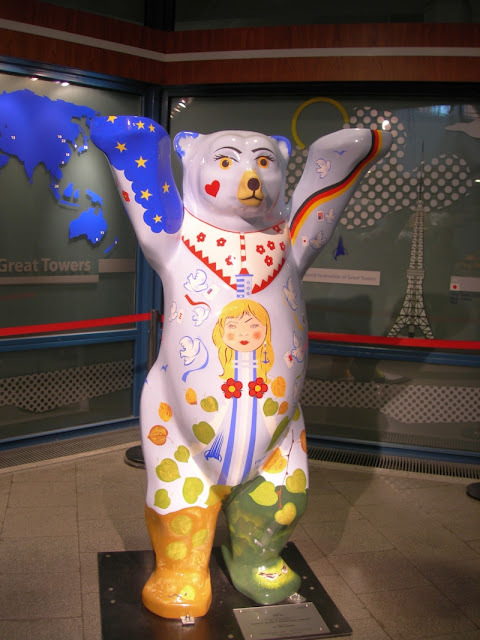 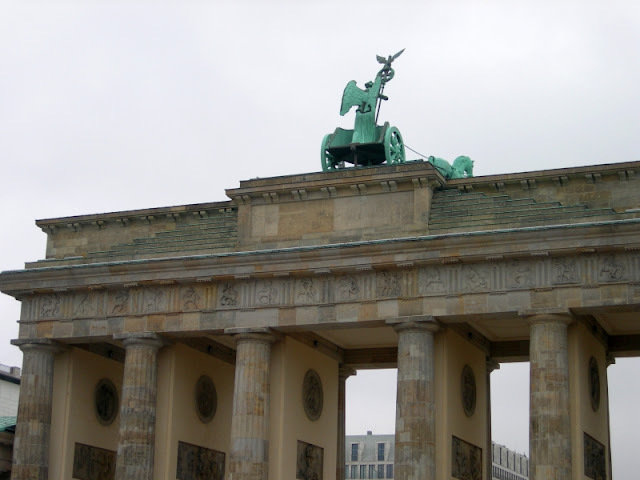 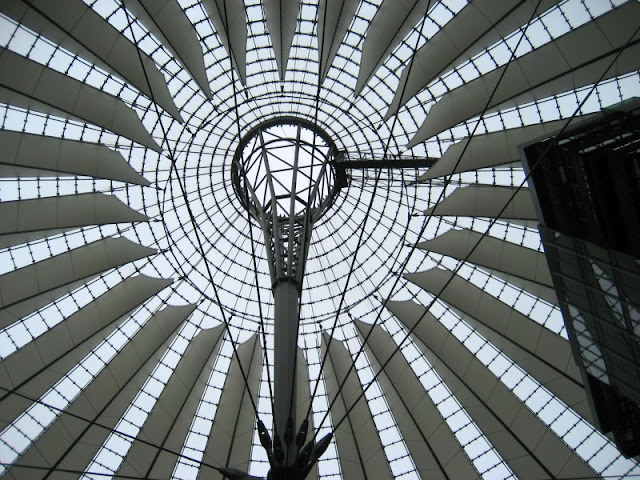 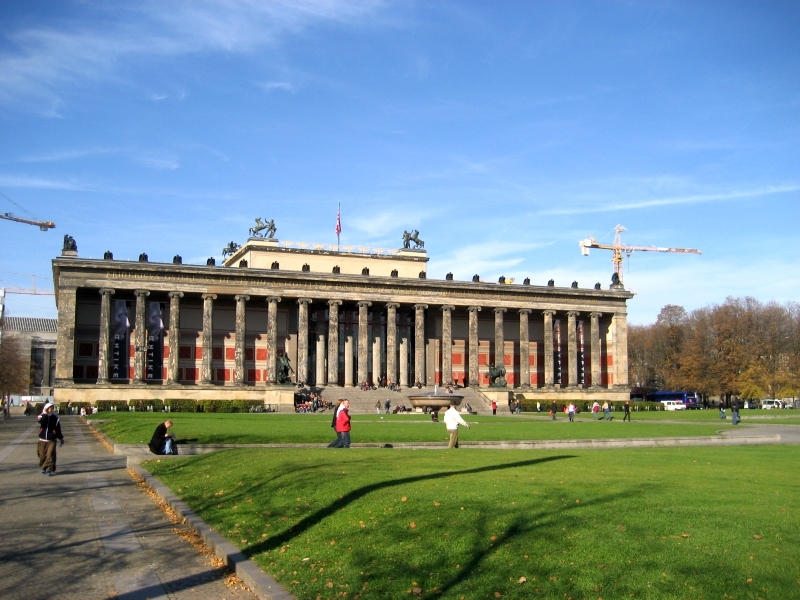 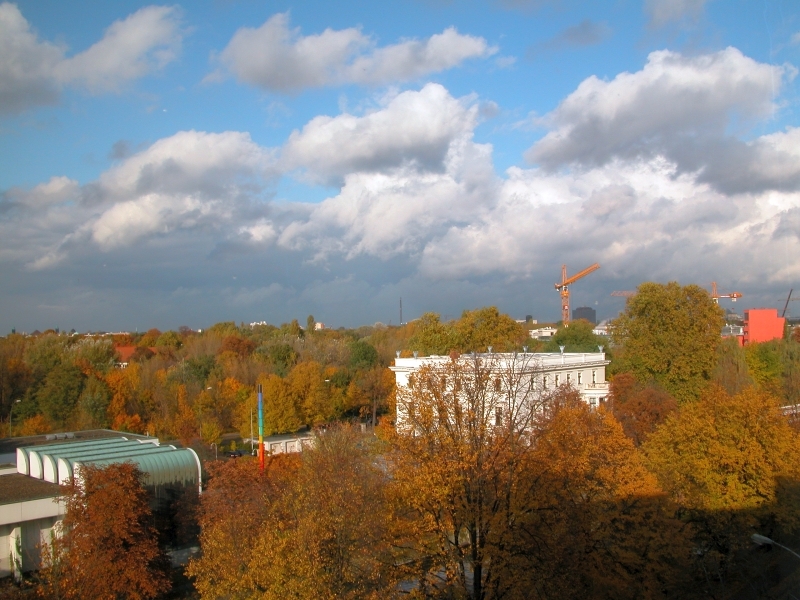 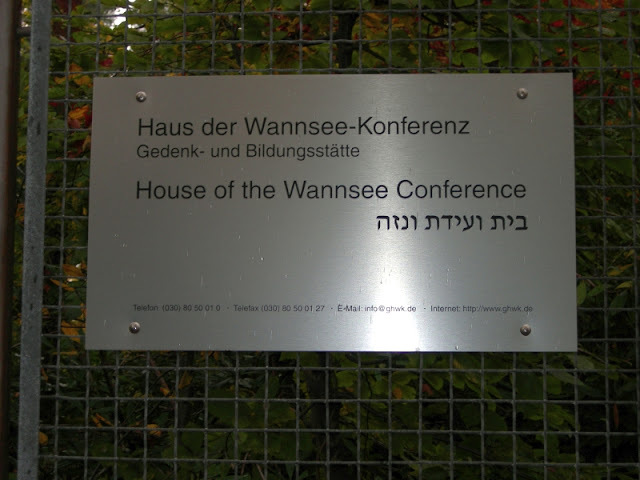 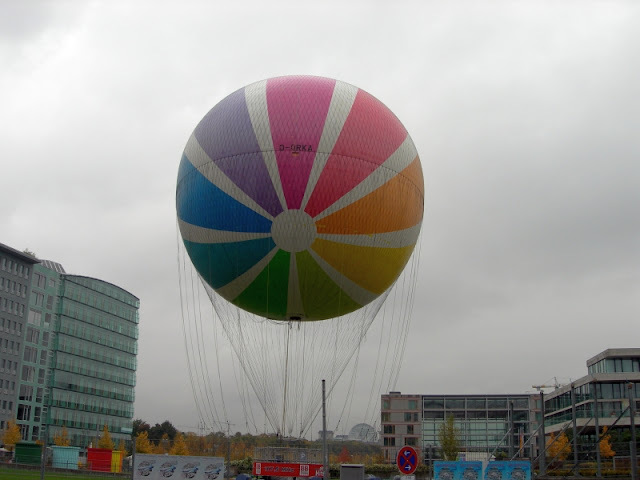 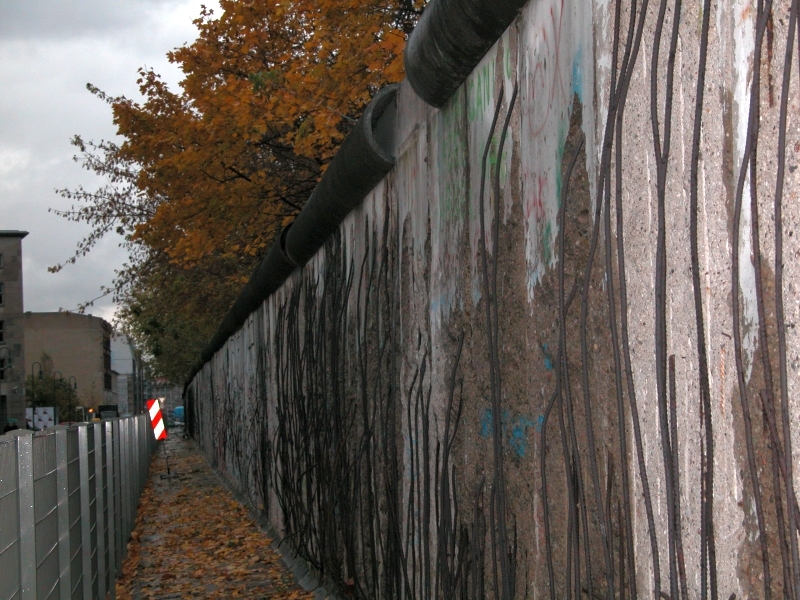 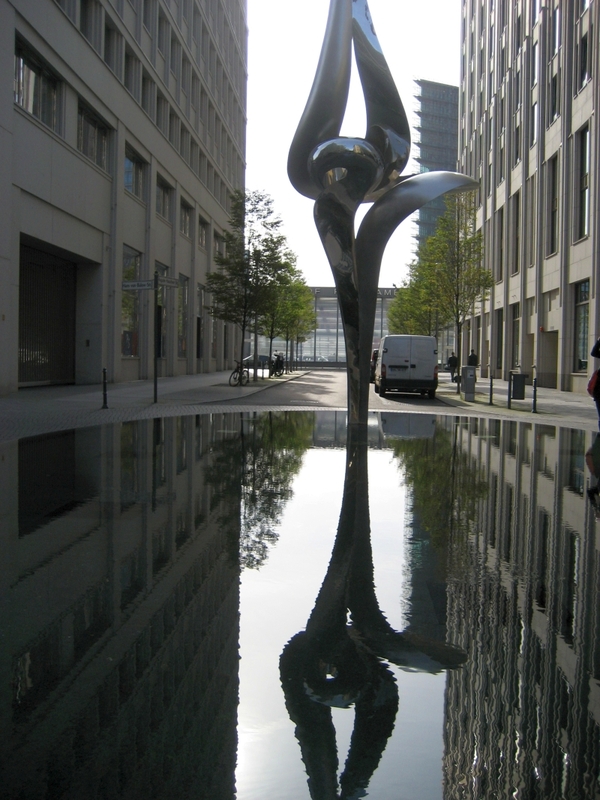 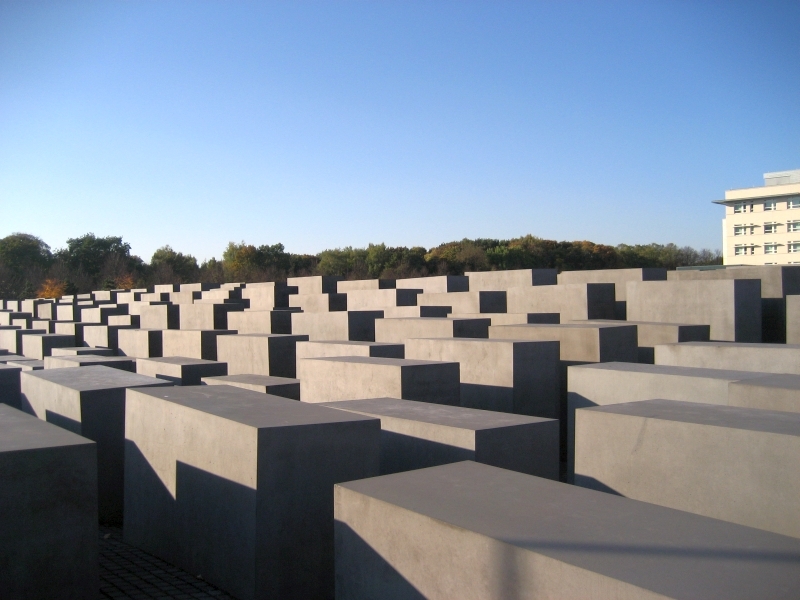 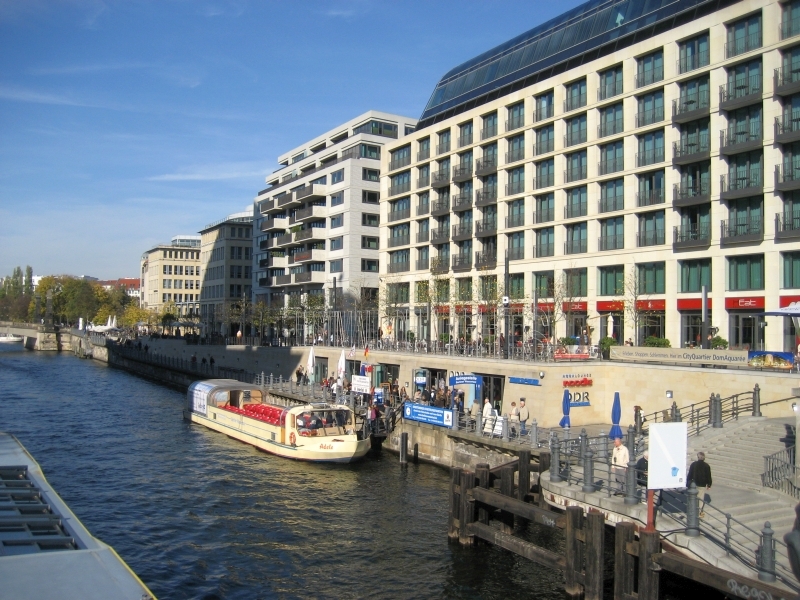 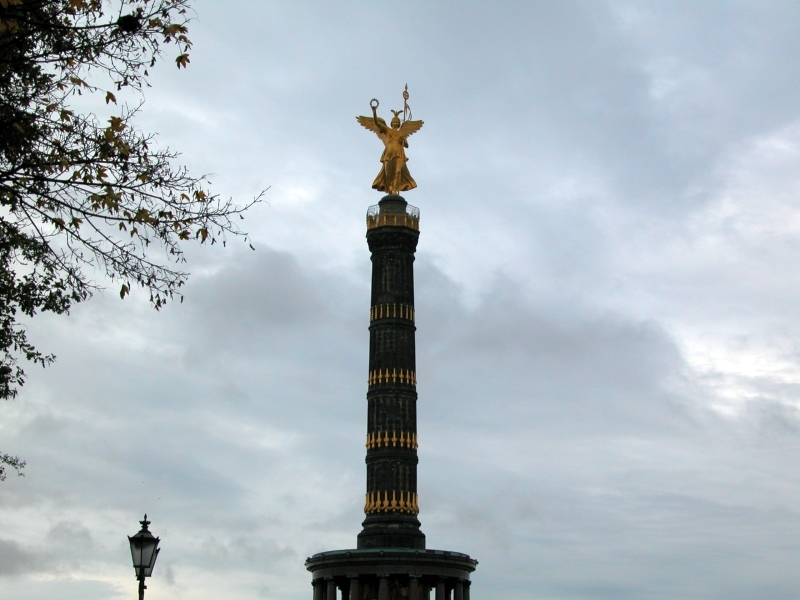 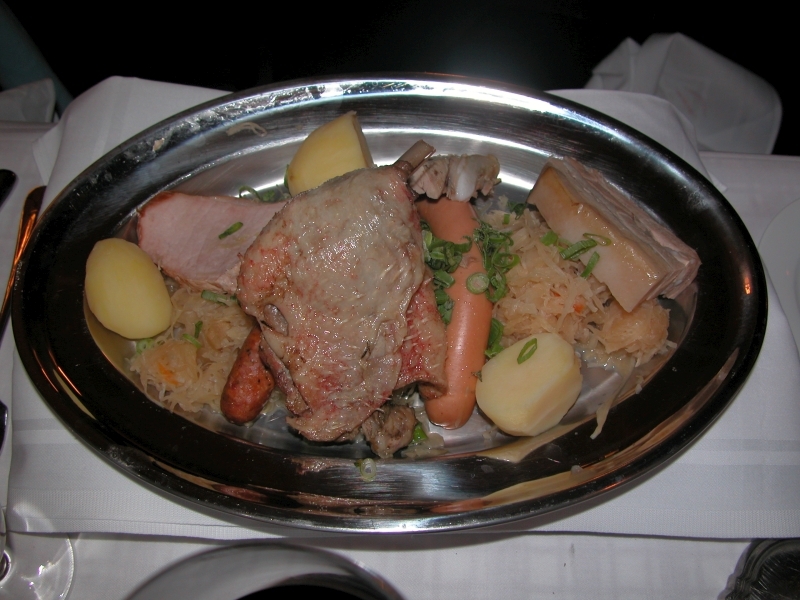 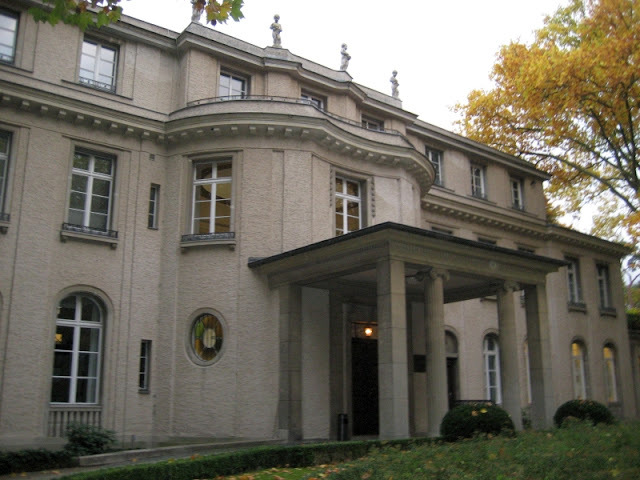 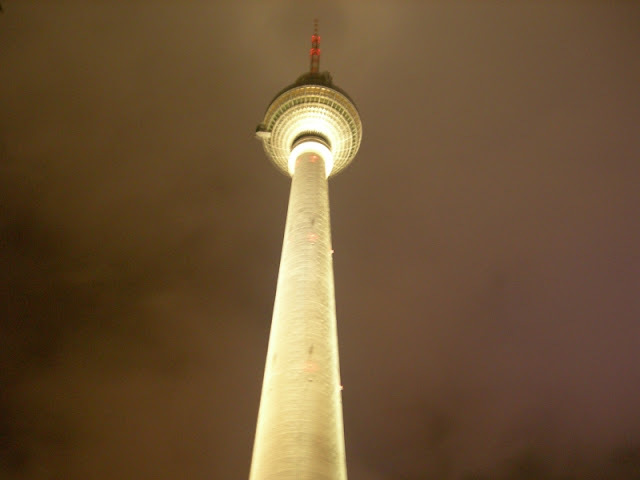 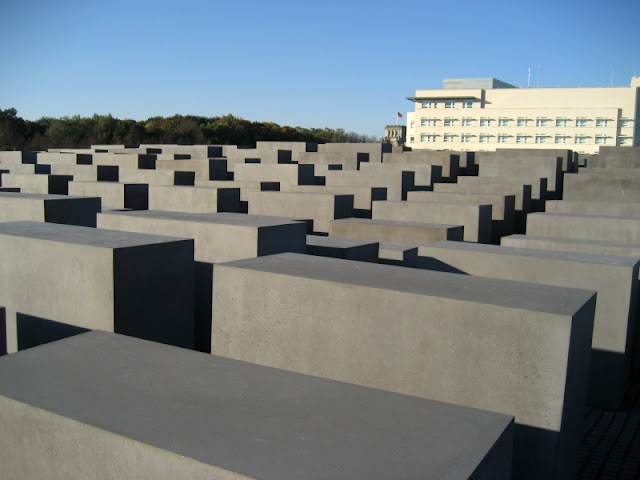 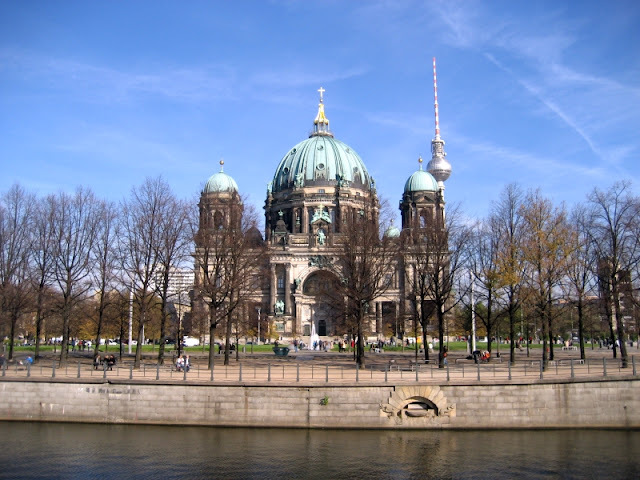 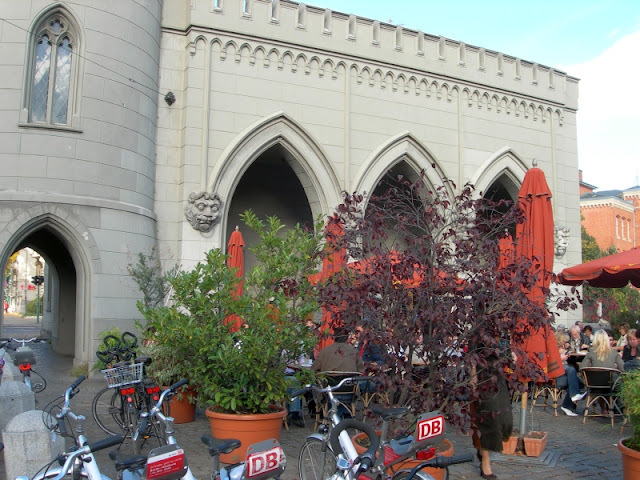 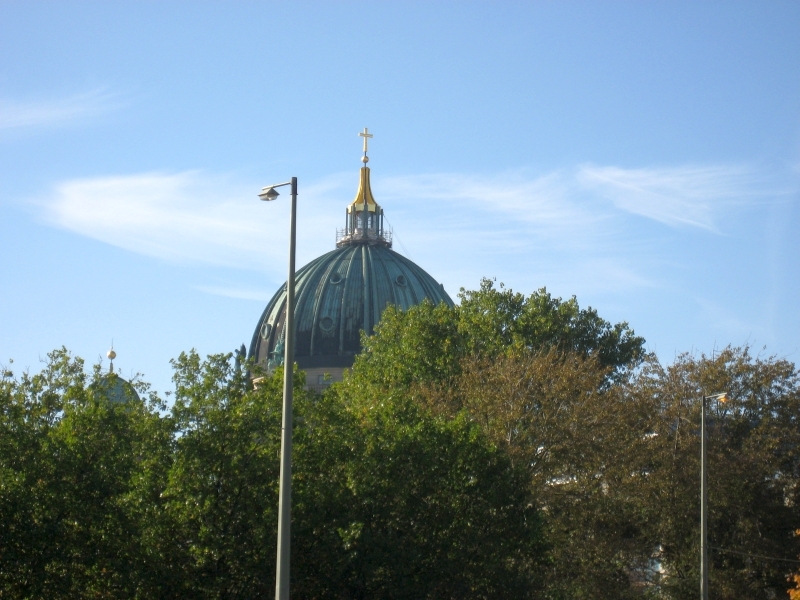 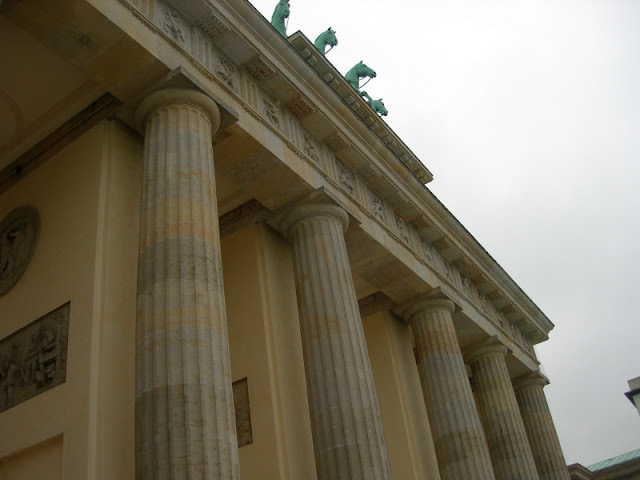 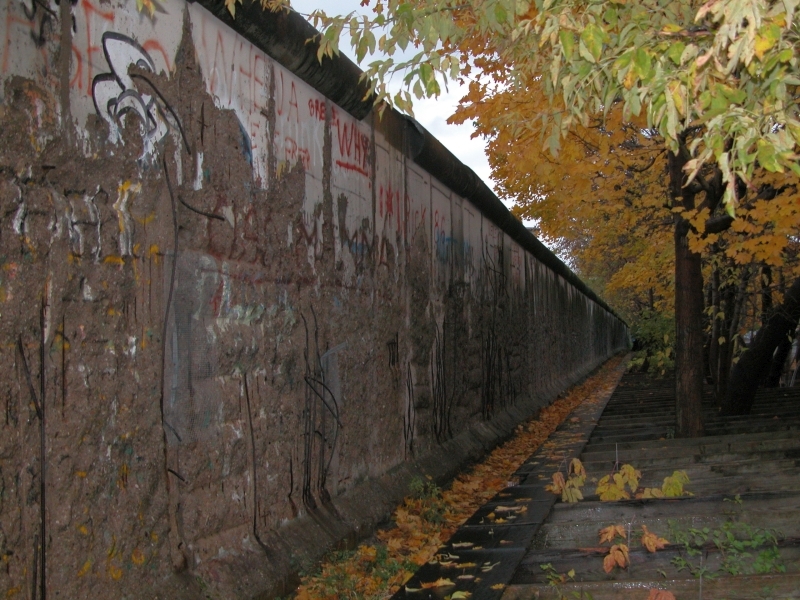 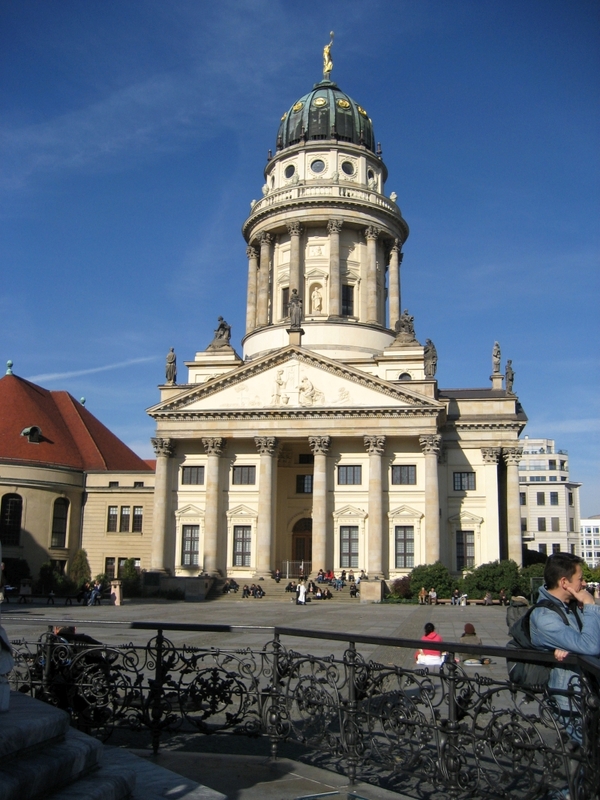 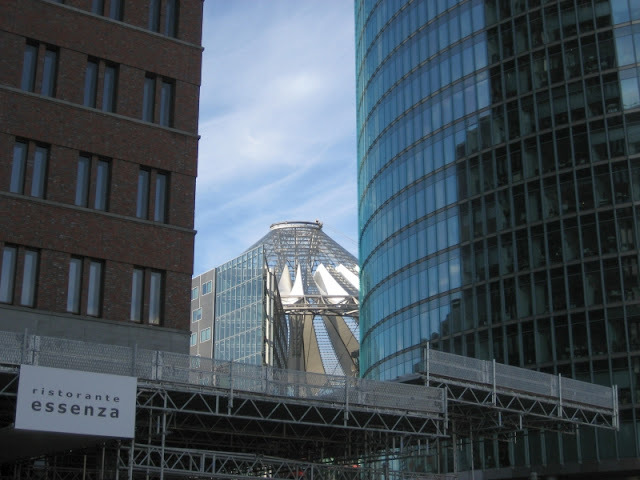 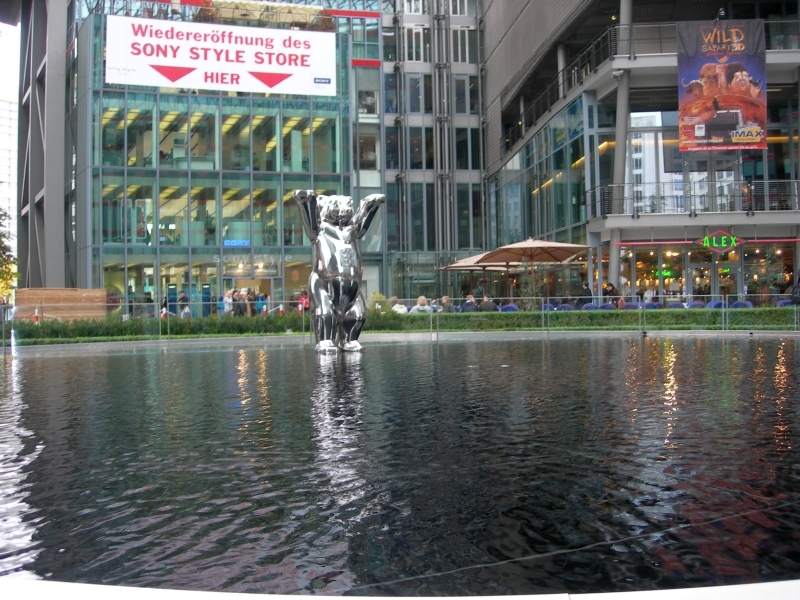 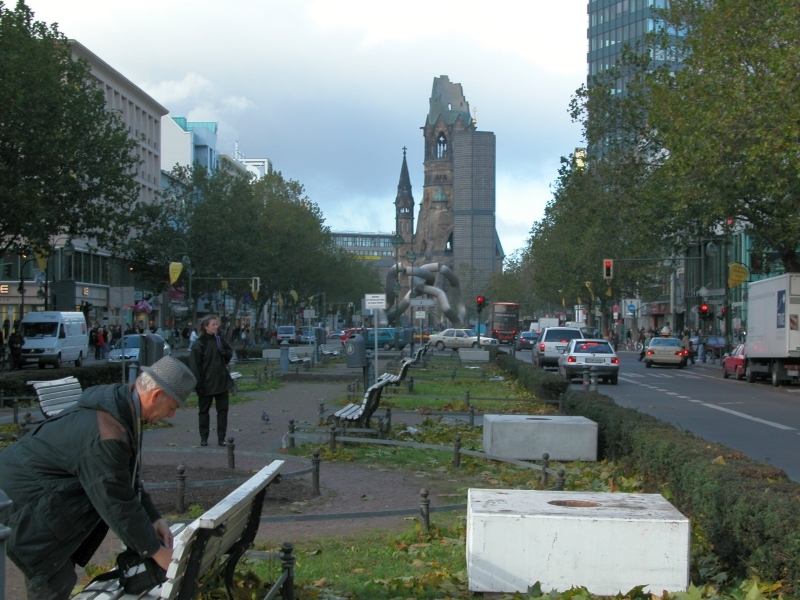 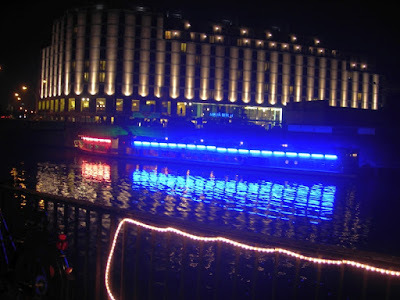 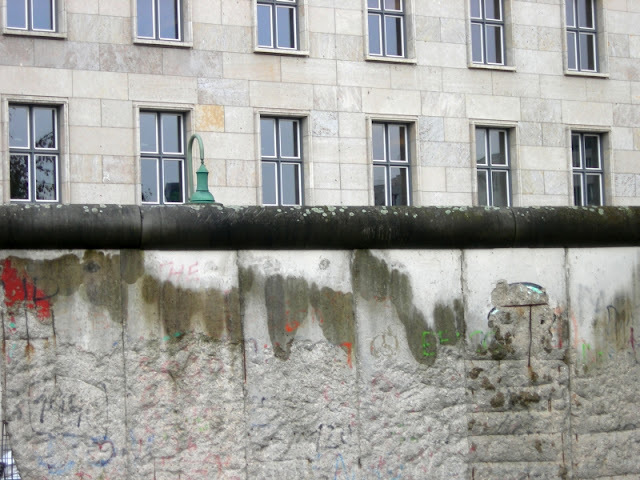 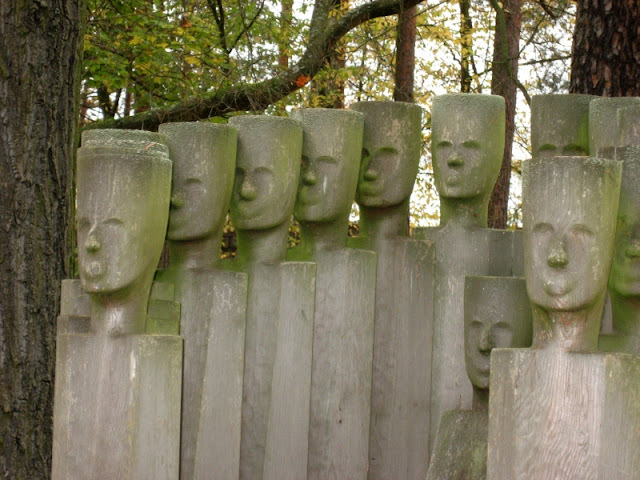 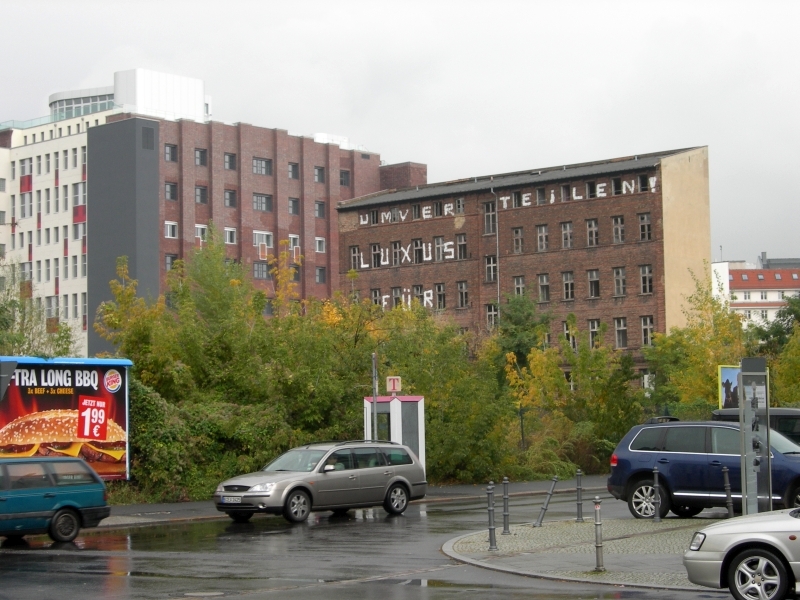 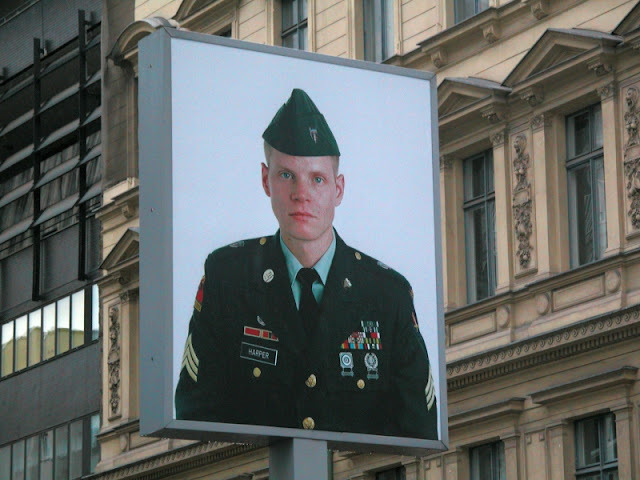 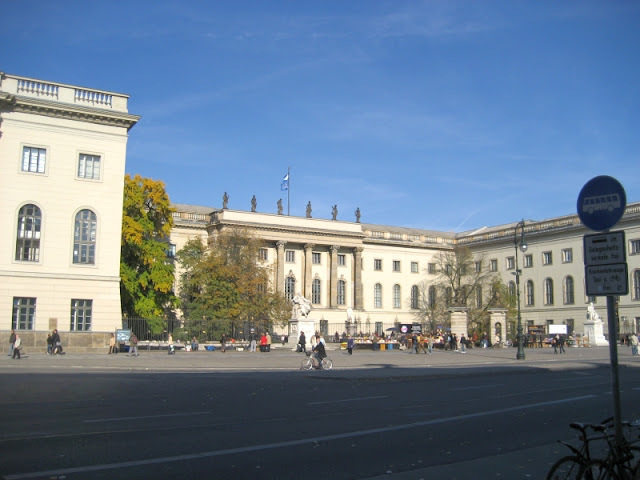 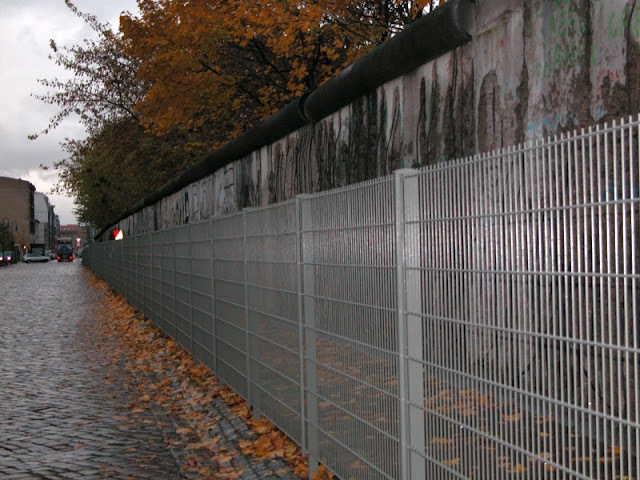 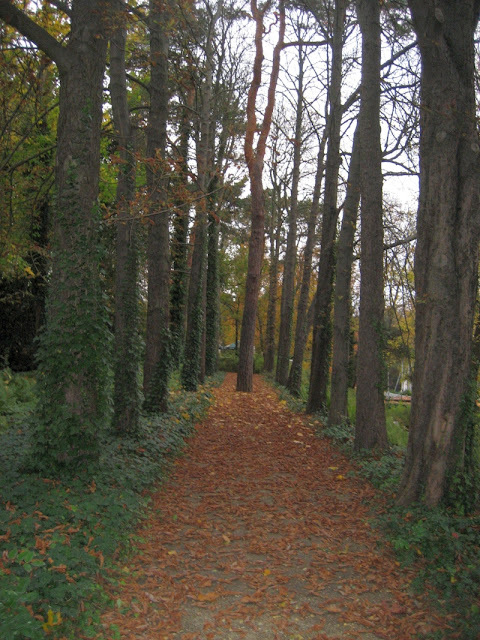 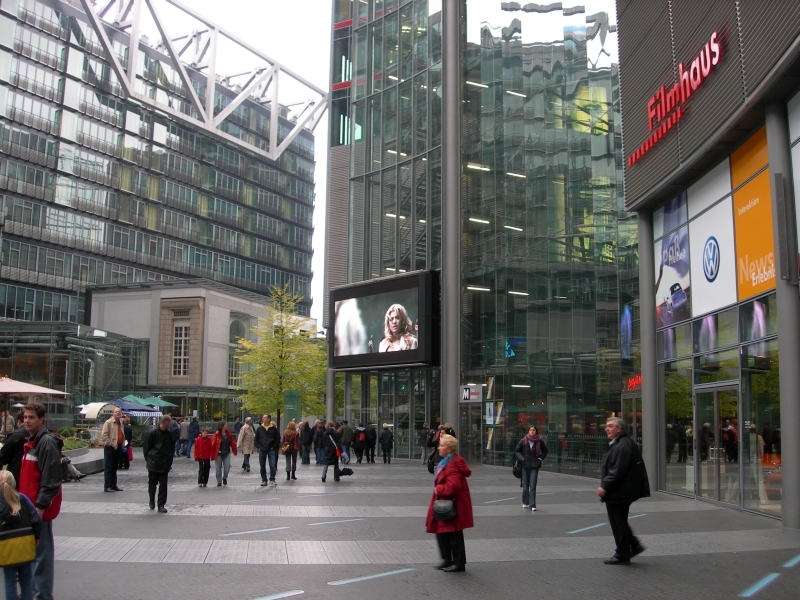 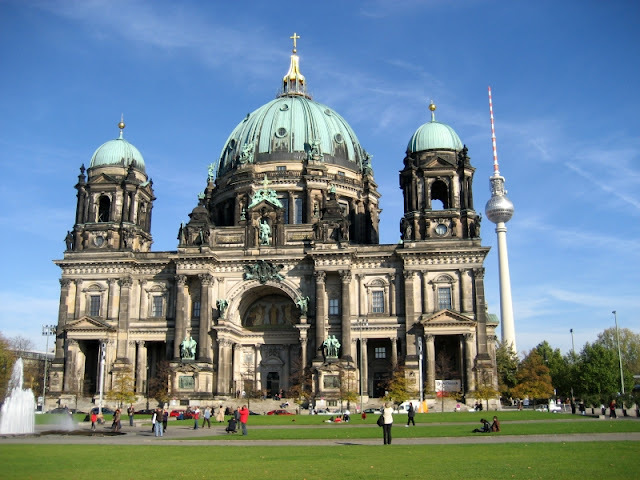 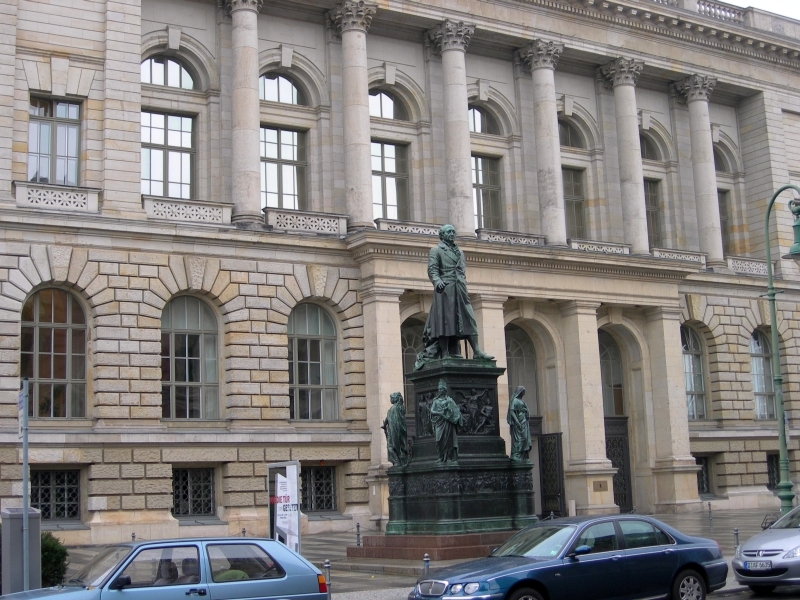 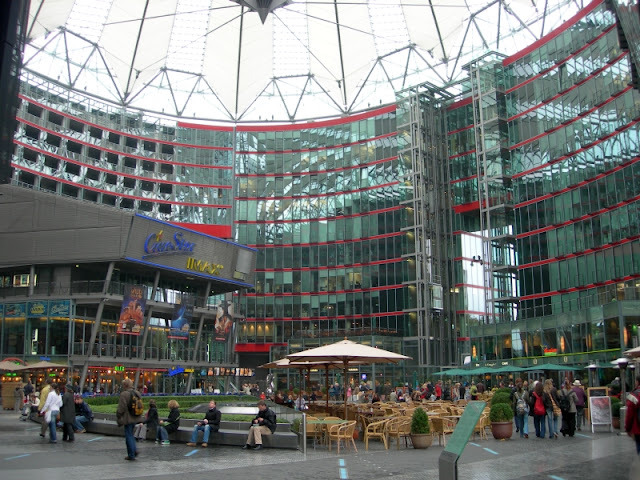 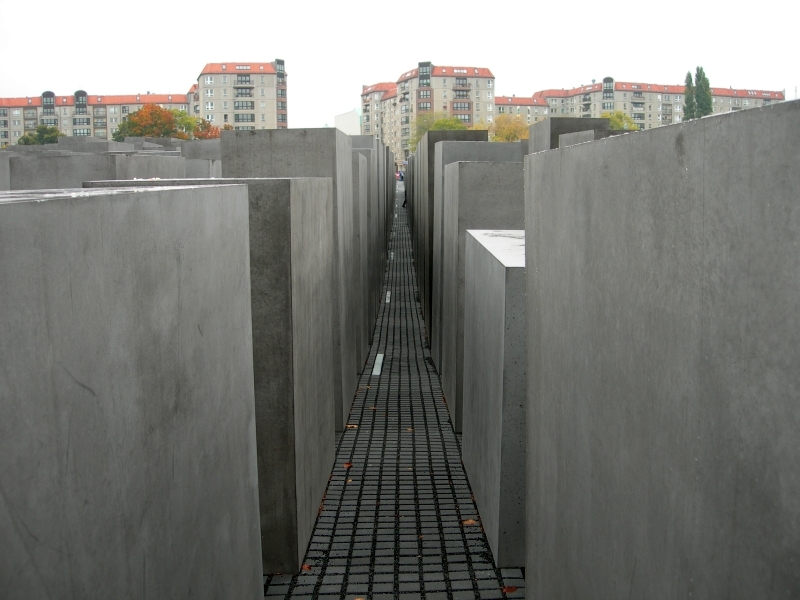 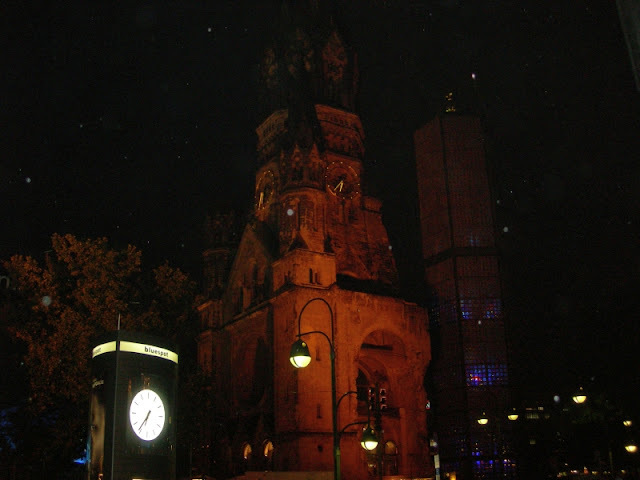 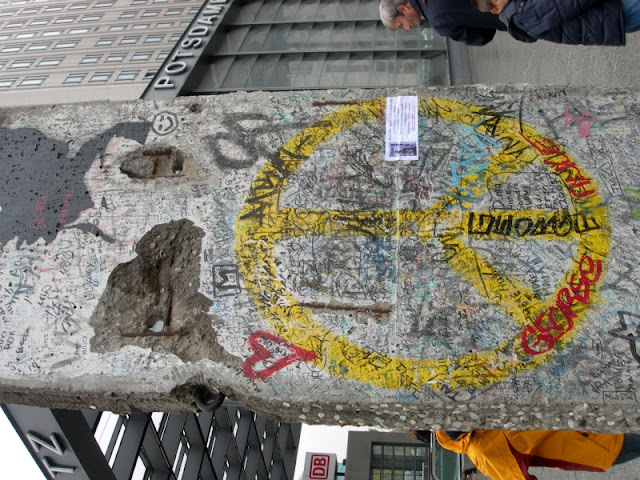 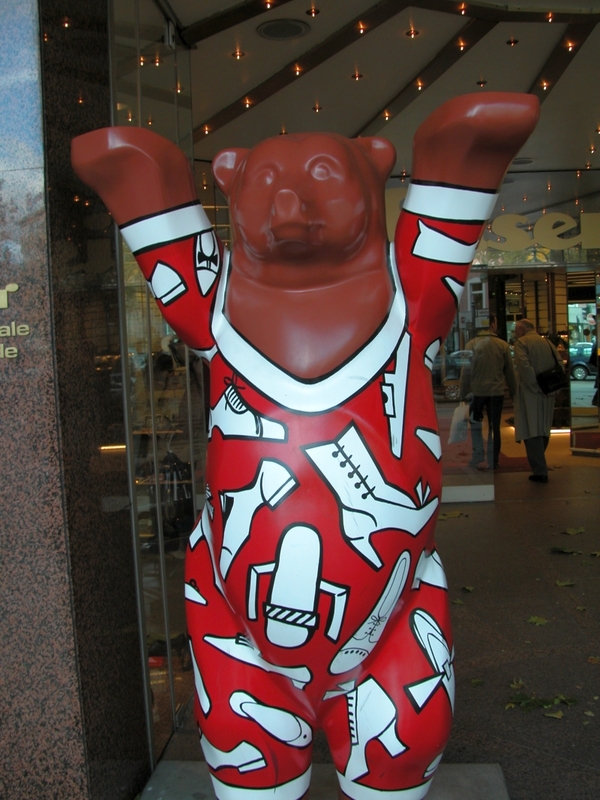 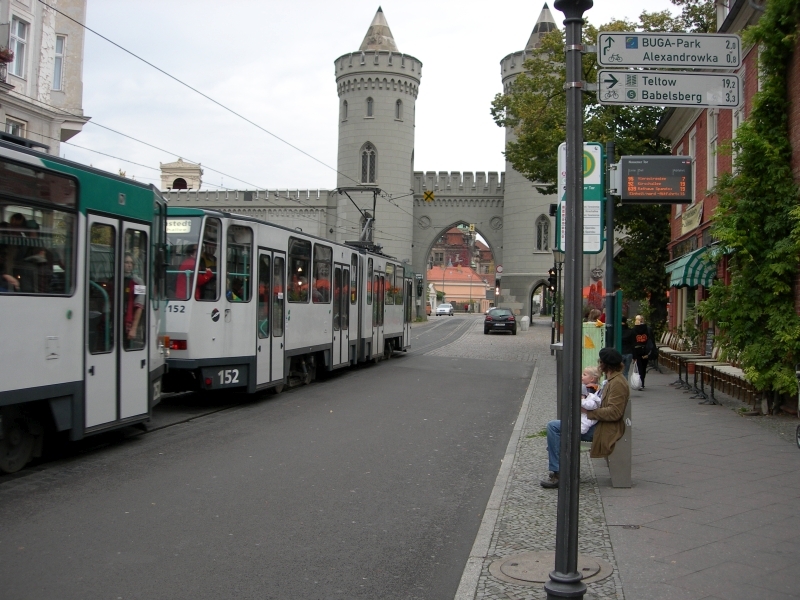 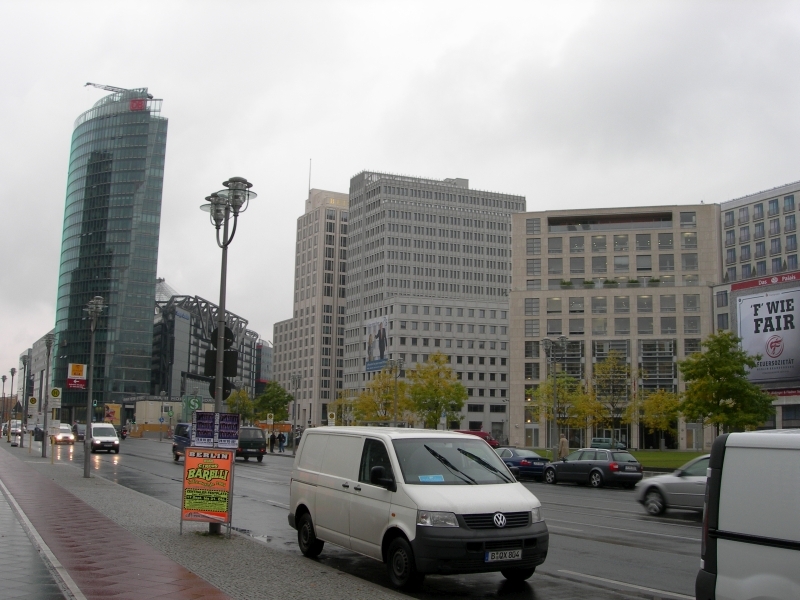 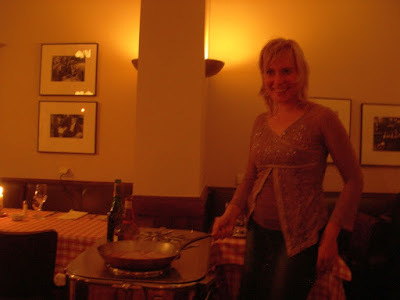 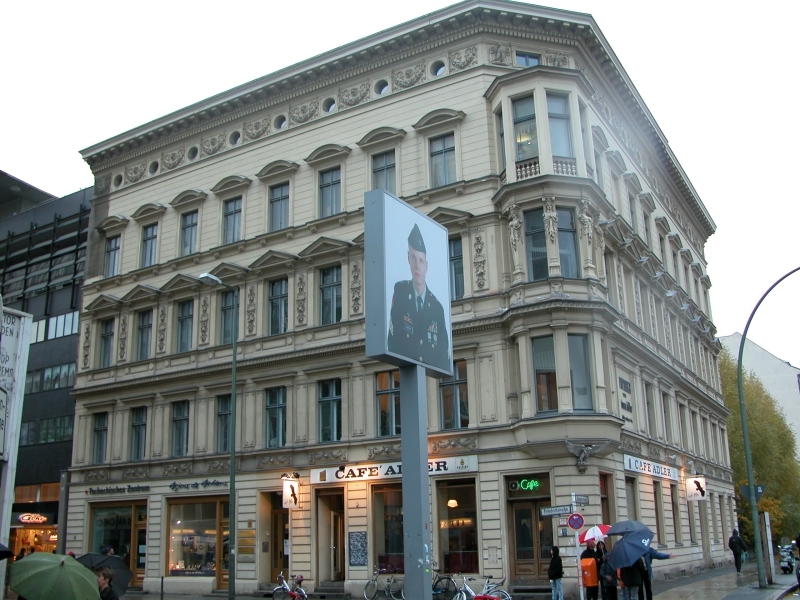 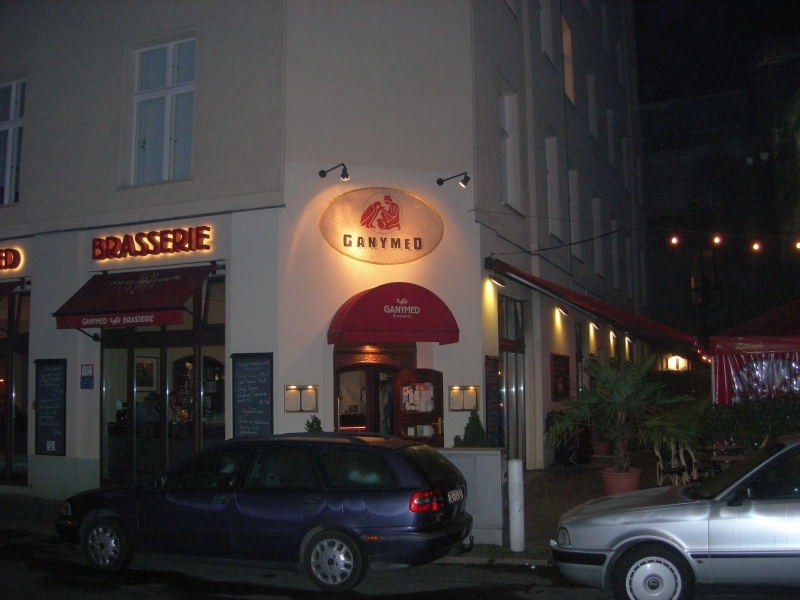 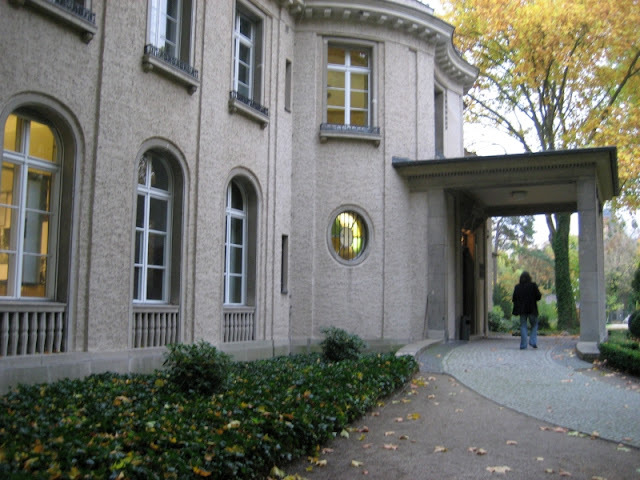 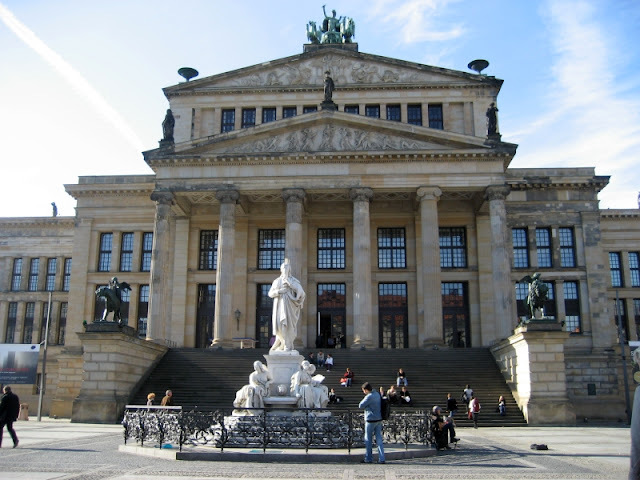 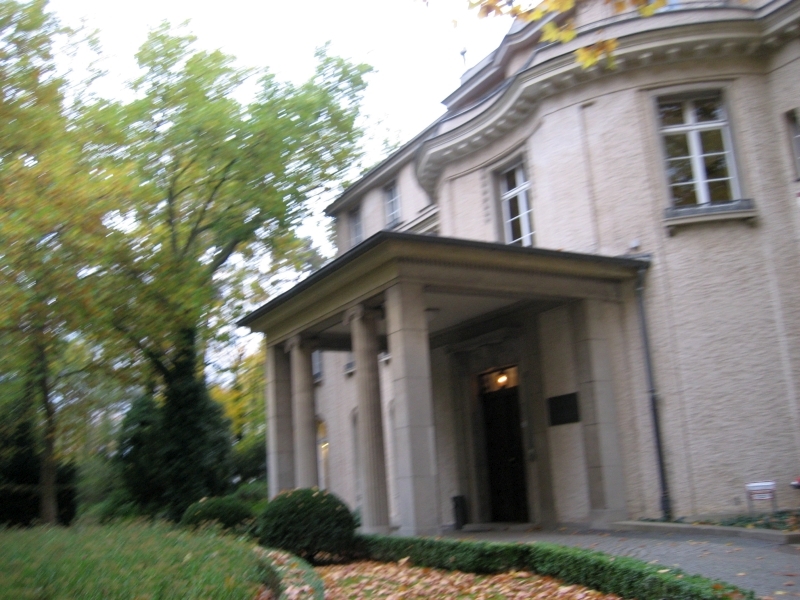 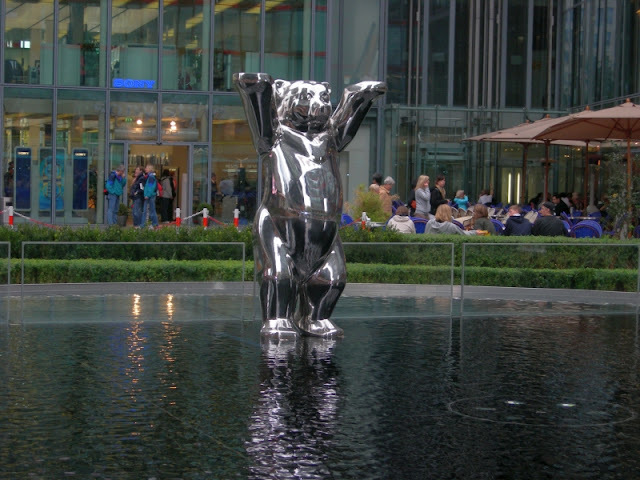 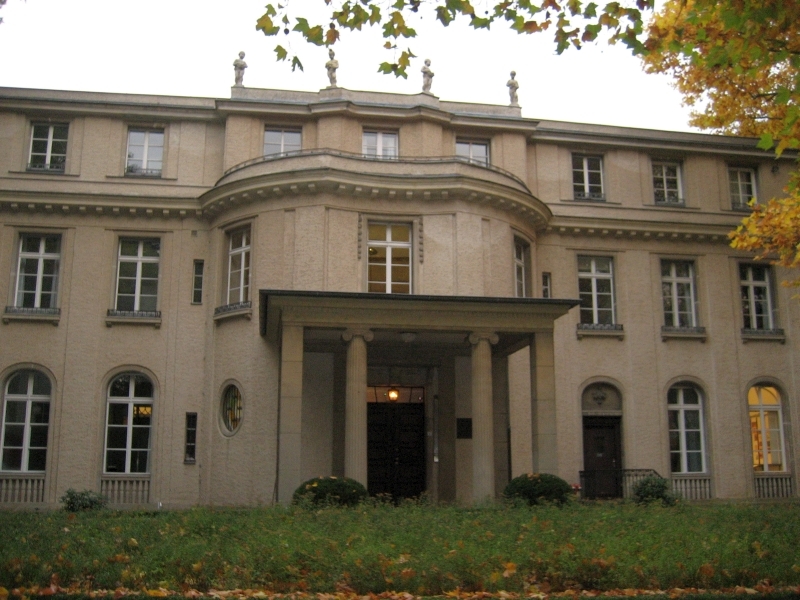 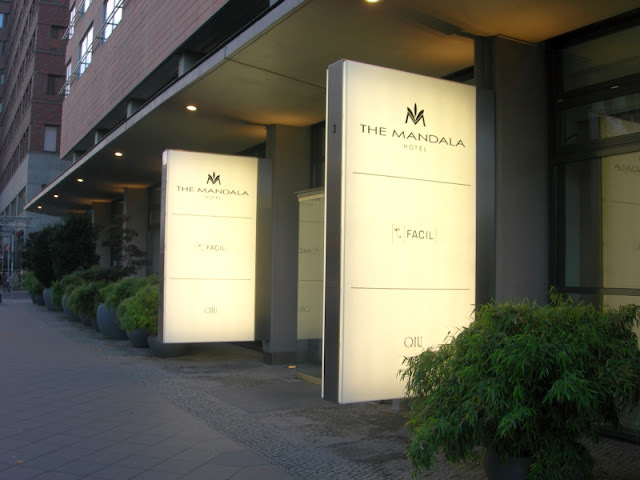 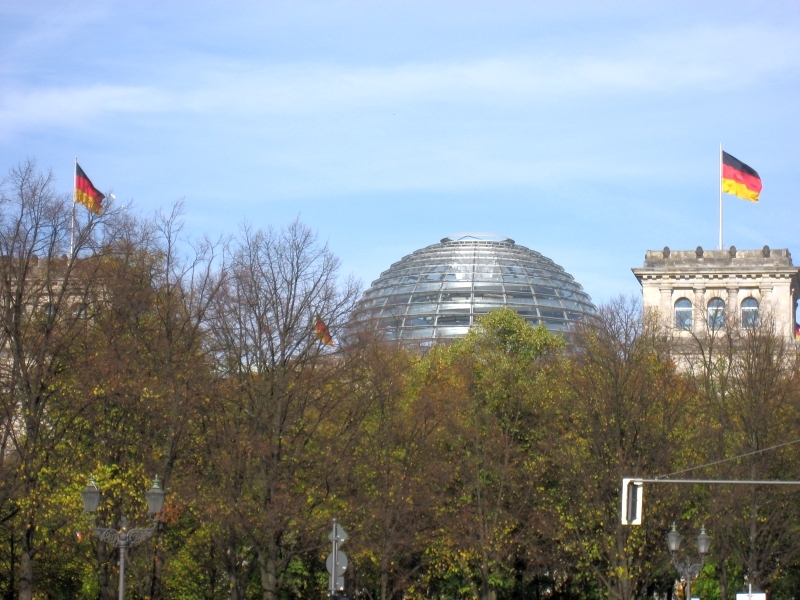 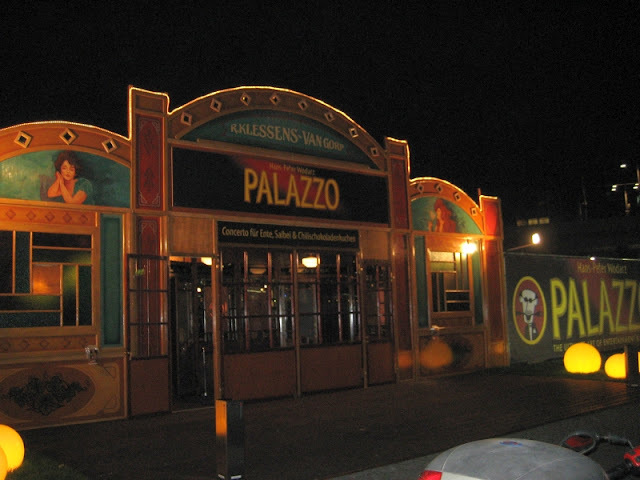 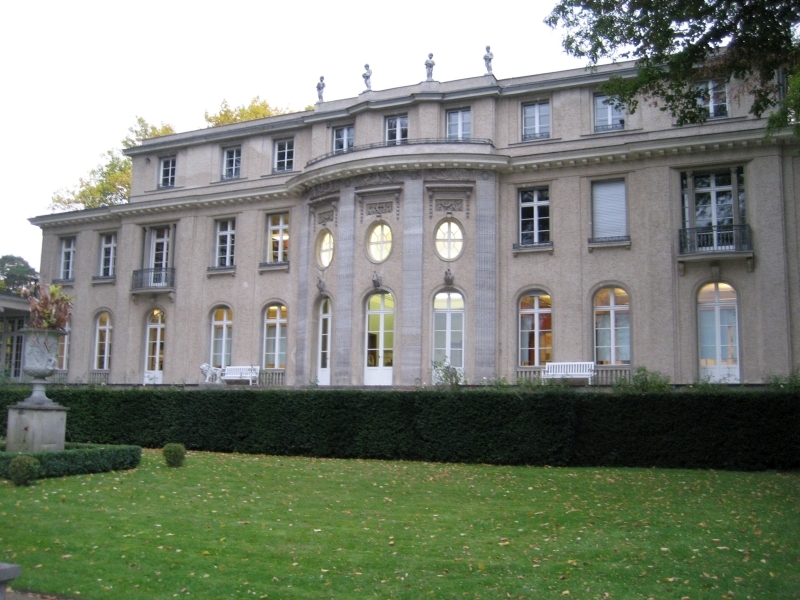 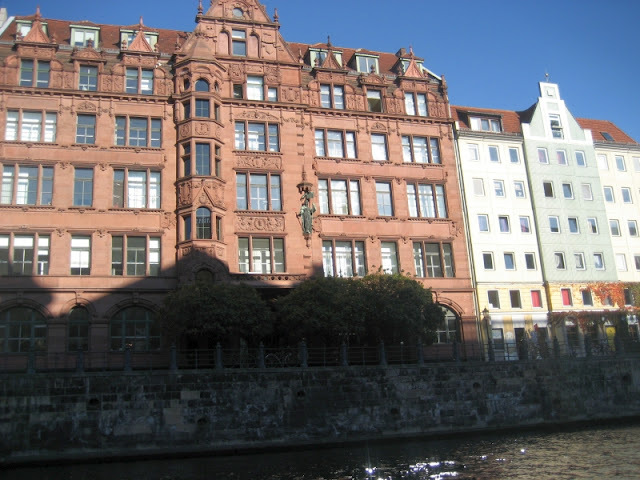 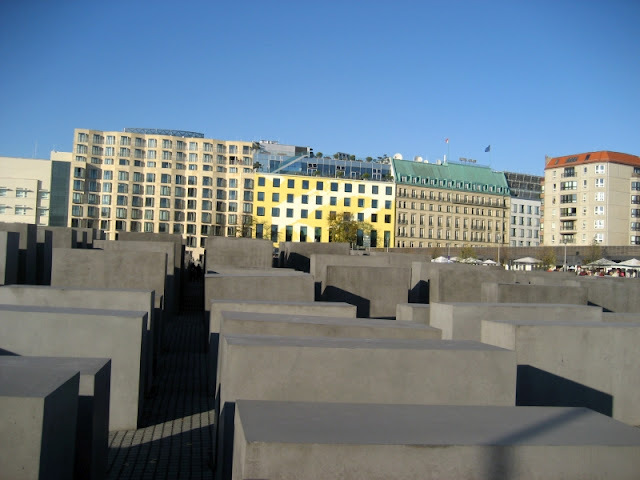 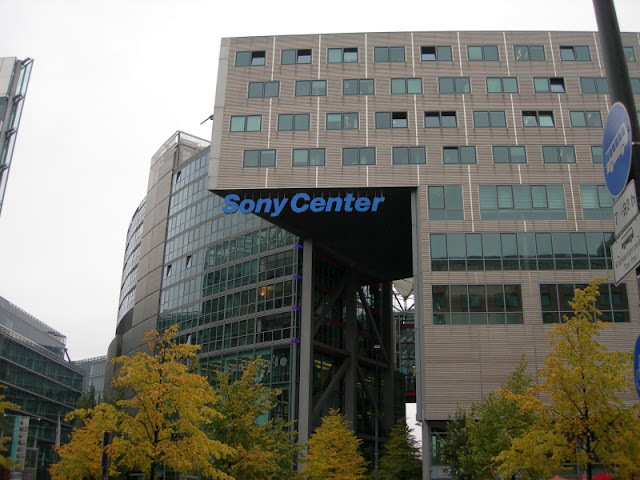 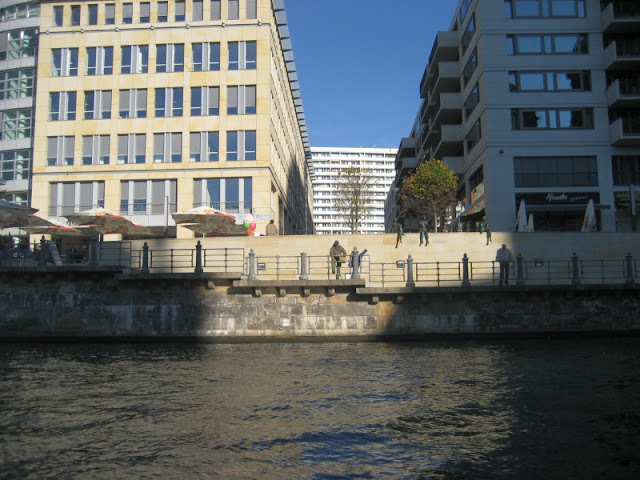 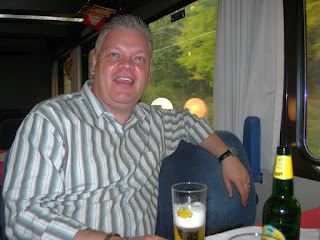 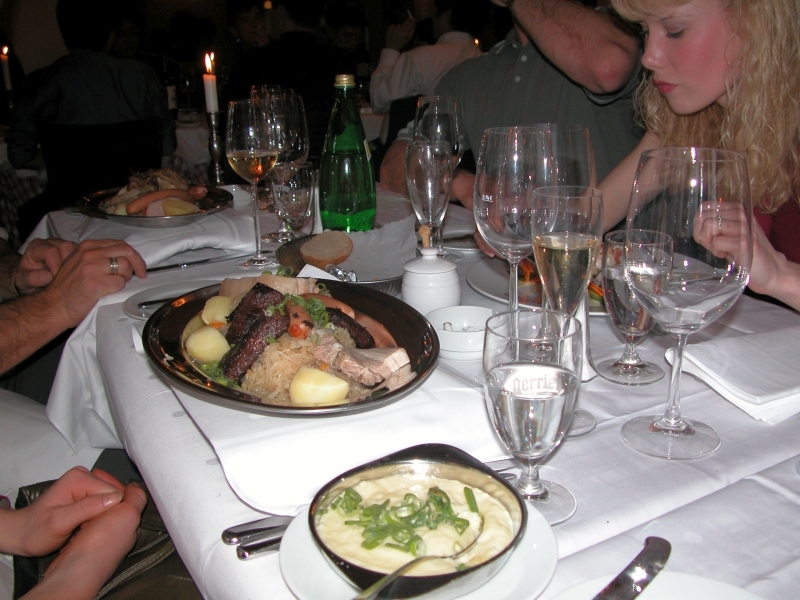 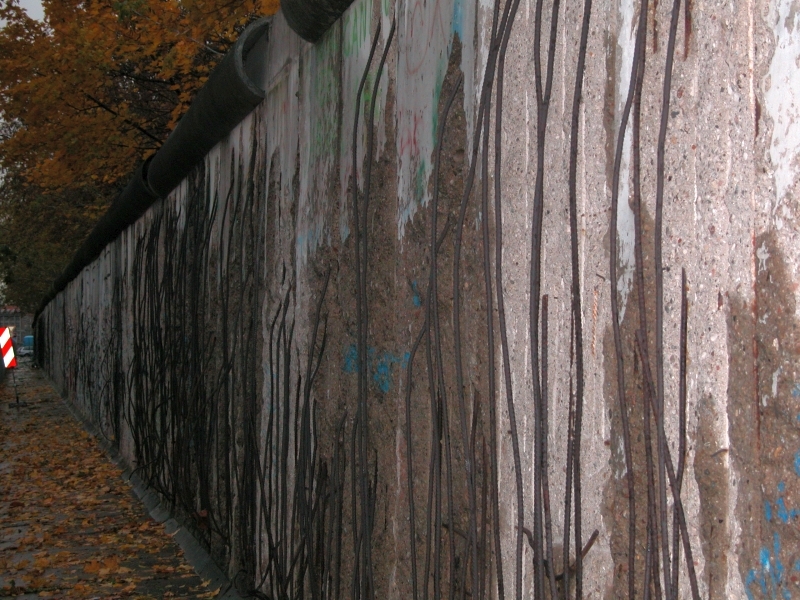 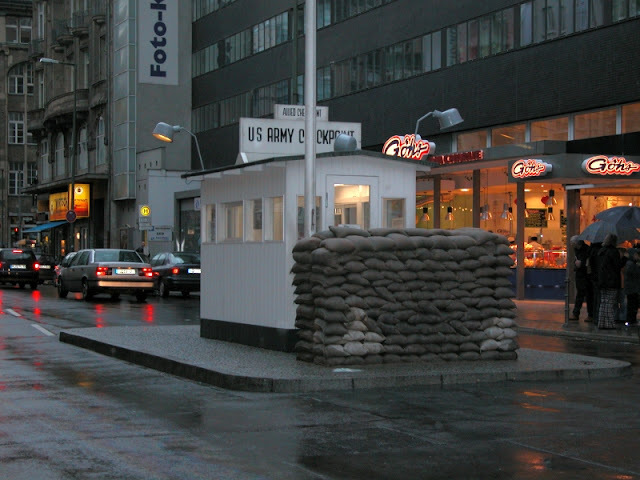 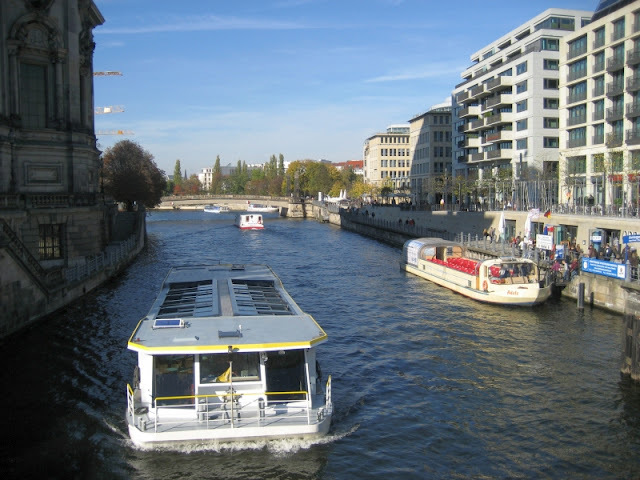 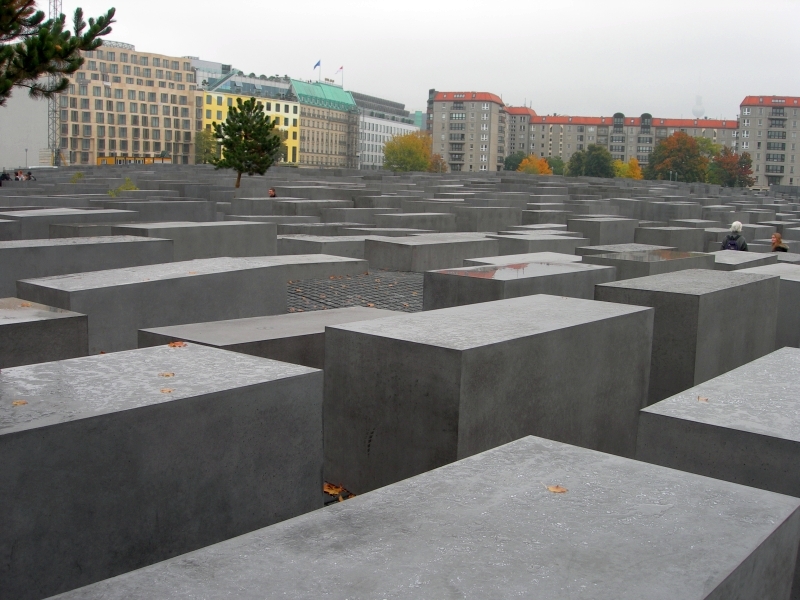 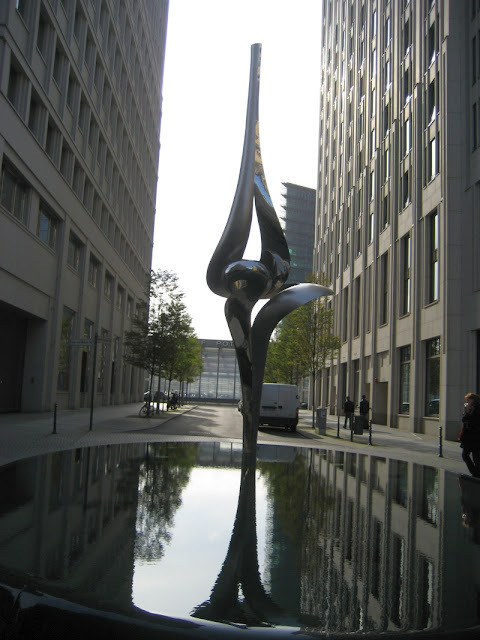 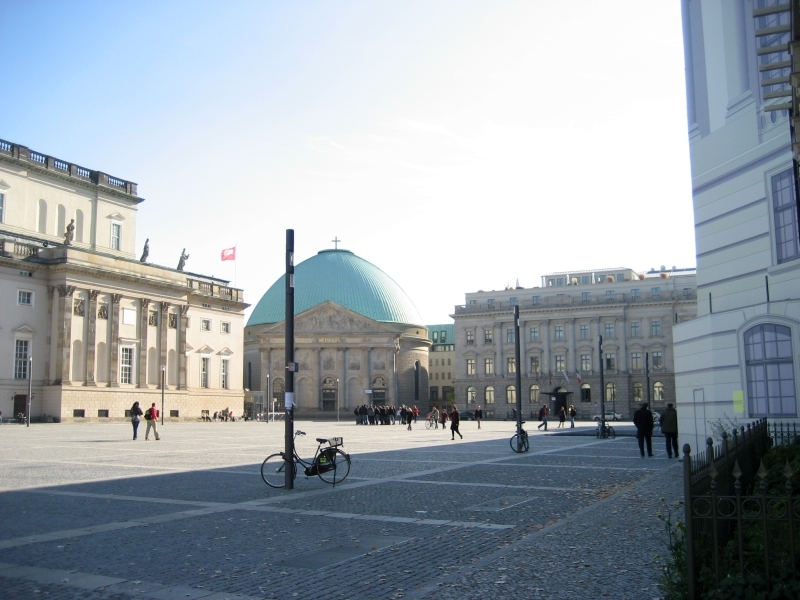 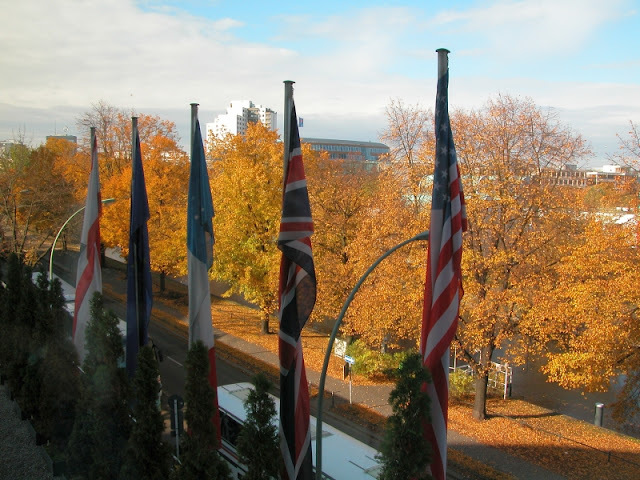 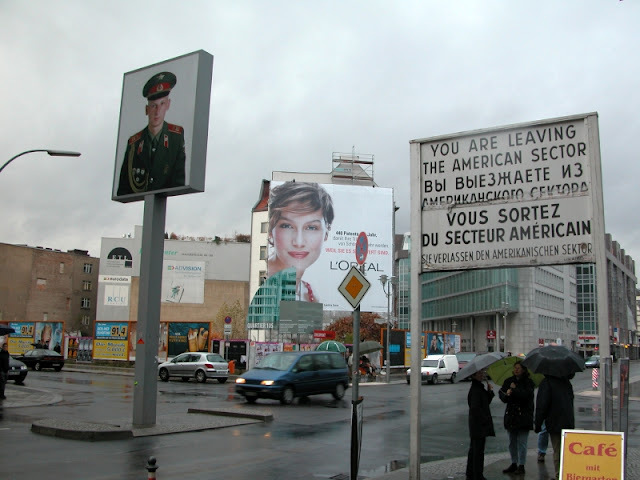 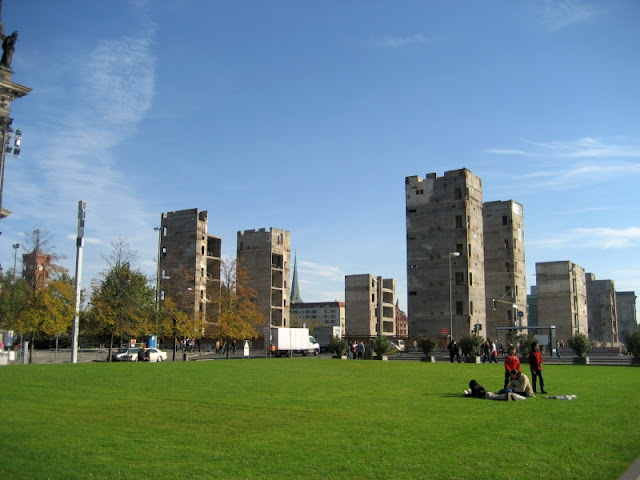 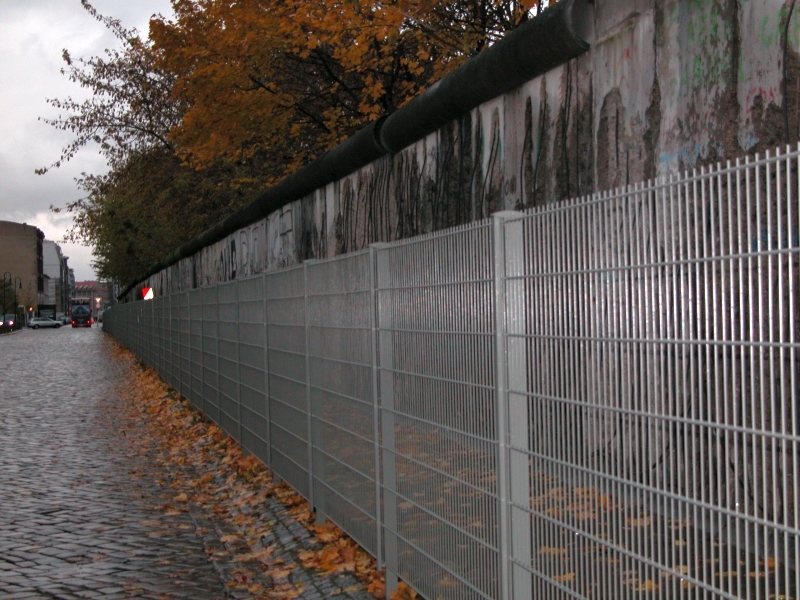 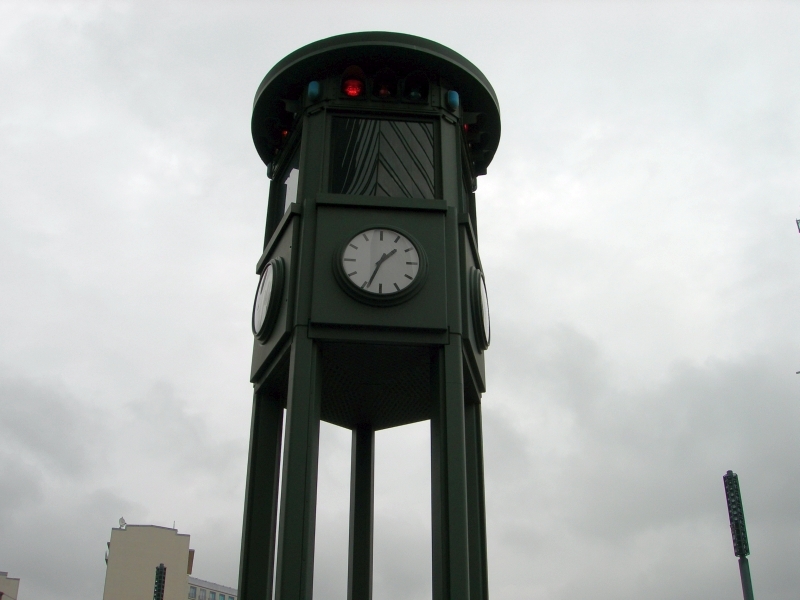 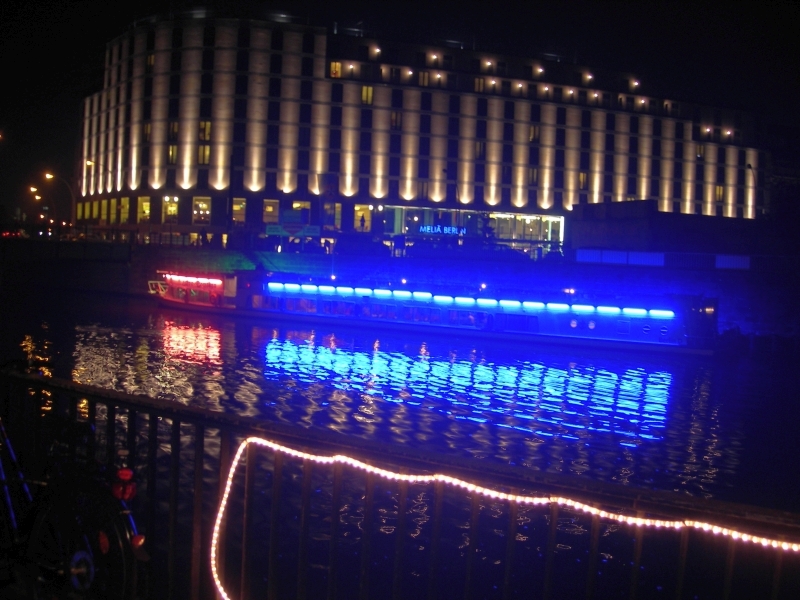 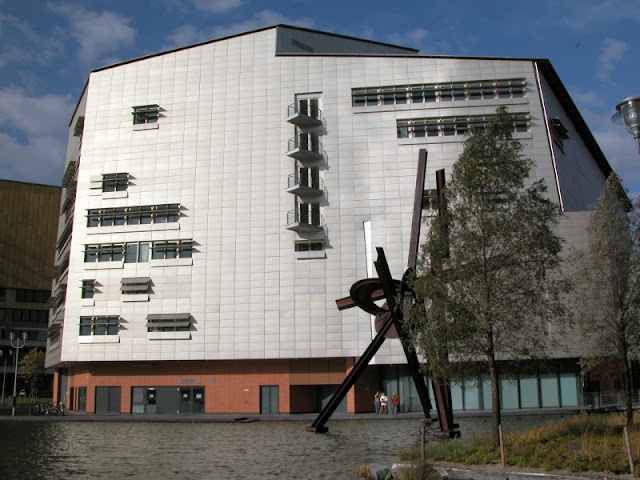 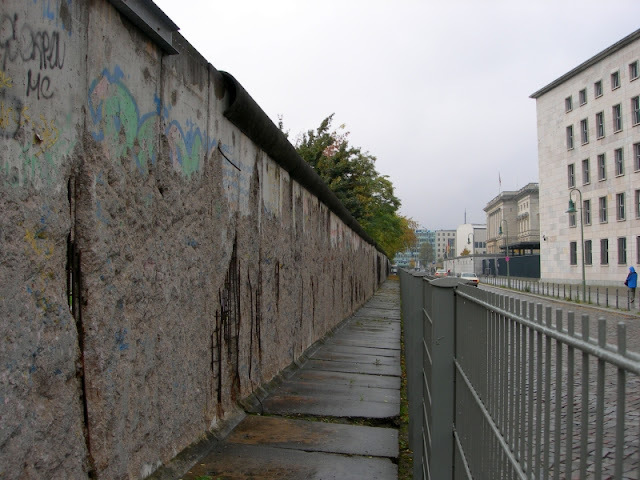 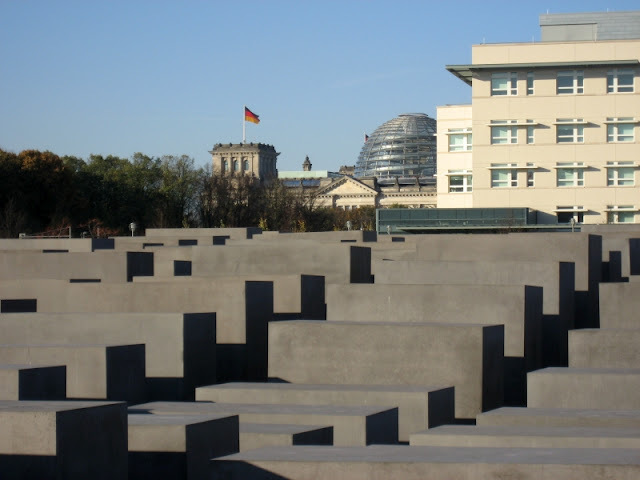 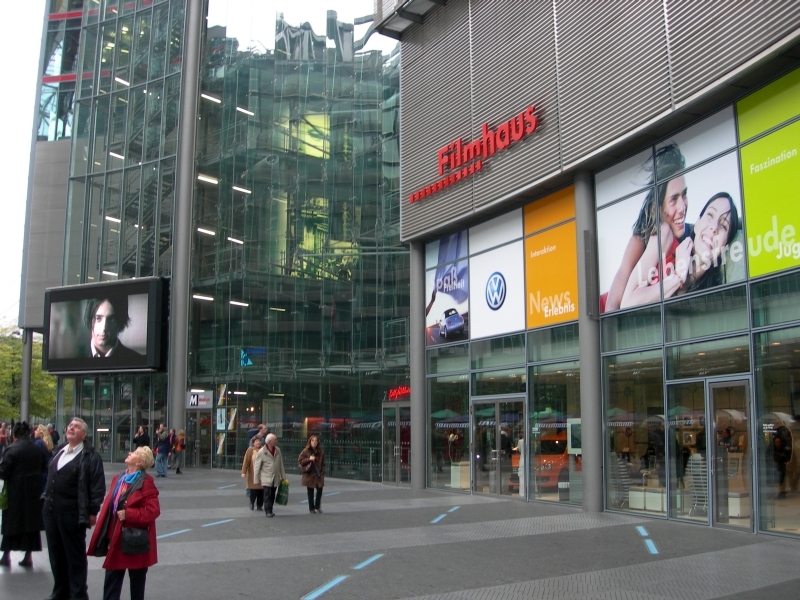 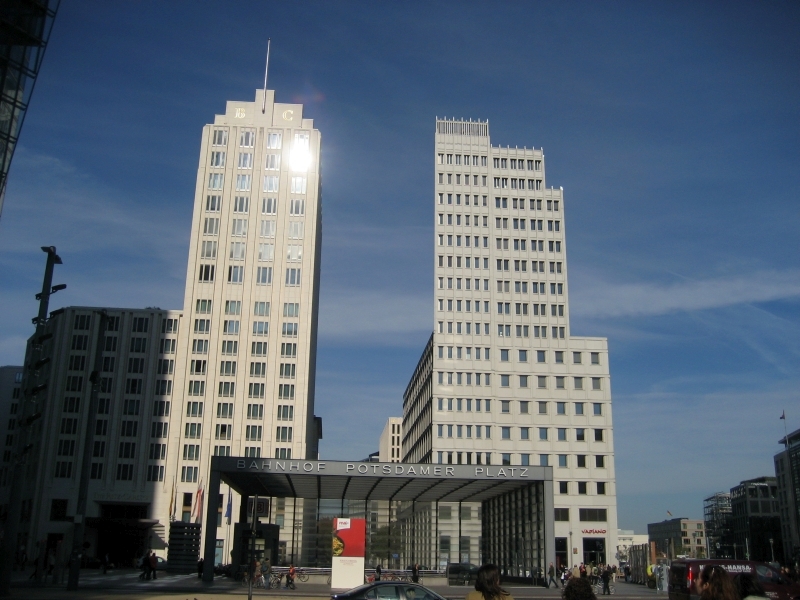 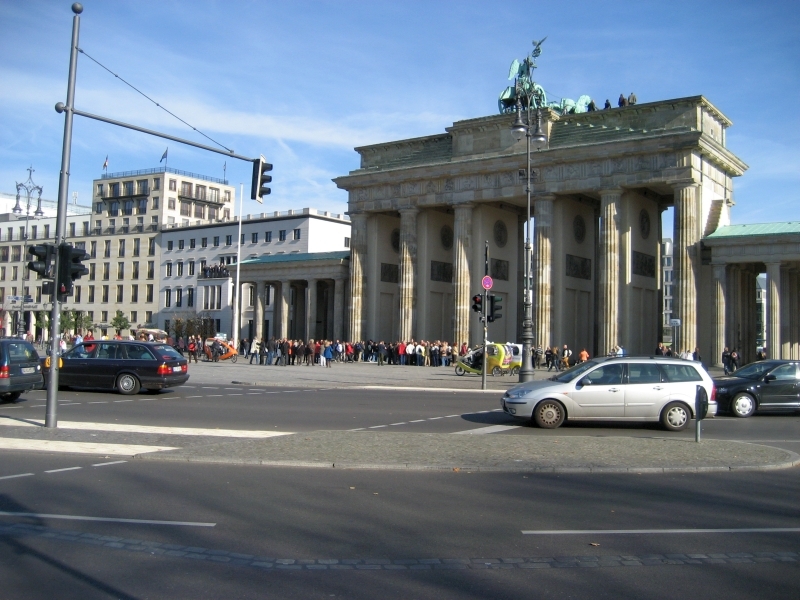 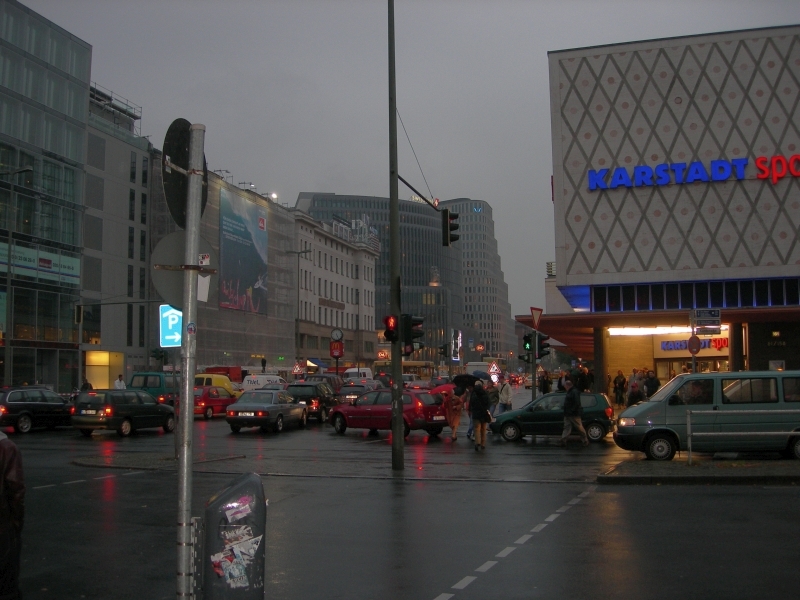 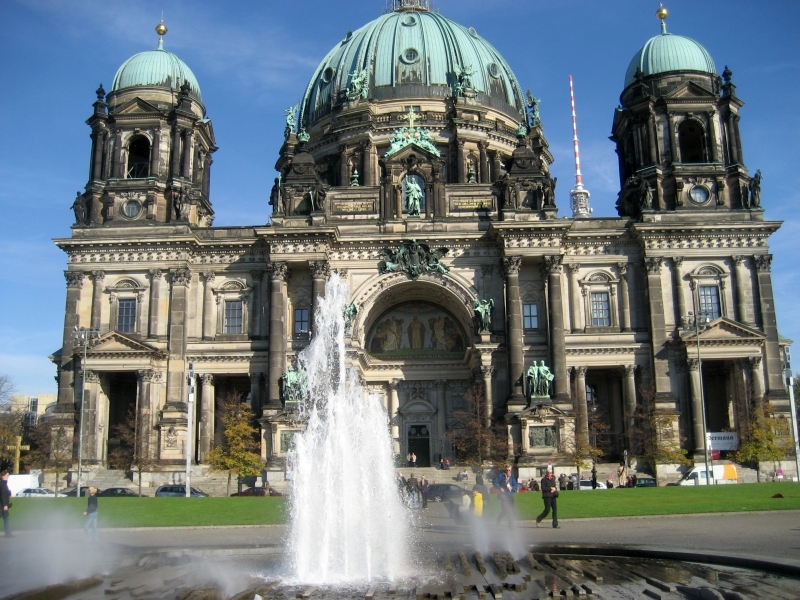 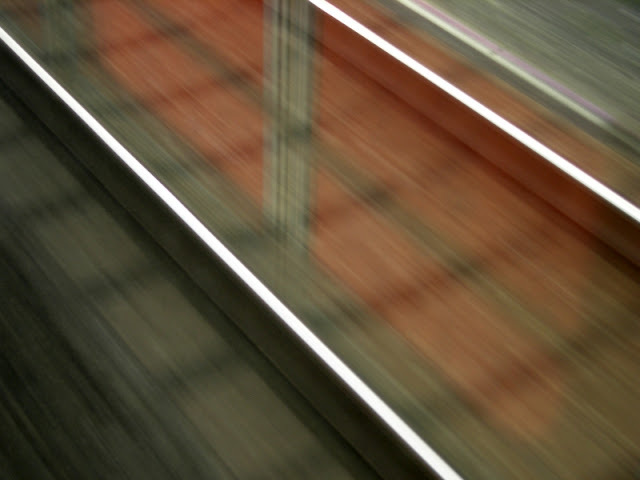 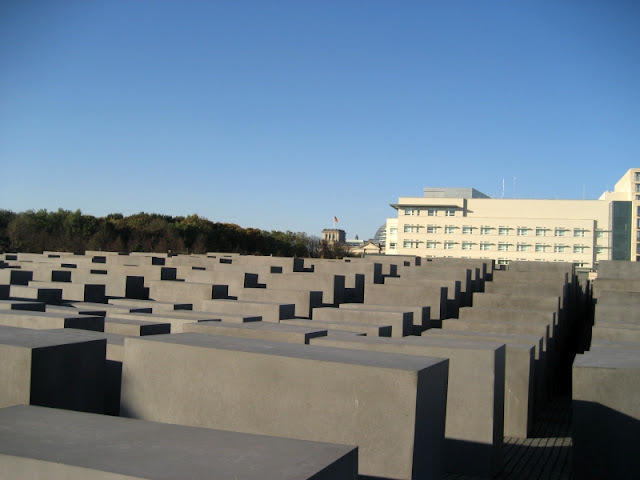 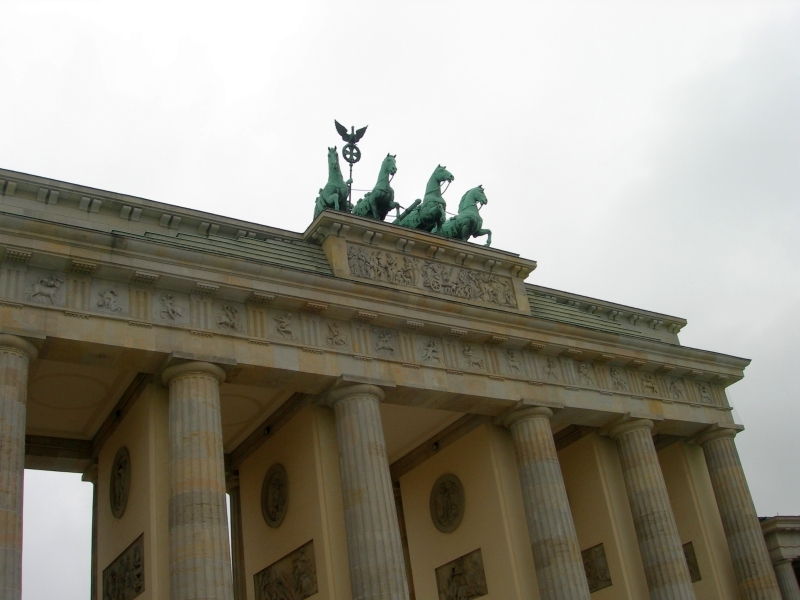 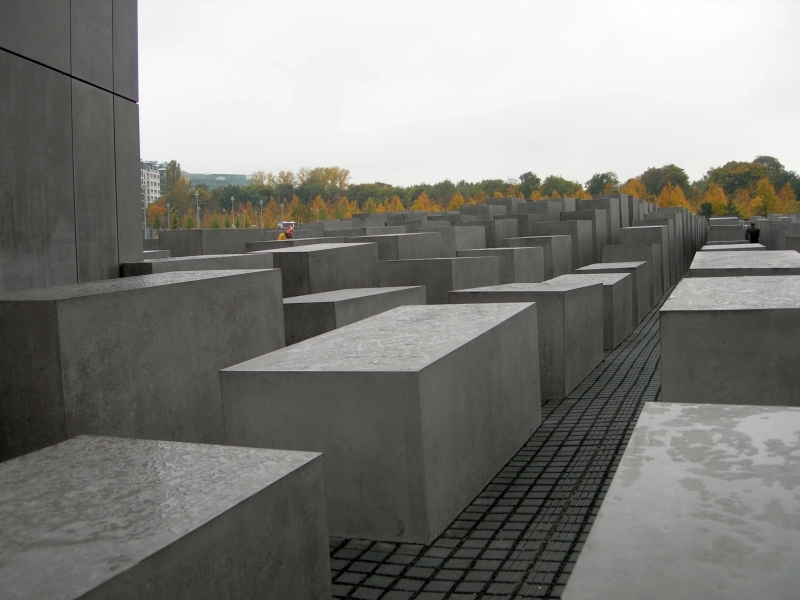 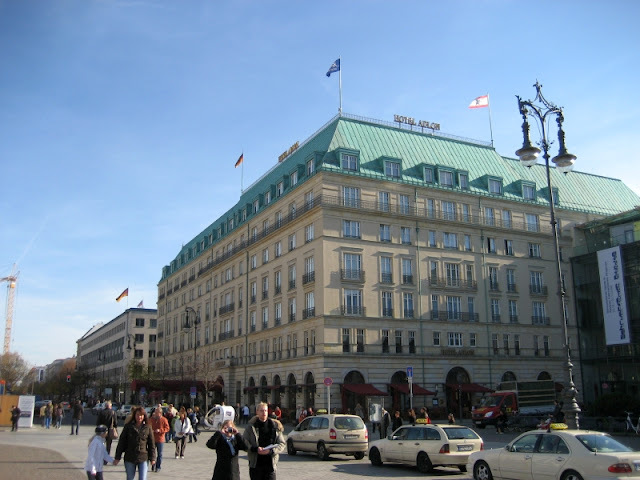 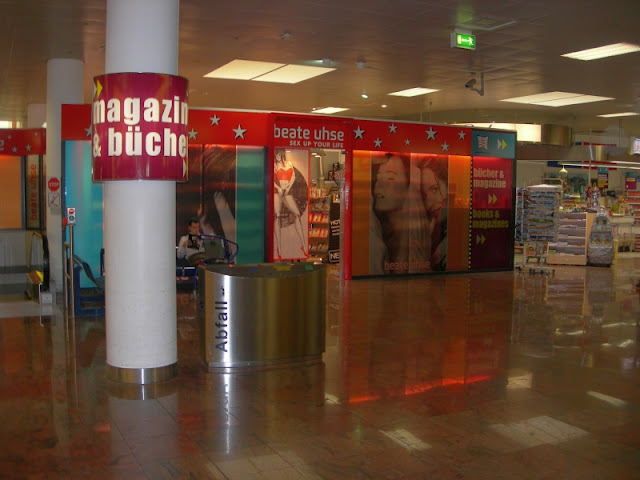 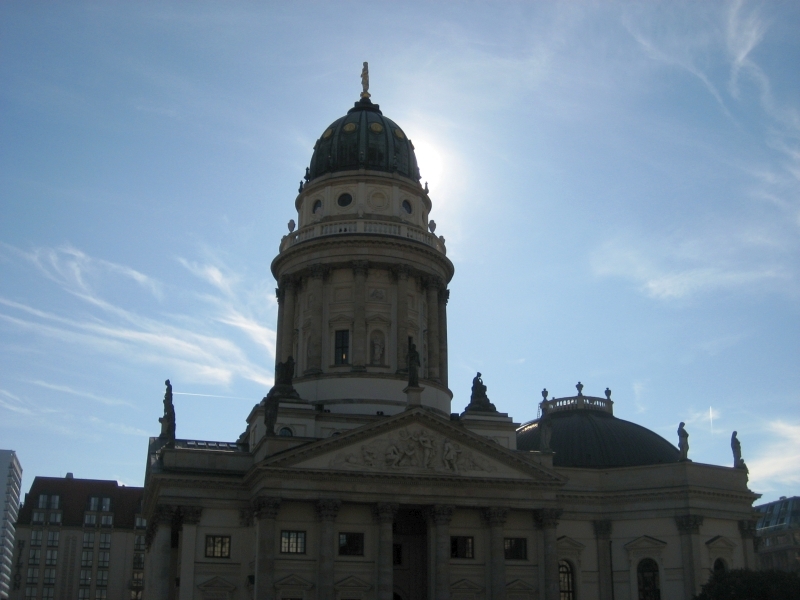 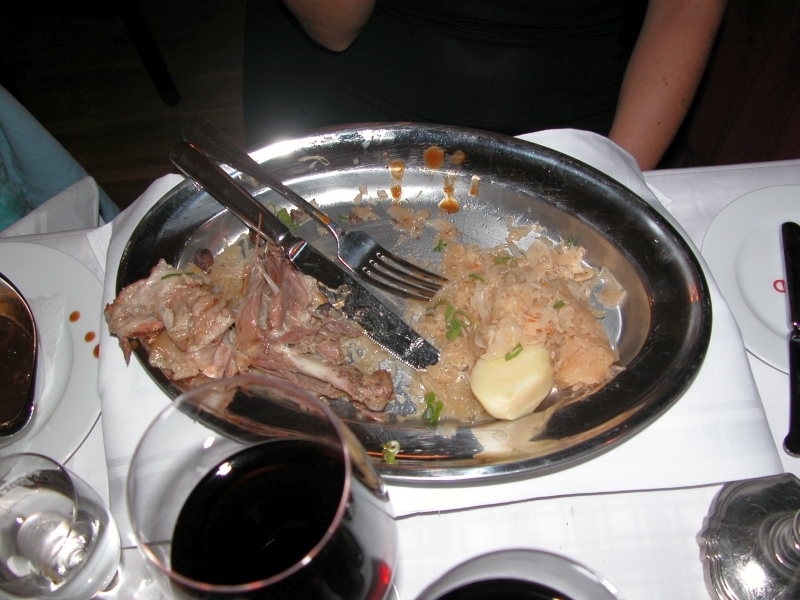 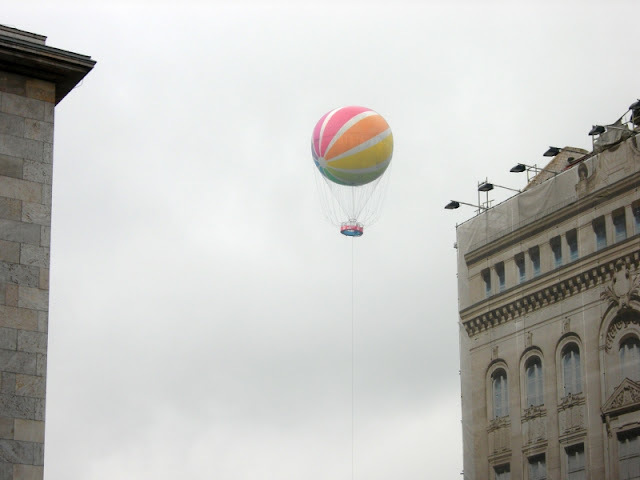 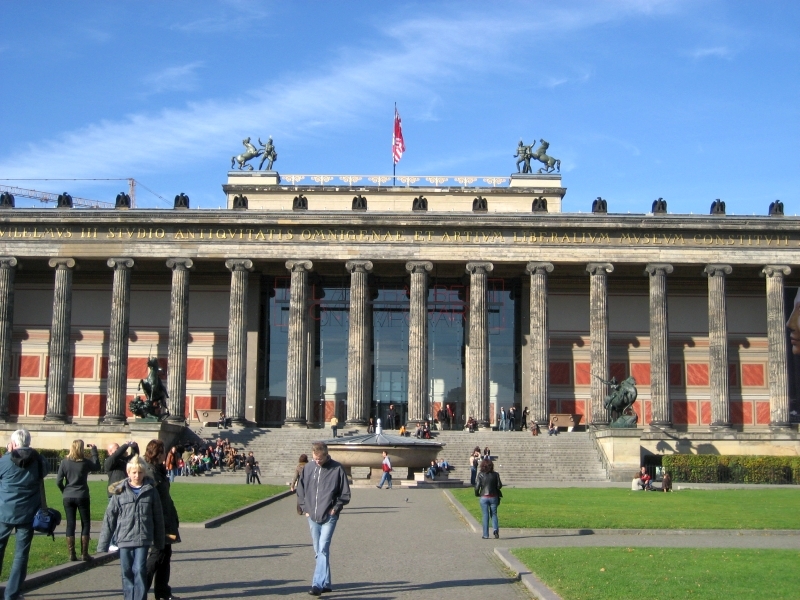 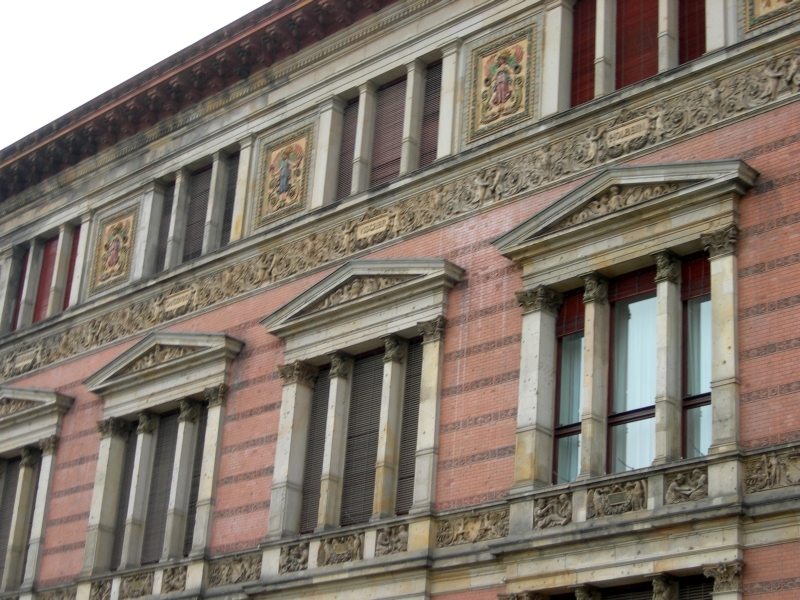 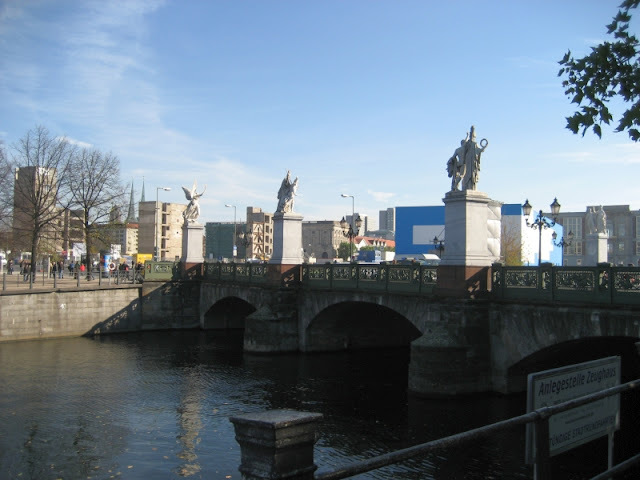 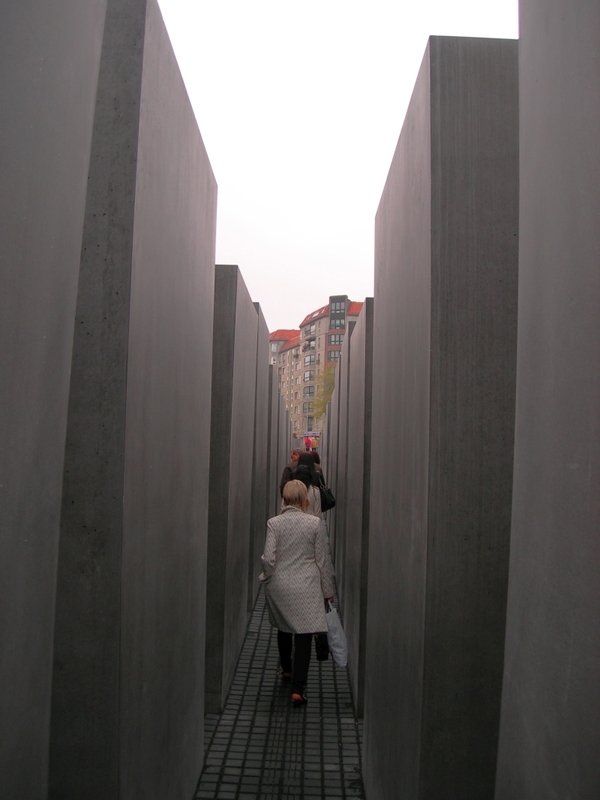 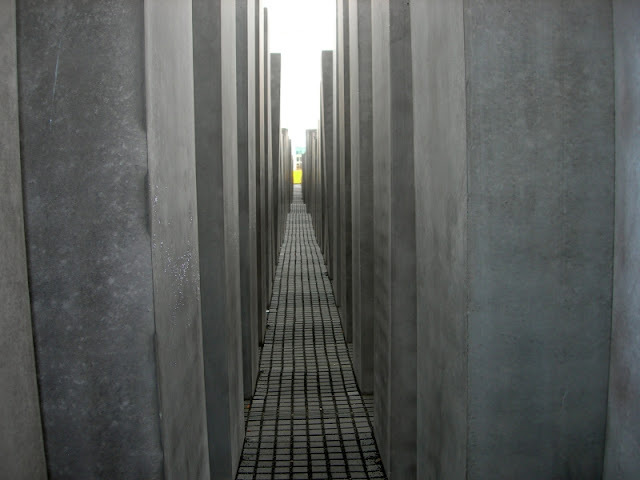 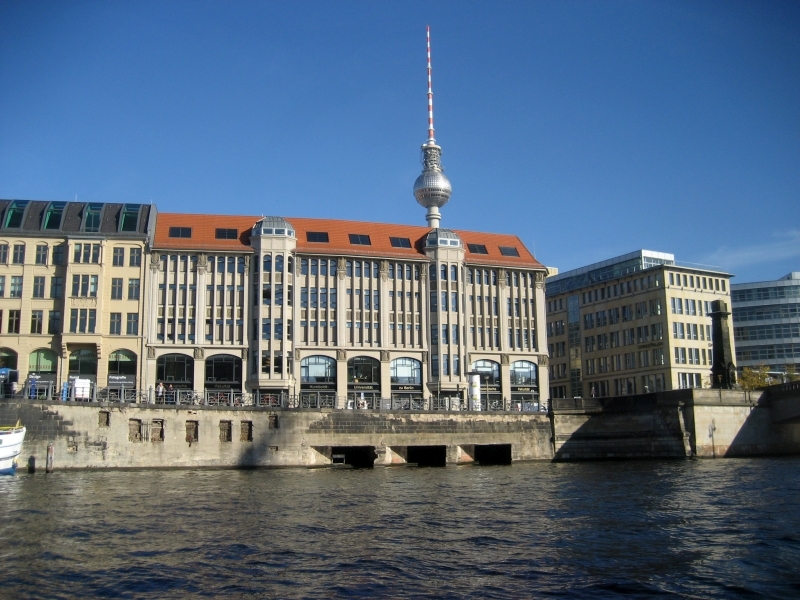 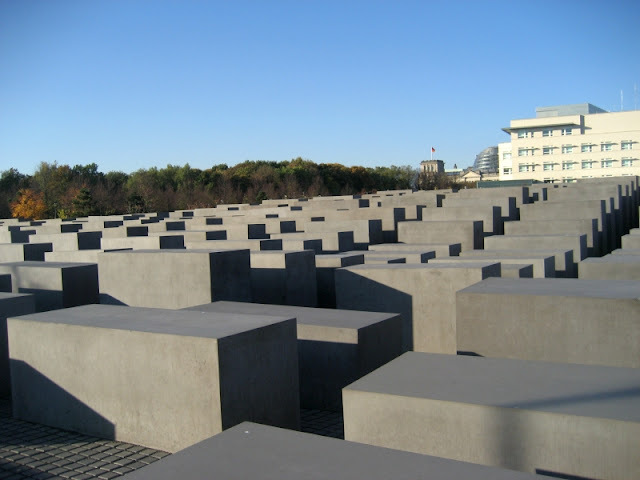 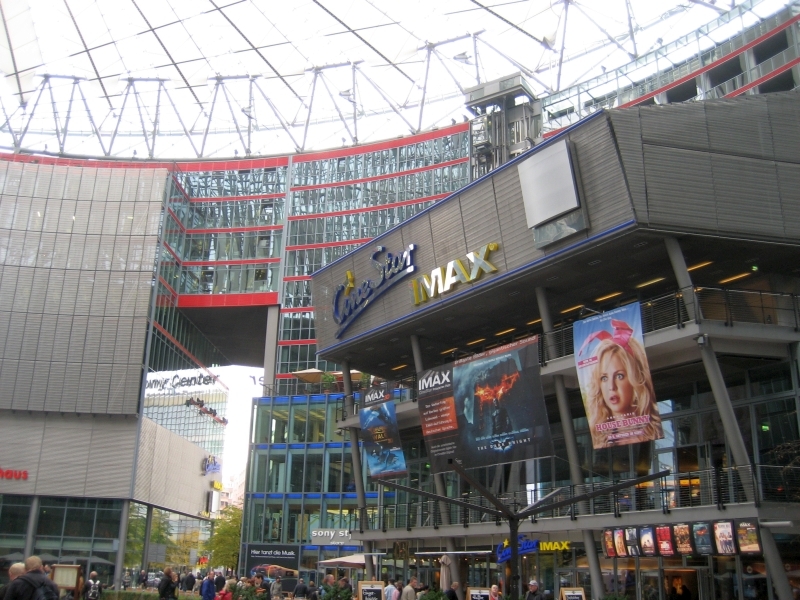 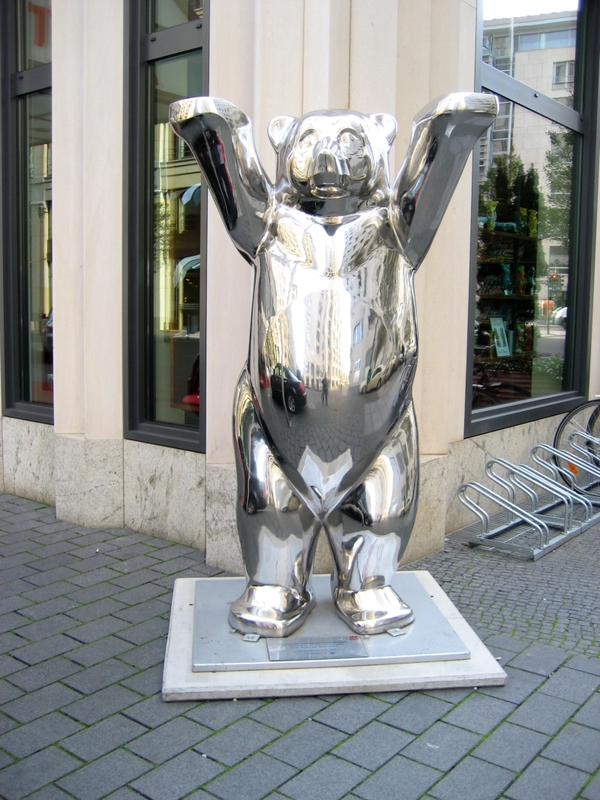 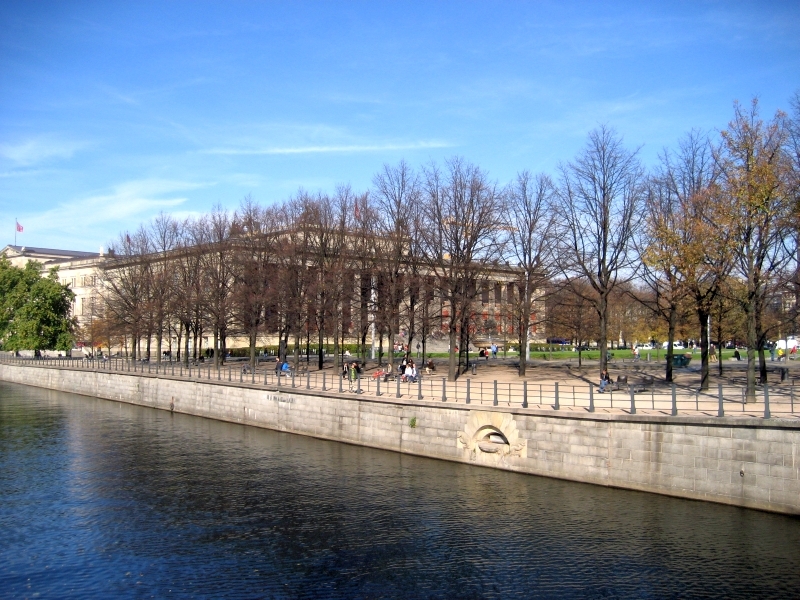 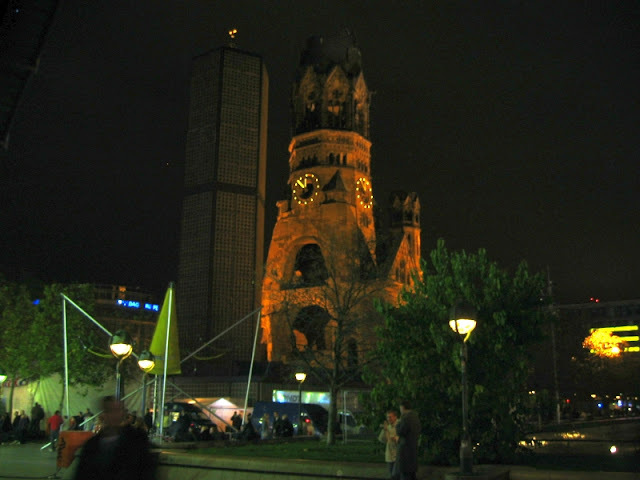 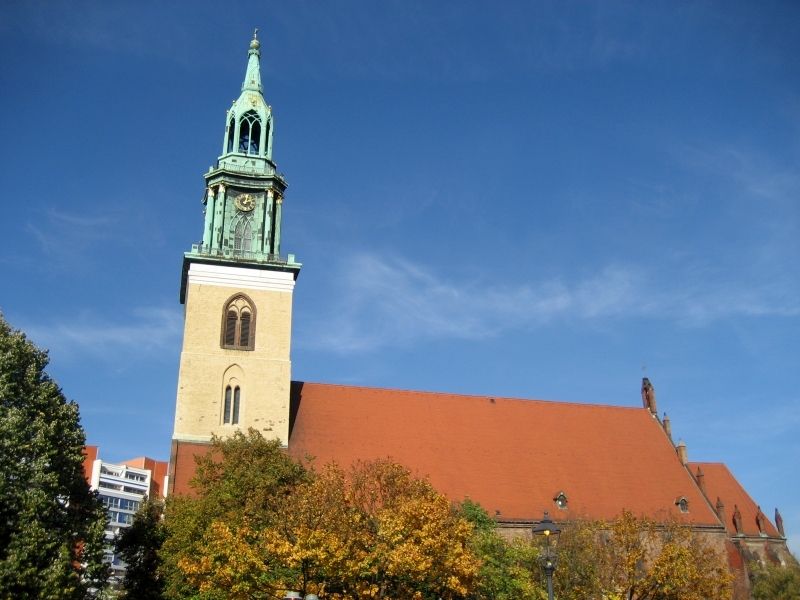 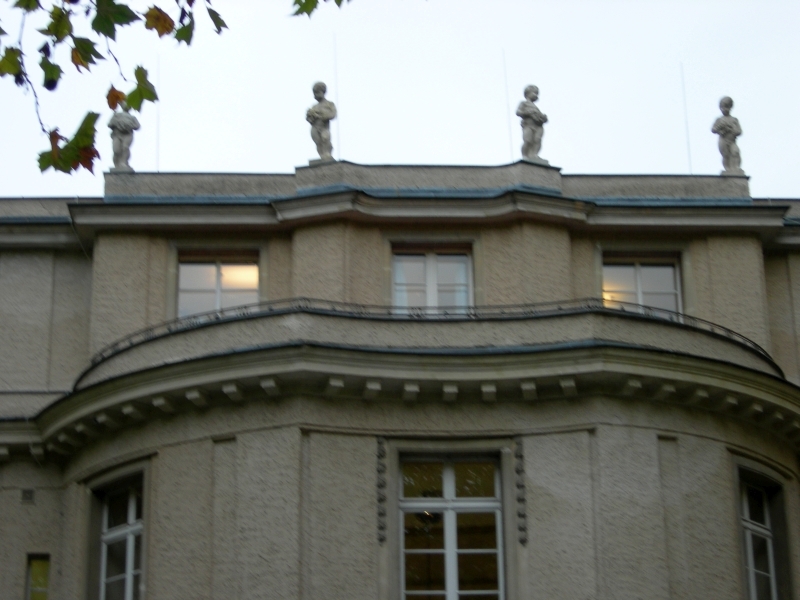 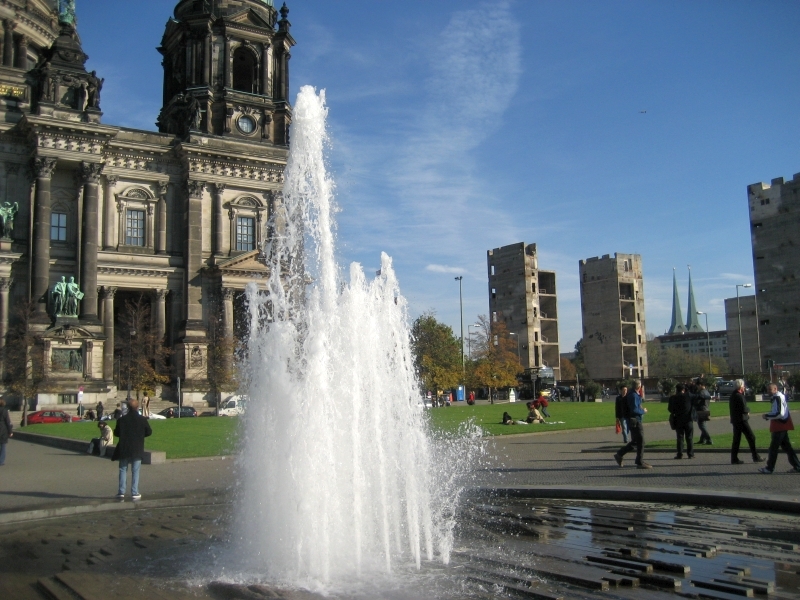 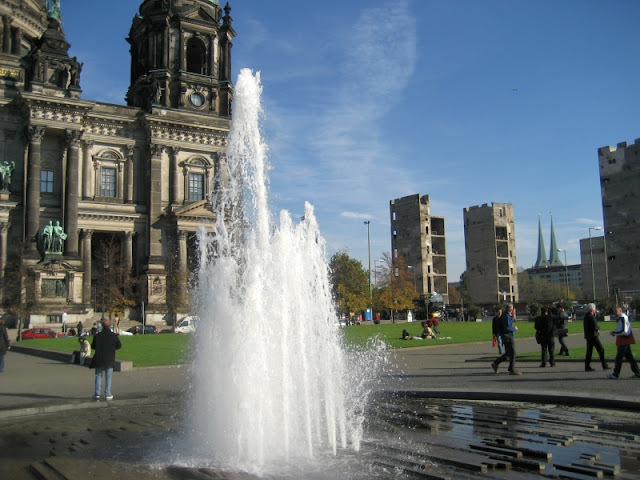 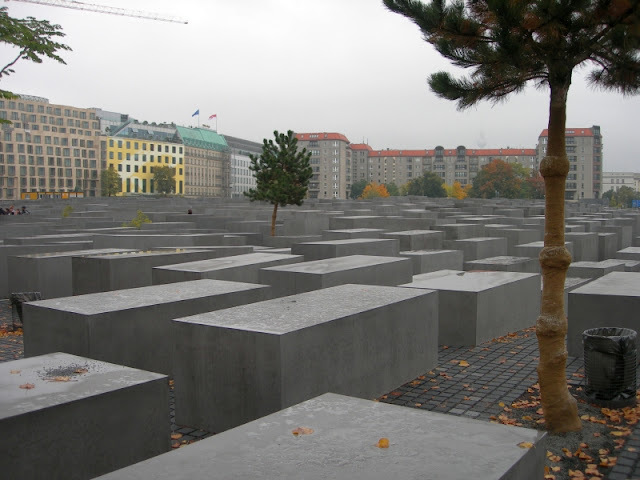 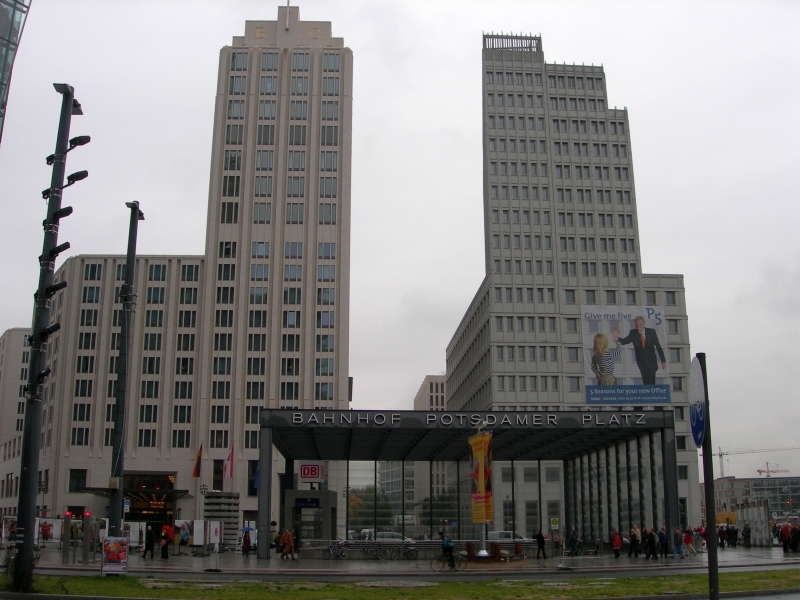 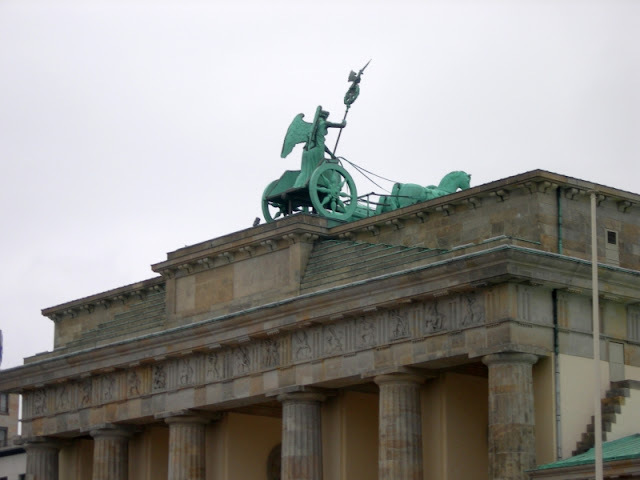 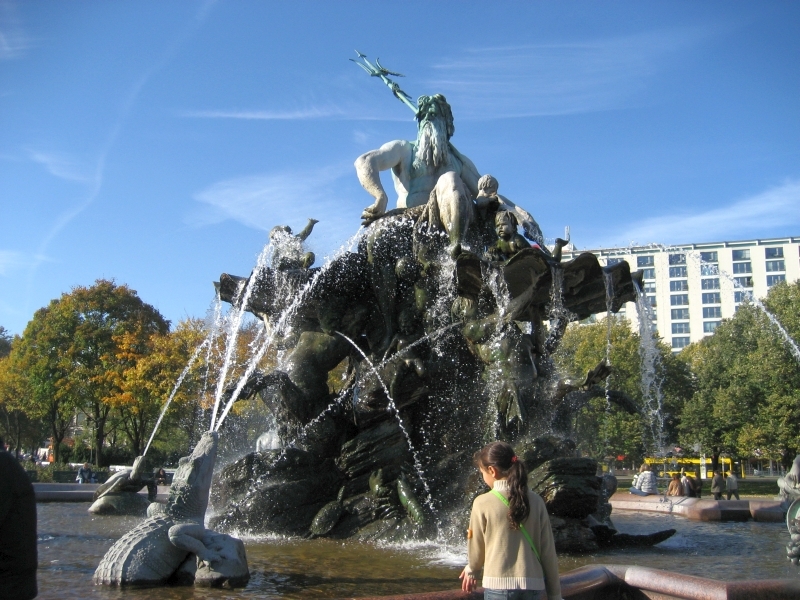 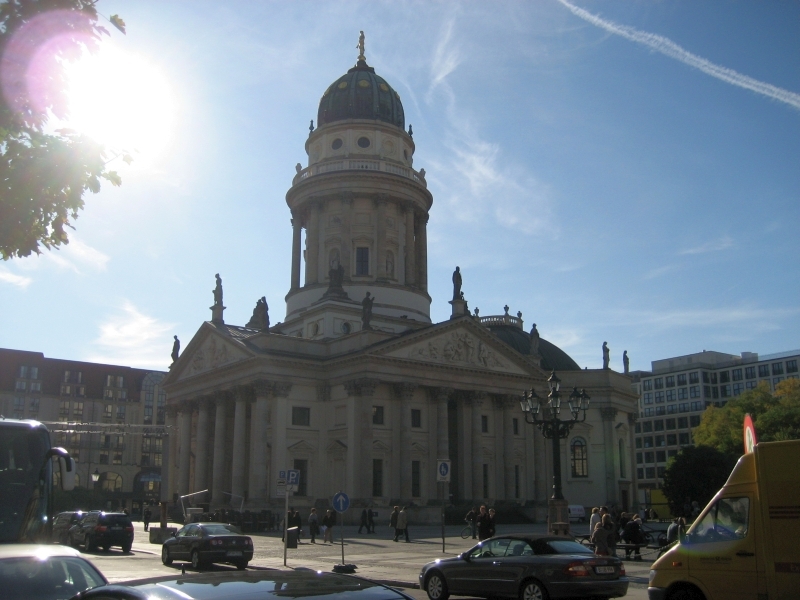 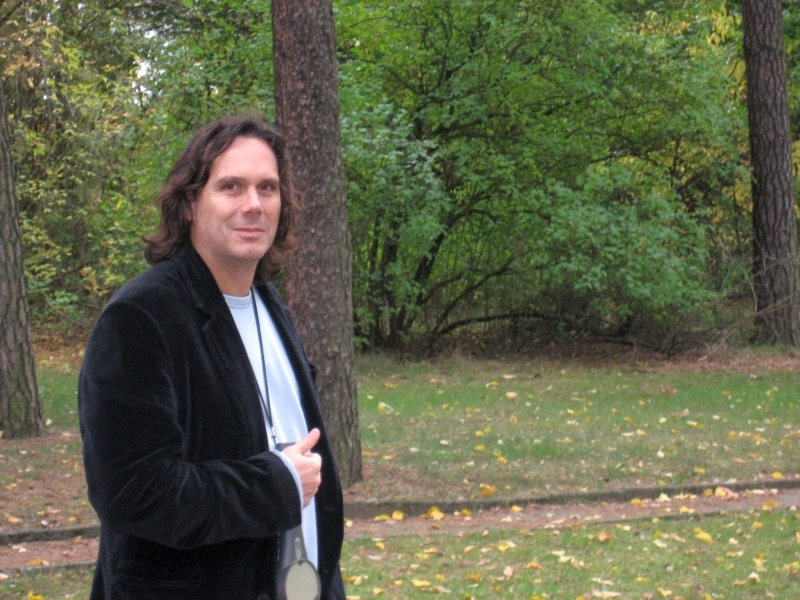 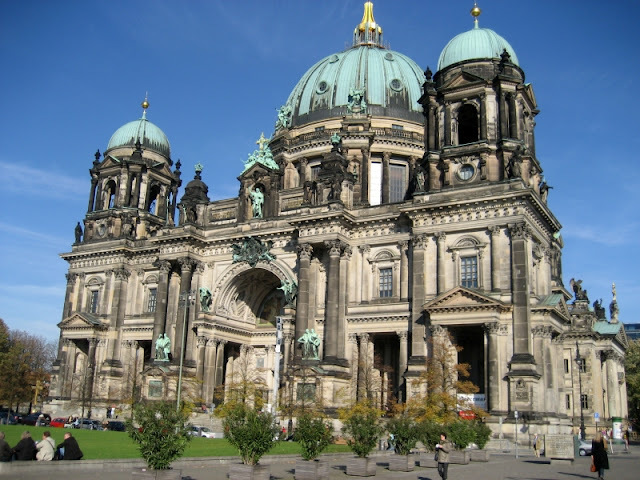 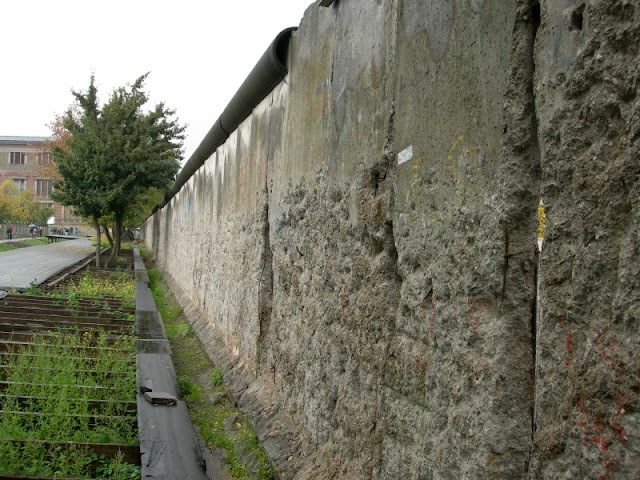 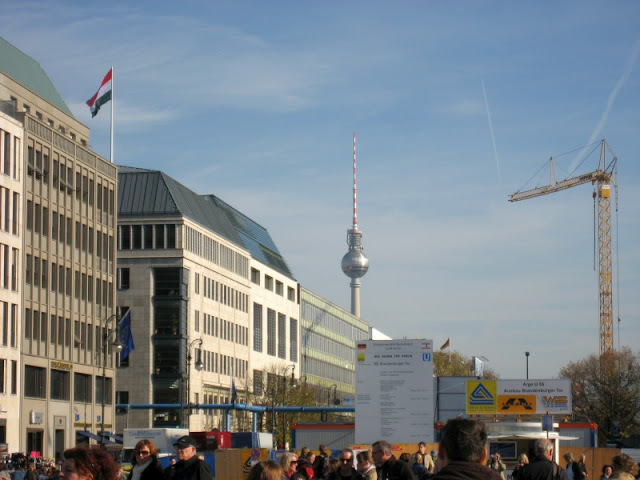 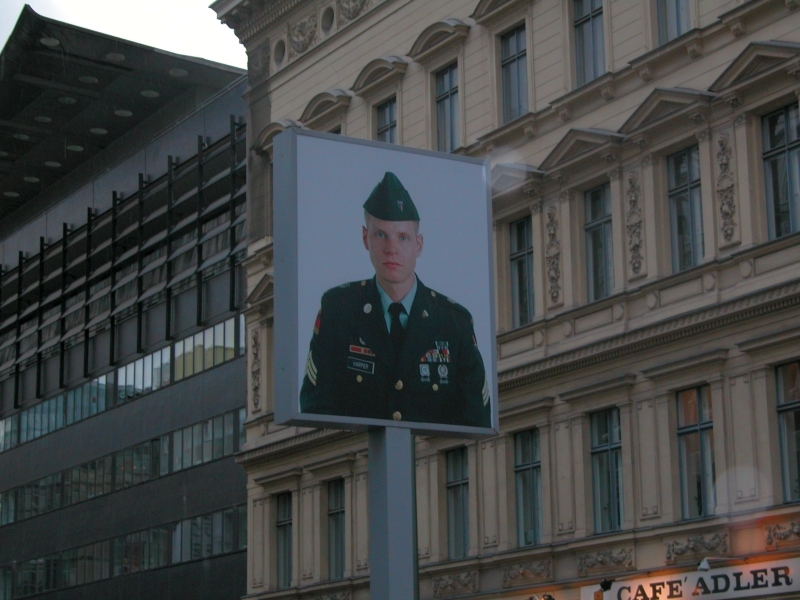 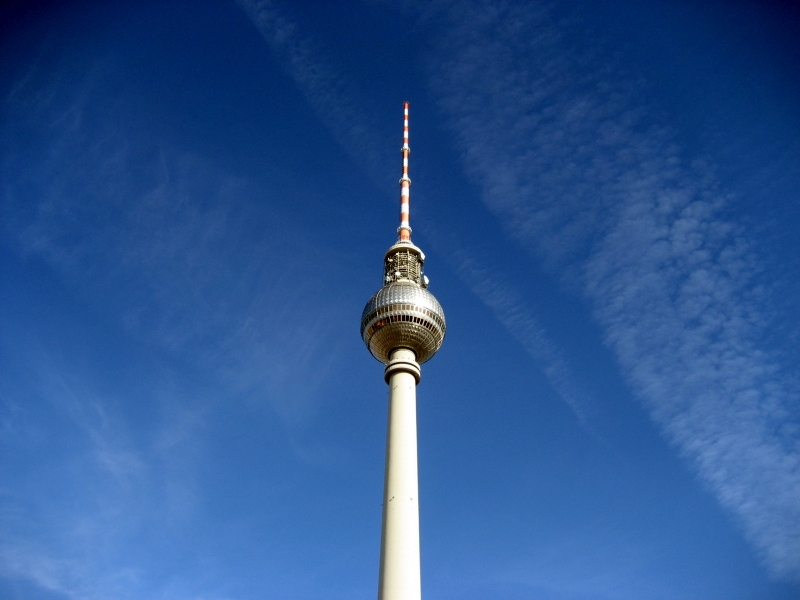 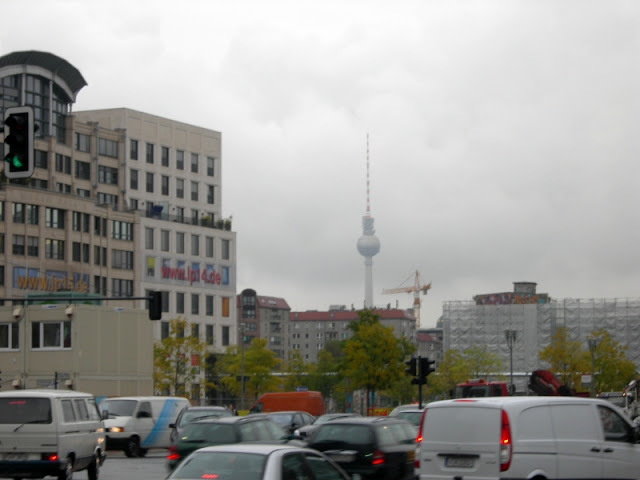 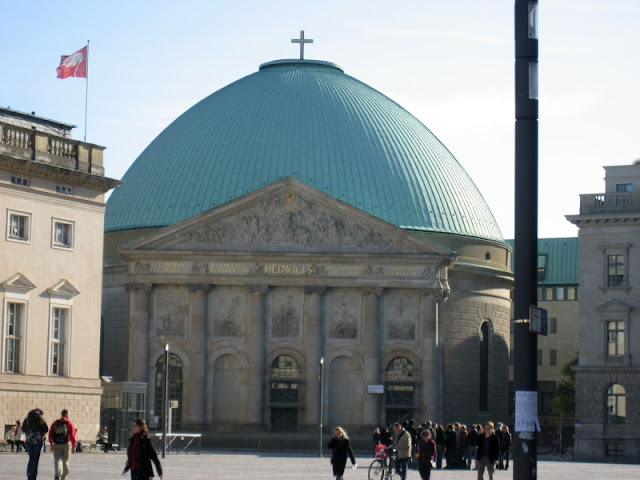 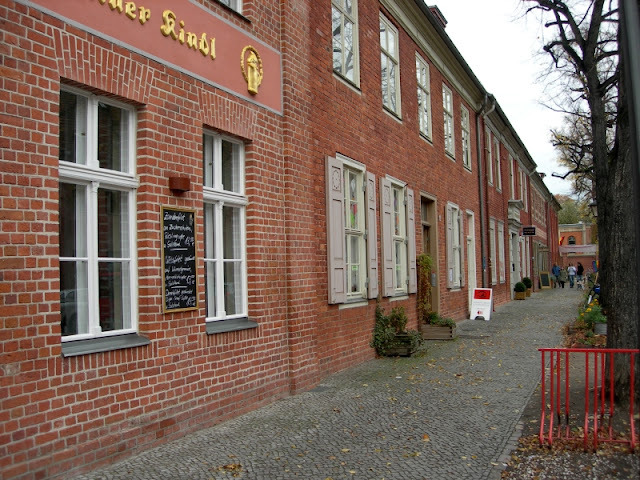 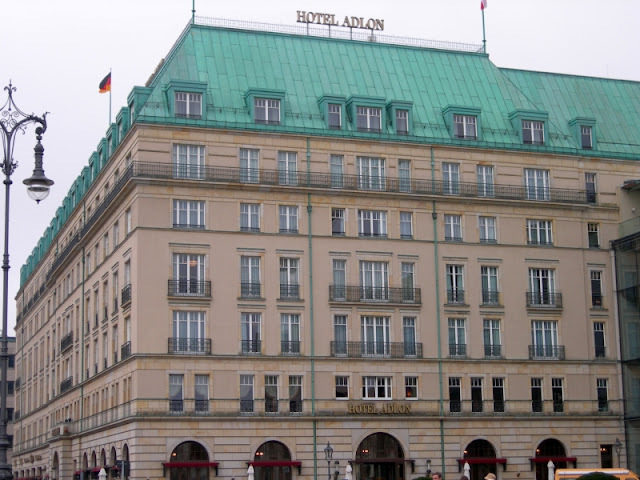 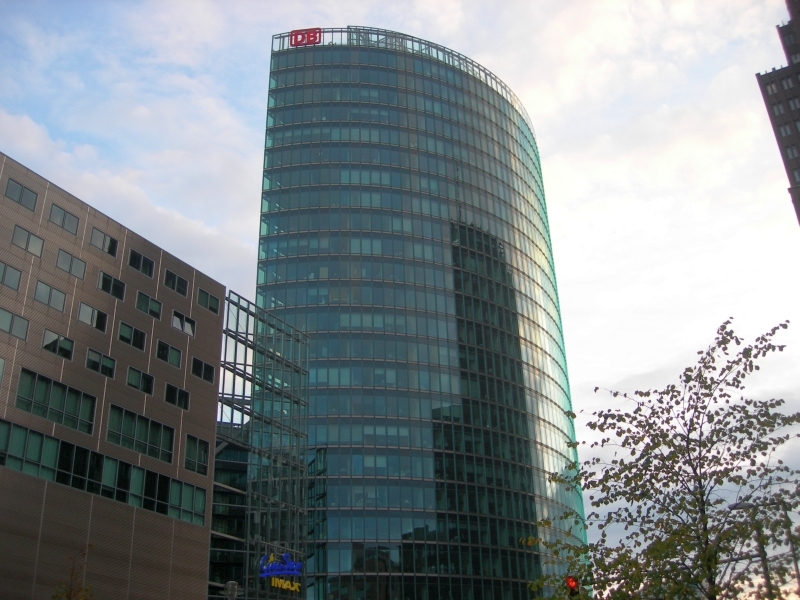 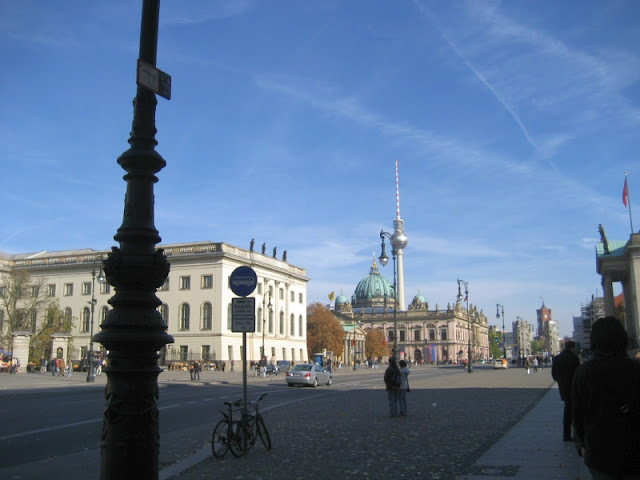 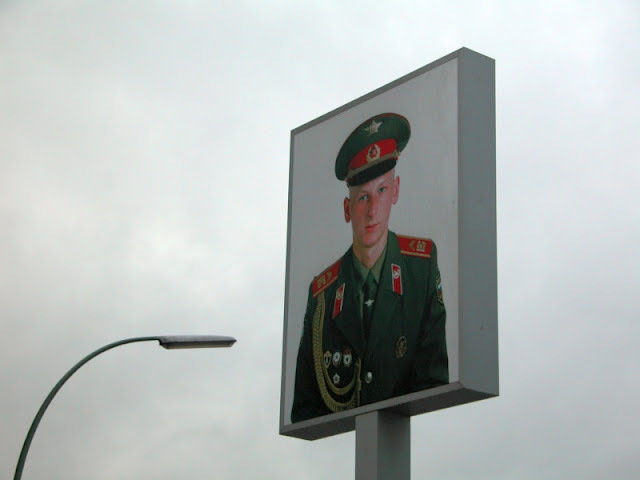 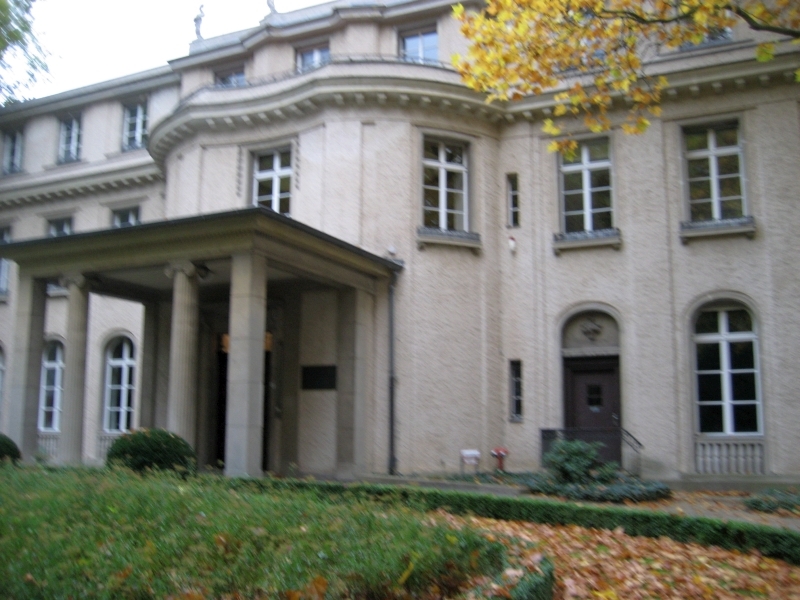 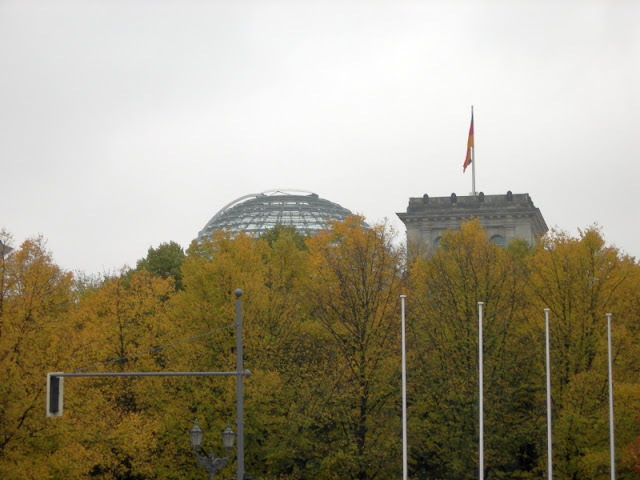 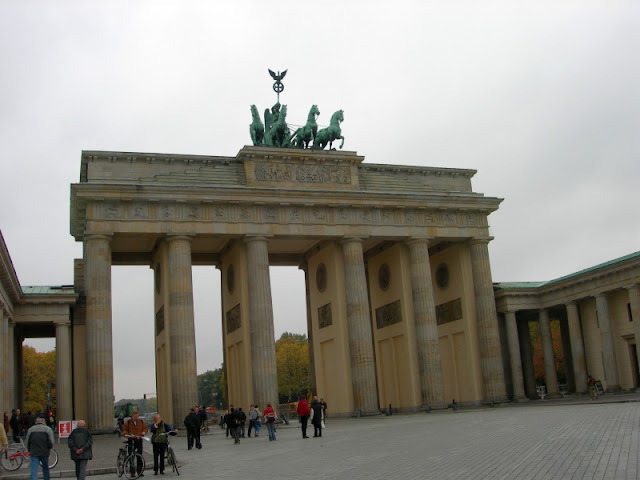 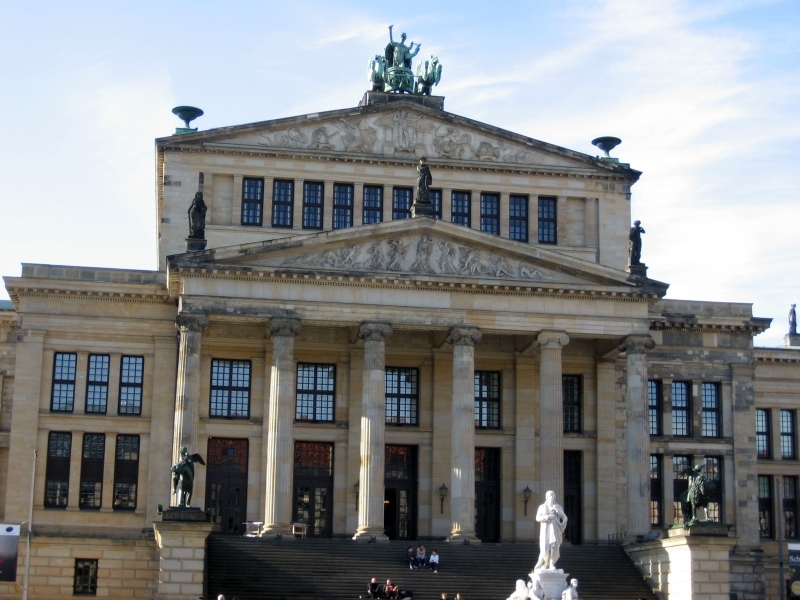 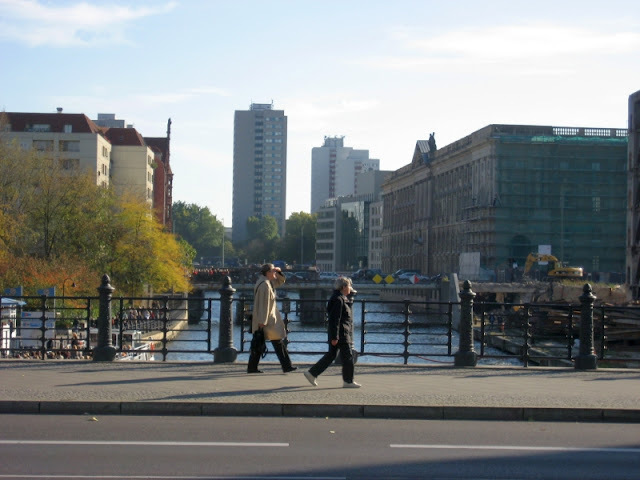 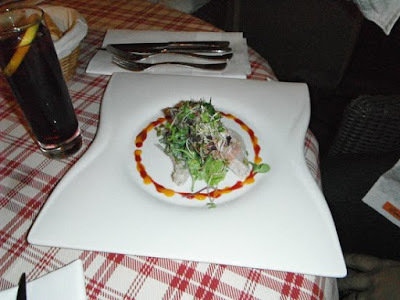 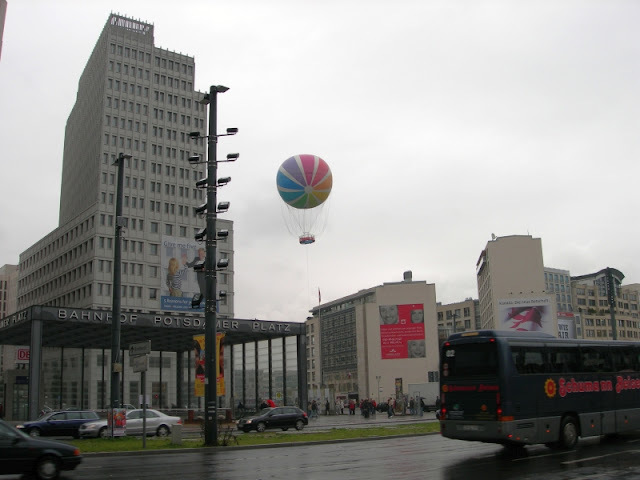 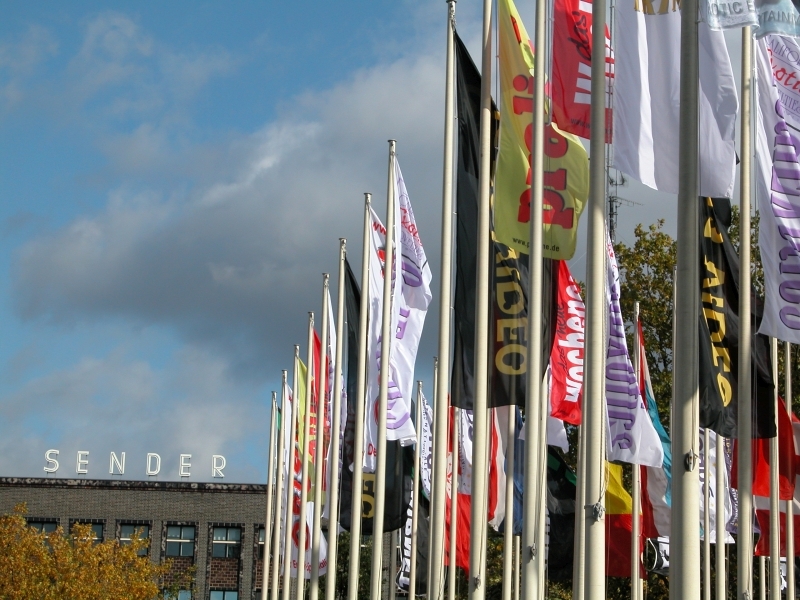 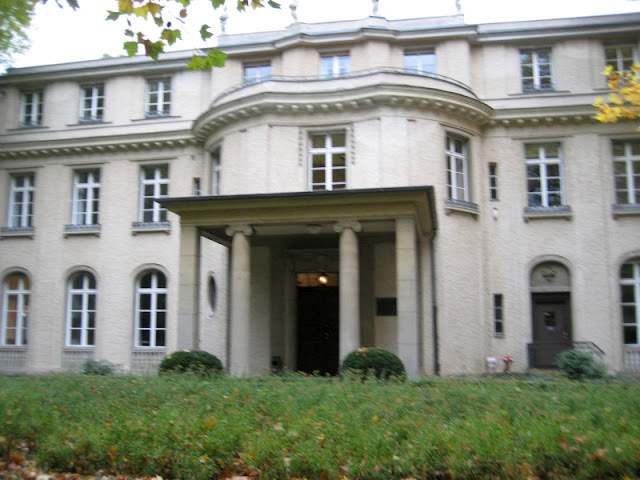 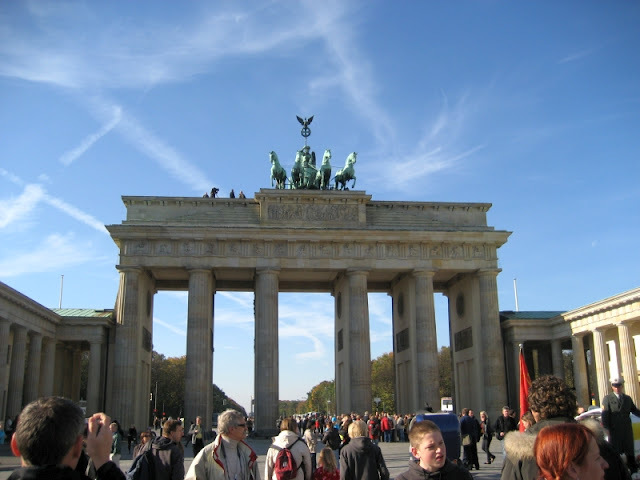 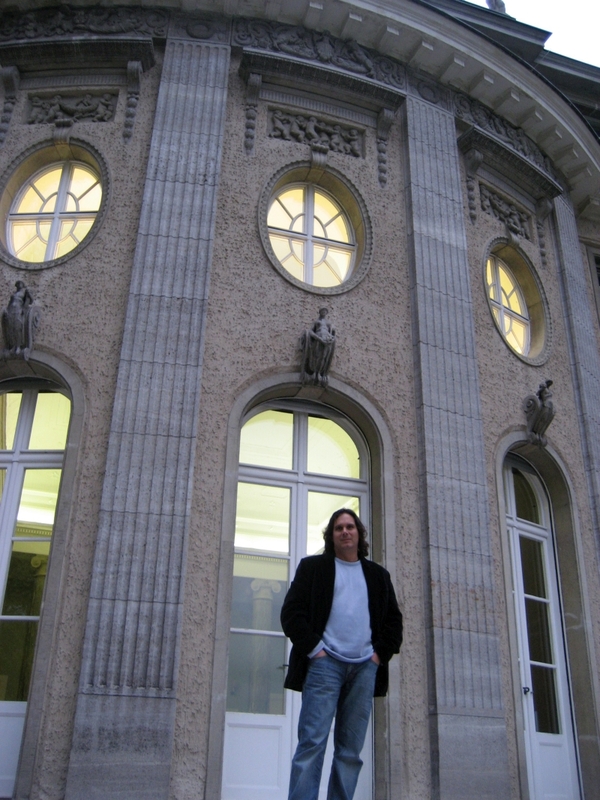 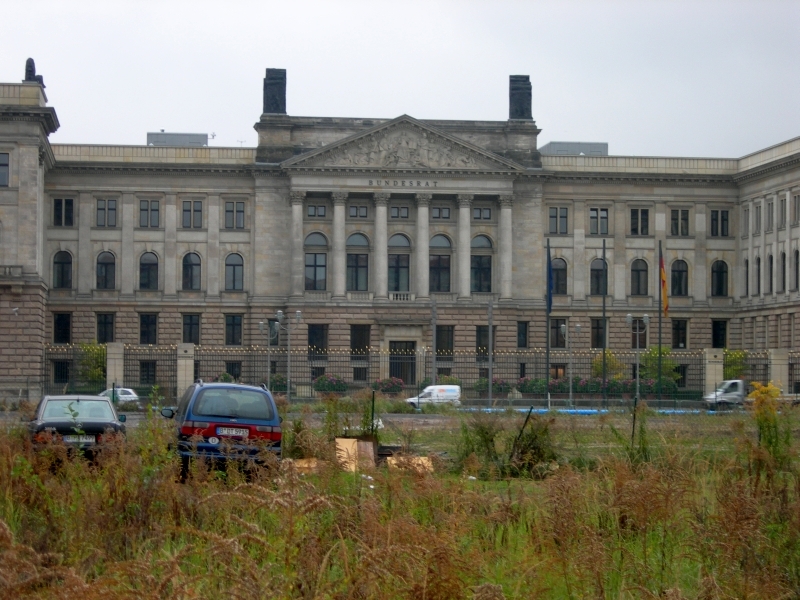 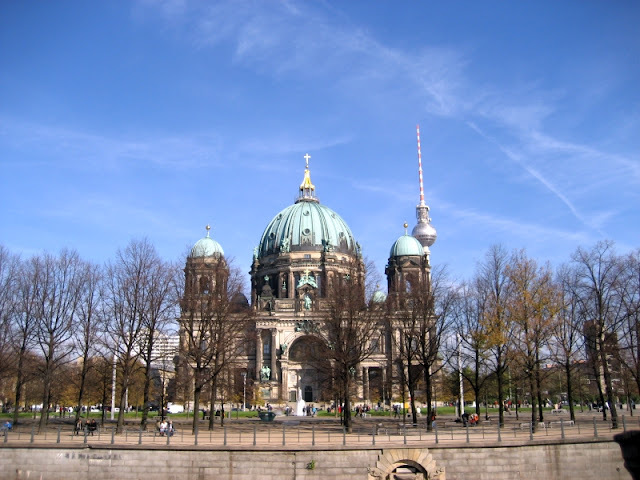 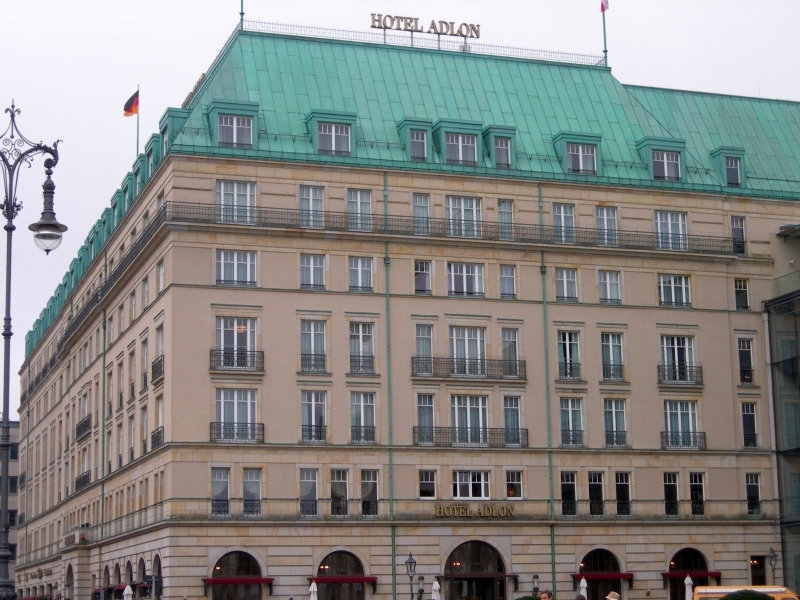 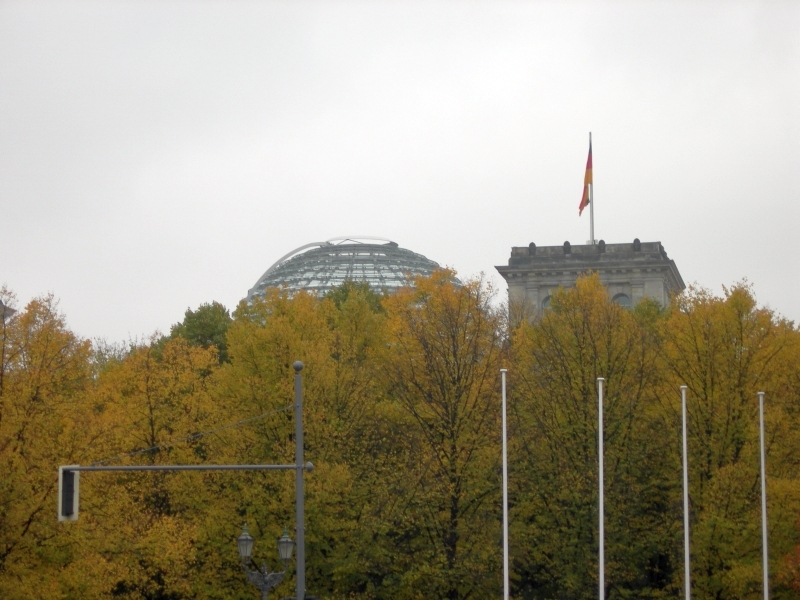 It directly borders the German capital Berlin and is part of the Berlin/Brandenburg Metropolitan Region. 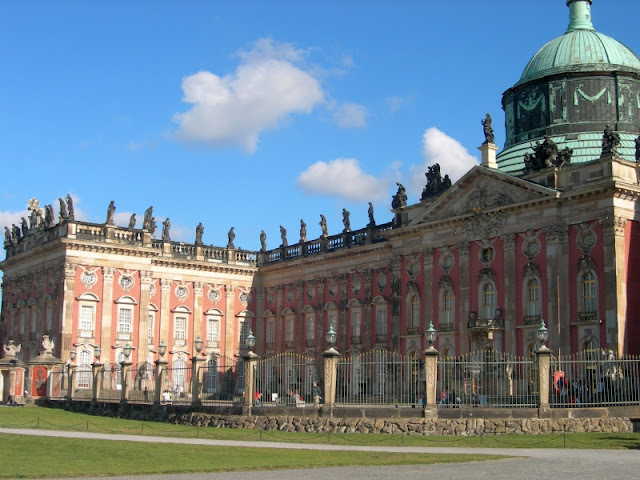 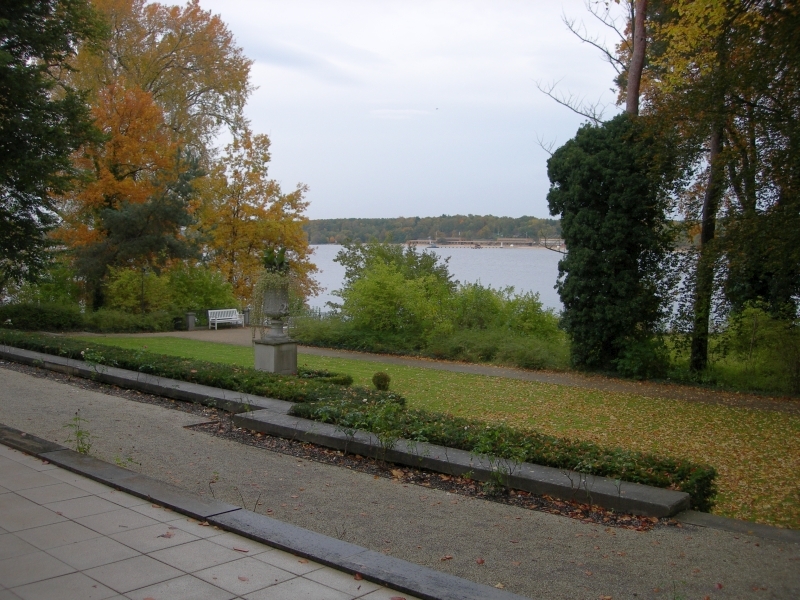 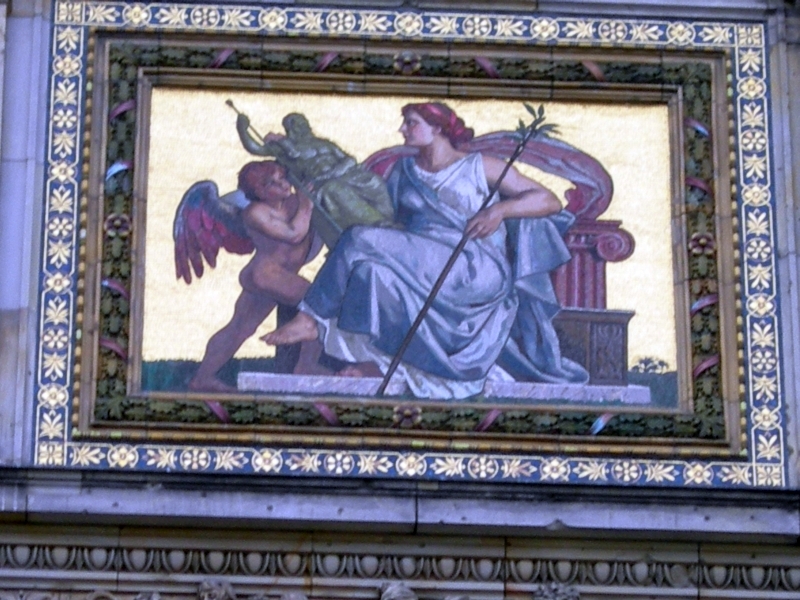 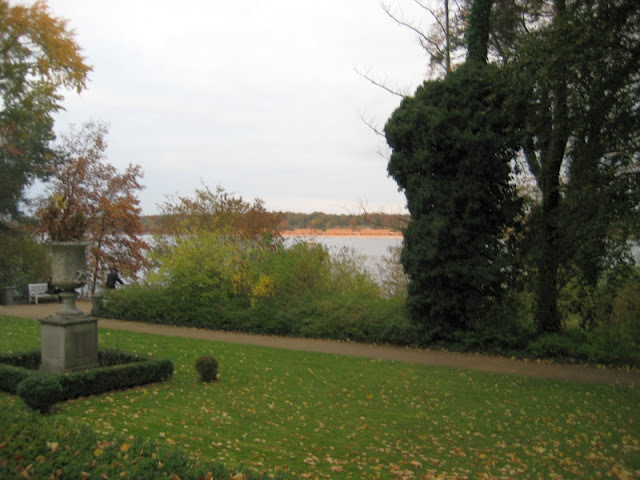 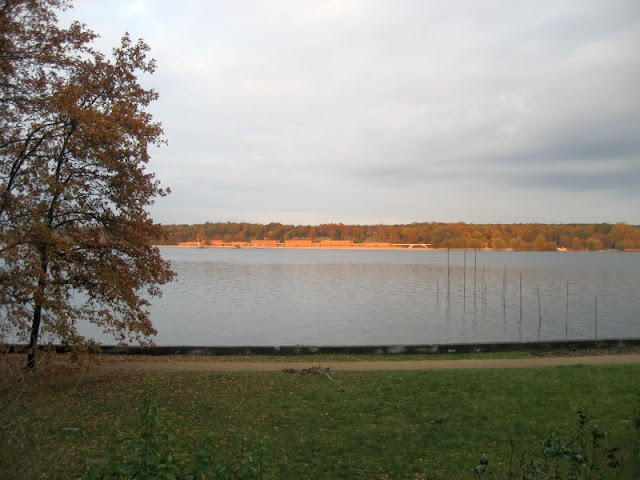 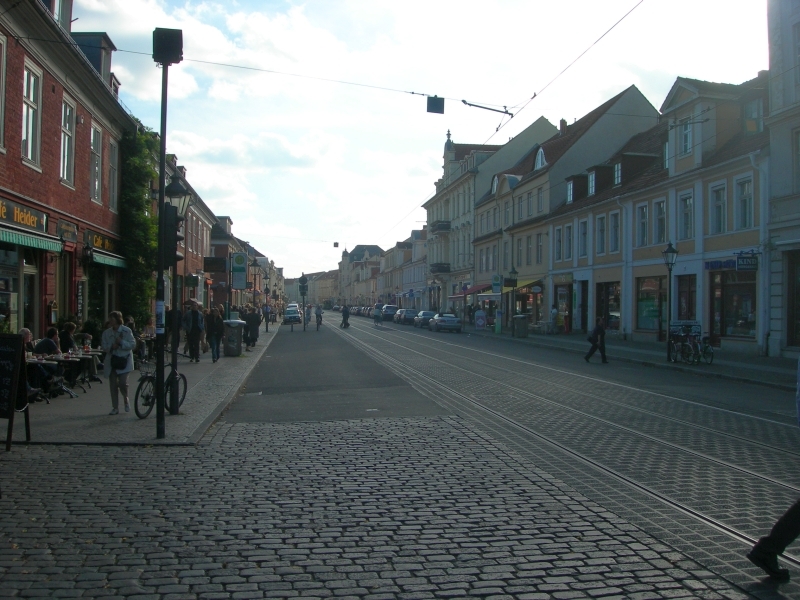 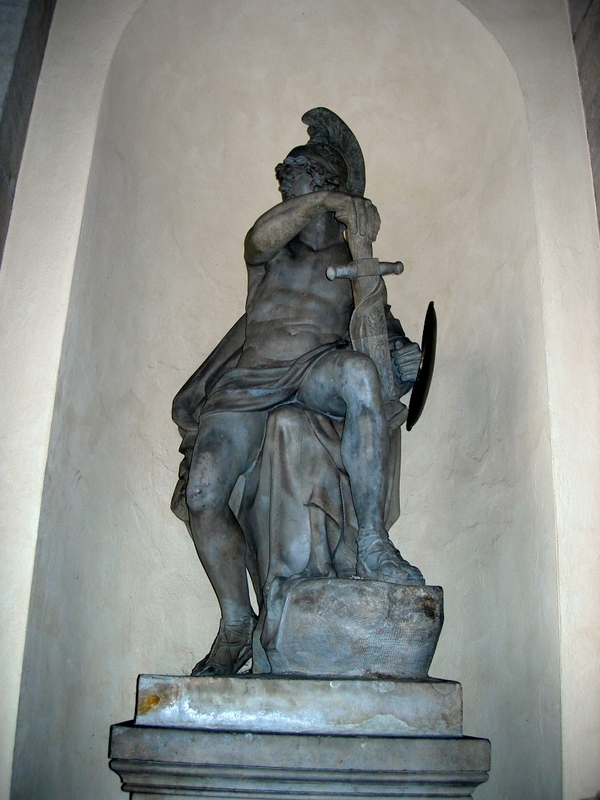 The area around Potsdam shows occupancy since the Bronze Age and was part of Magna Germania as described by Tacitus. 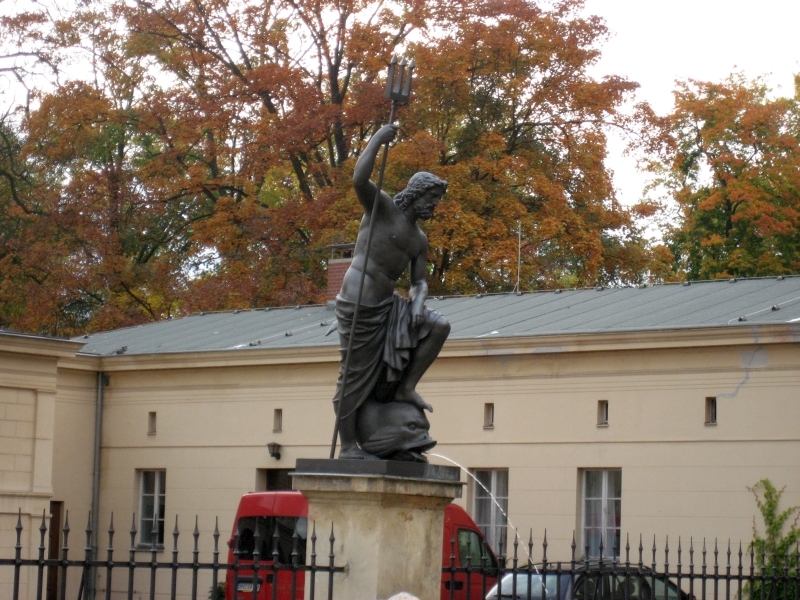 After the great migrations of the Germanic peoples, Slavs moved in and Potsdam was probably founded after the 7th century as a settlement of the Hevelli tribe centred on a castle. 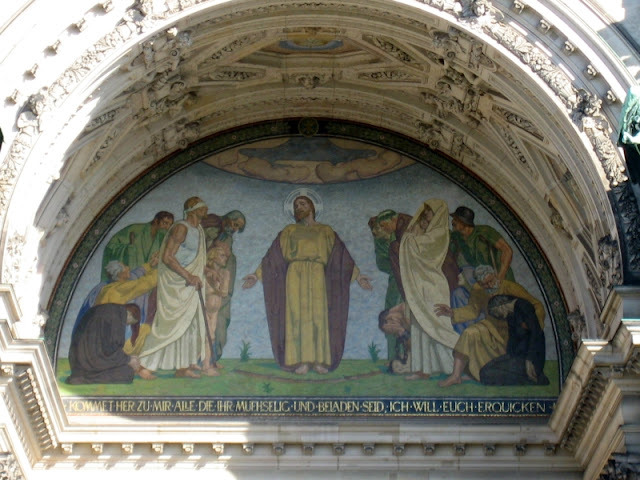 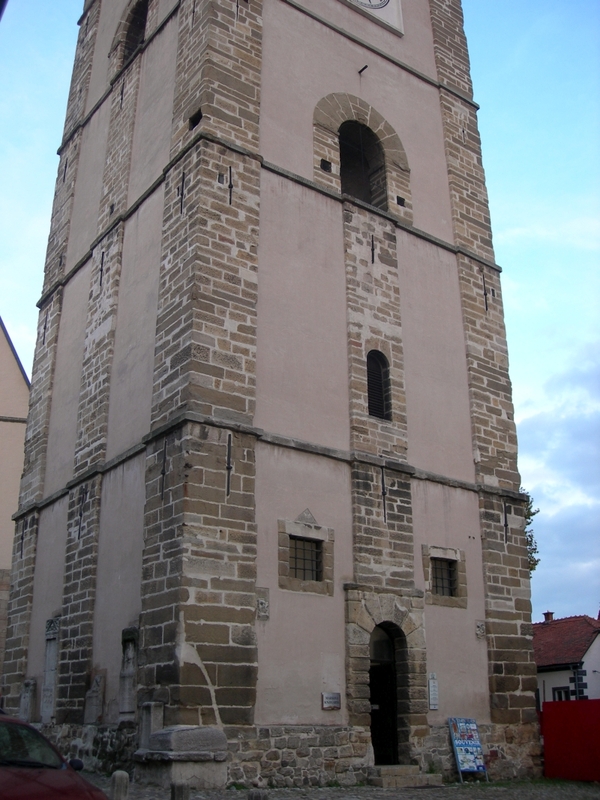 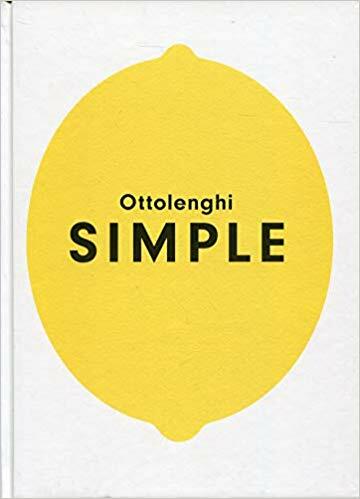 It was first mentioned in a document in 993 AD as Poztupimi, when Emperor Otto III gifted the territory to the Quedlinburg Abbey, then led by his aunt Matilda. By 1317, it was mentioned as a small town. 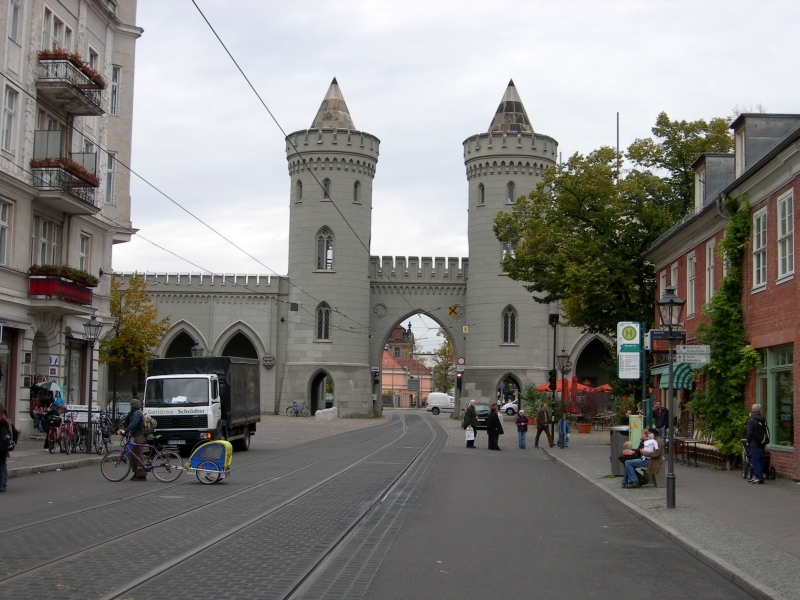 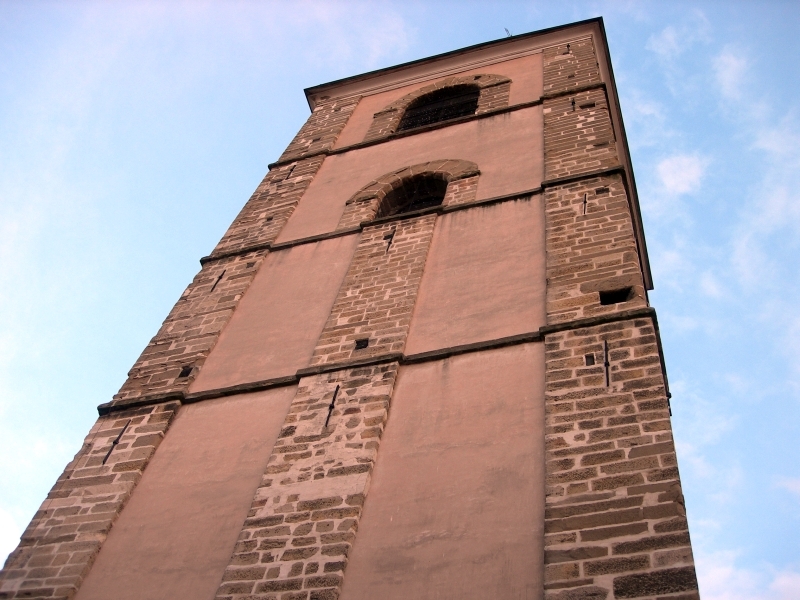 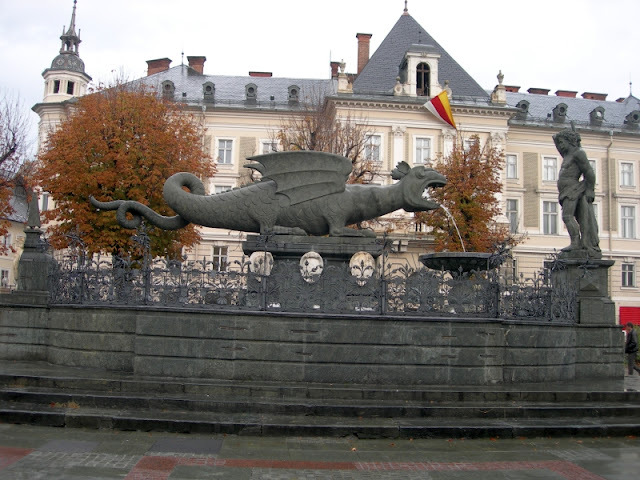 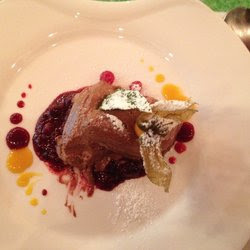 It gained its town charter in 1345. 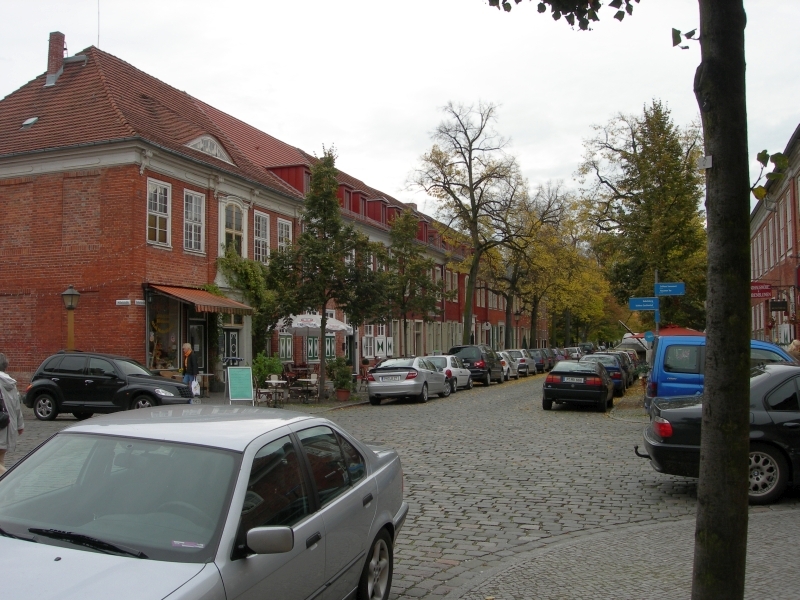 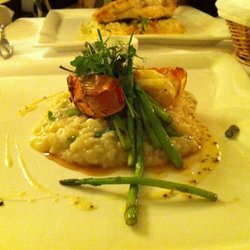 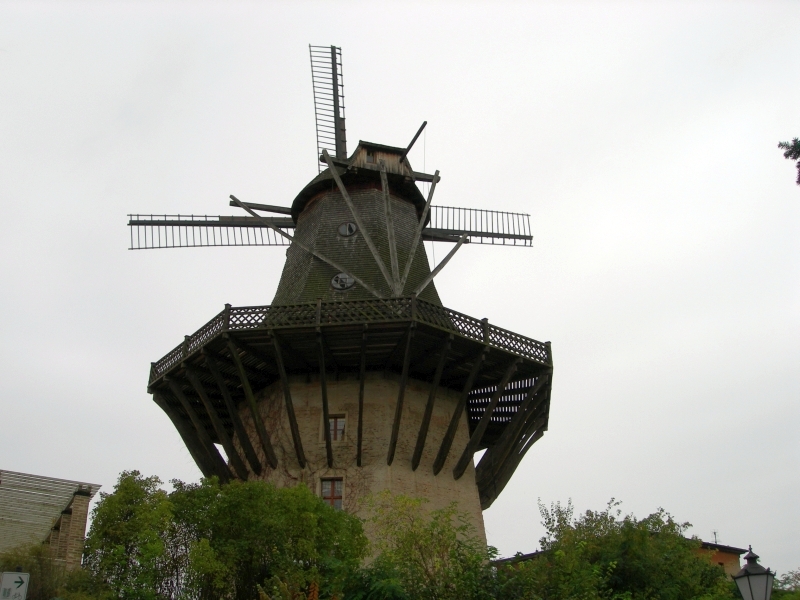 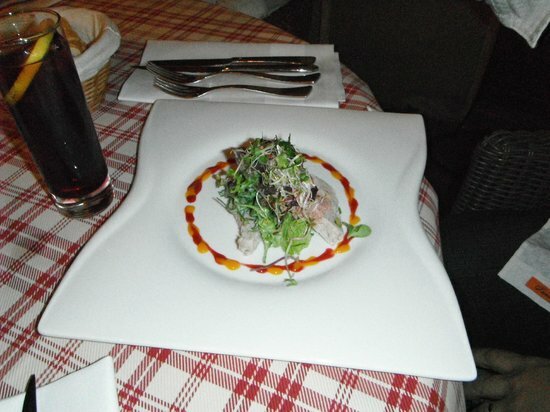 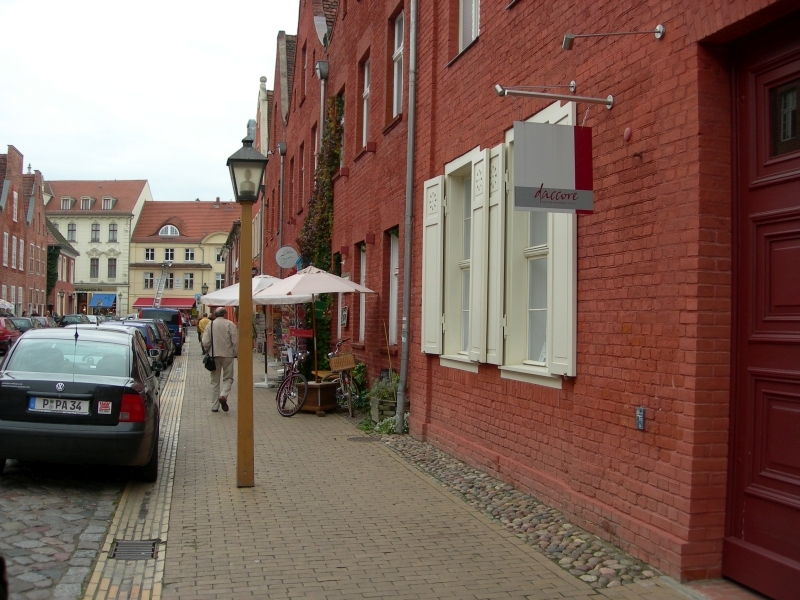 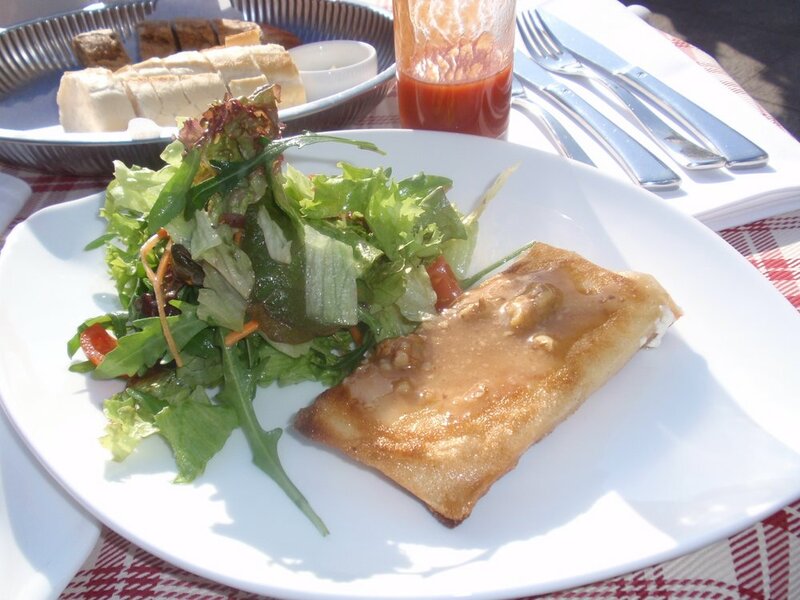 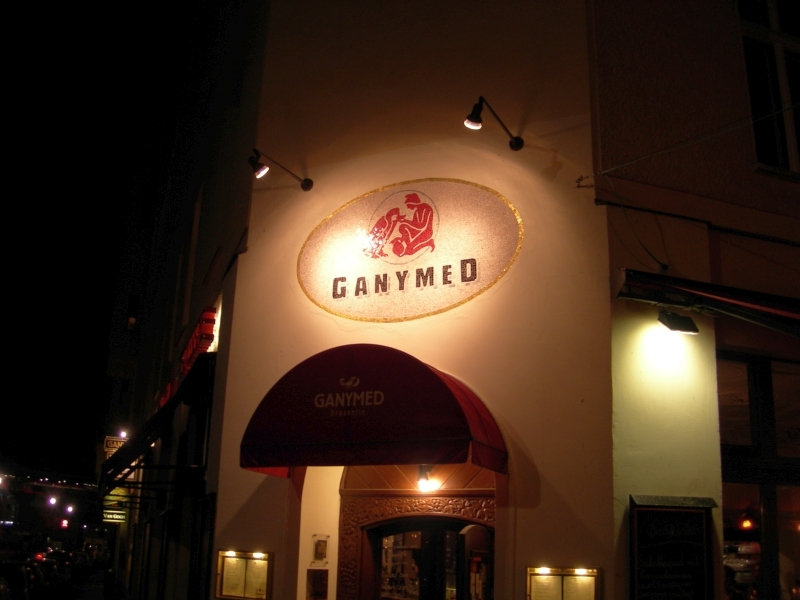 In 1573, it was still a small market town of 2,000 inhabitants. 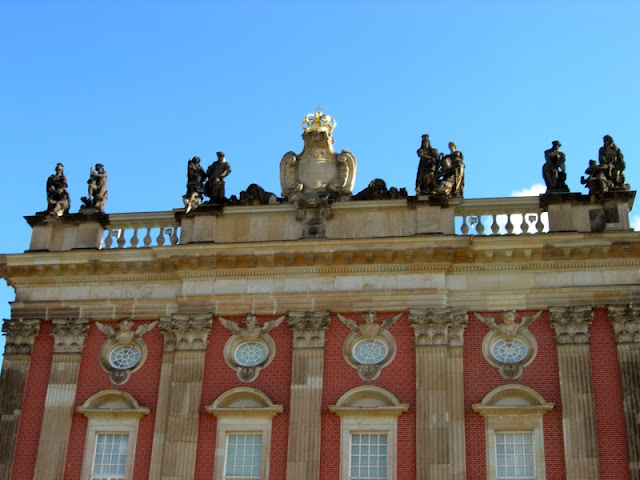 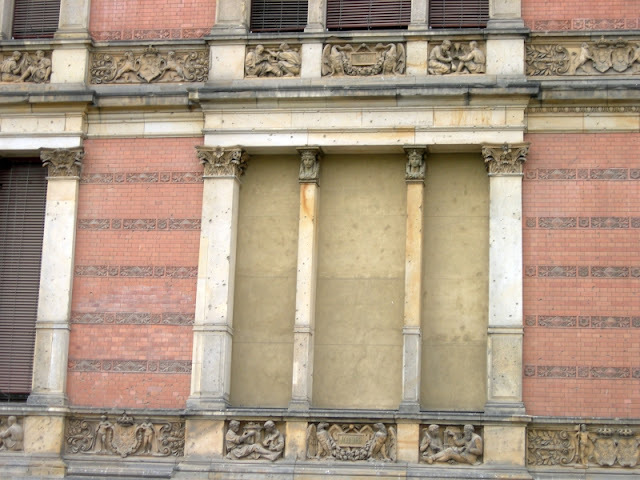 Potsdam lost nearly half of its population due to the Thirty Years' War (1618–1648). 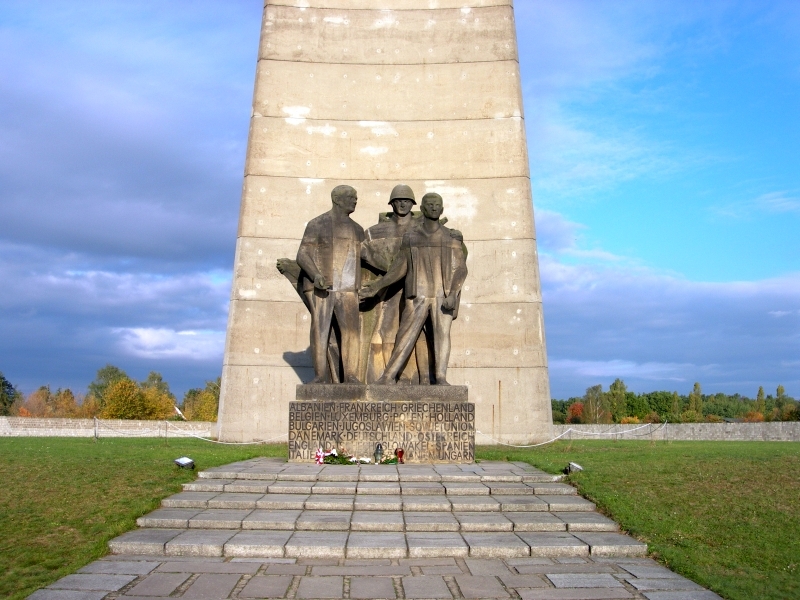 The Big Three—Soviet leader Joseph Stalin, British Prime Minister Winston Churchill (replaced on July 26 by Prime Minister Clement Attlee), and U.S. President Harry Truman—met in Potsdam, Germany, from July 17 to August 2, 1945, to negotiate terms for the end of World War II. 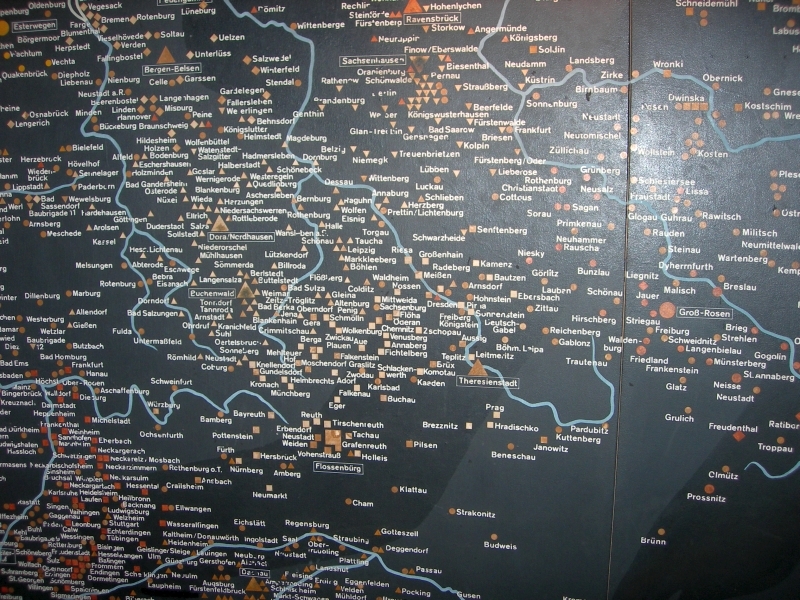 After the Yalta Conference of February 1945, Stalin, Churchill, and U.S. President Franklin D. Roosevelt had agreed to meet following the surrender of Germany to determine the postwar borders in Europe. 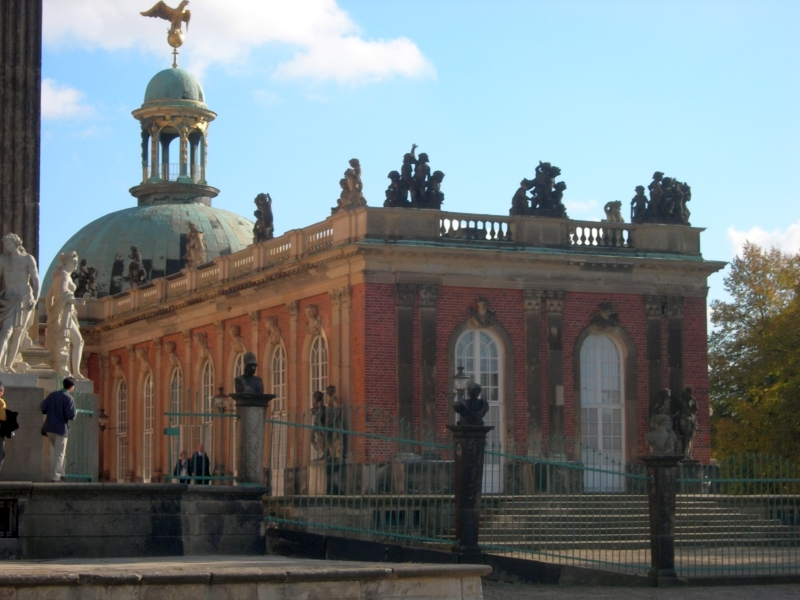 Germany surrendered on May 8, 1945, and the Allied leaders agreed to meet over the summer at Potsdam to continue the discussions that had begun at Yalta. 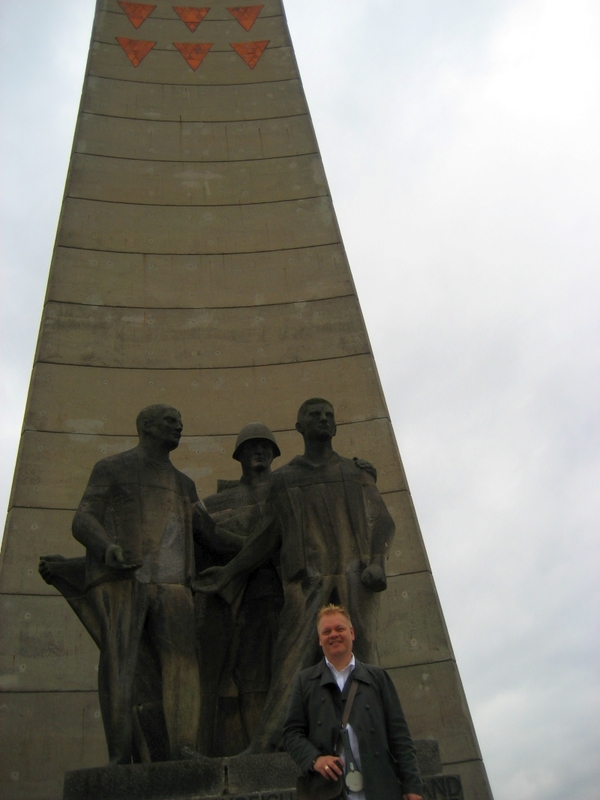 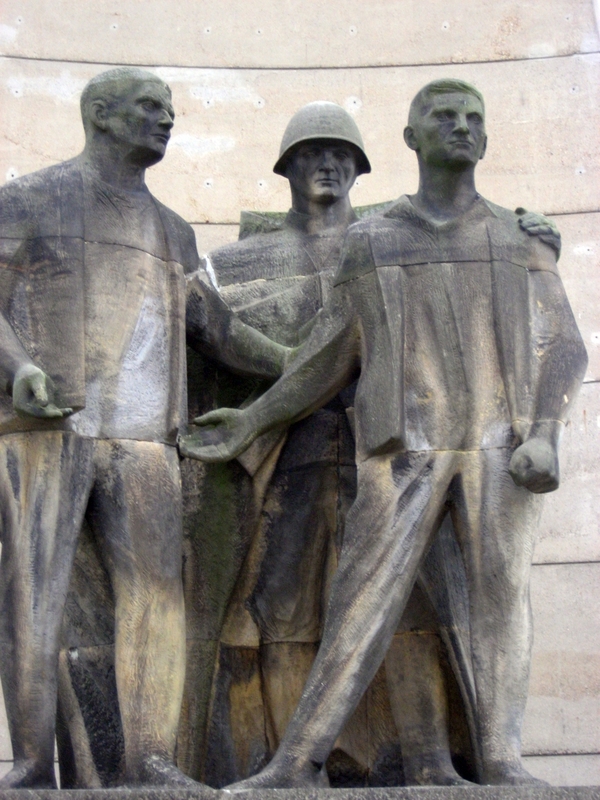 Although the Allies remained committed to fighting a joint war in the Pacific, the lack of a common enemy in Europe led to difficulties reaching consensus concerning postwar reconstruction on the European continent. 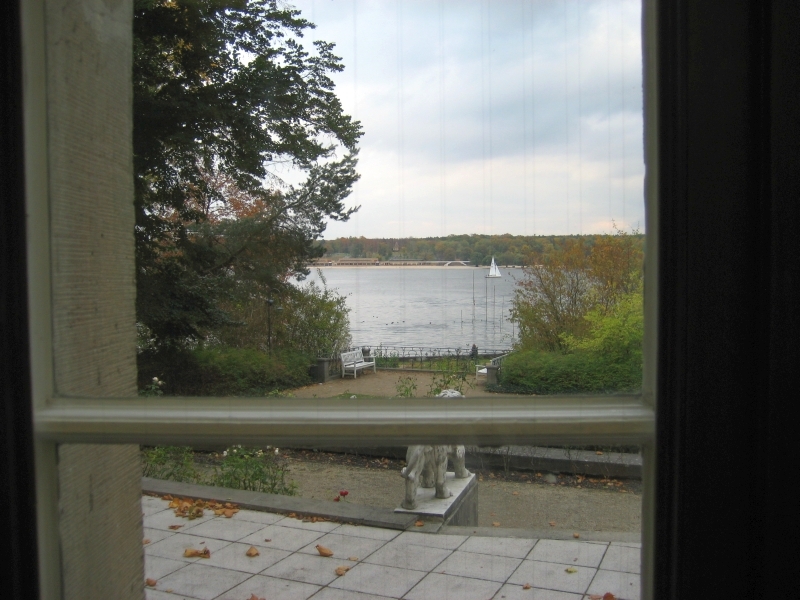 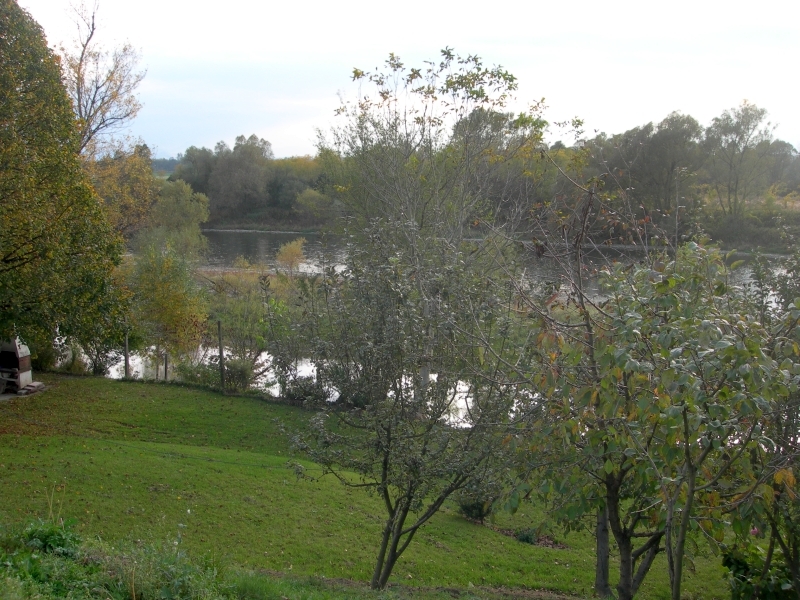 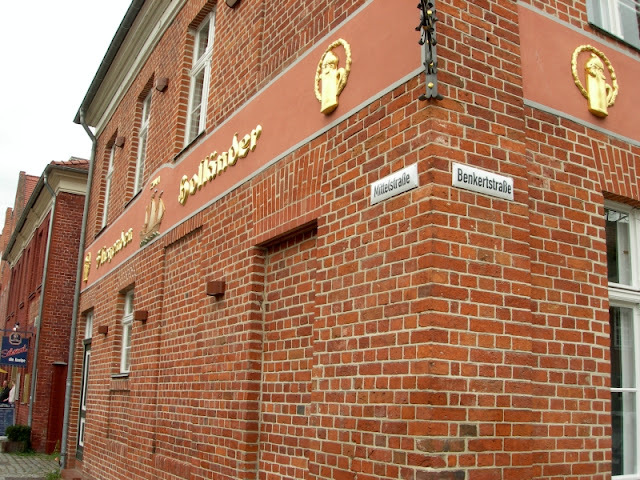 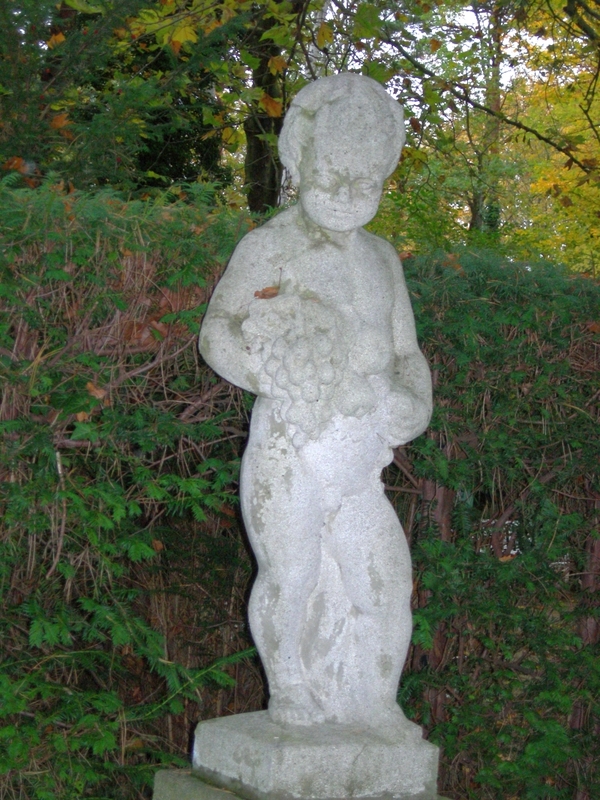 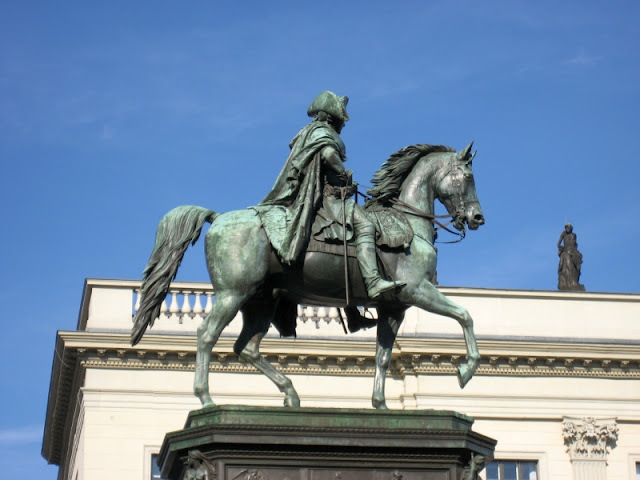 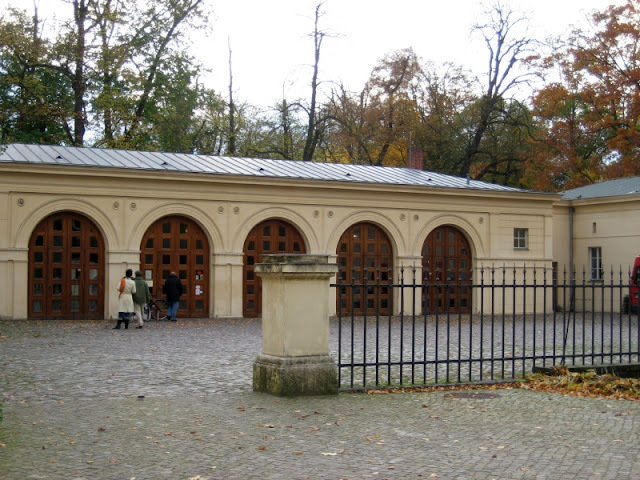 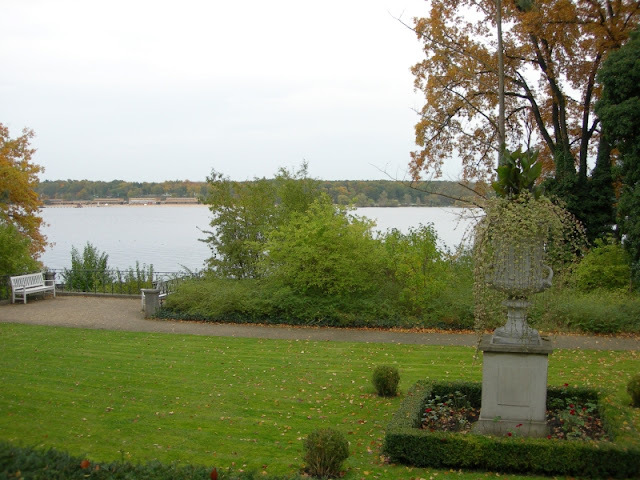 Frederick the Great wanted to cultivate plums, figs and wine on Potsdam’s doorstep. 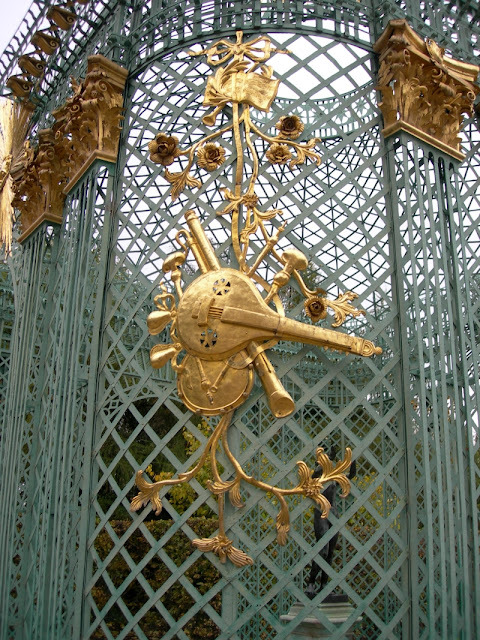 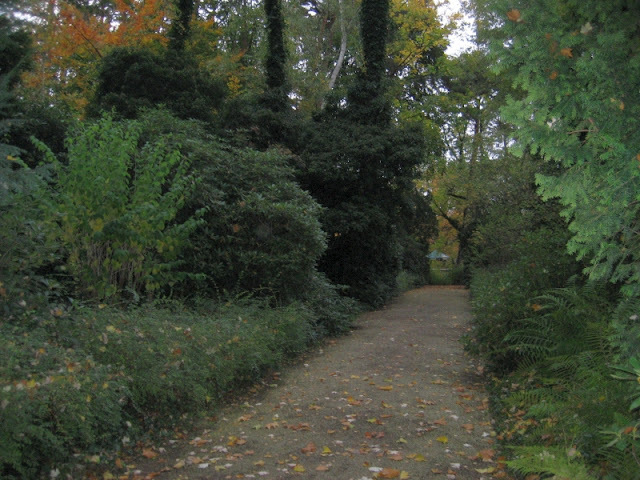 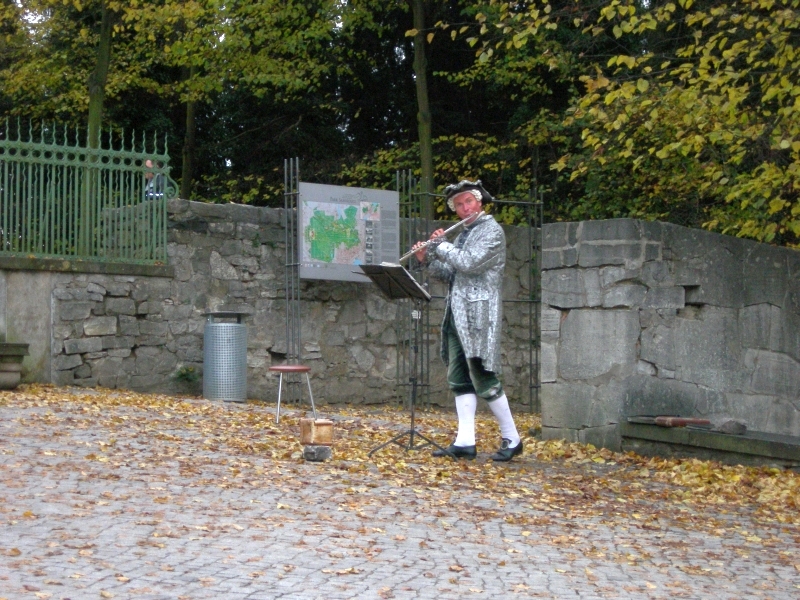 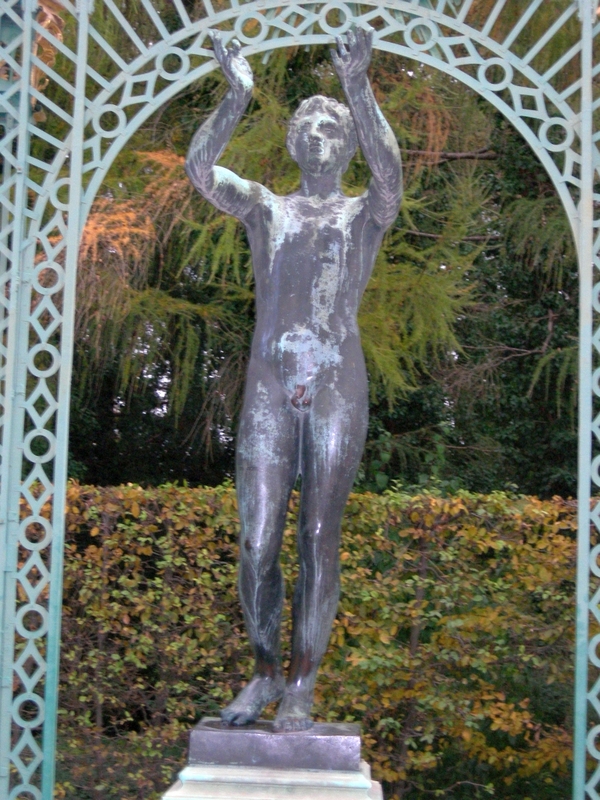 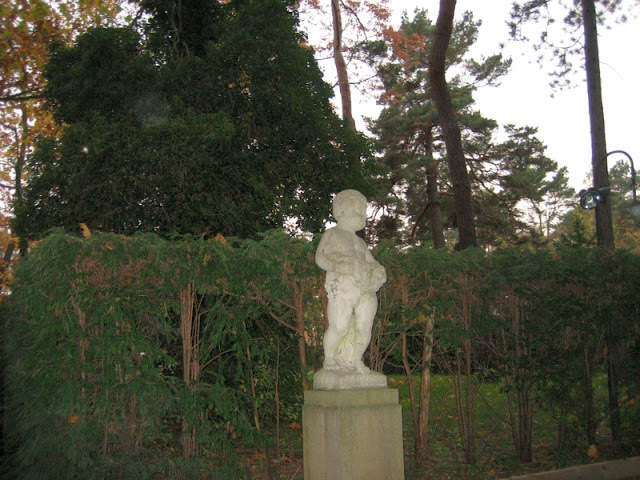 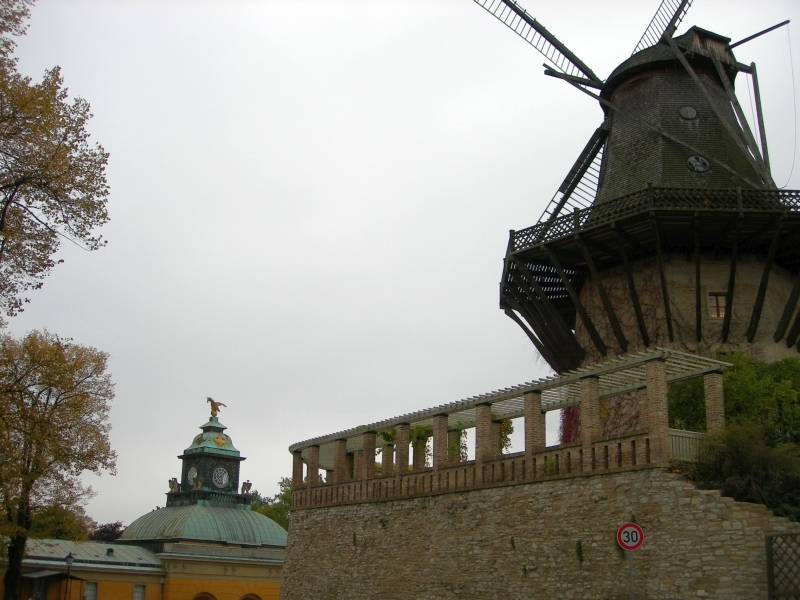 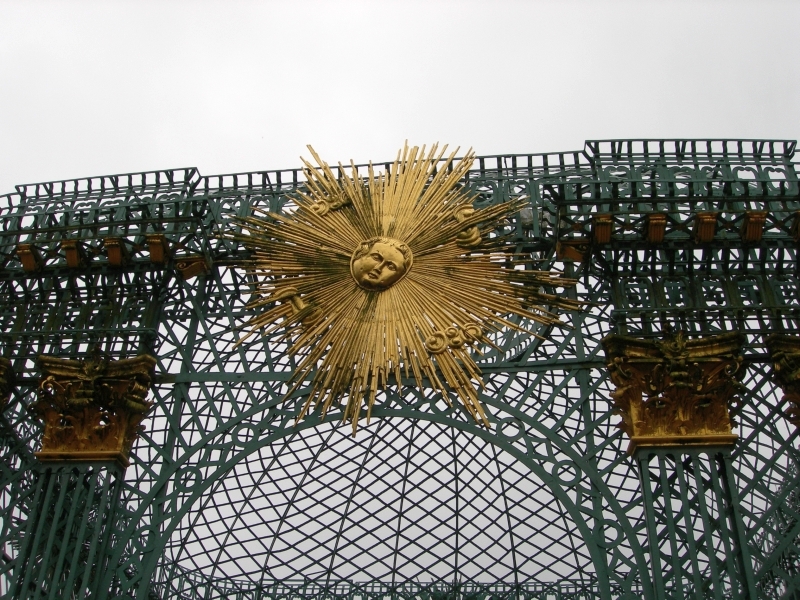 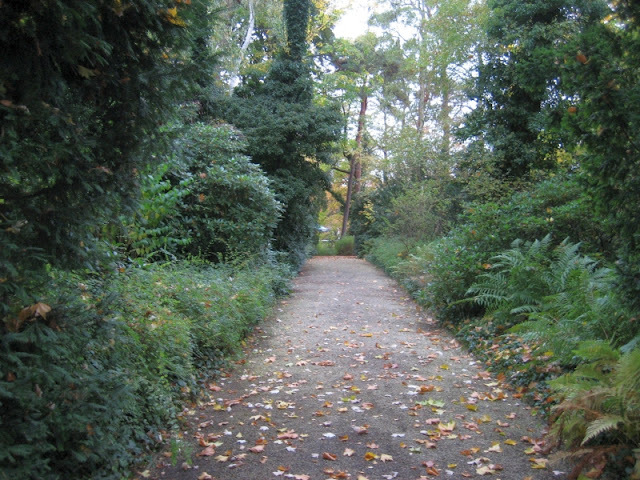 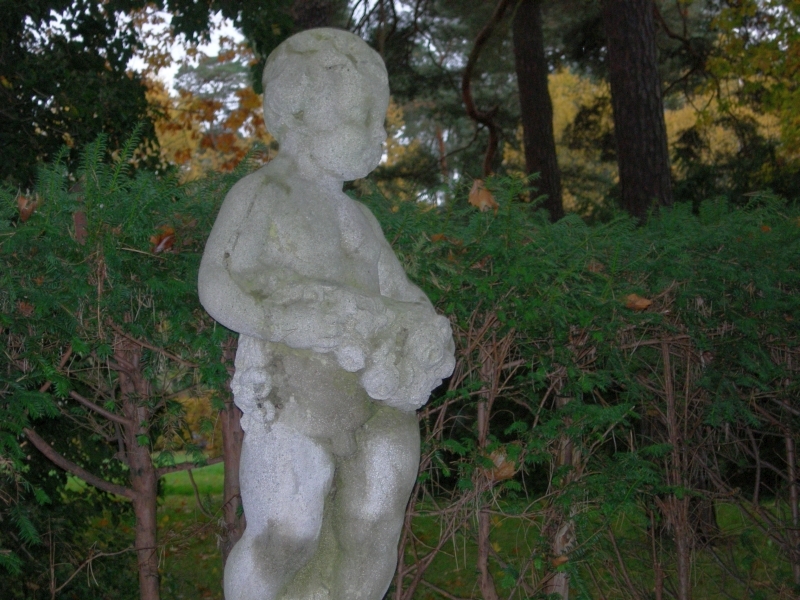 In 1744, he had a terraced garden designed in Sanssouci Park for this reason. But, due to the exceptionally beautiful view, the idea crossed the king’s mind of a large summer residence above the terraces just a year later. 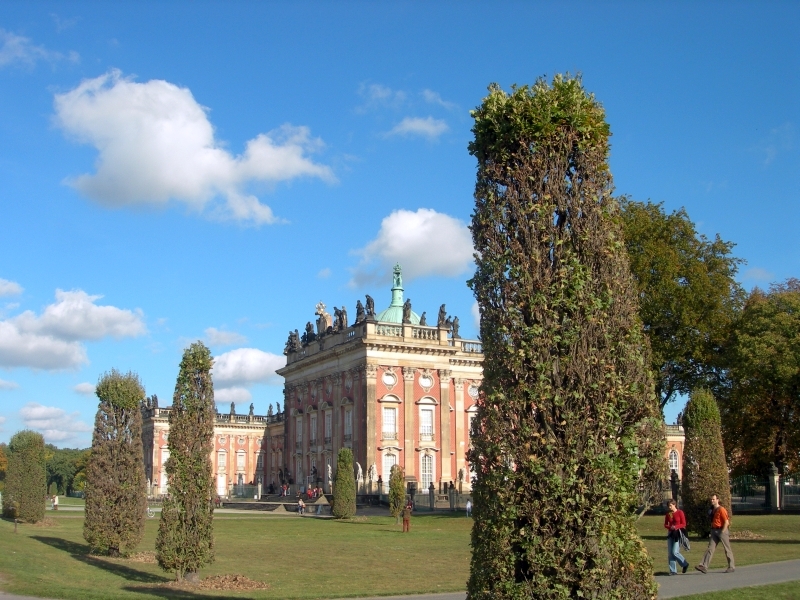 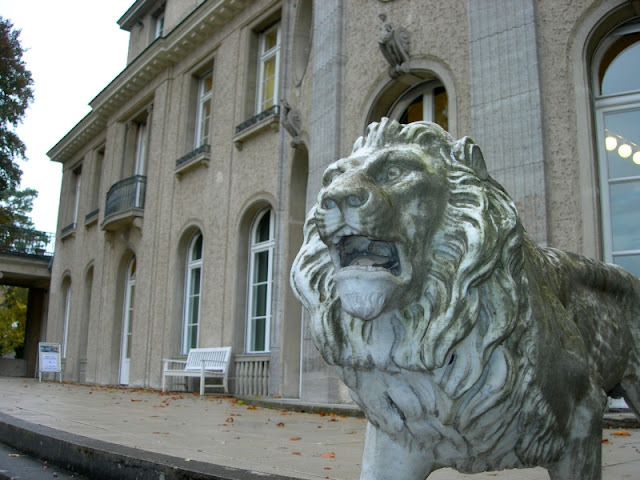 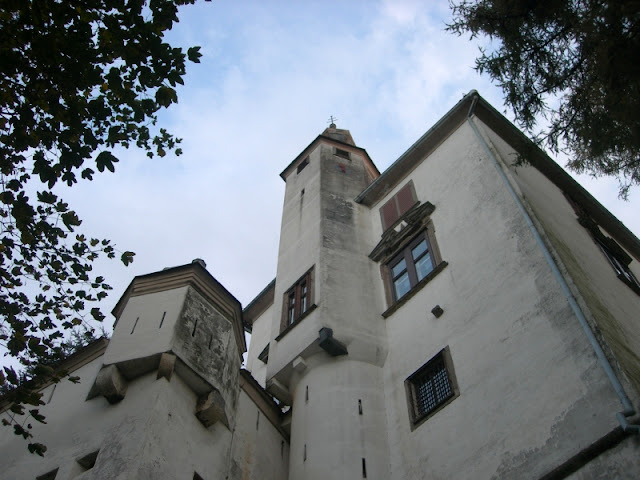 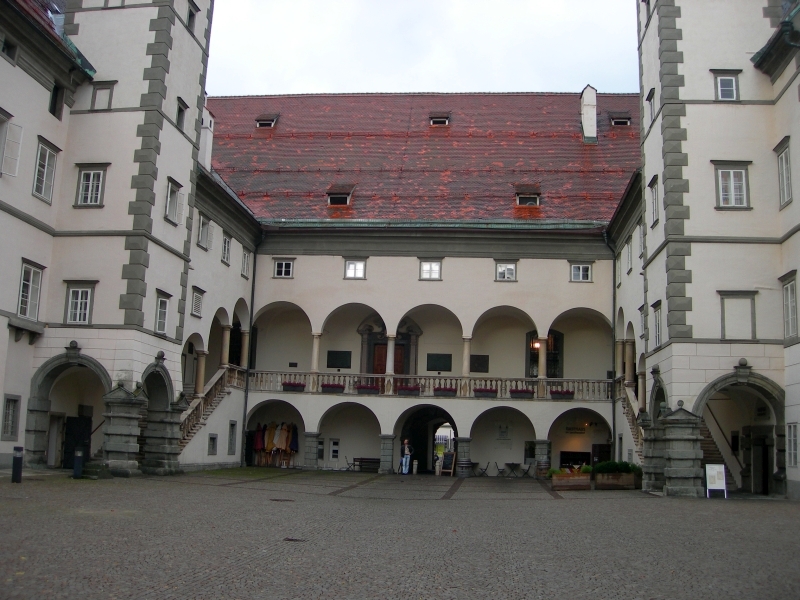 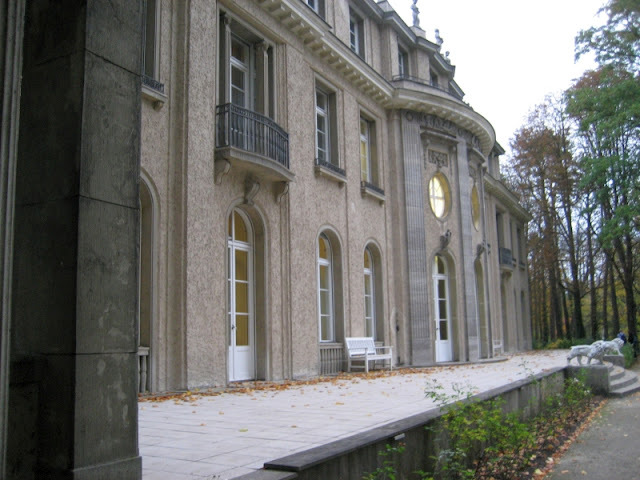 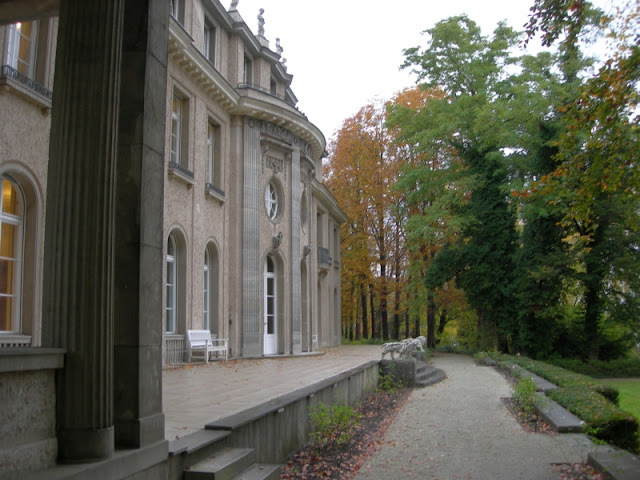 In addition, the New Palace and the picture gallery were constructed in subsequent years, while the slopes of the castle were used as flower and vegetable gardens. 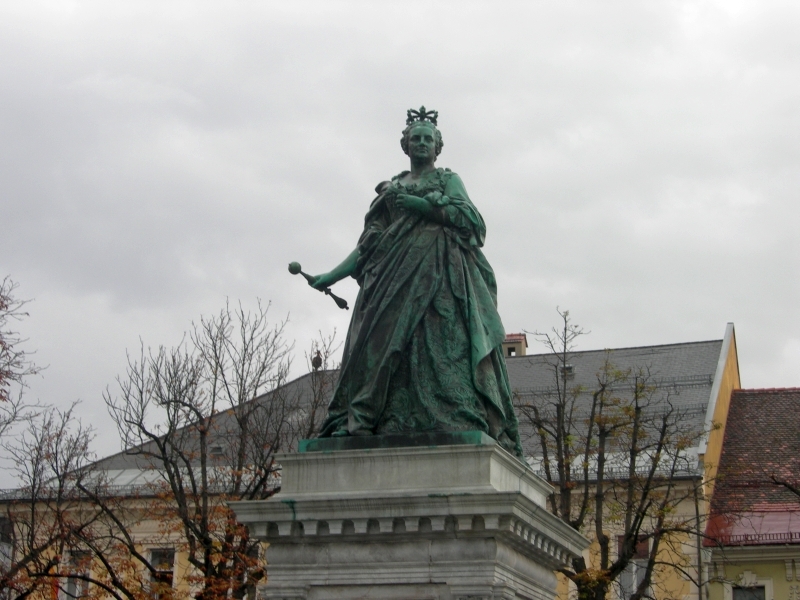 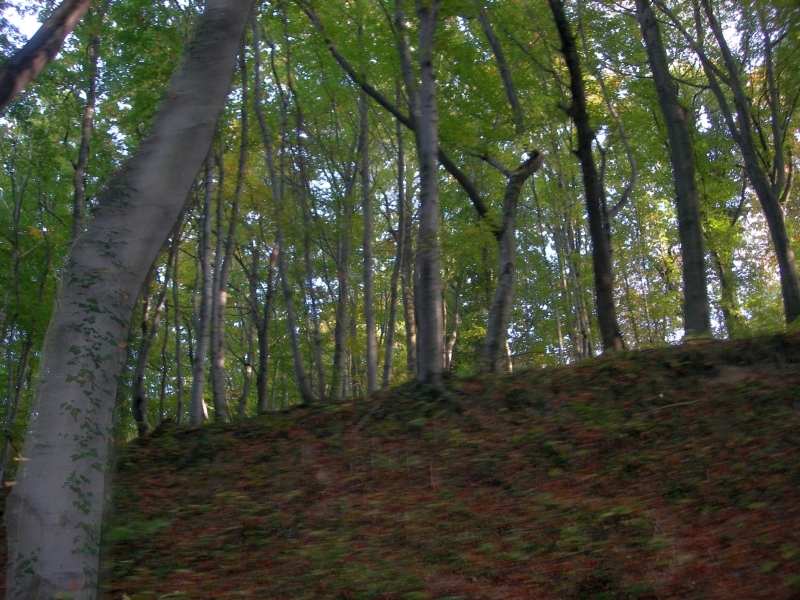 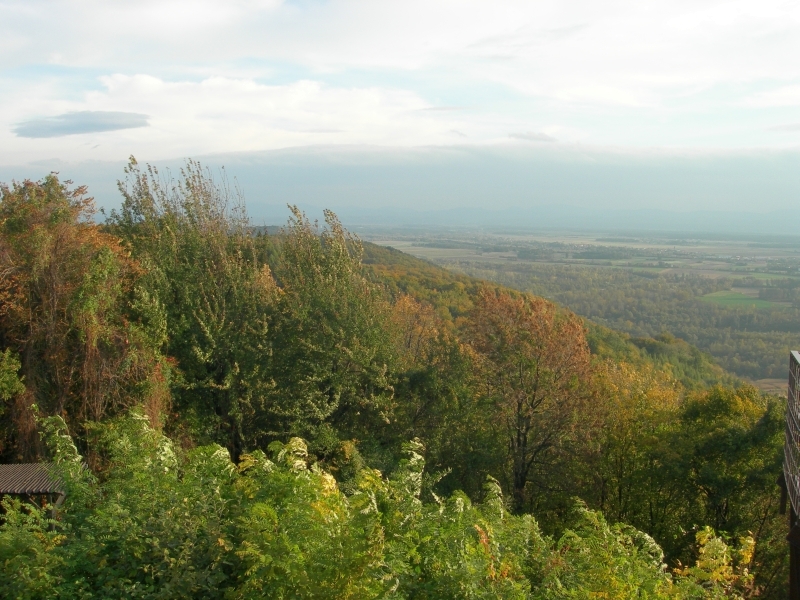 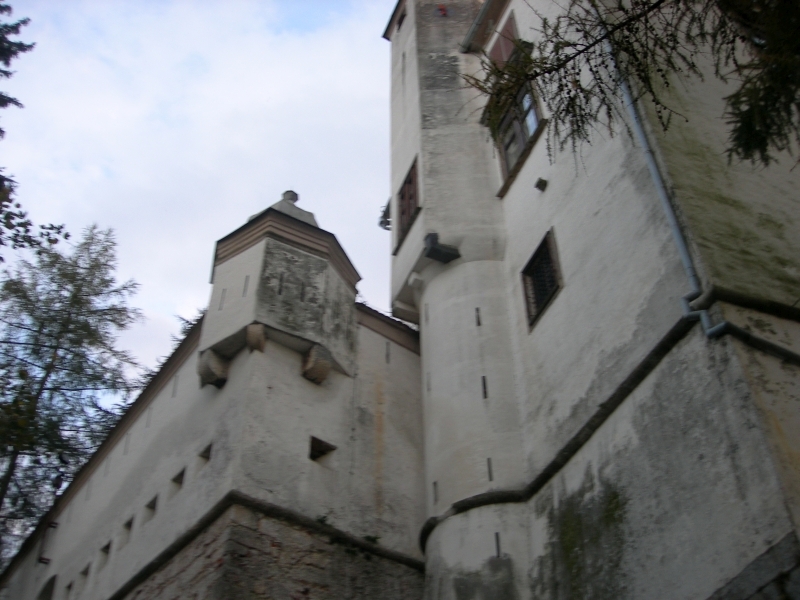 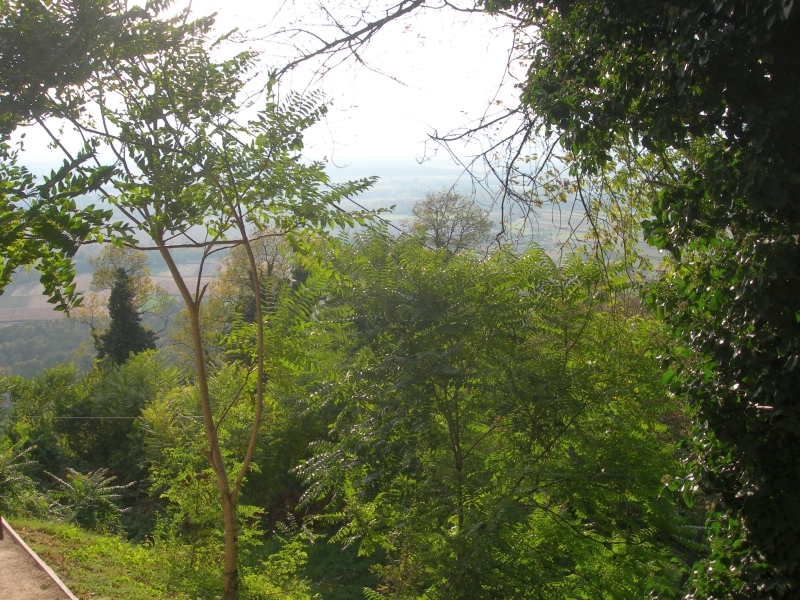 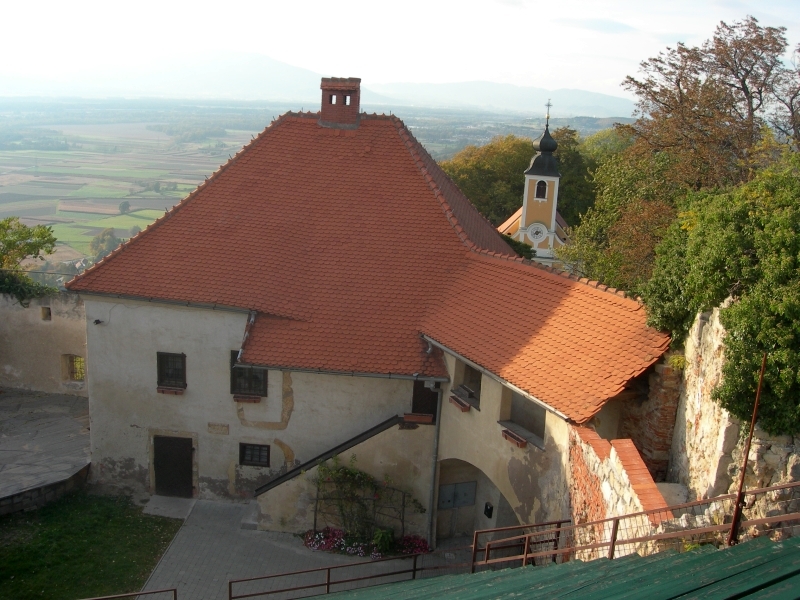 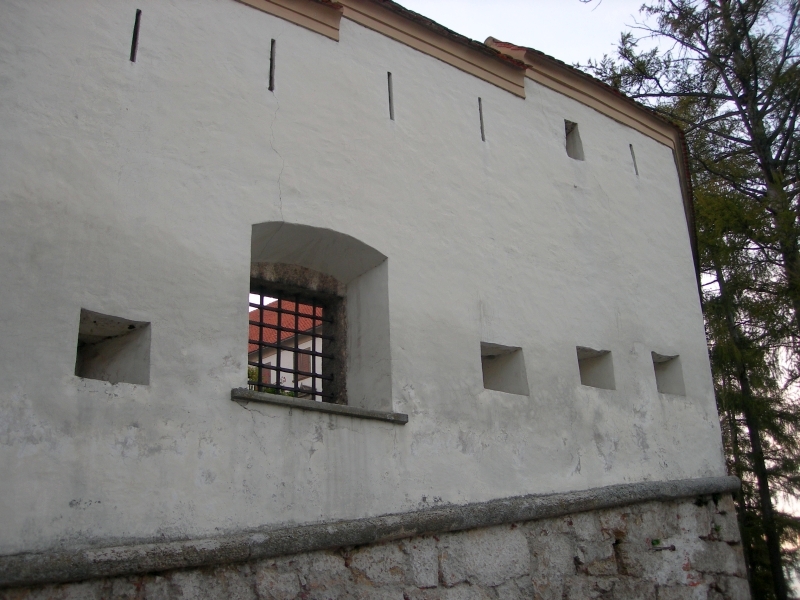 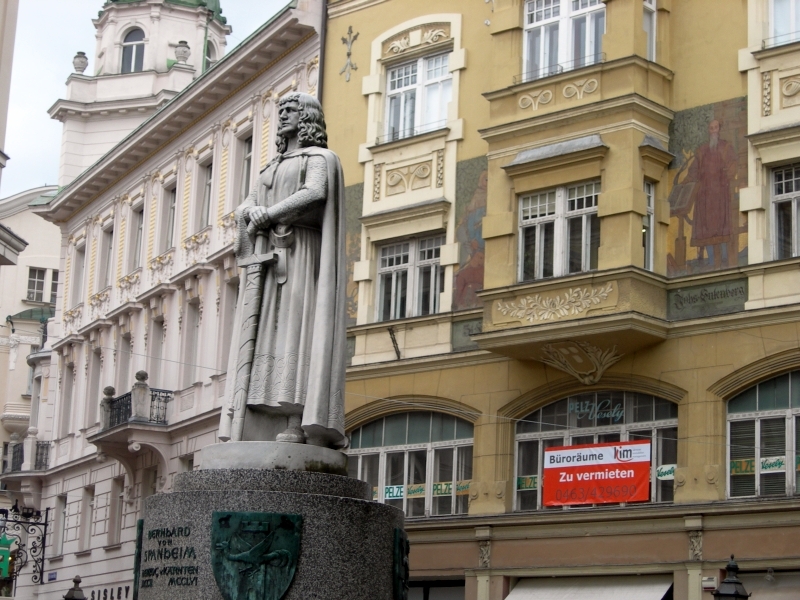 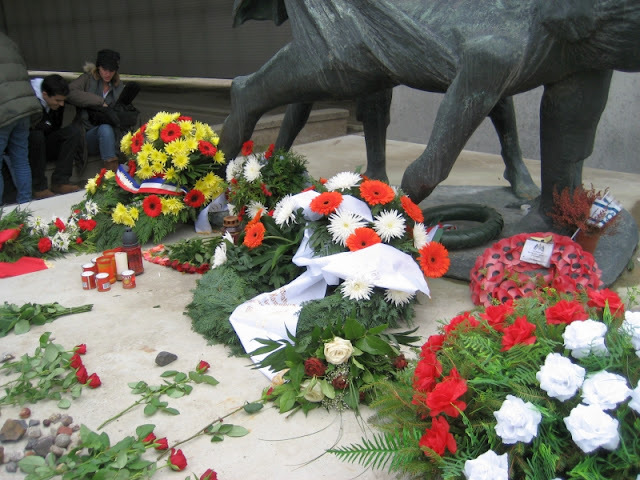 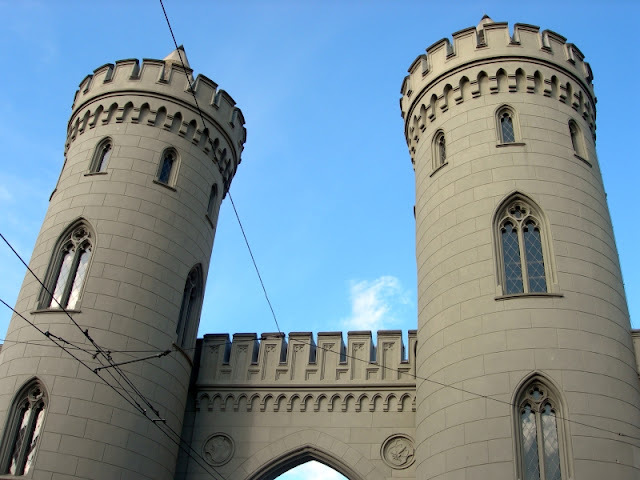 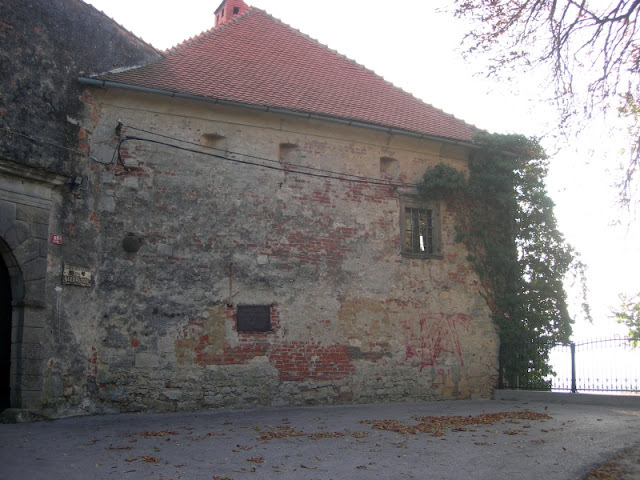 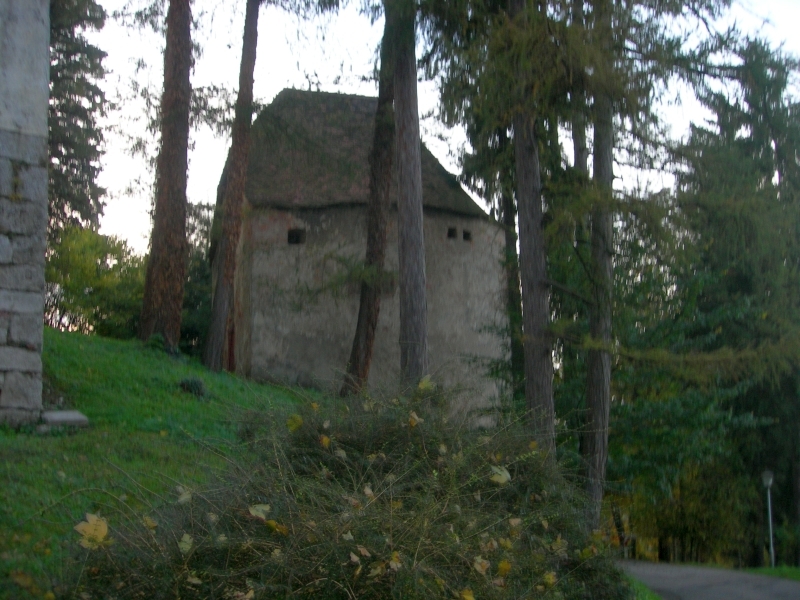 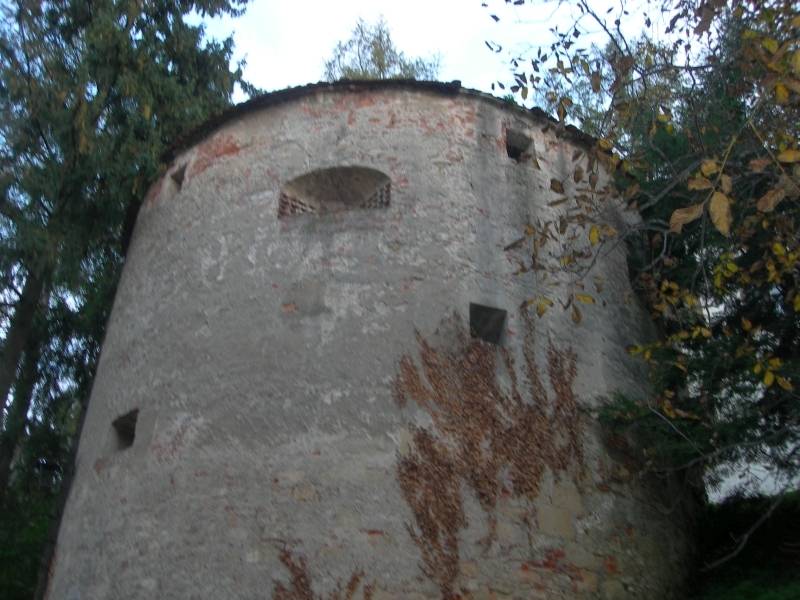 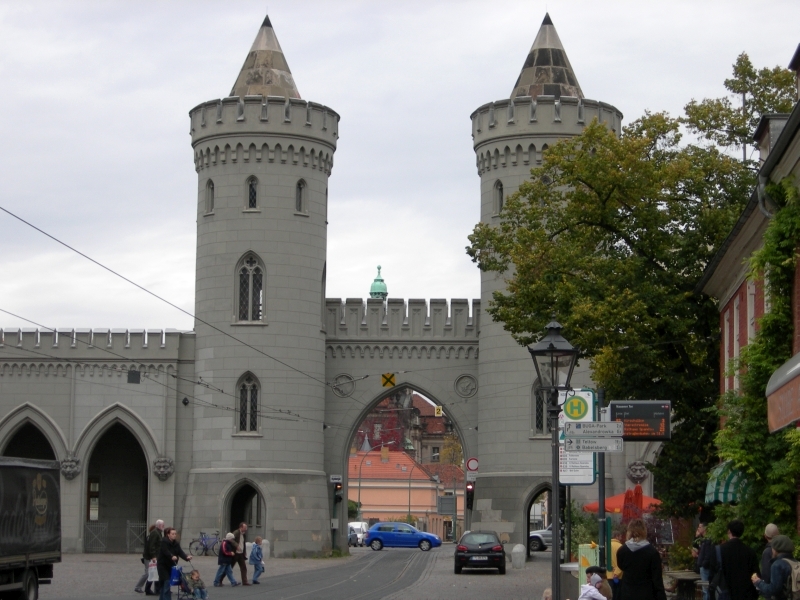 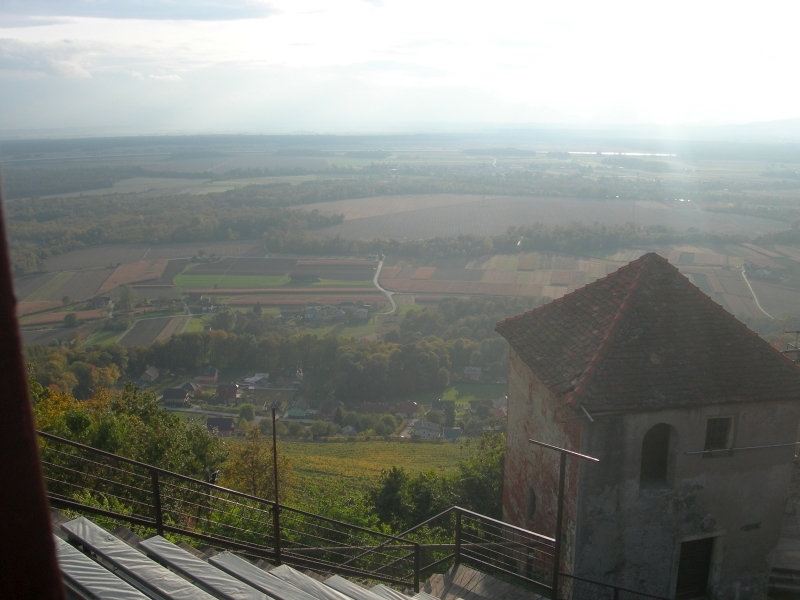 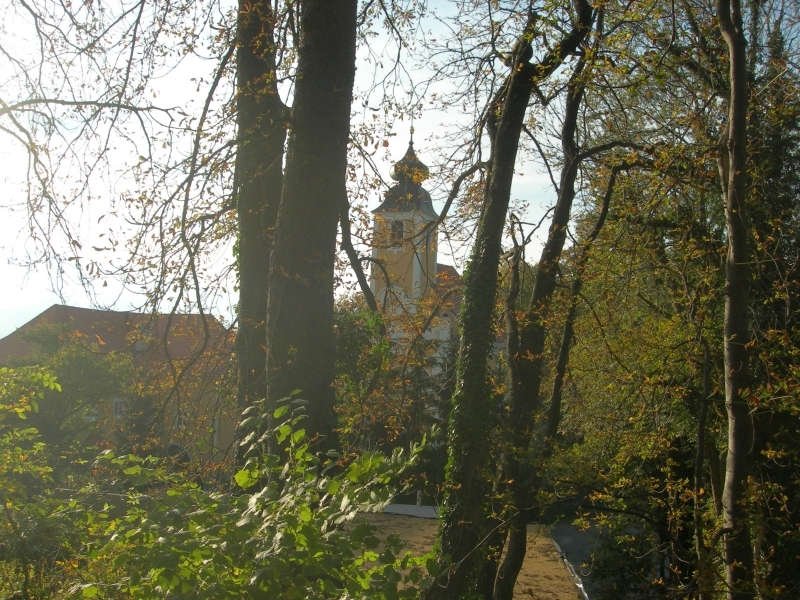 Today, you will also find Frederick II’s tomb on the castle hill. 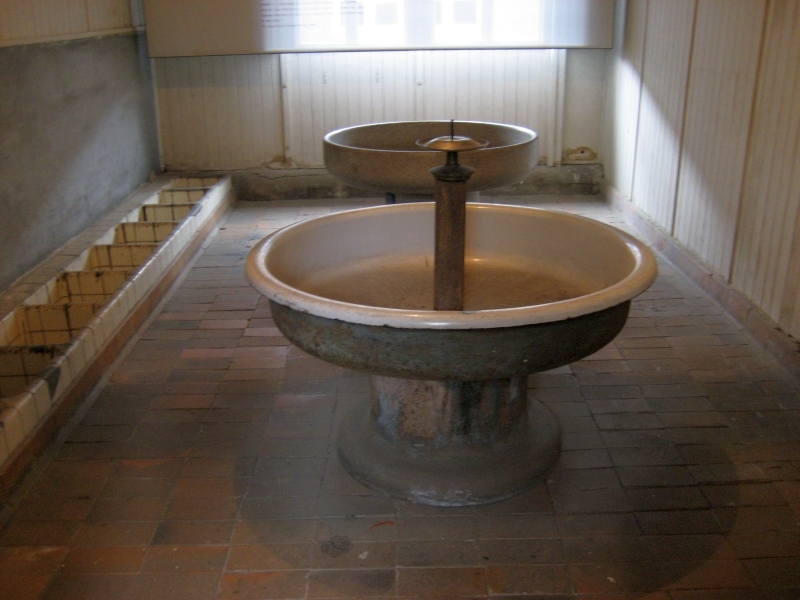 On the pile of ruins to the north of the castle, artificial sections of ruins were grouped into a staffage of the art of the ancient world, which concealed a water basin at the same time. 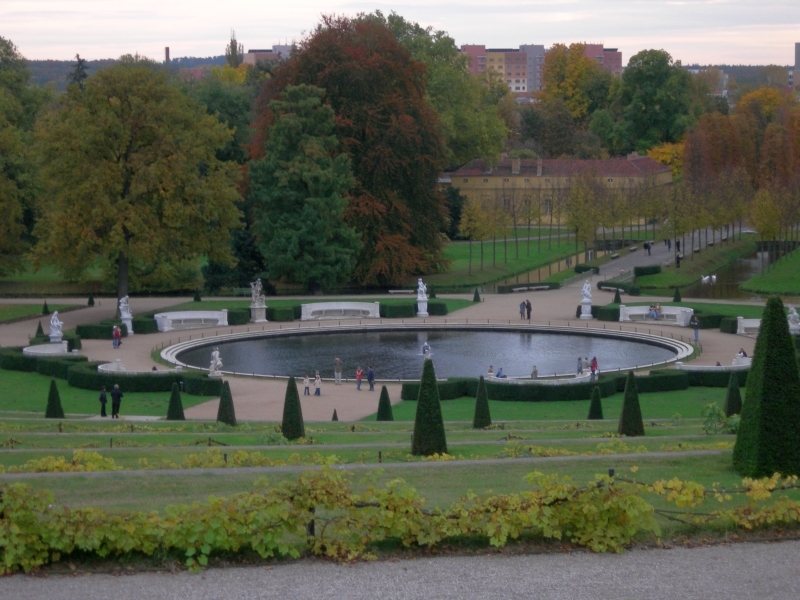 Fountains in the park were to be supplied with water from this. 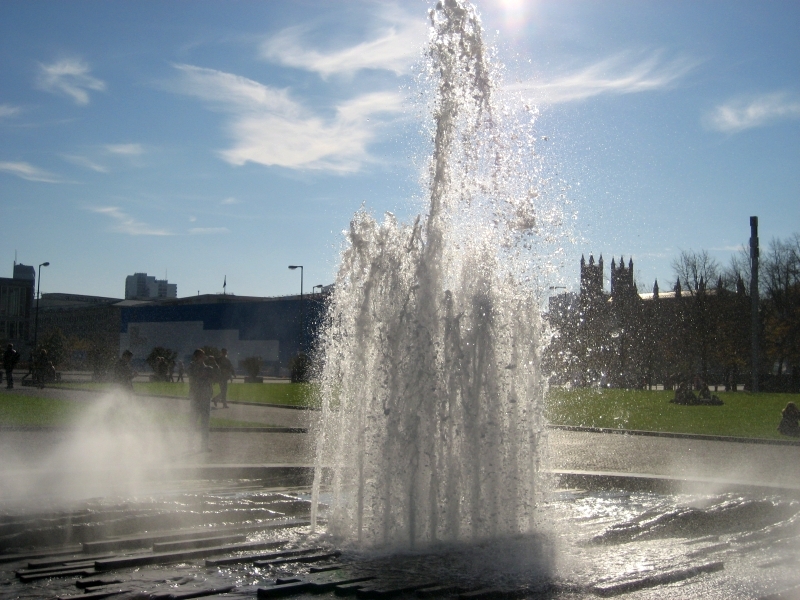 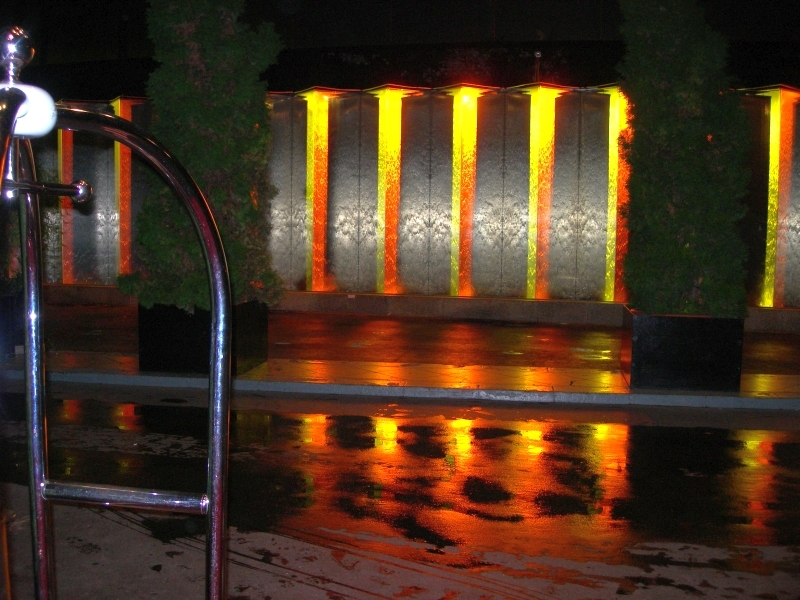 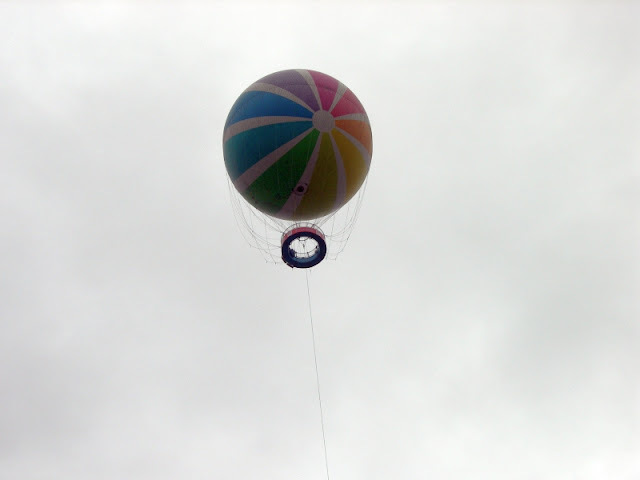 The king was attached above all to the lavish waterworks, which he could only enjoy once in the end, as the system only worked properly after the construction of the steam engine building in the 19th century. 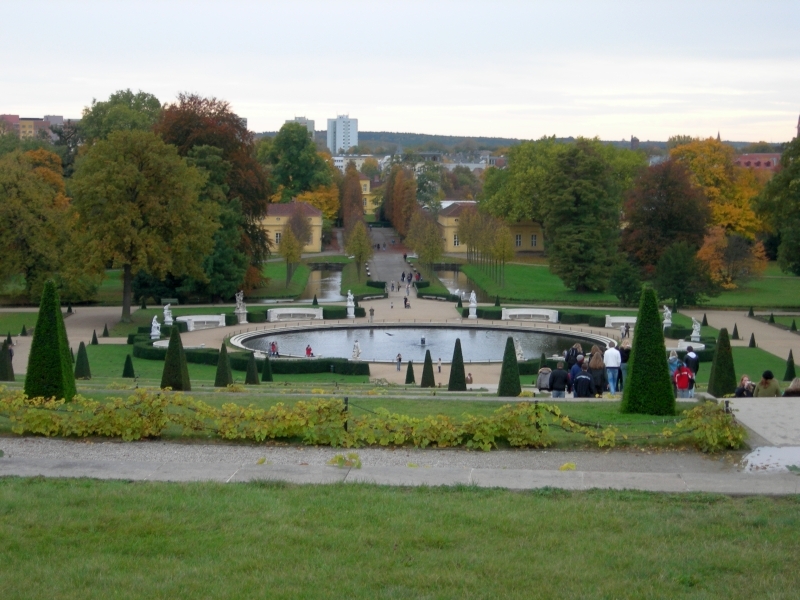 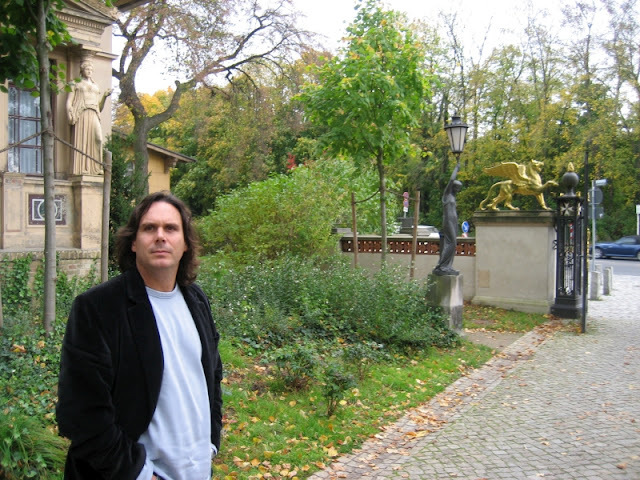 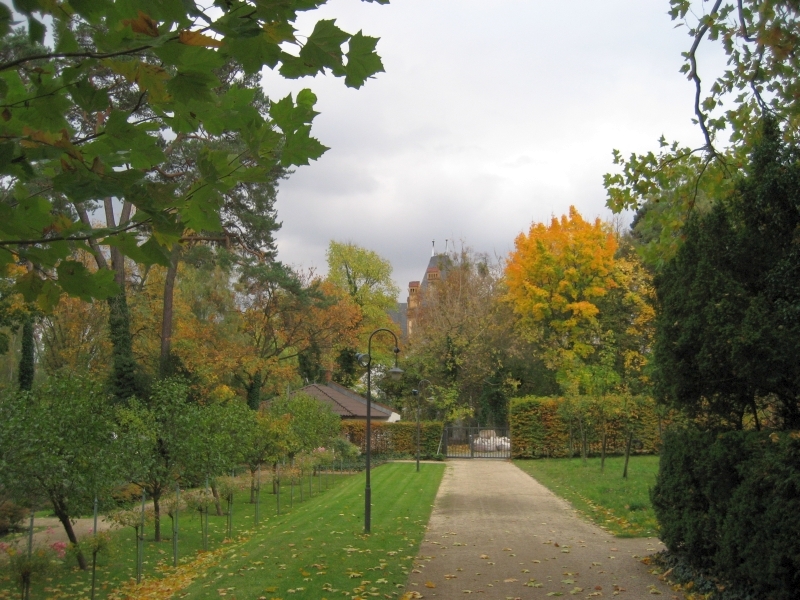 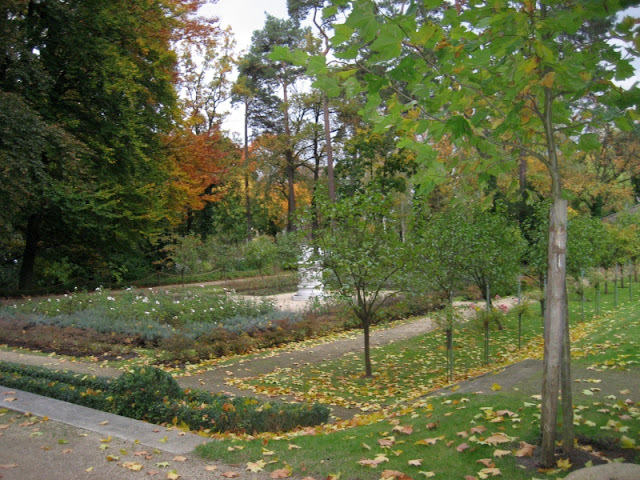 The baroque garden, which had gone out of fashion in the meantime, was redesigned in the style of a landscape park under Frederick the Great’s successors and was expanded by Frederick William IV by structures such as Charlottenhof Castle, the orangery and the Roman Baths. 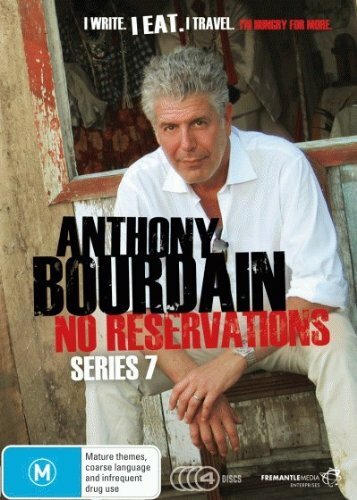 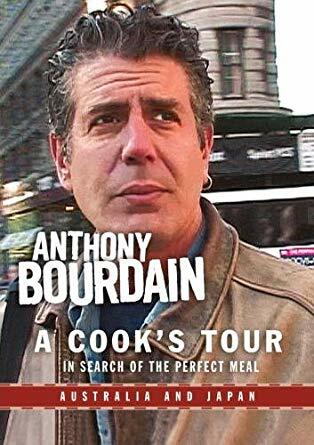 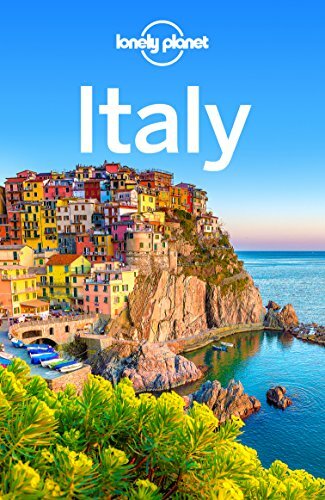 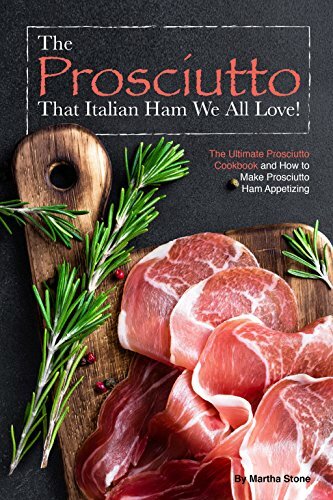 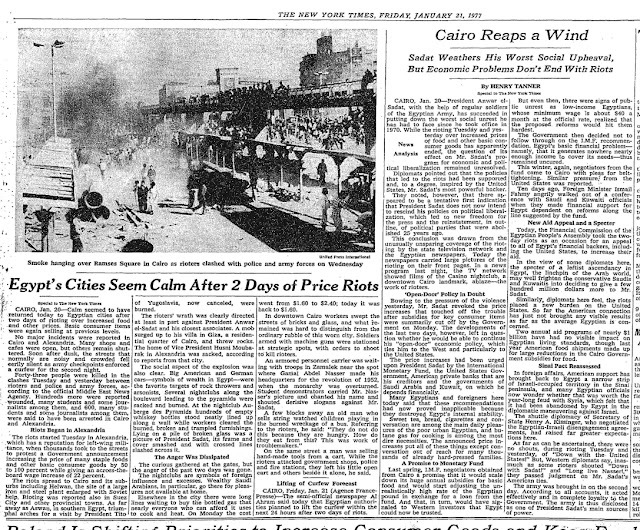 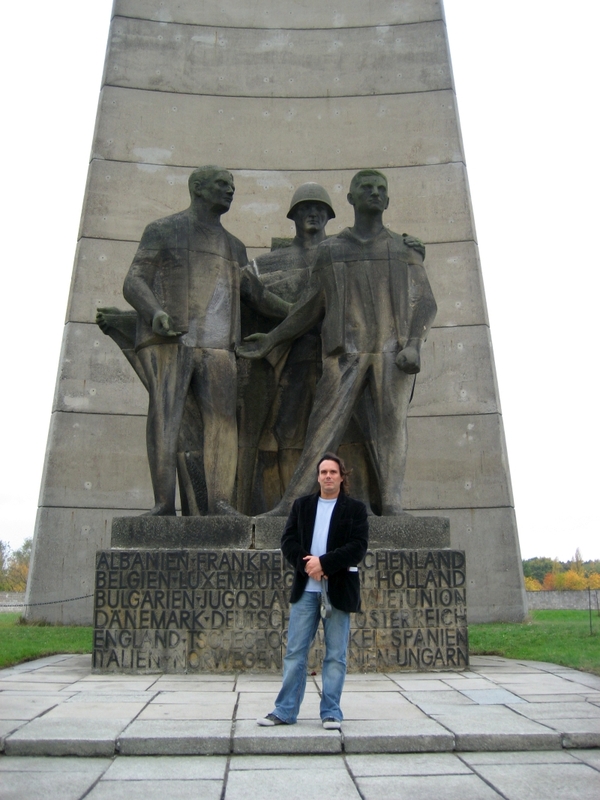 They were to bring part of Italy to his native country for him. 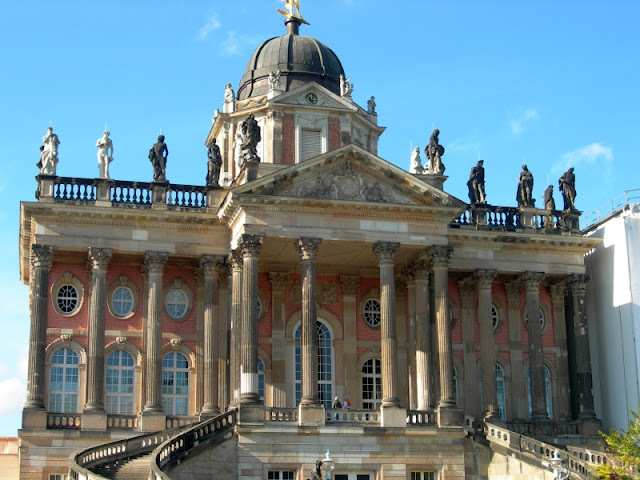 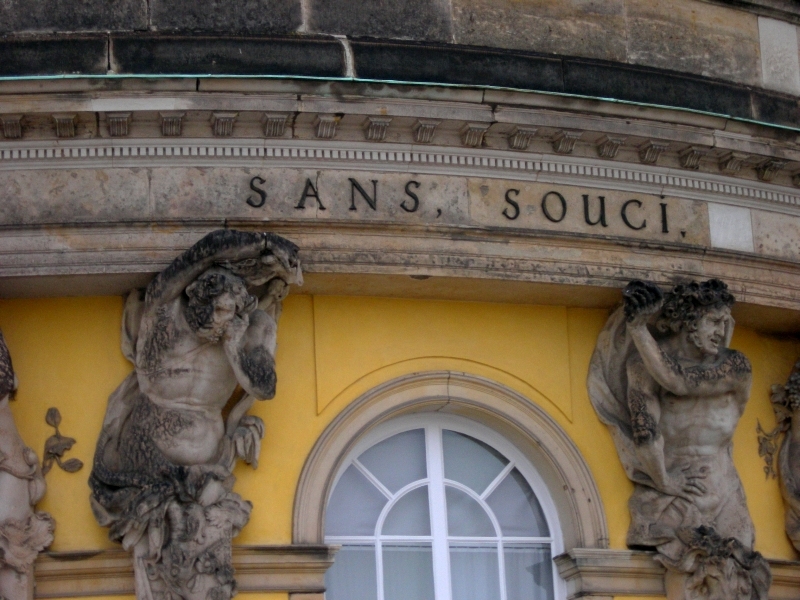 It is a matter of fact that the castles in Sanssouci Park are a breathtaking backdrop for events such as the Potsdam court concerts or the musical festivals. 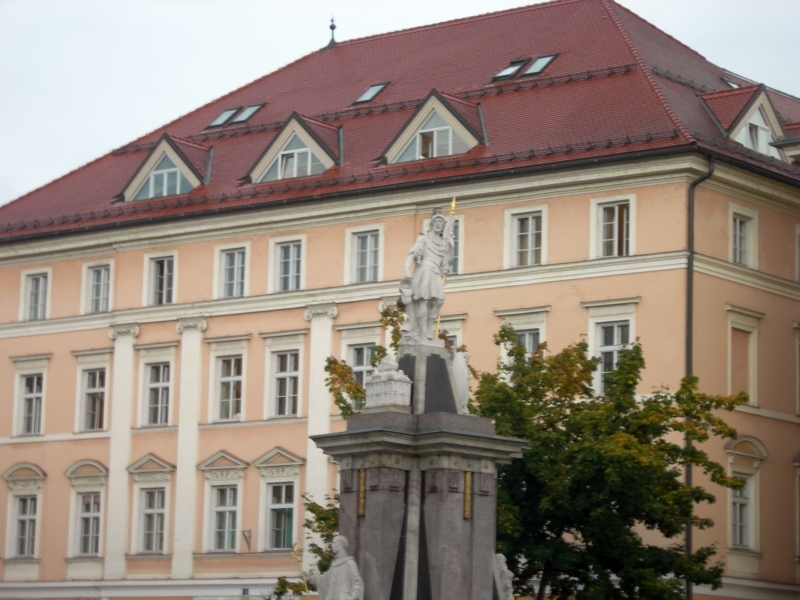 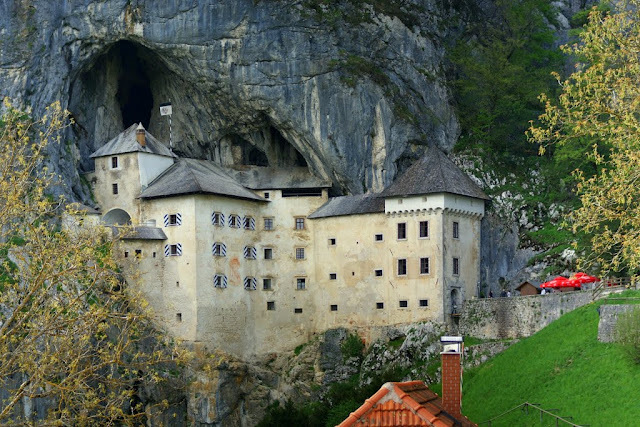 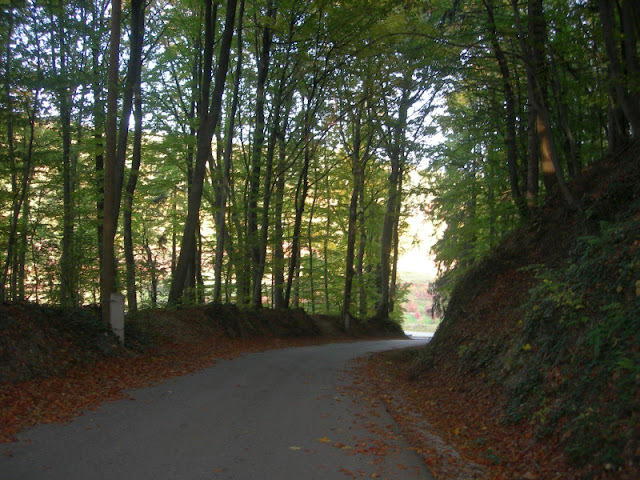 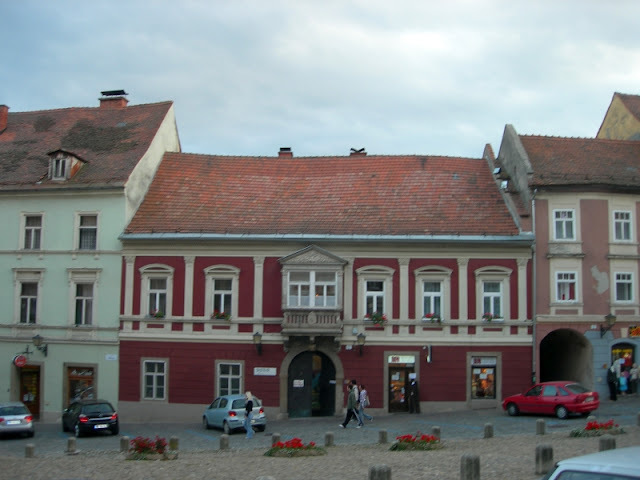 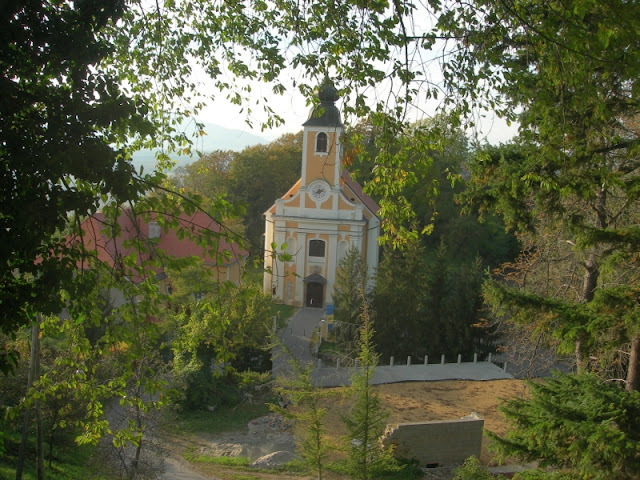 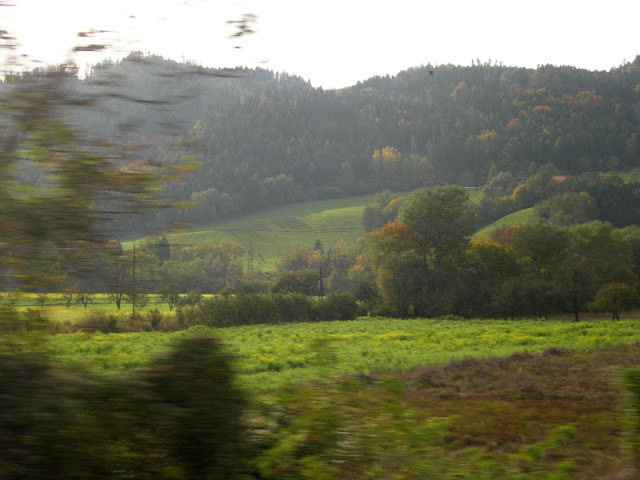 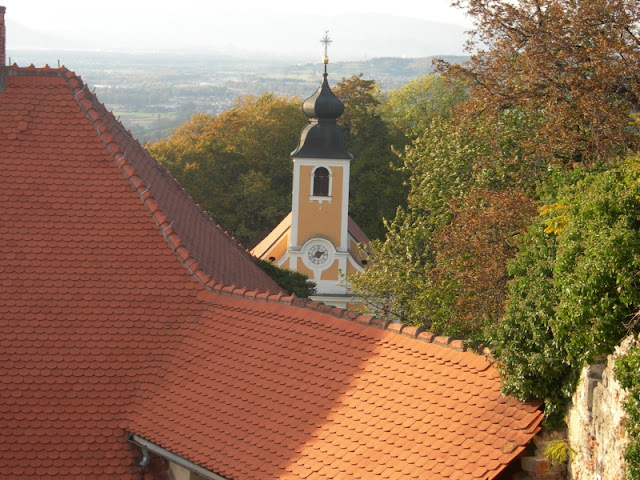 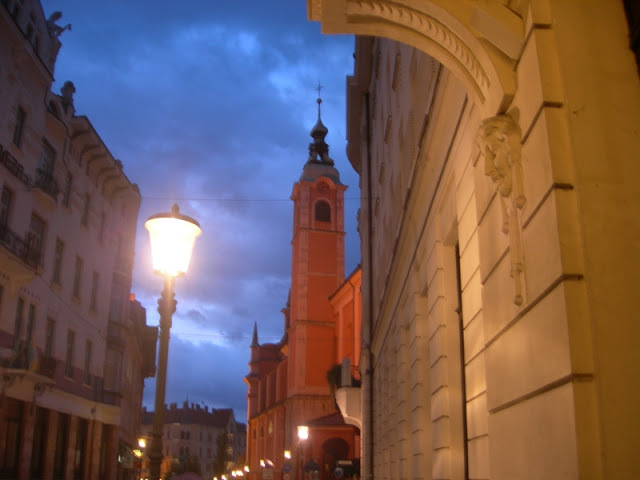 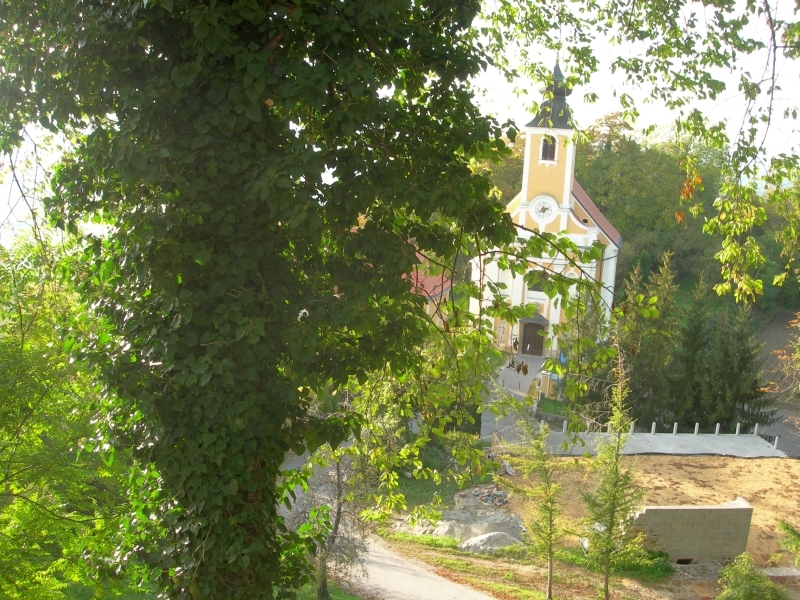 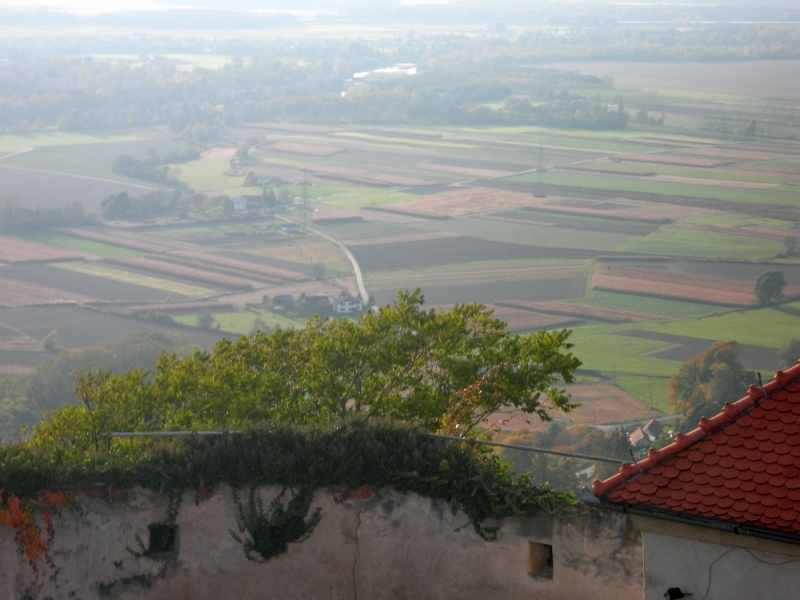 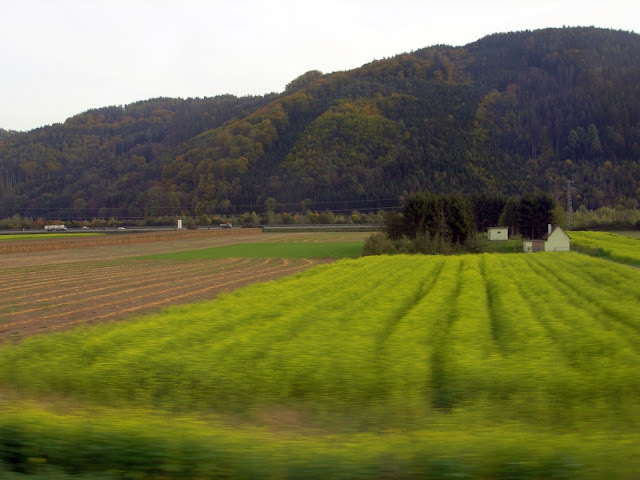 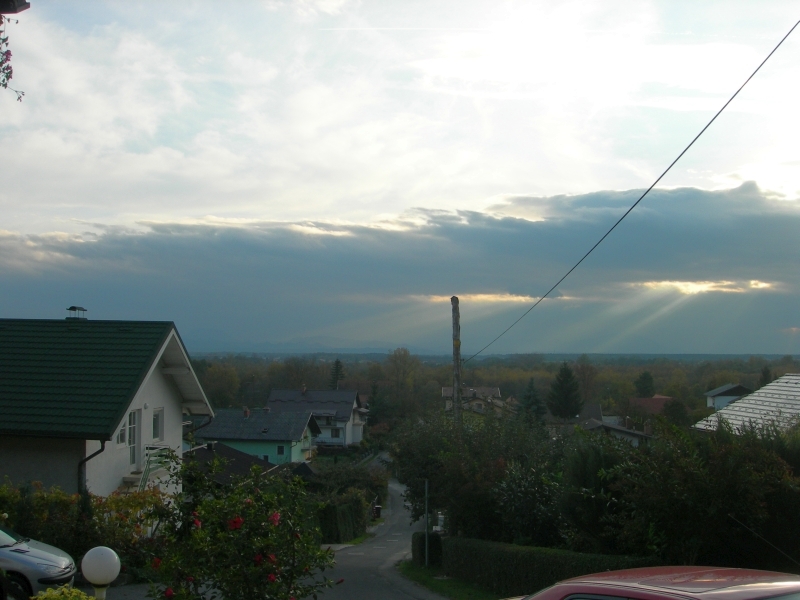 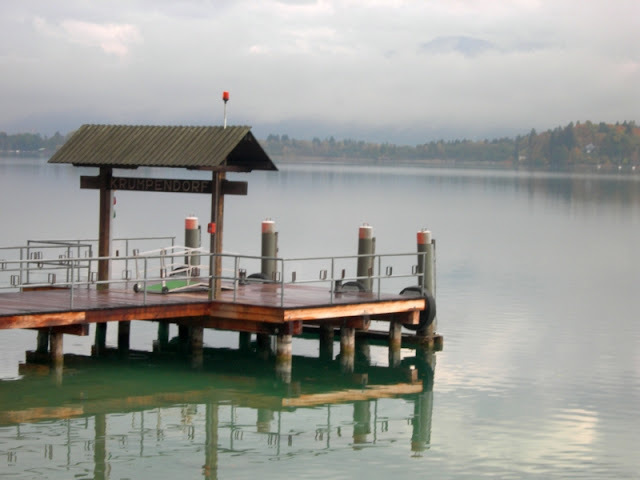 Its central geographic location within Slovenia, transport connections, concentration of industry, scientific and research institutions and cultural tradition are contributing factors to its leading position. 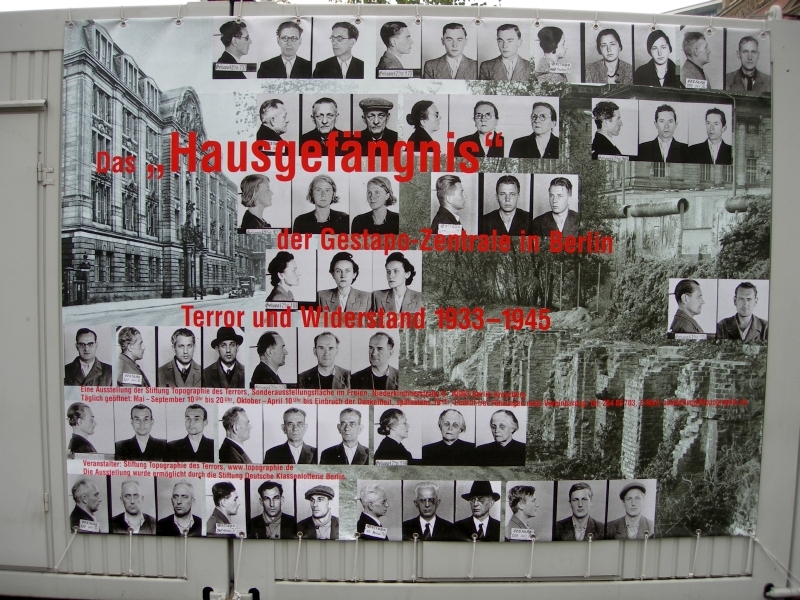 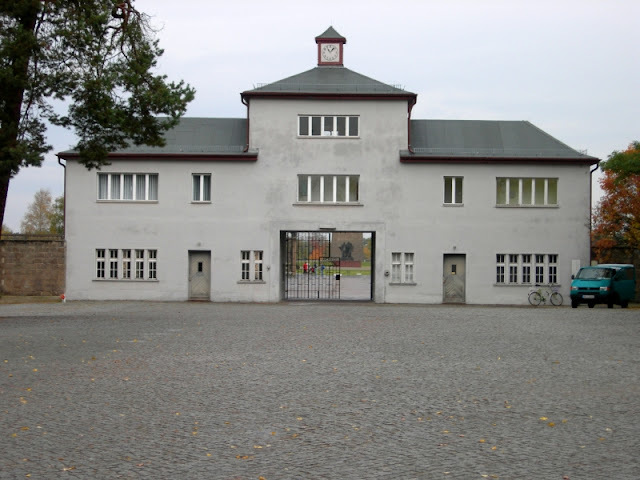 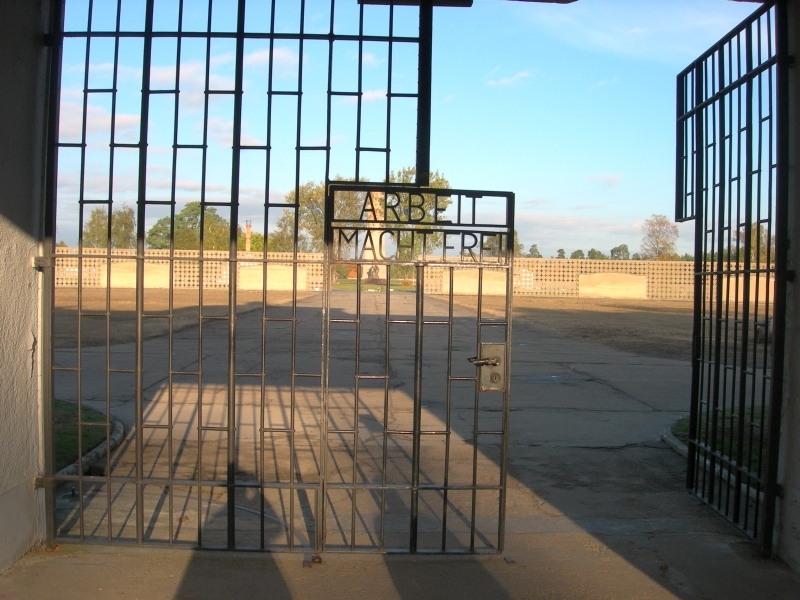 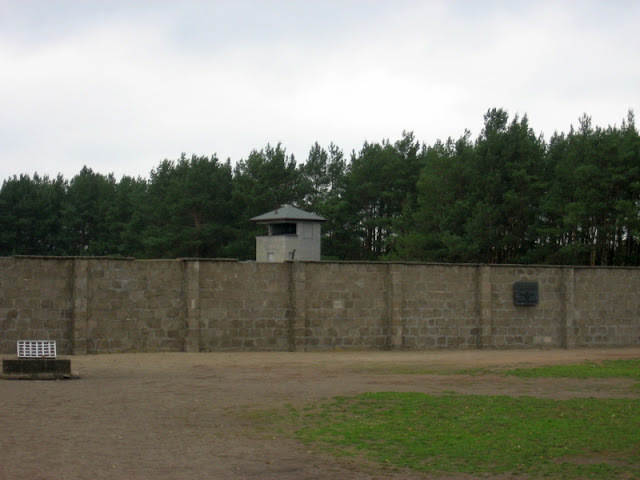 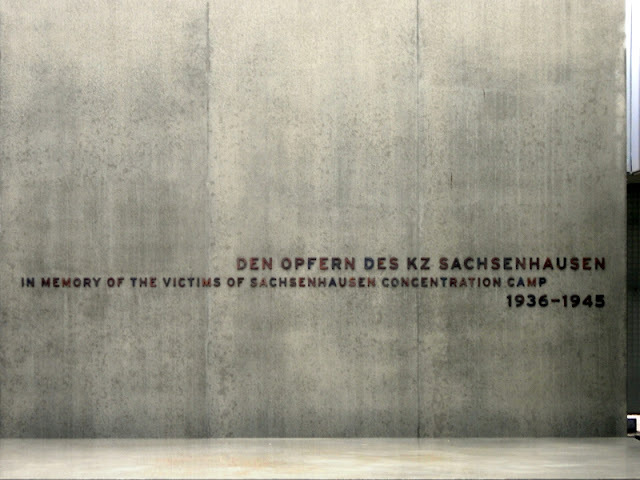 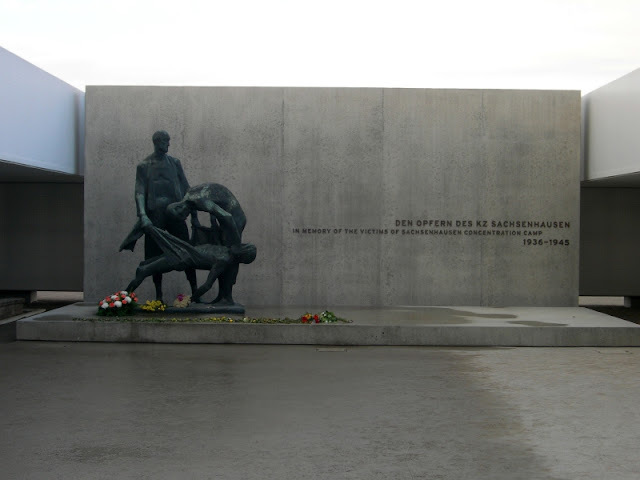 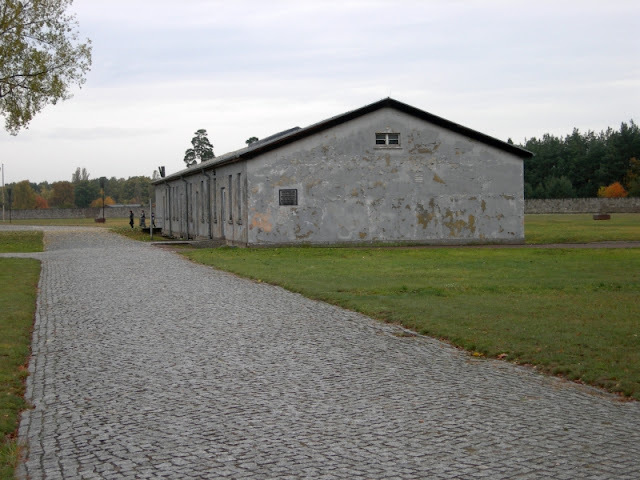 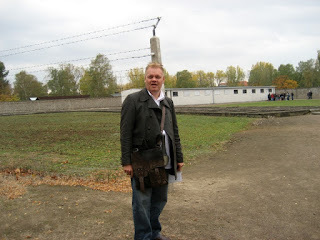 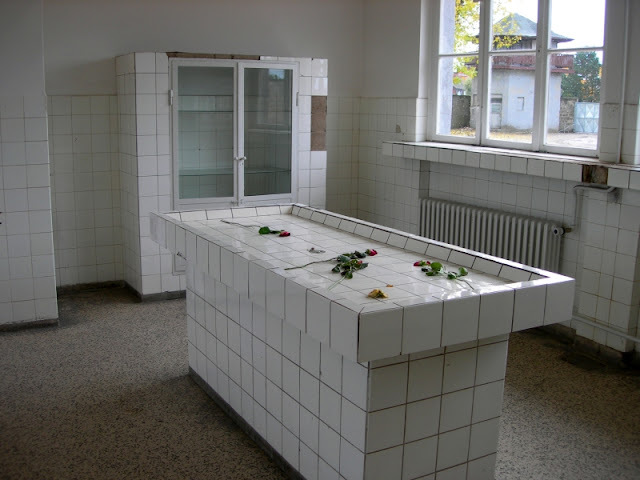 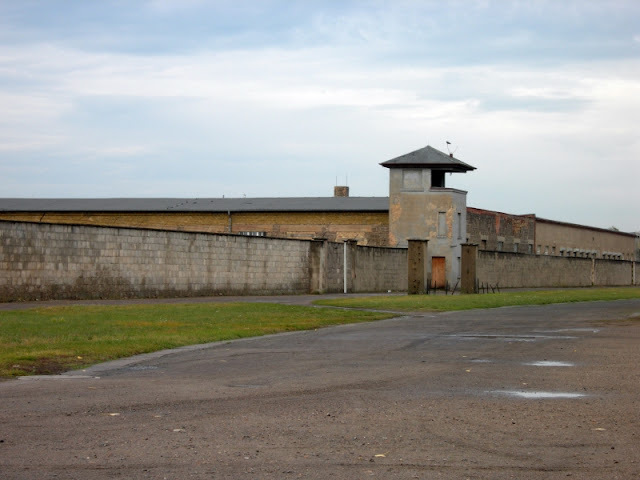 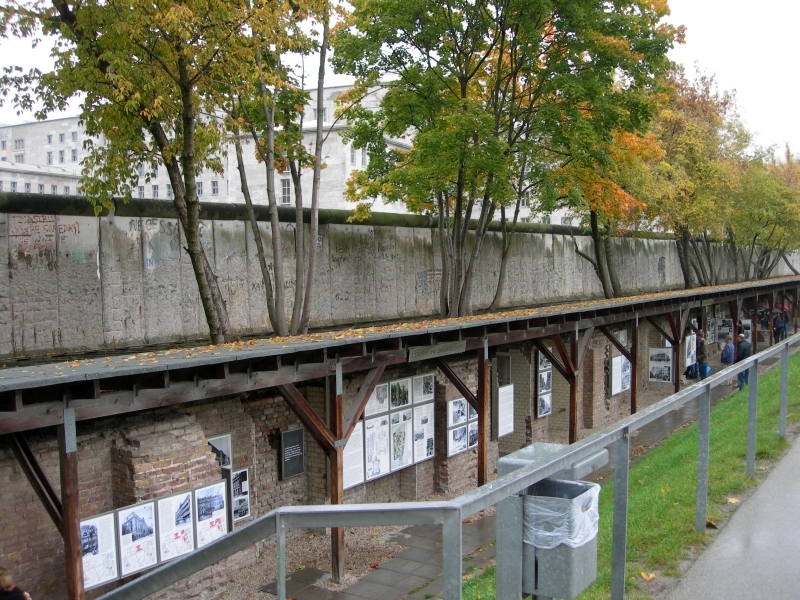 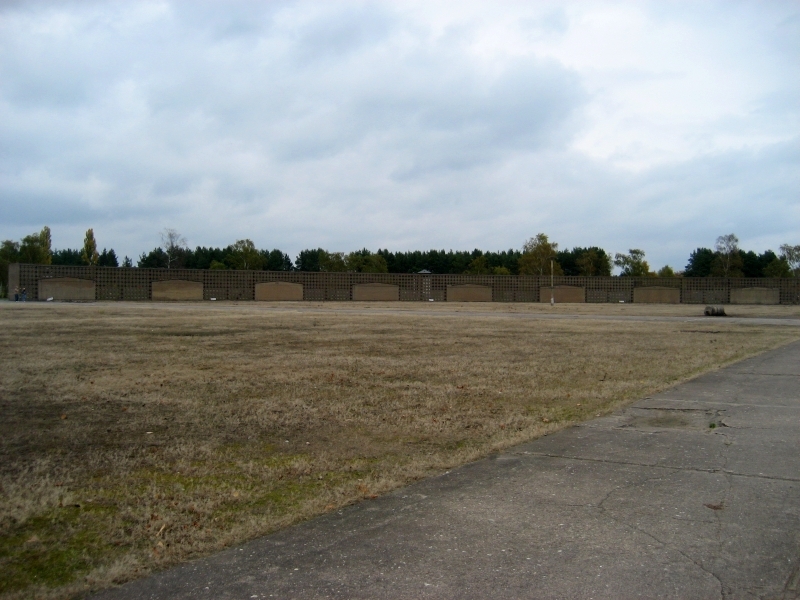 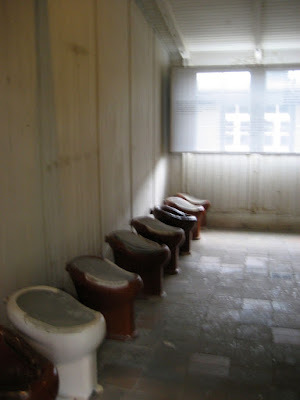 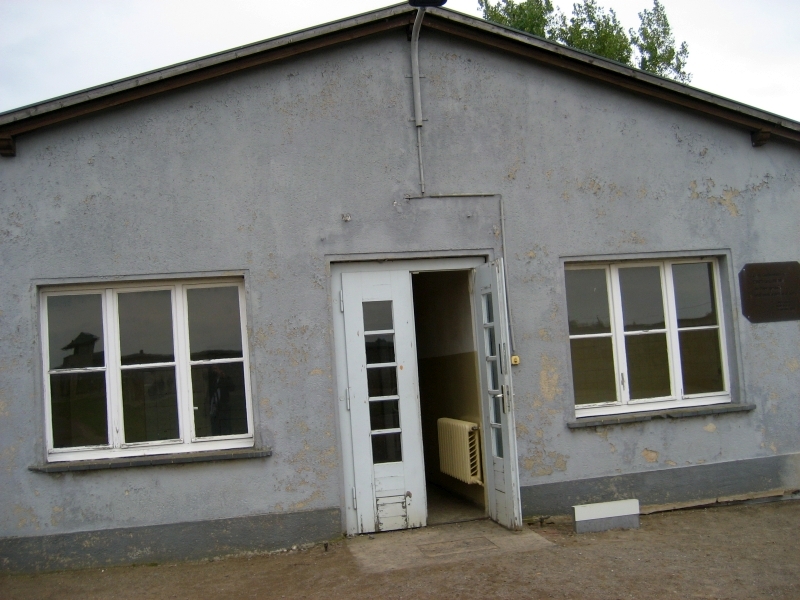 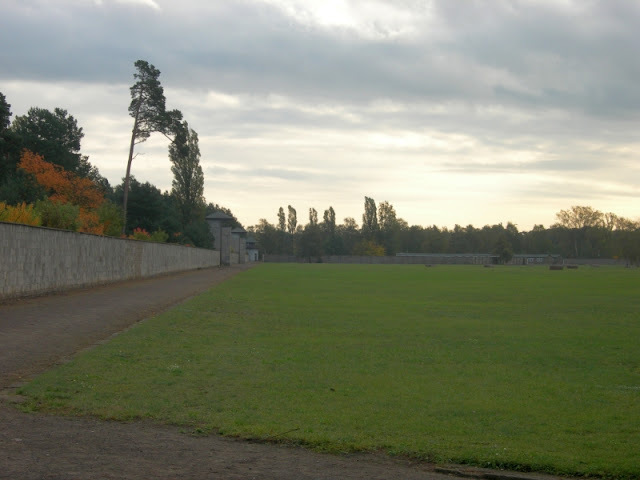 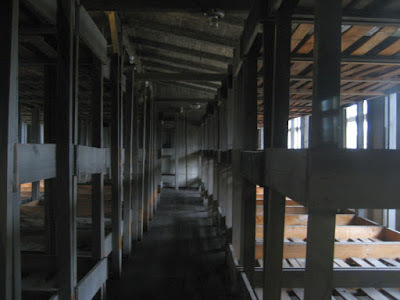 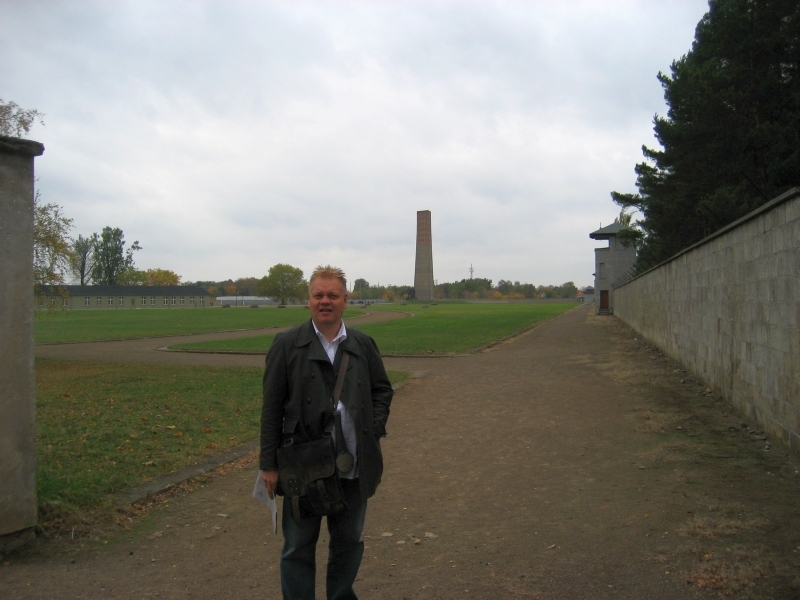 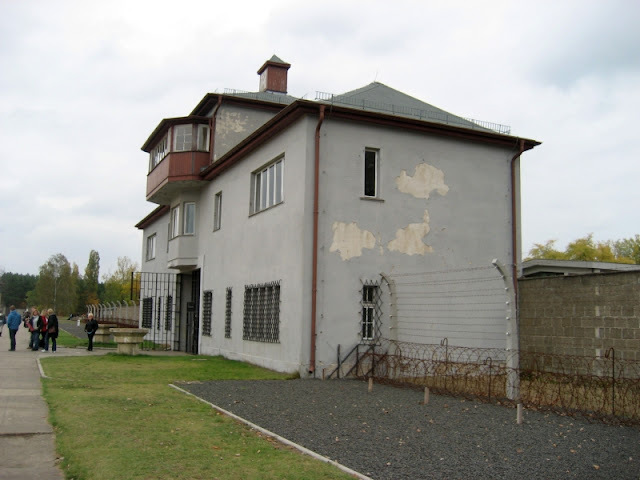 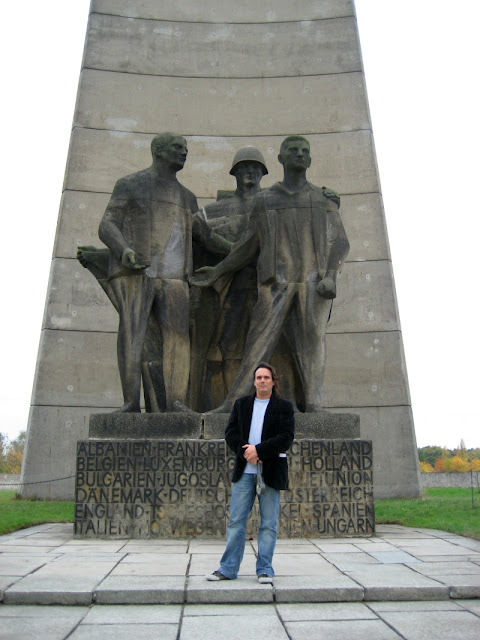 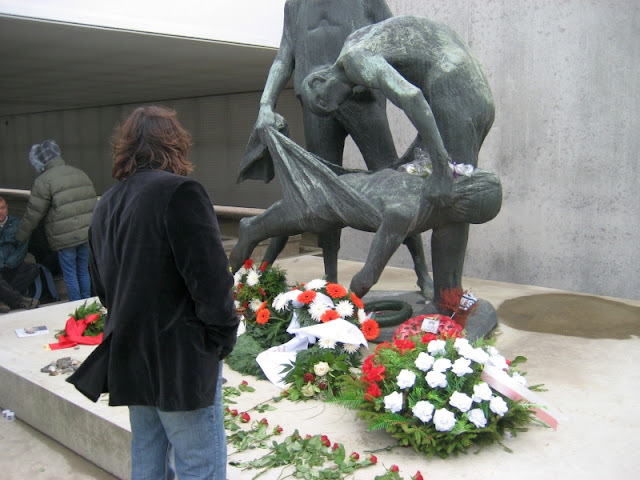 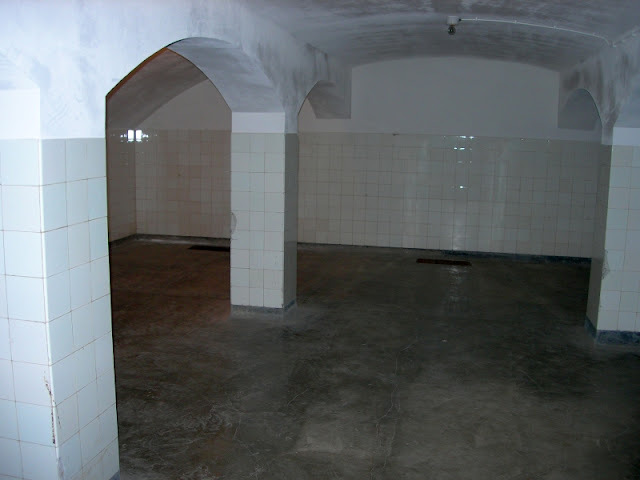 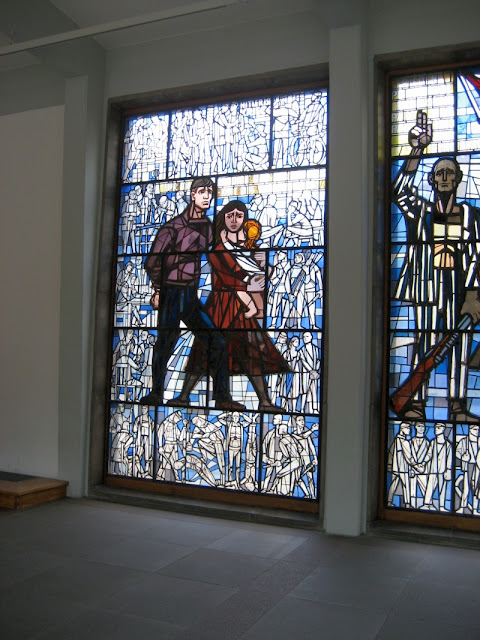 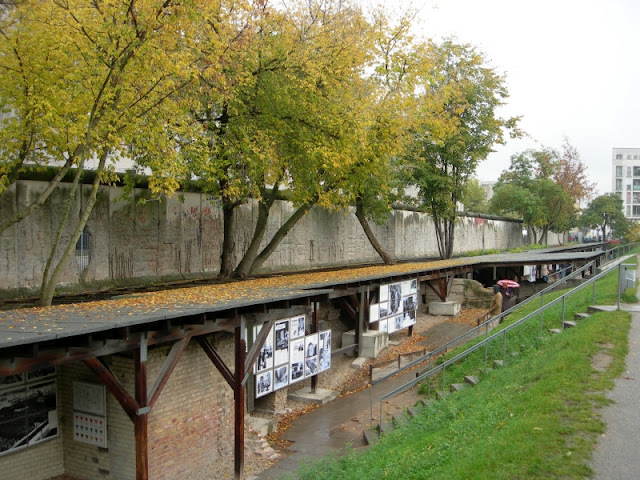 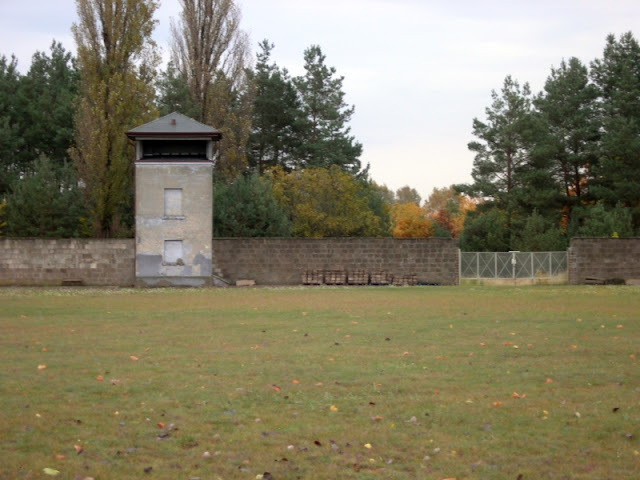 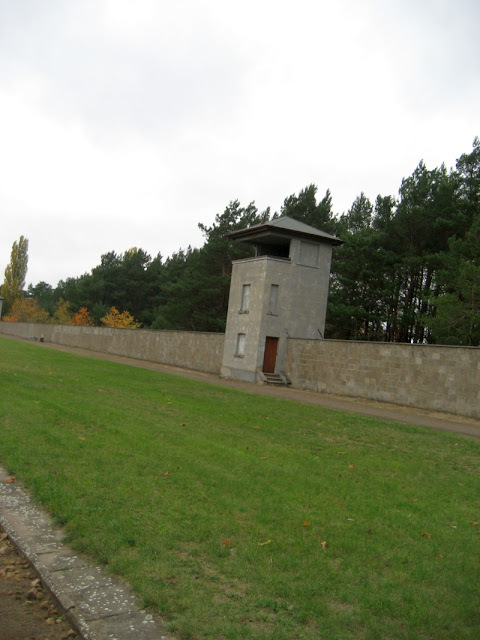 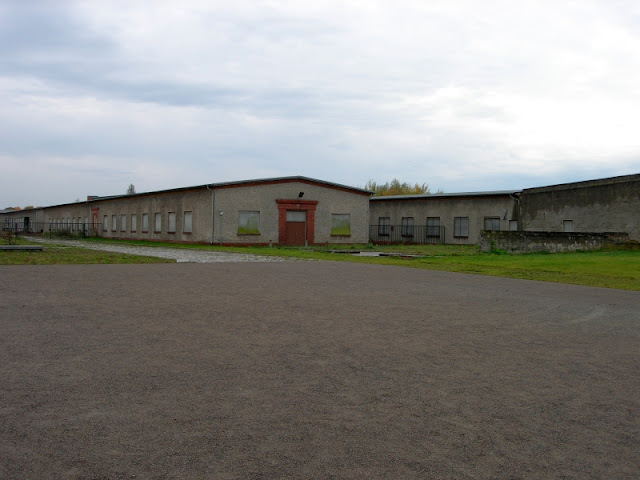 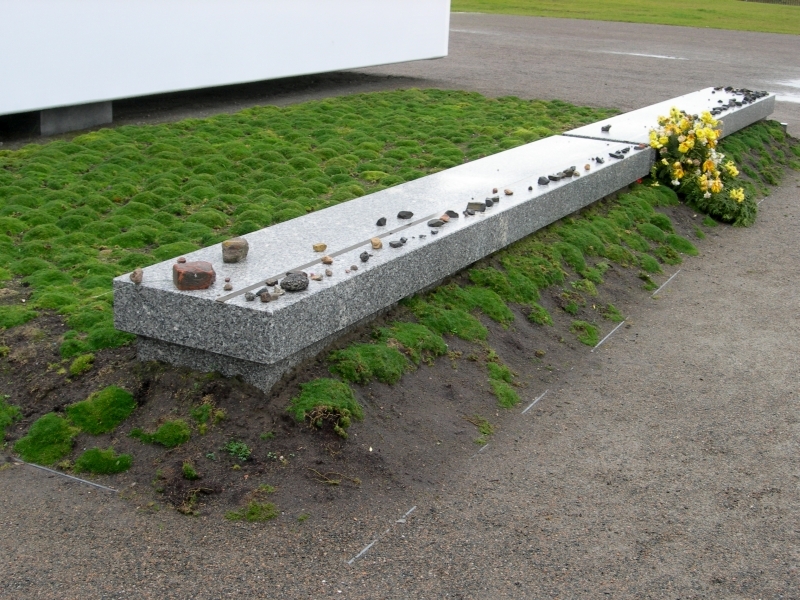 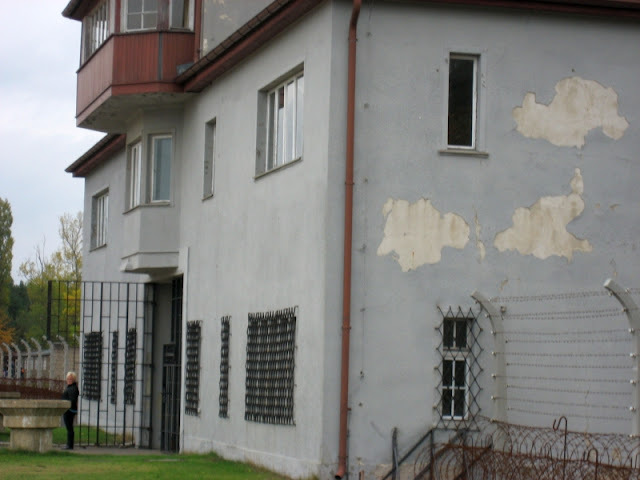 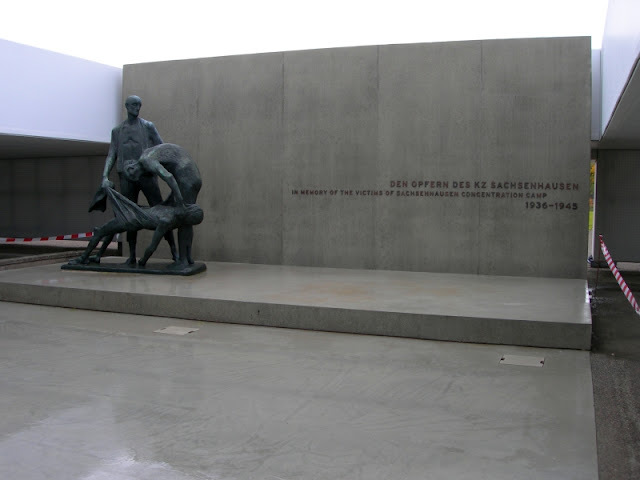 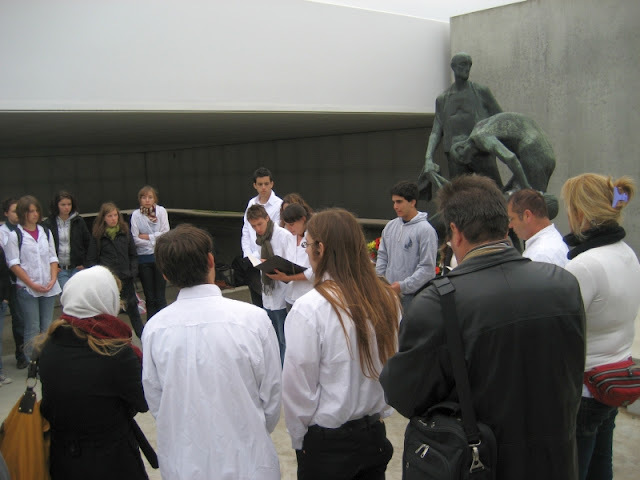 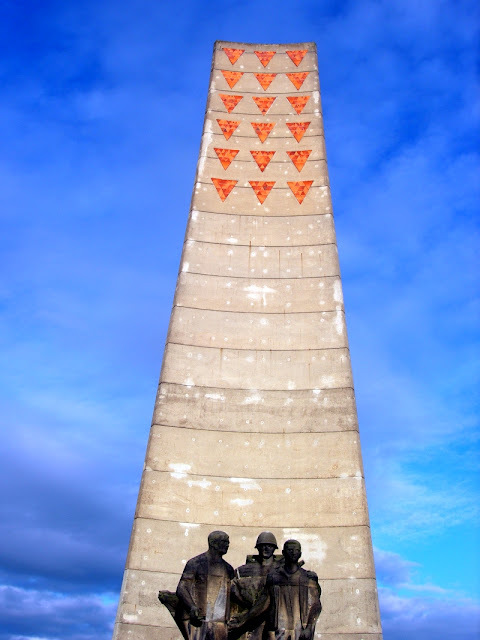 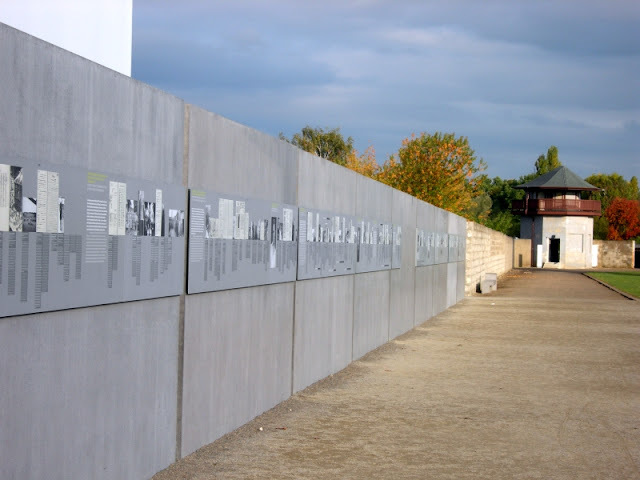 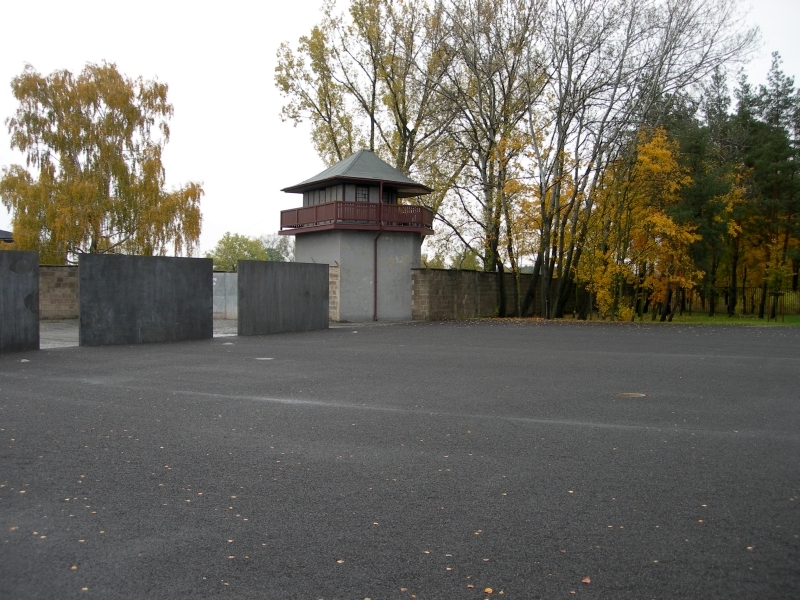 Sachsenhausen ("Saxon's Houses", German pronunciation: [zaksənˈhaʊzən]) or Sachsenhausen-Oranienburg was a Nazi concentration camp in Oranienburg, Germany, used primarily for political prisoners from 1936 to the end of the Third Reich in May 1945. 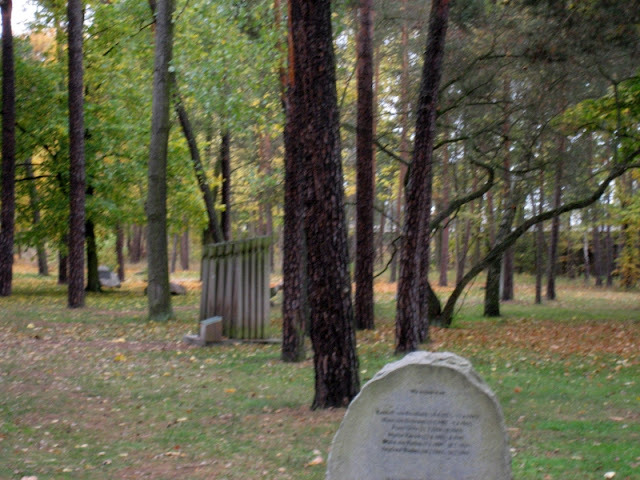 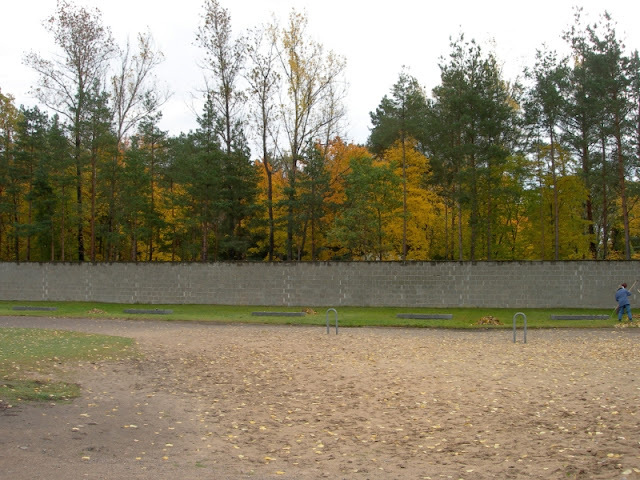 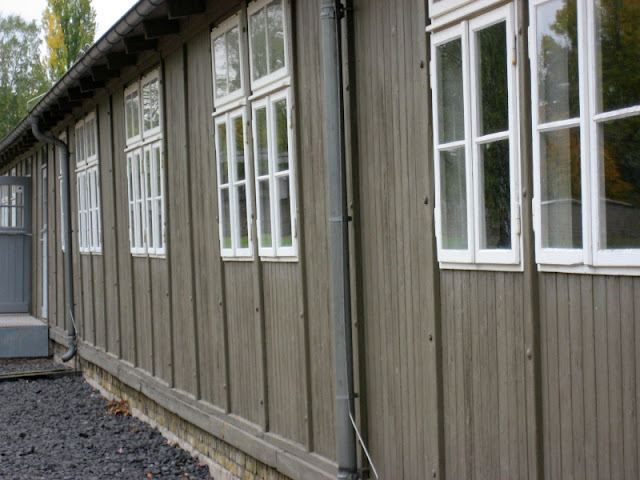 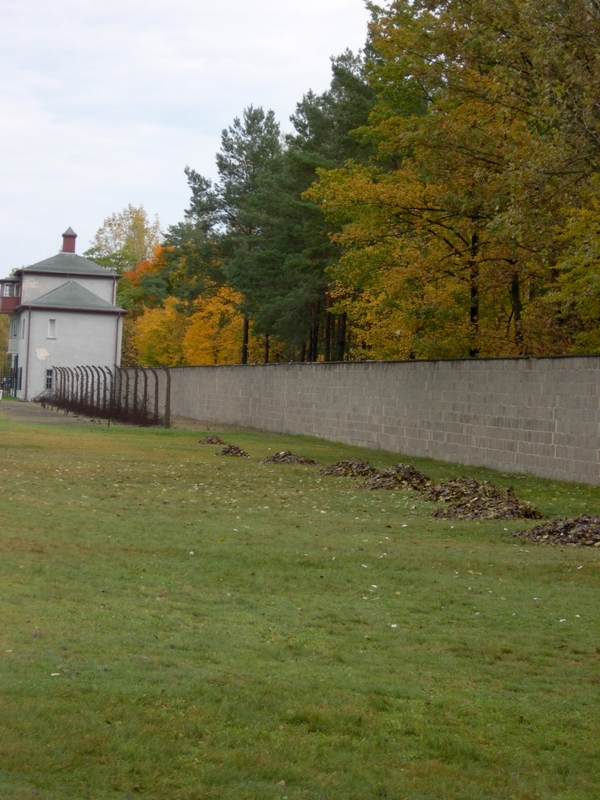 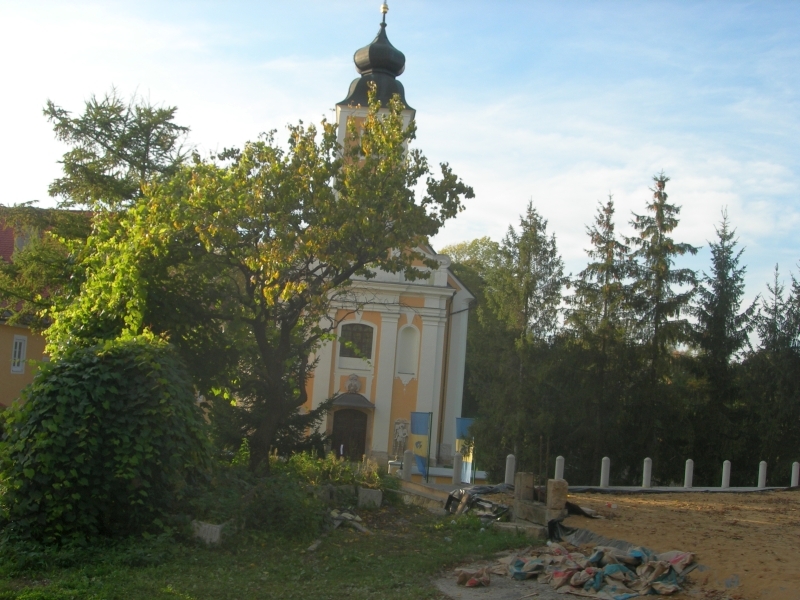 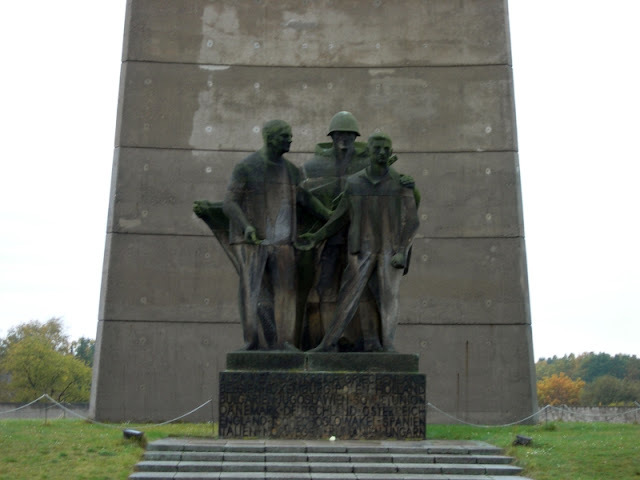 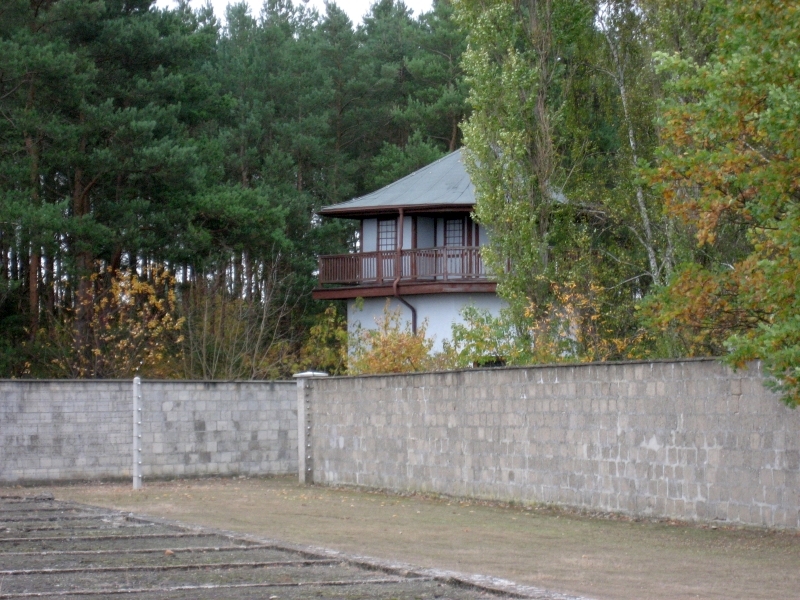 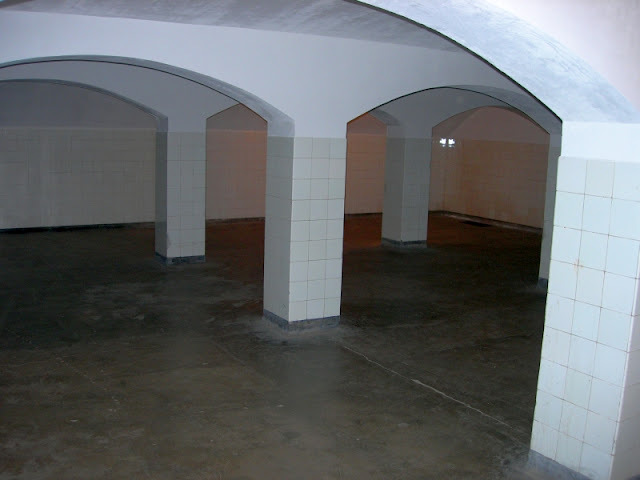 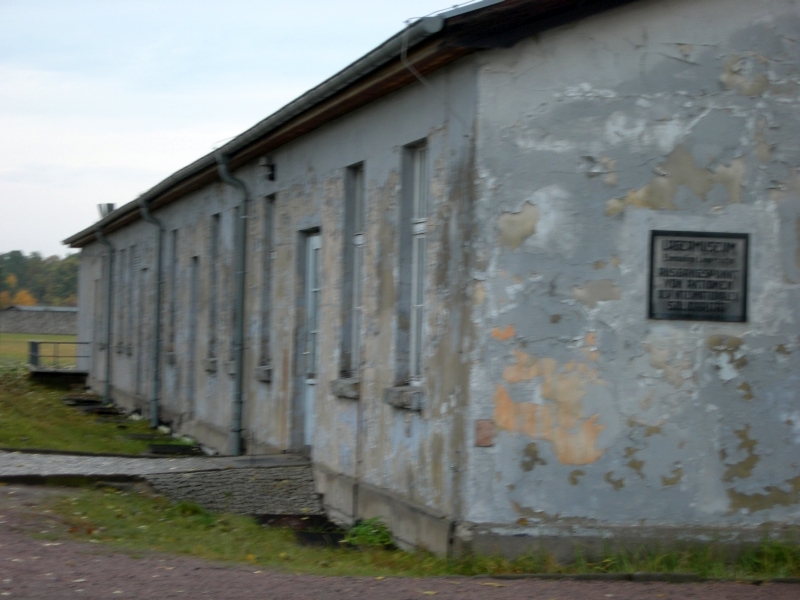 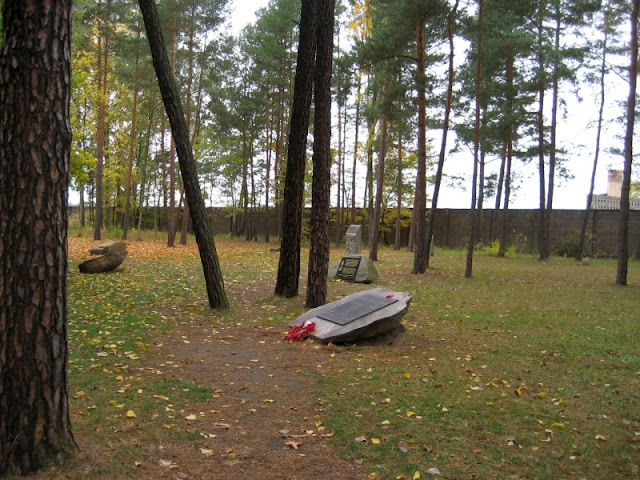 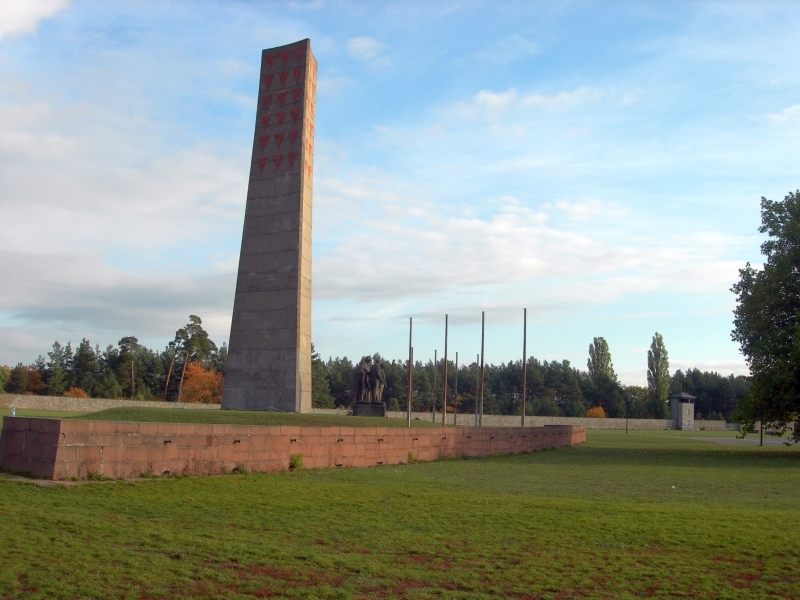 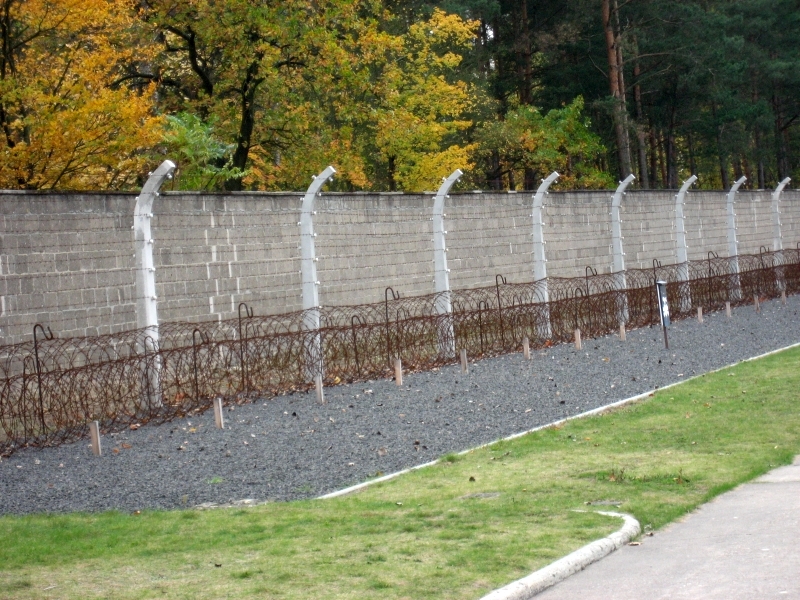 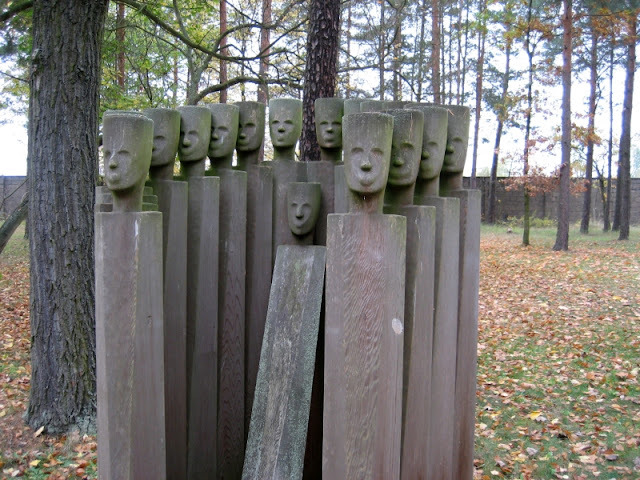 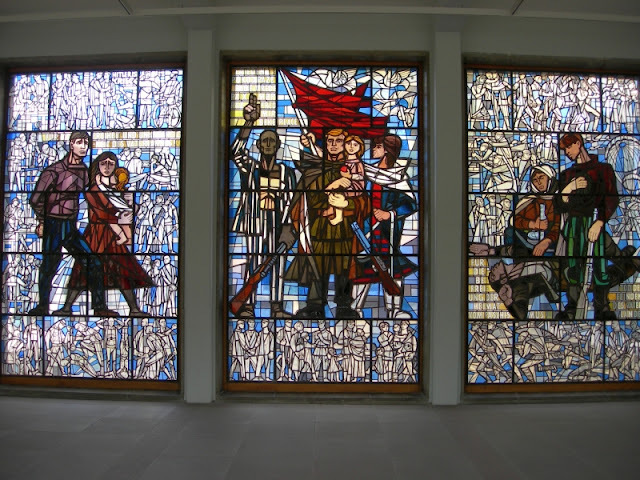 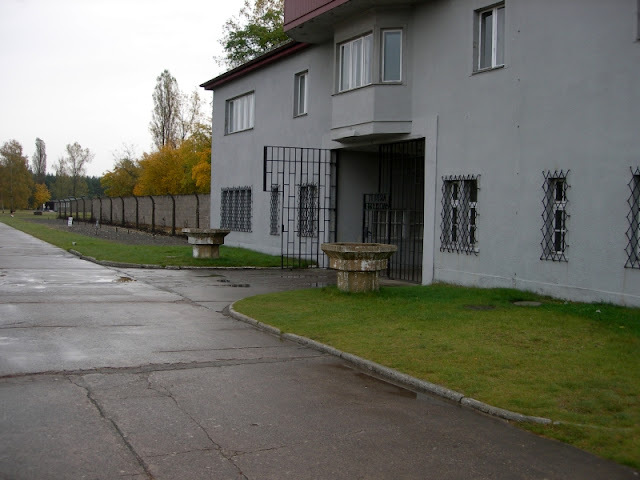 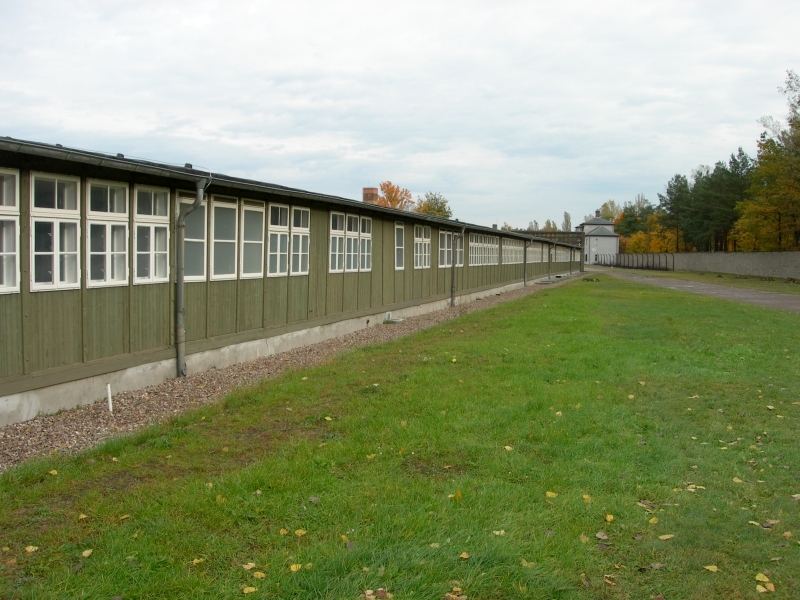 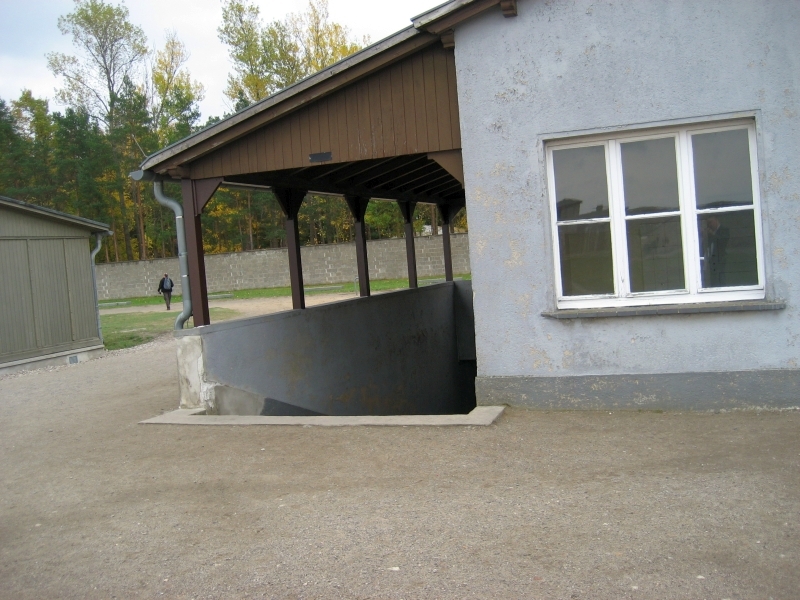 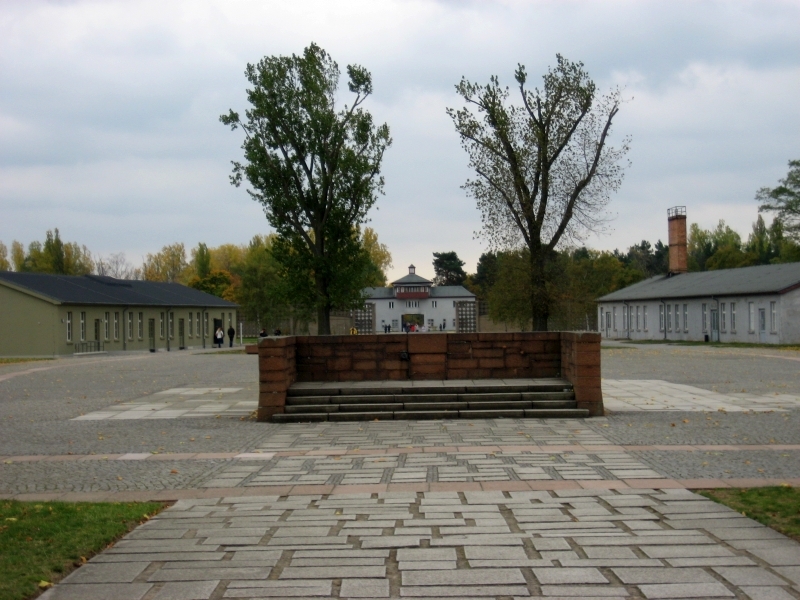 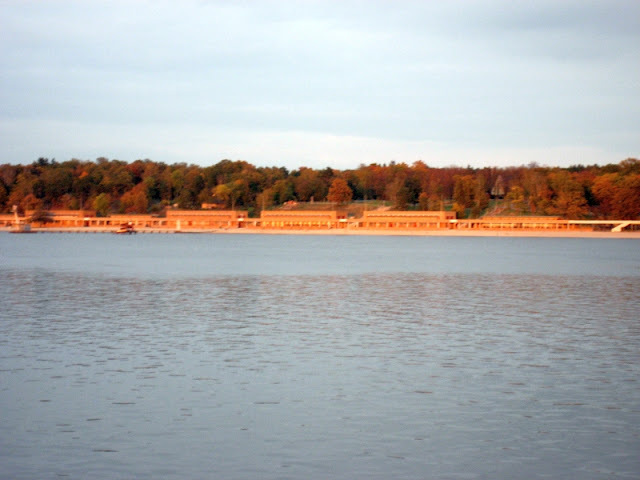 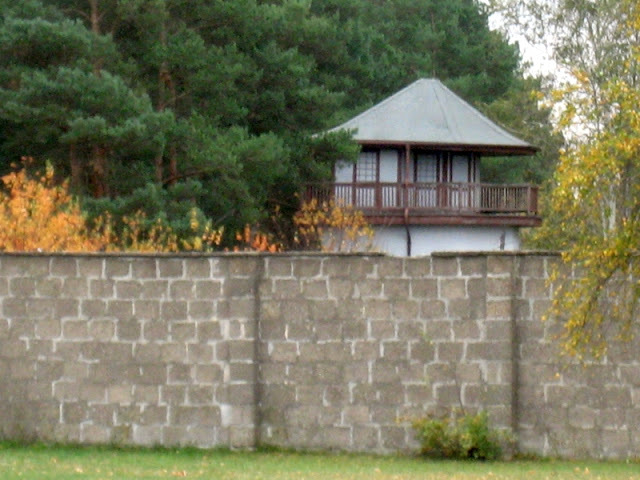 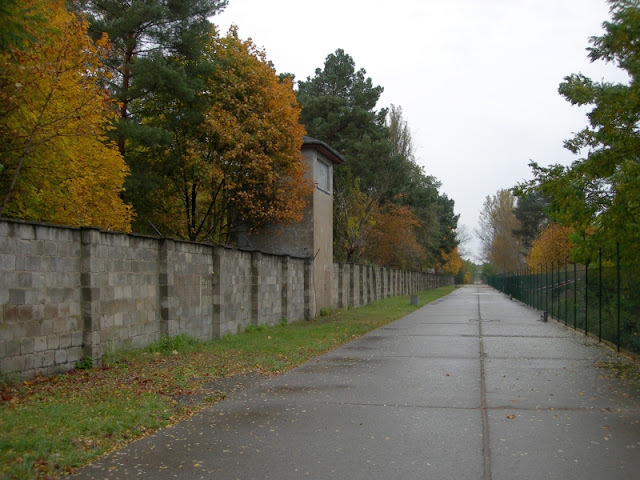 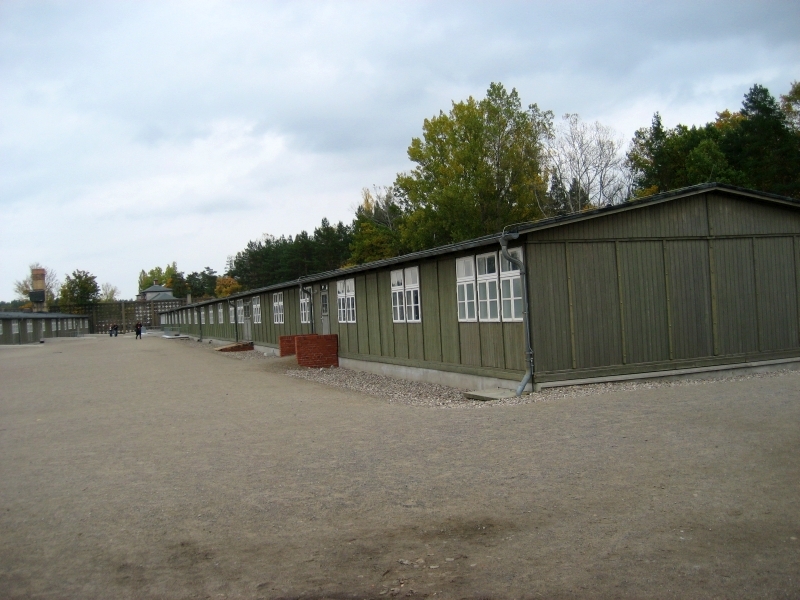 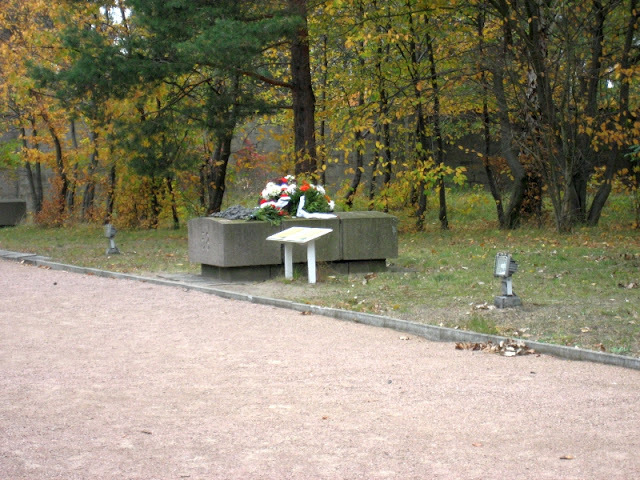 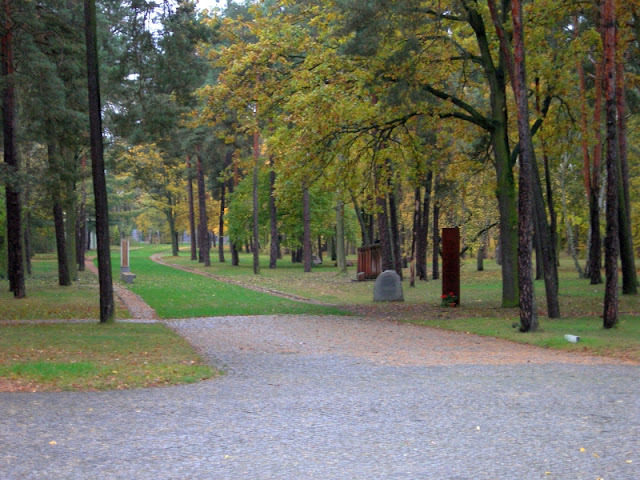 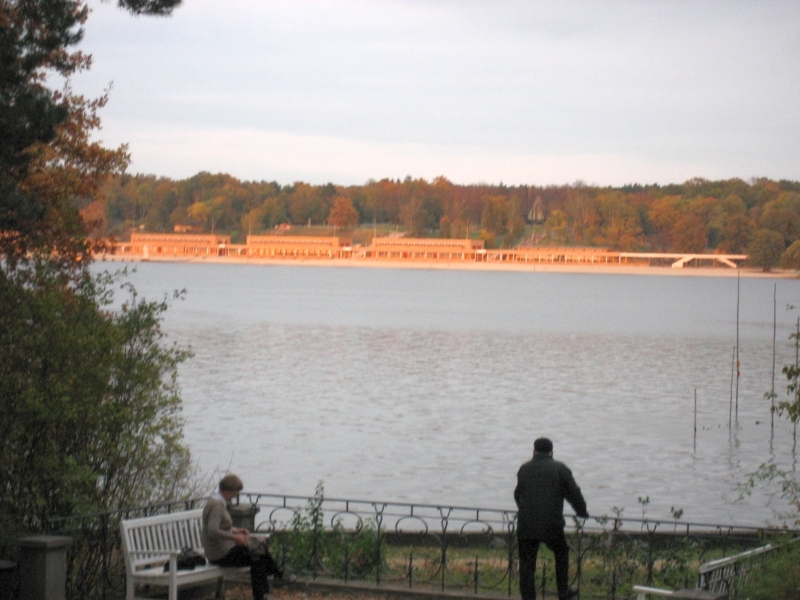 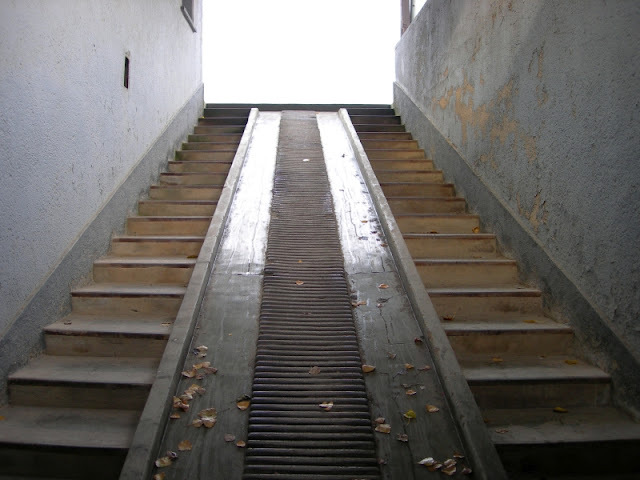 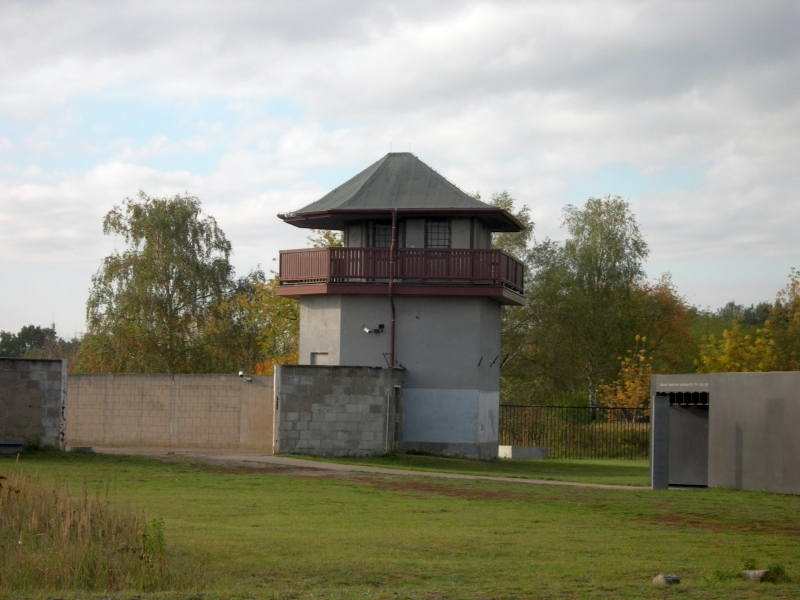 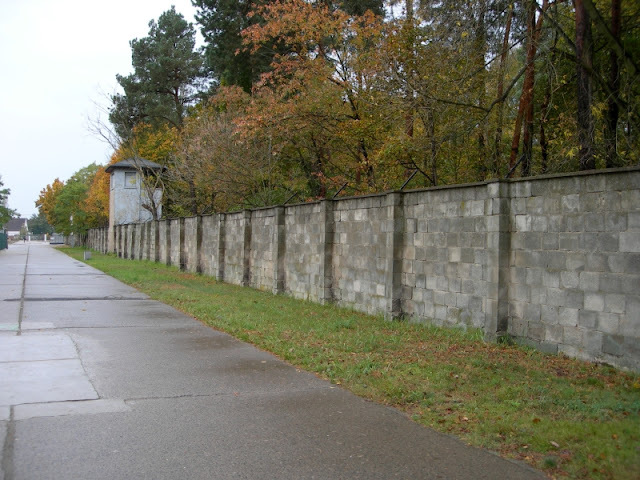 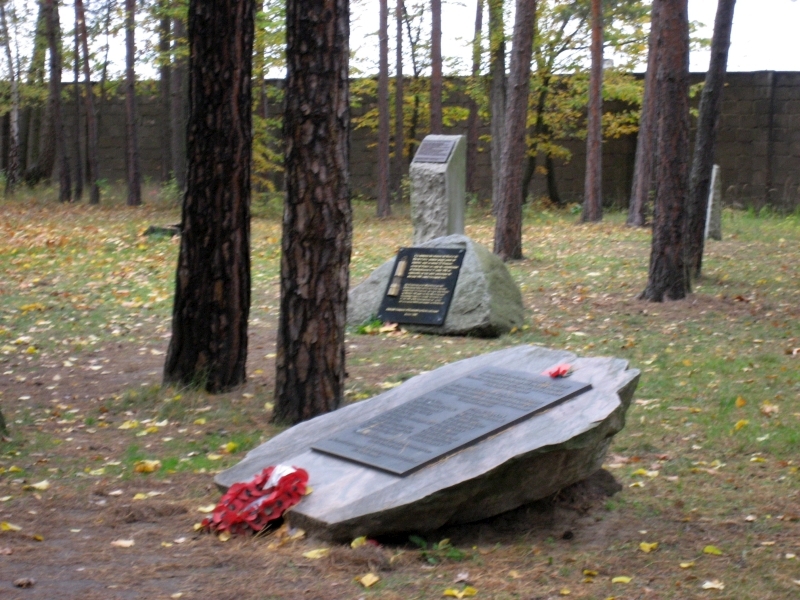 After World War II, when Oranienburg was in the Soviet Occupation Zone, the structure was used as an NKVD special camp until 1950 . 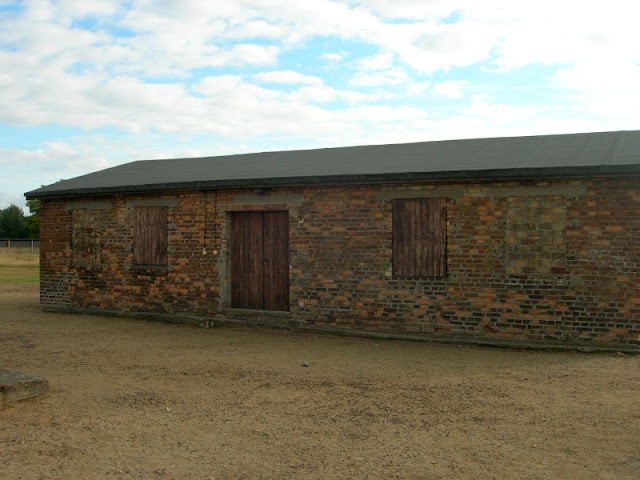 The remaining buildings and grounds are now open to the public as a museum. 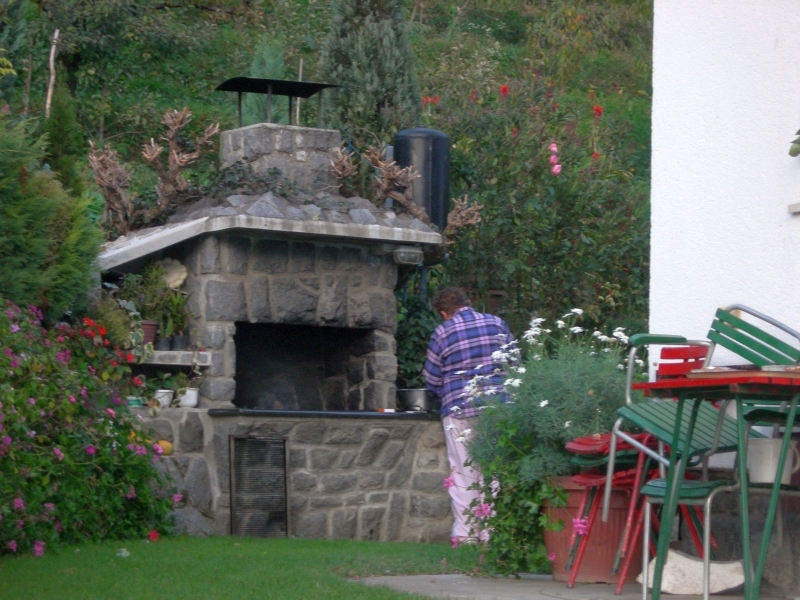 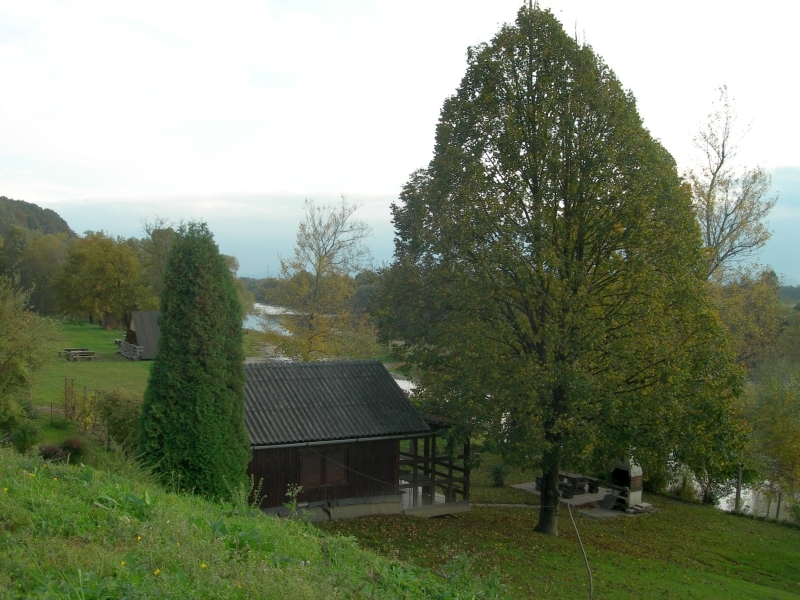 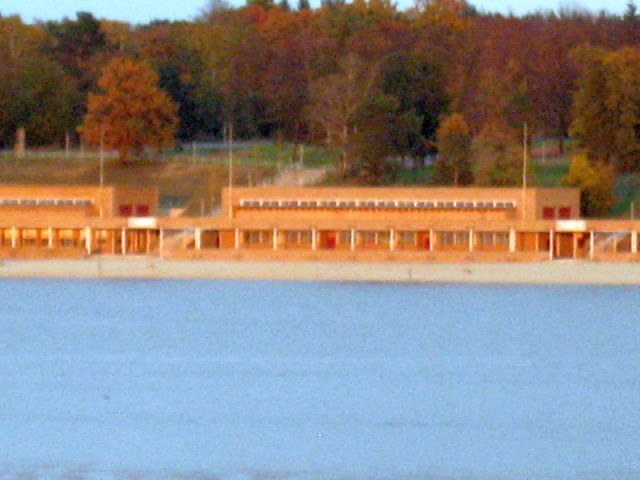 The camp was established in 1936. 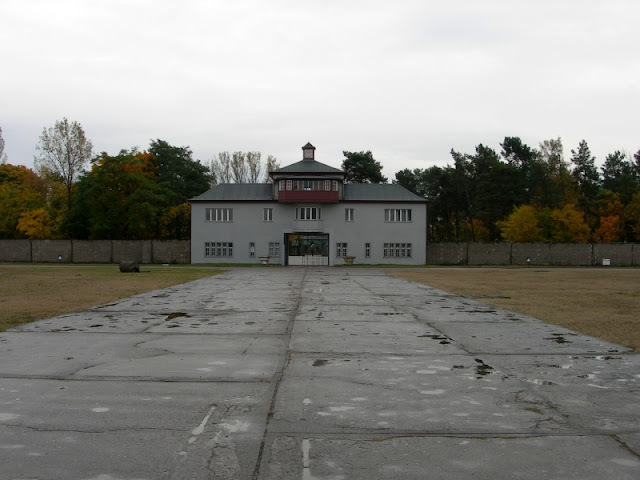 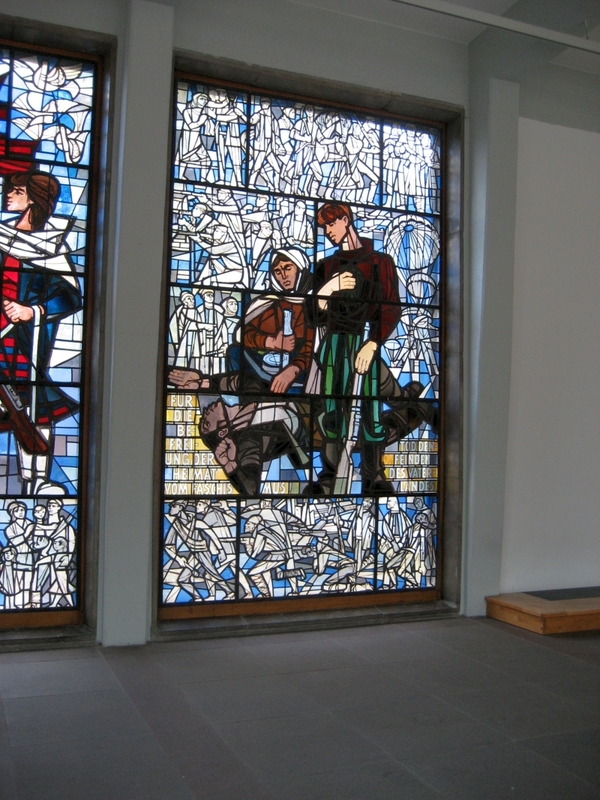 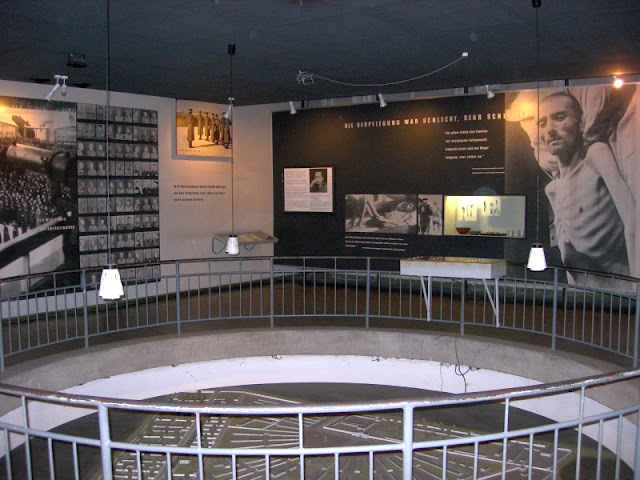 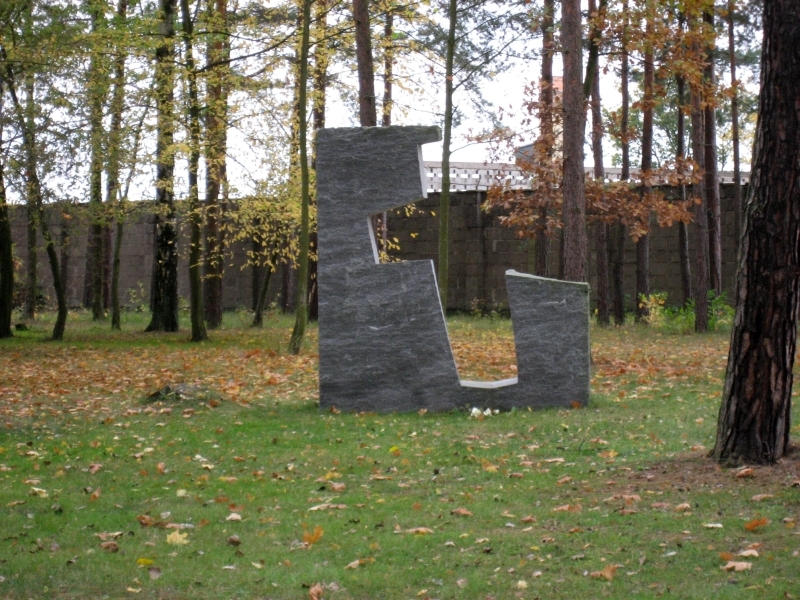 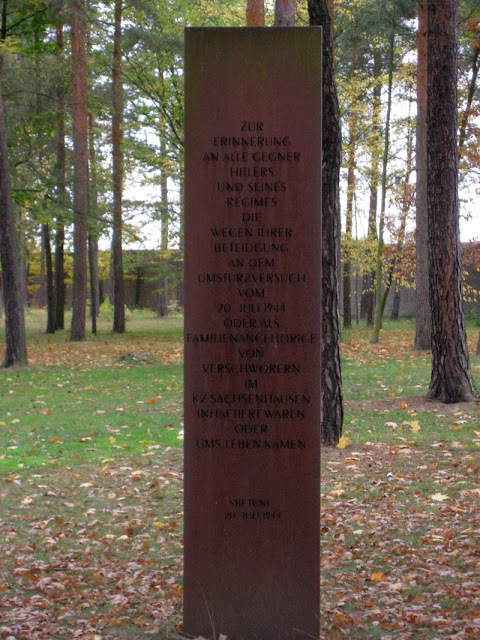 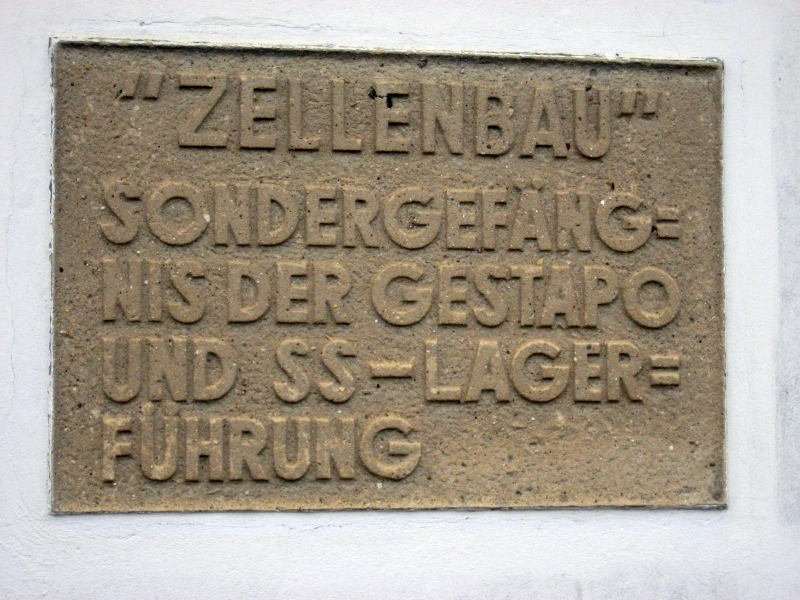 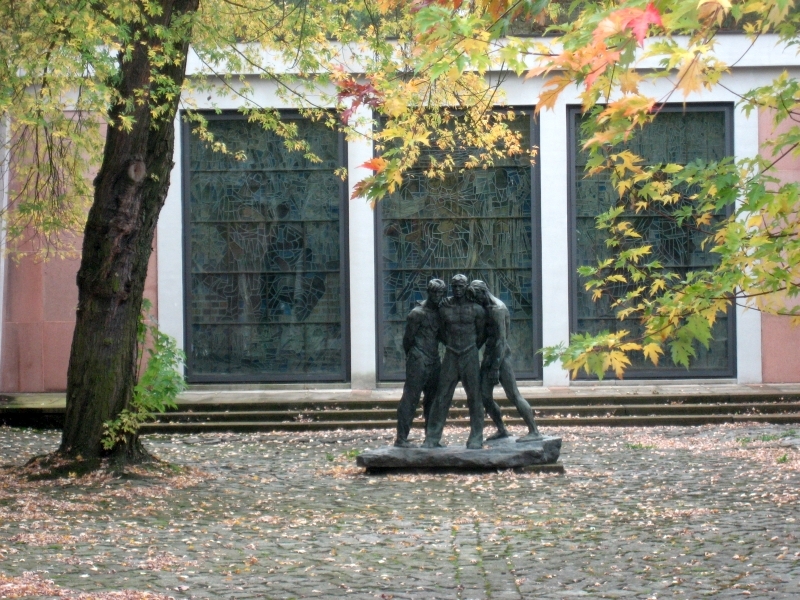 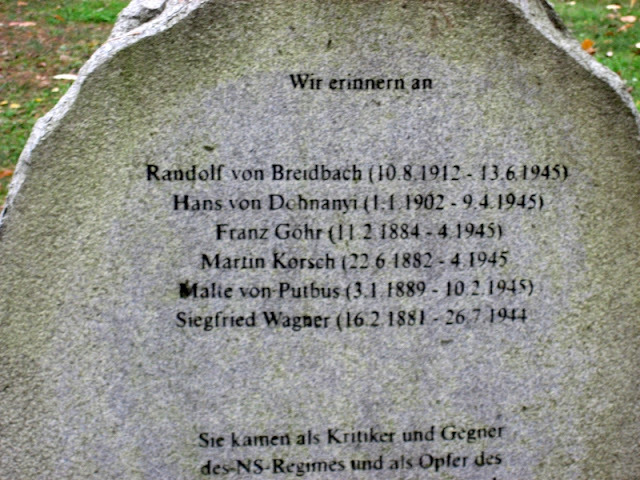 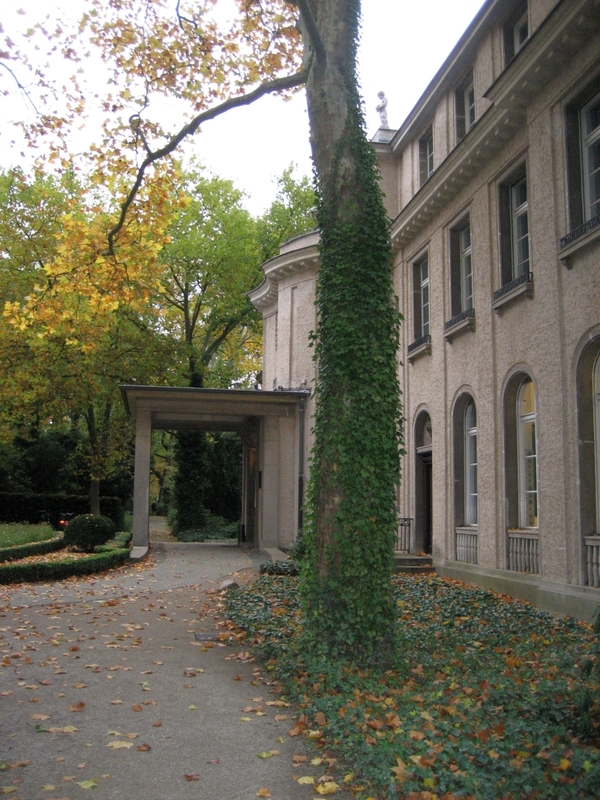 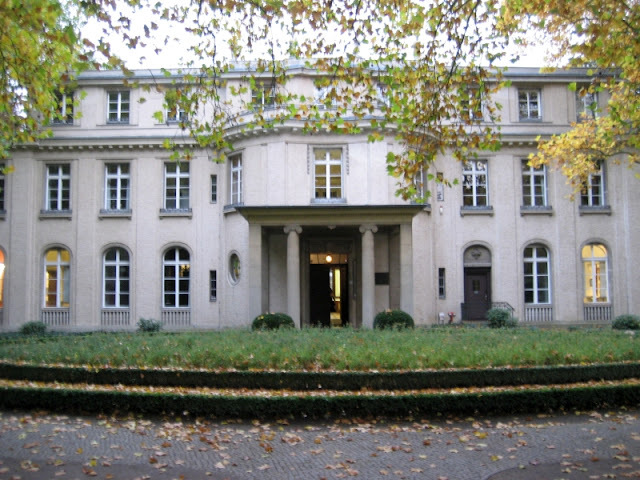 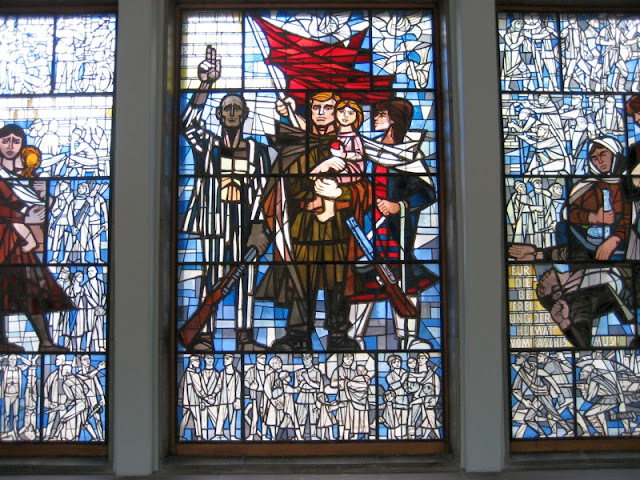 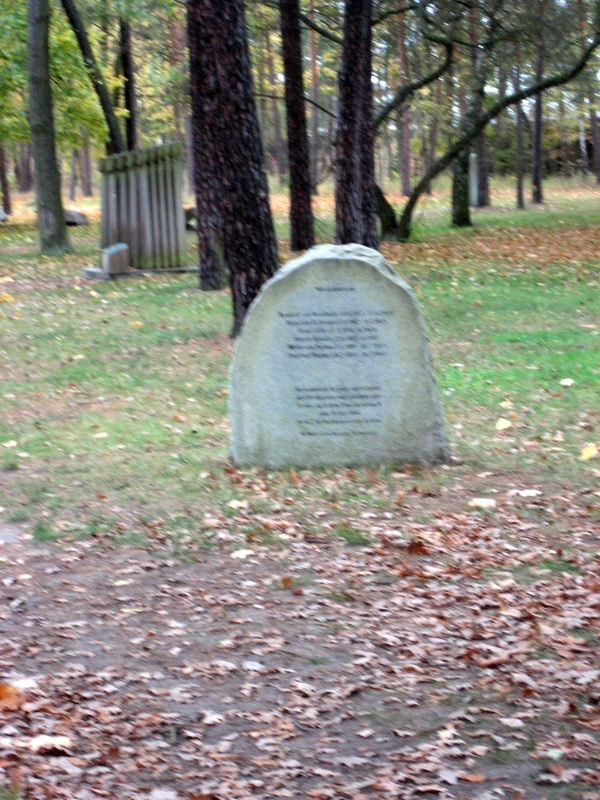 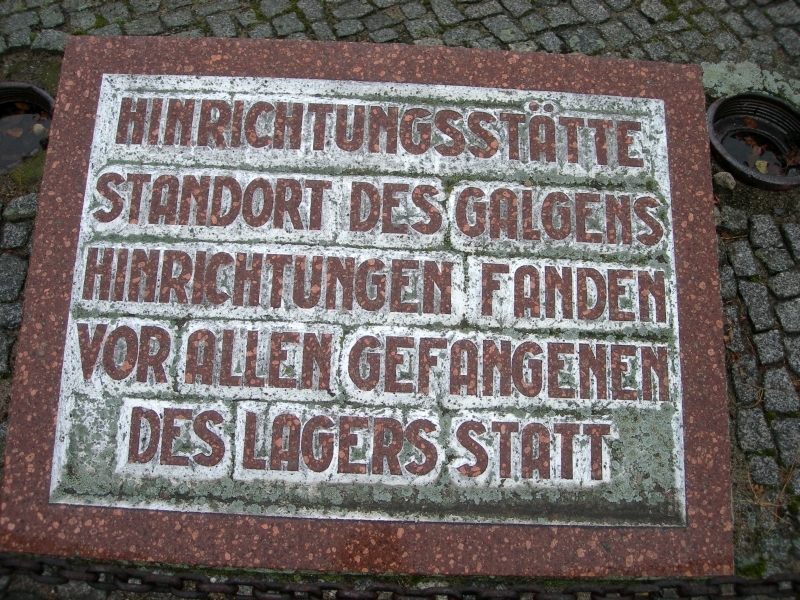 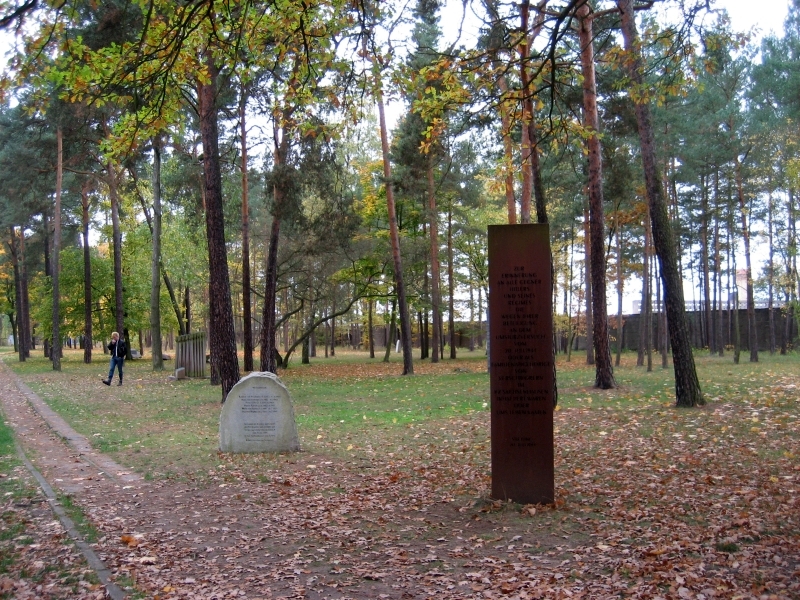 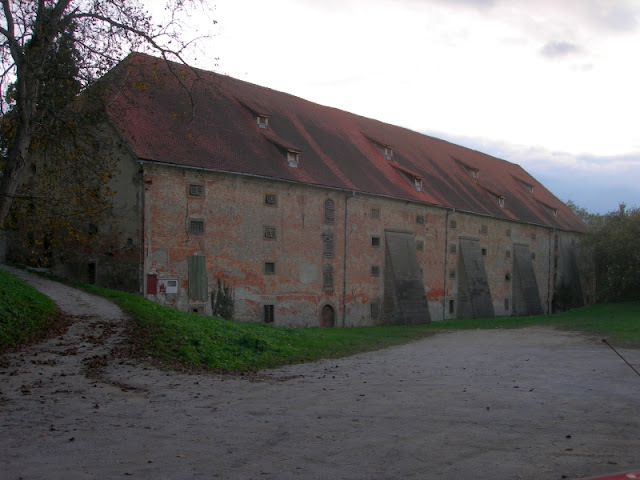 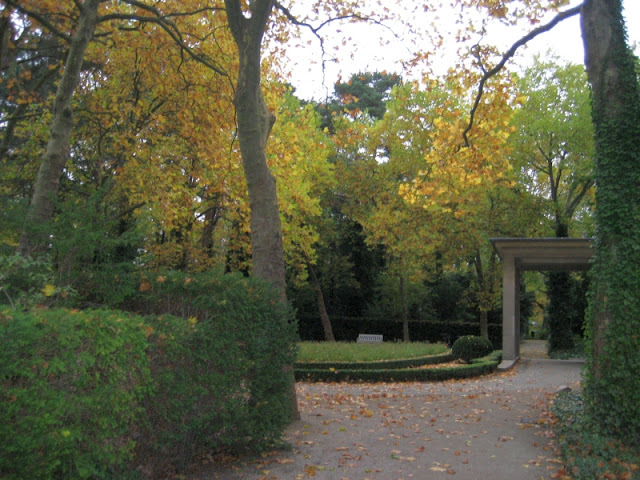 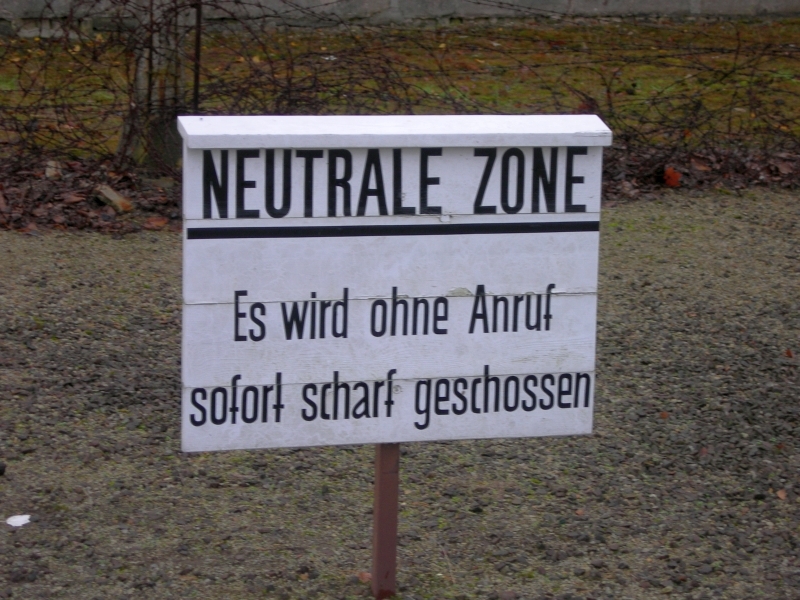 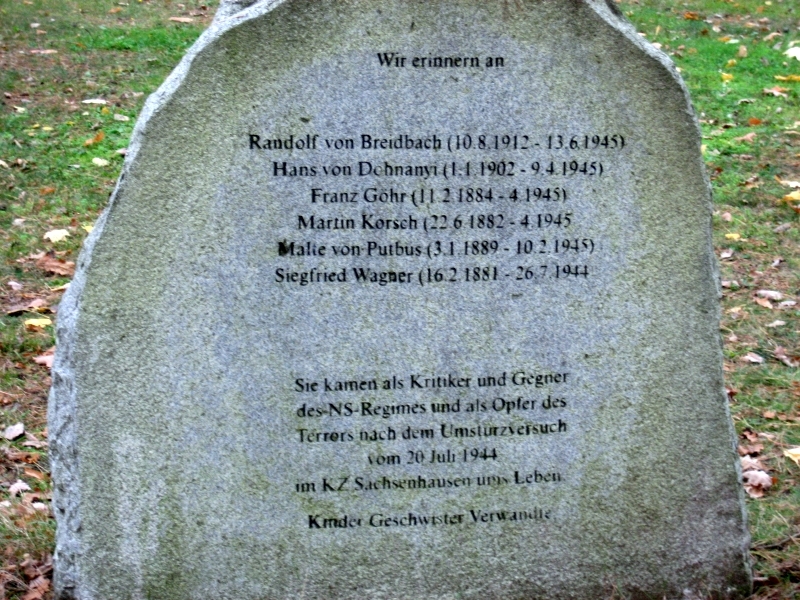 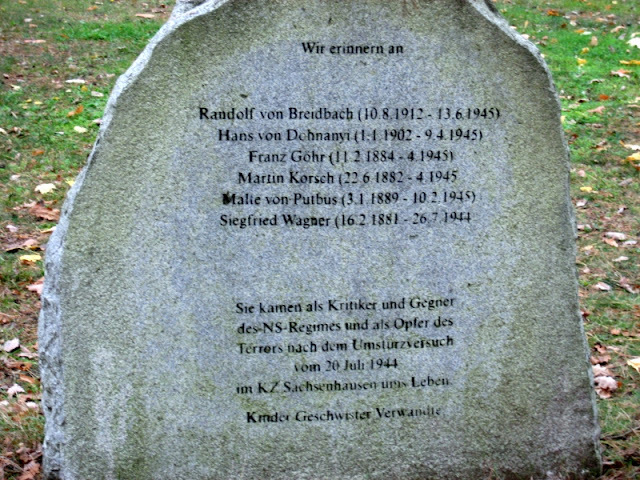 It was located 35 kilometres (22 mi) north of Berlin, which gave it a primary position among the German concentration camps: the administrative centre of all concentration camps was located in Oranienburg, and Sachsenhausen became a training centre for Schutzstaffel (SS) officers (who would often be sent to oversee other camps afterwards). 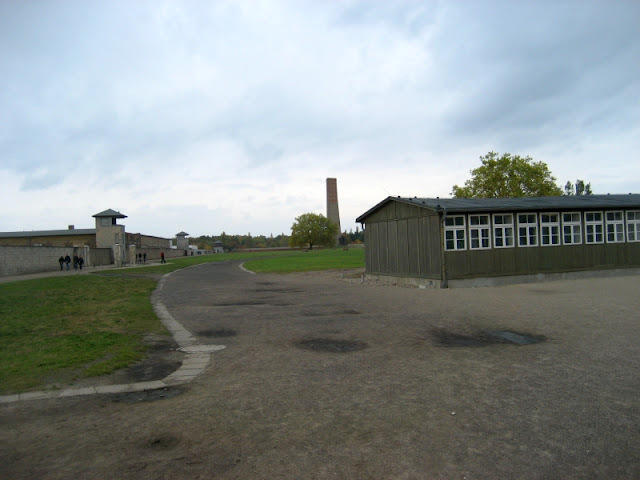 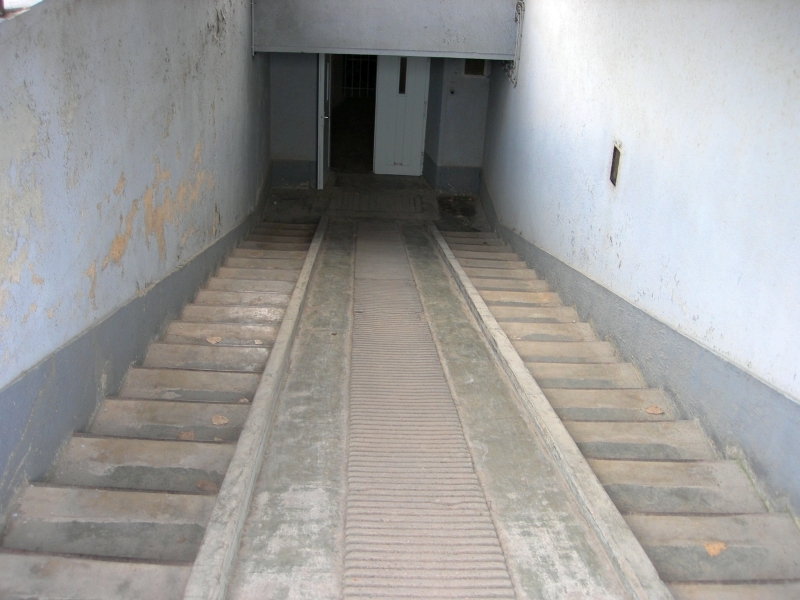 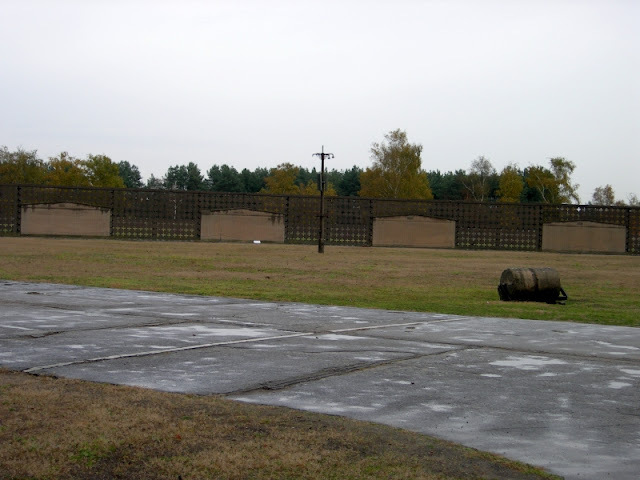 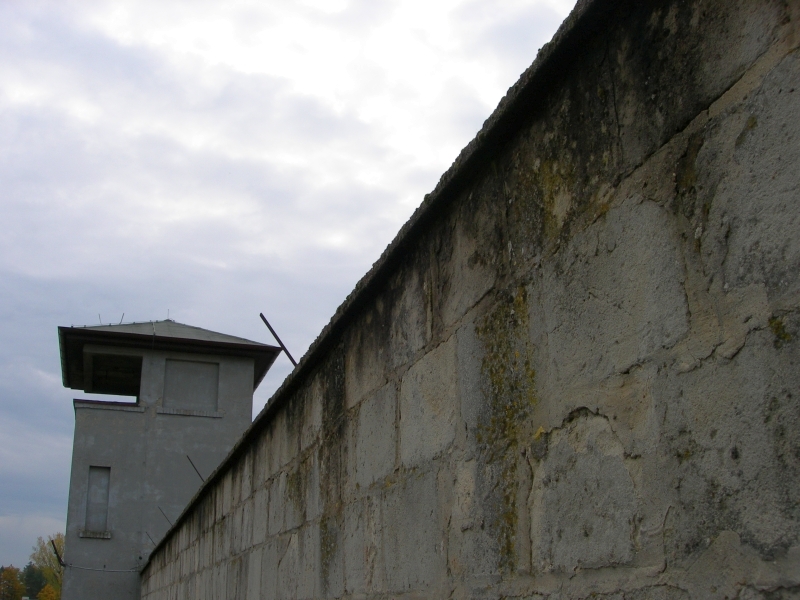 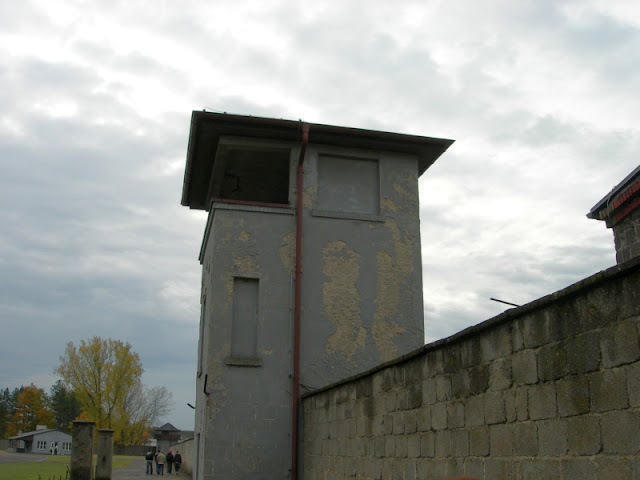 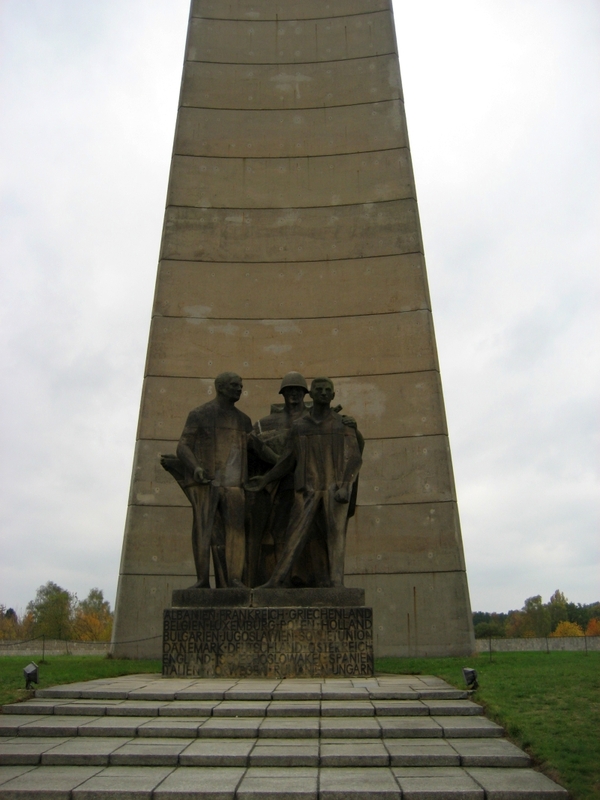 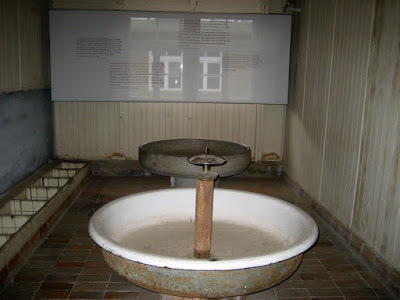 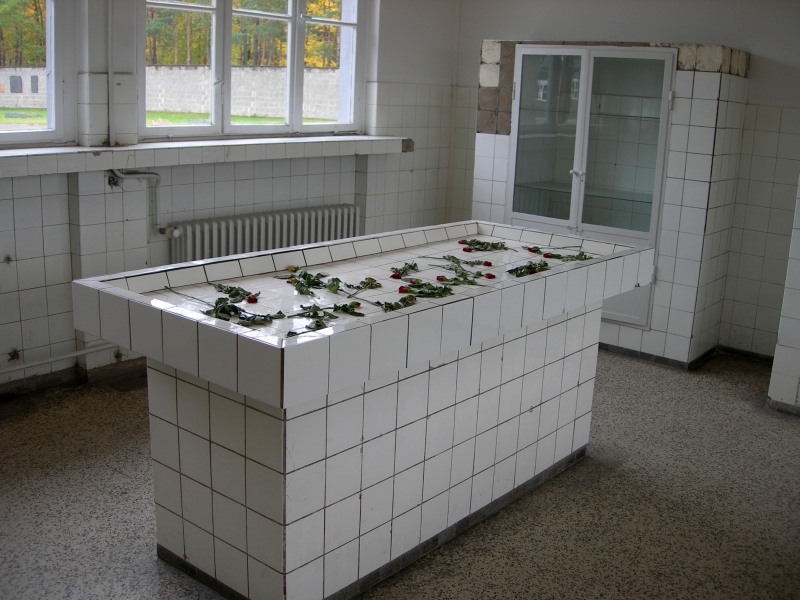 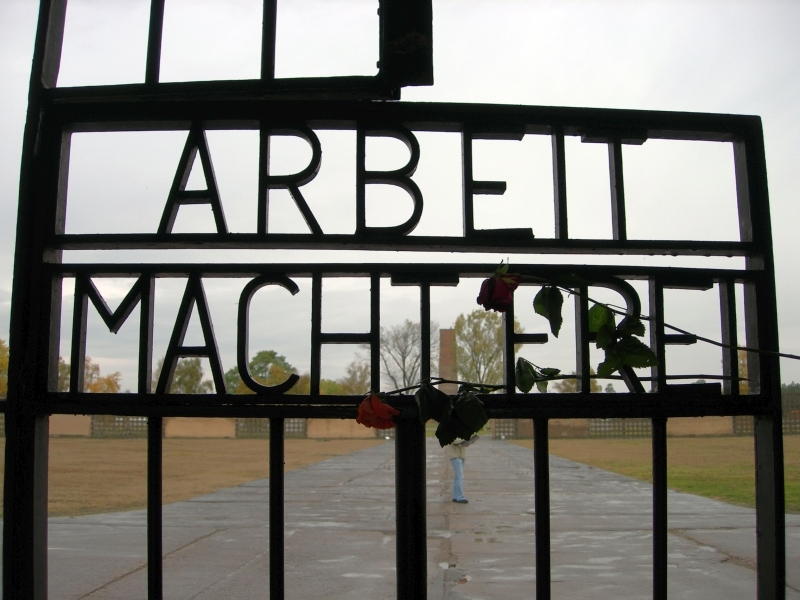 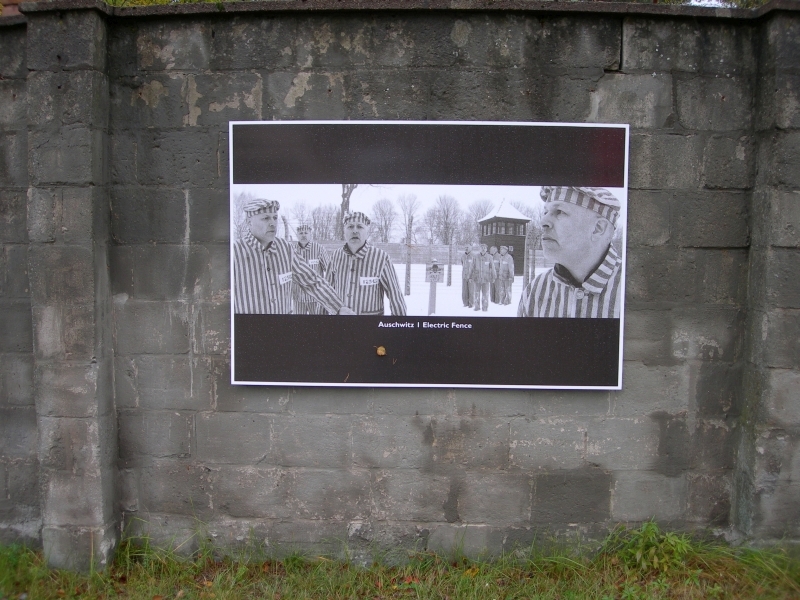 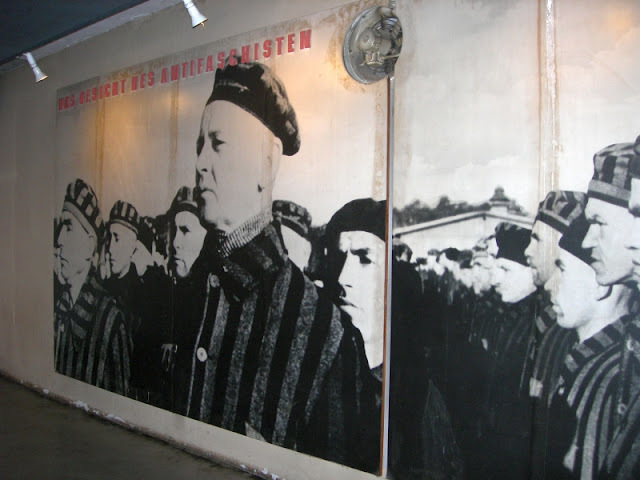 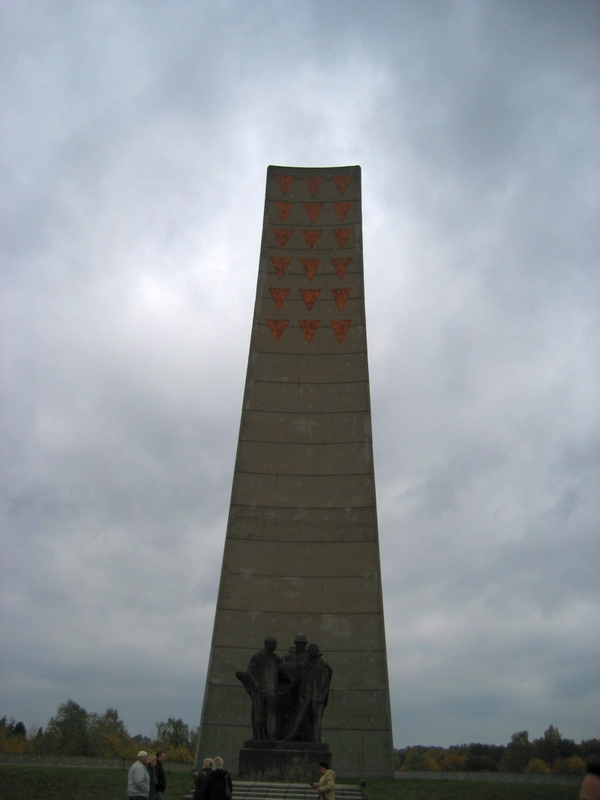 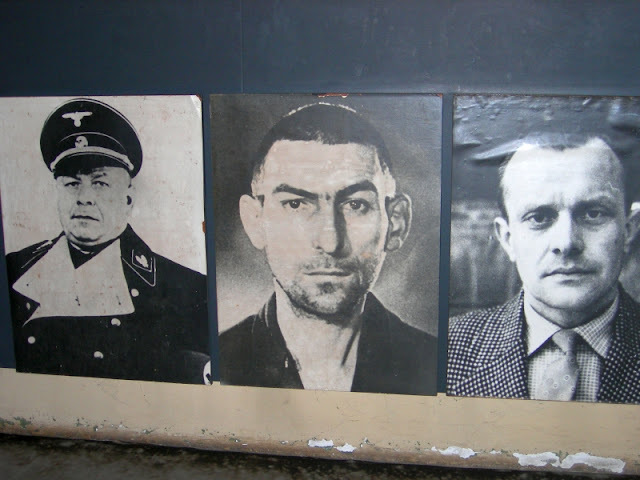 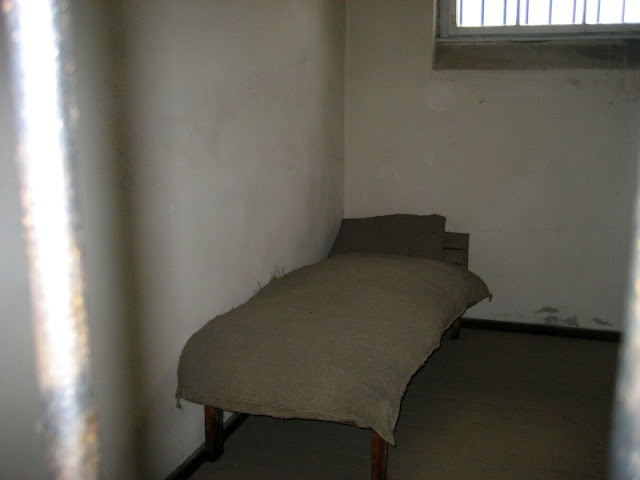 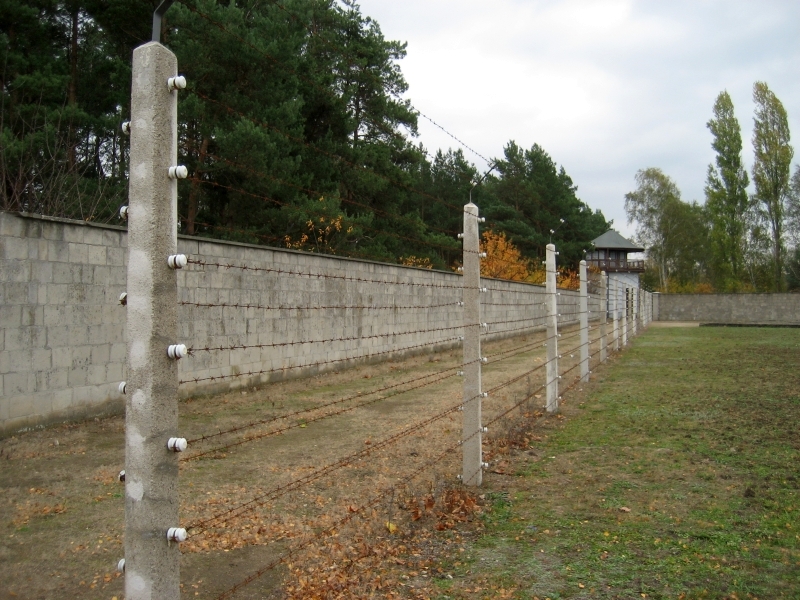 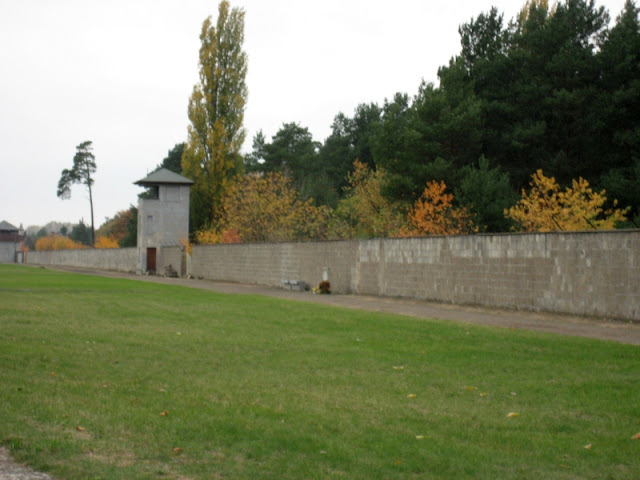 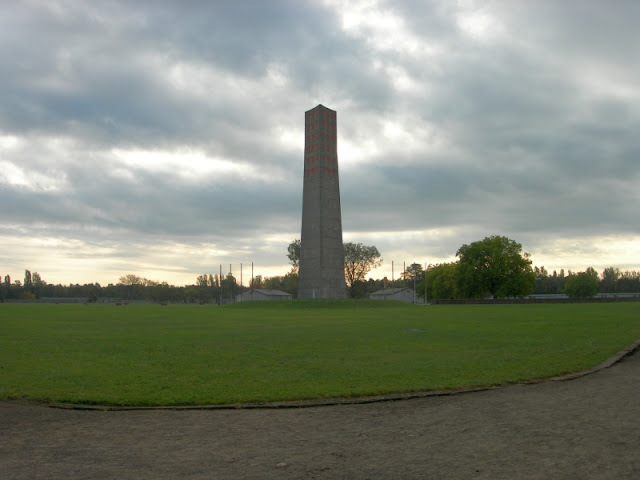 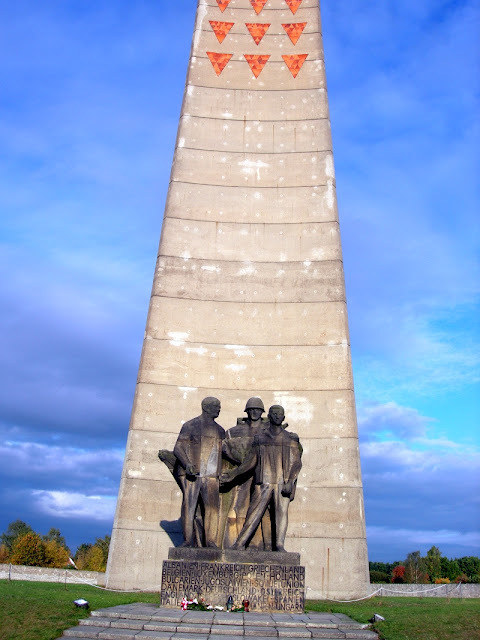 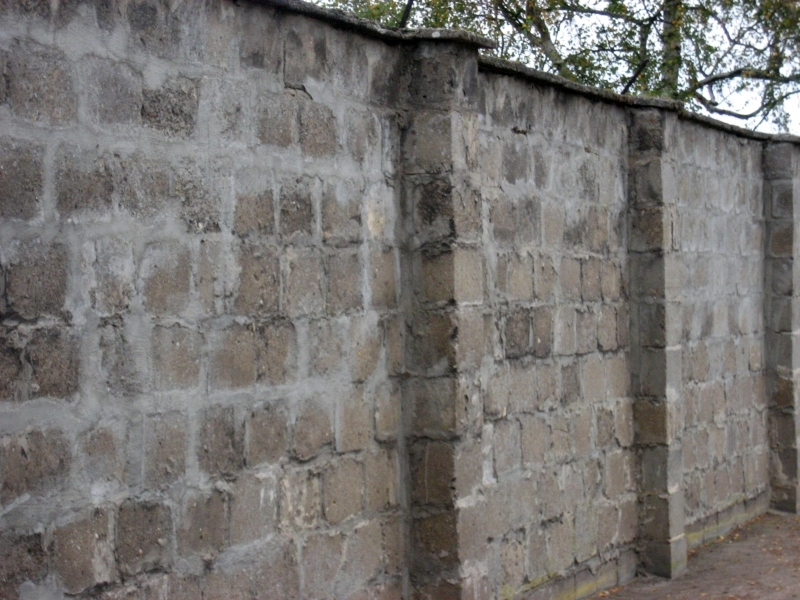 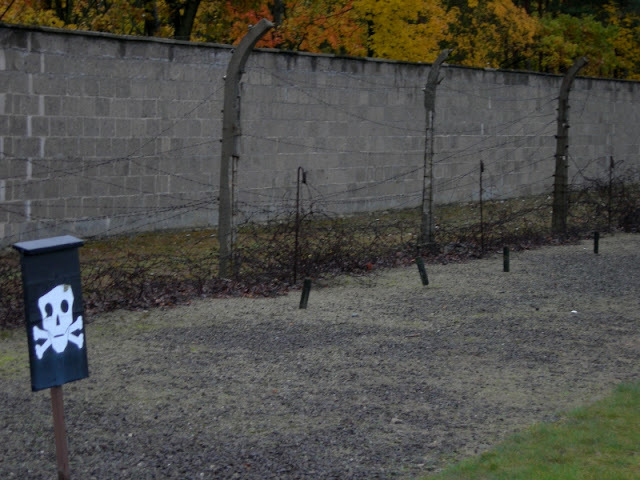 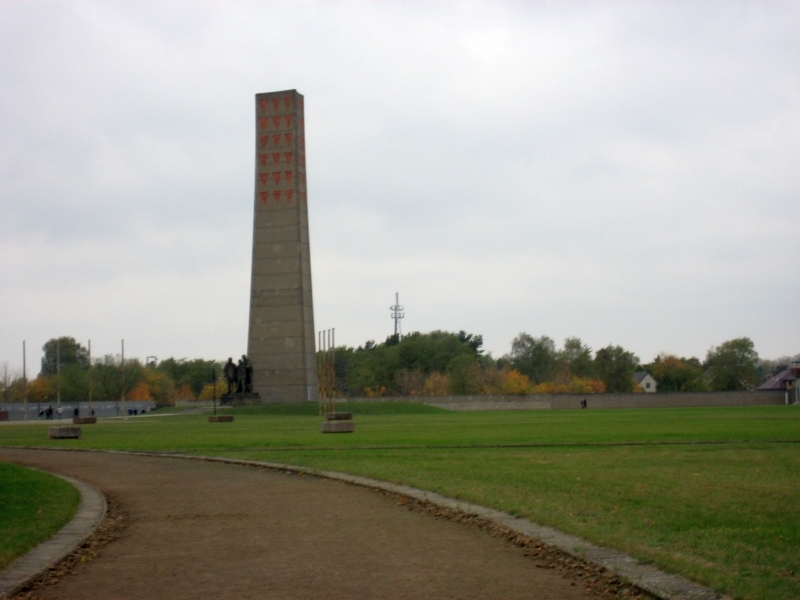 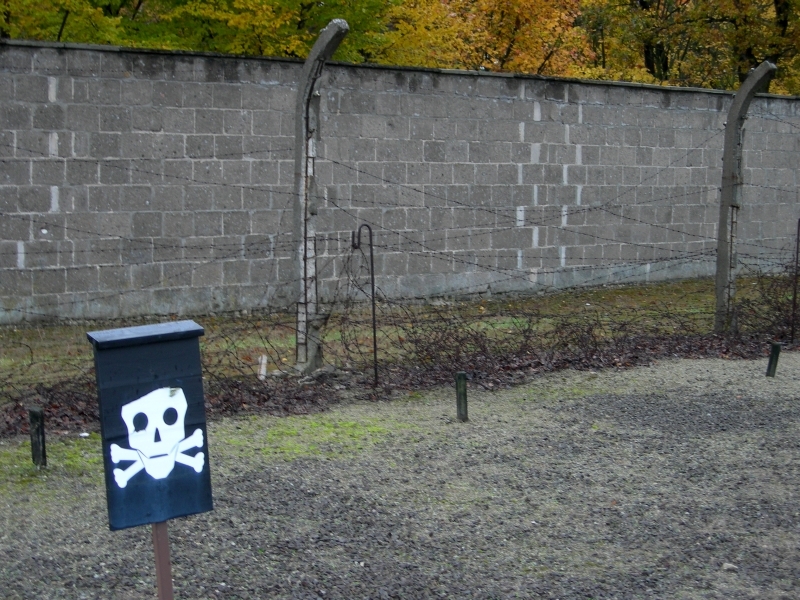 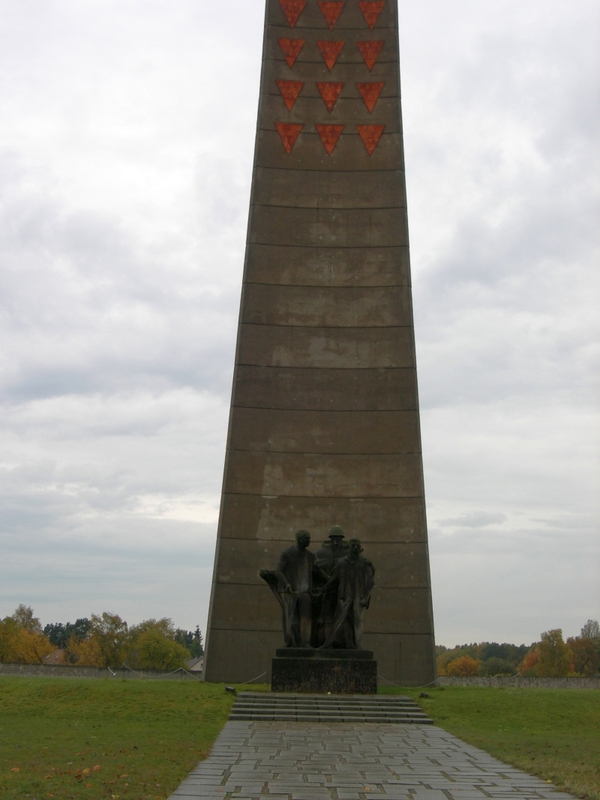 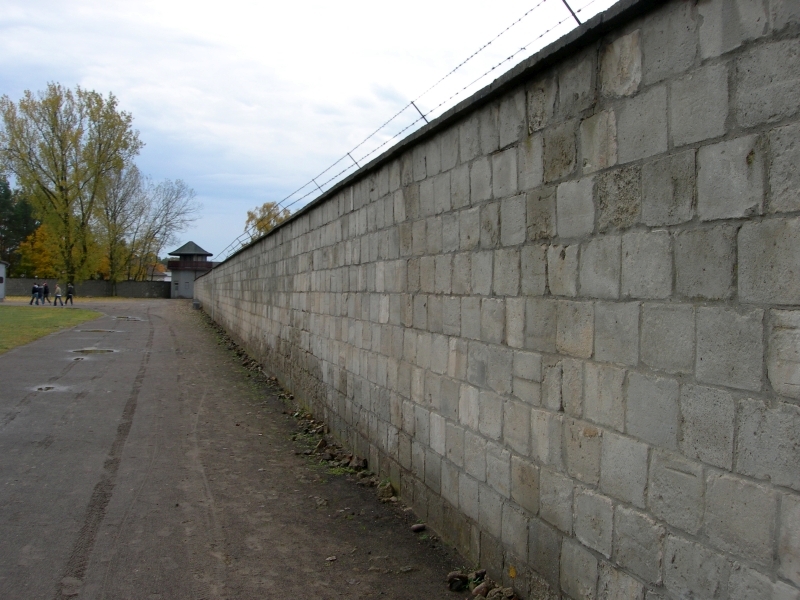 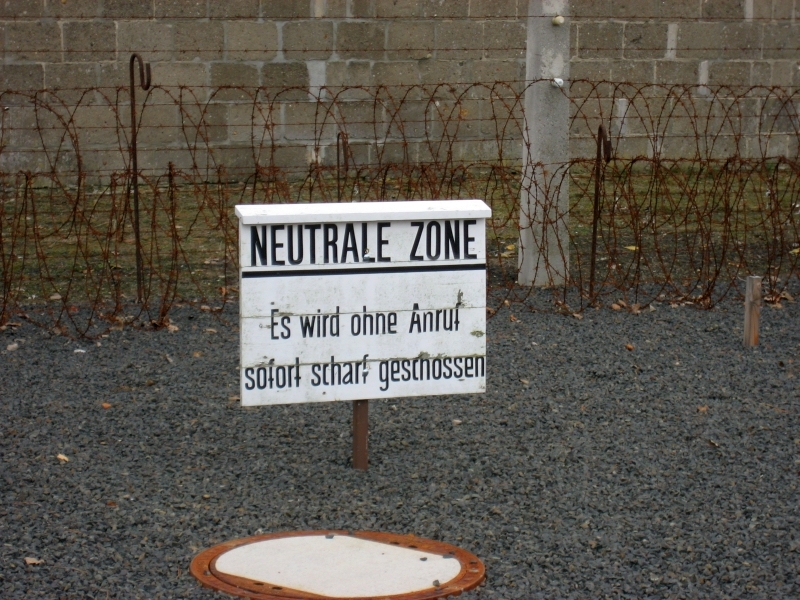 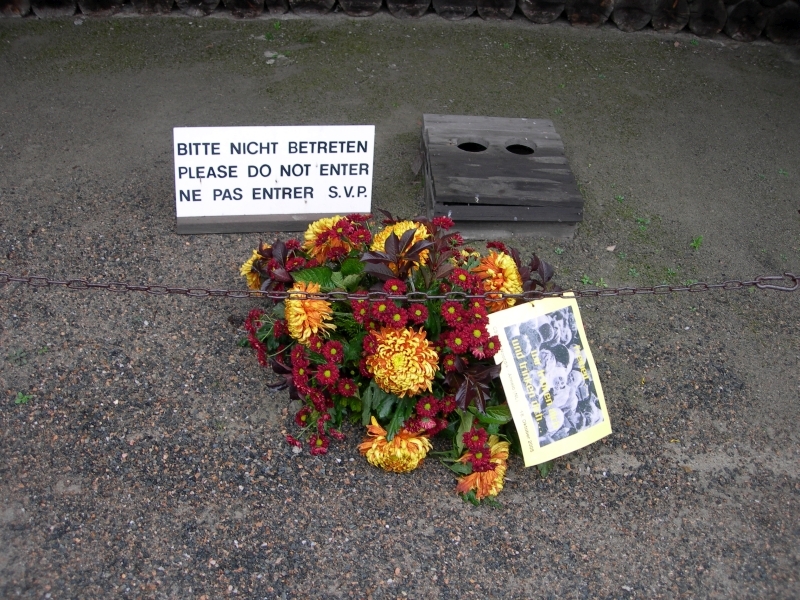 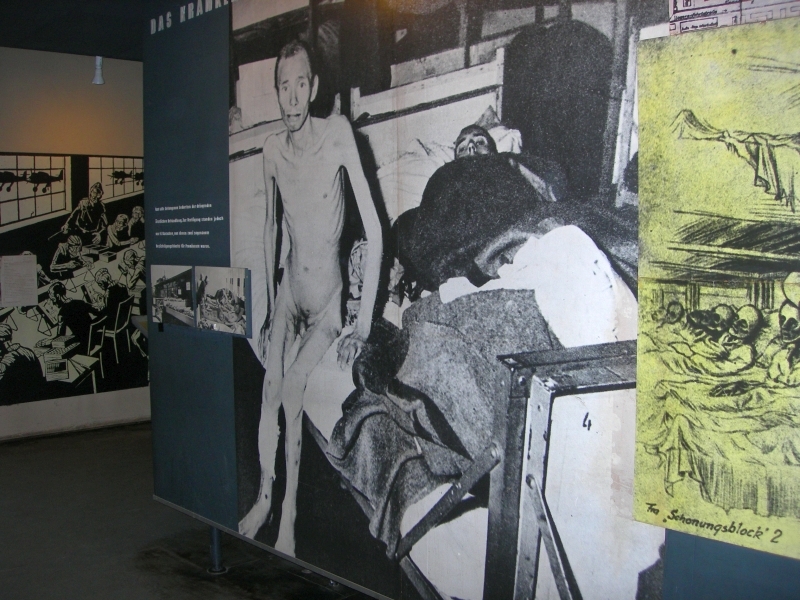 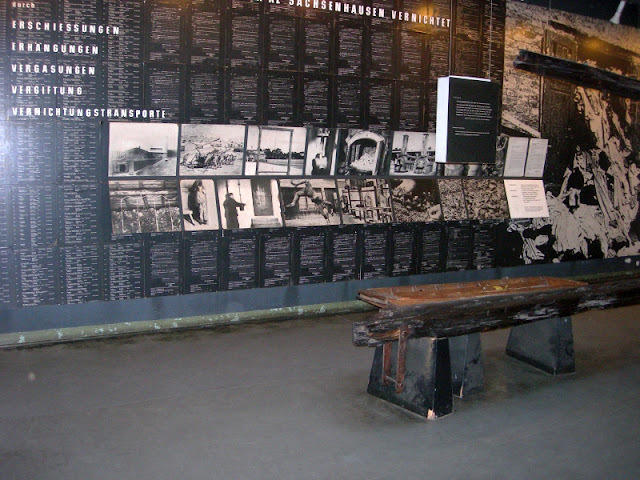 Executions took place at Sachsenhausen, especially of Soviet prisoners of war. 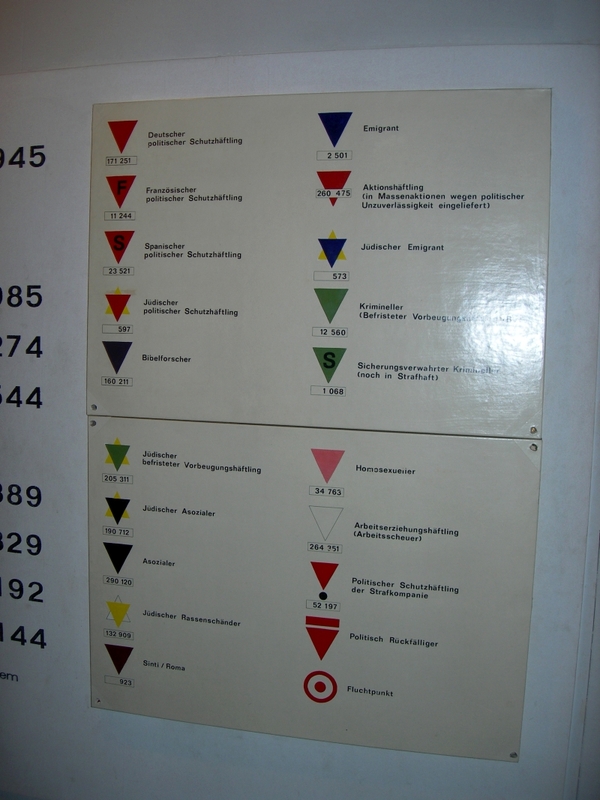 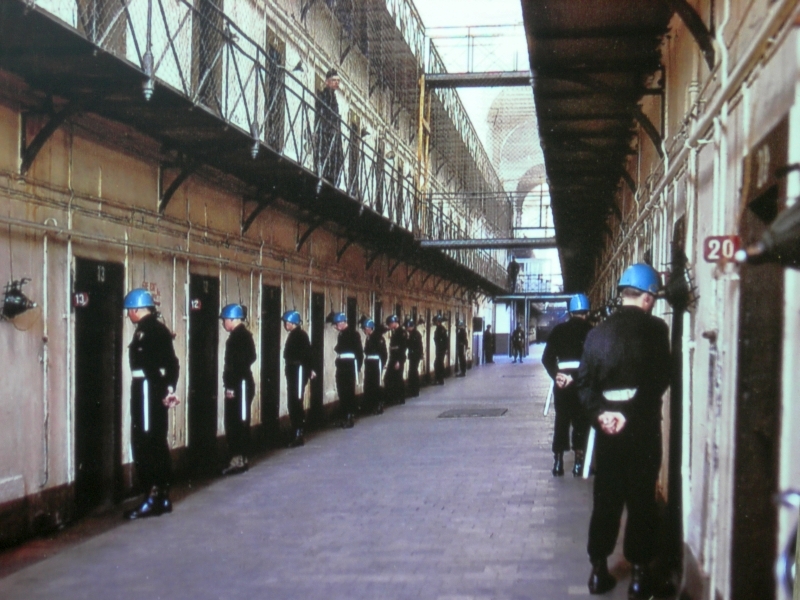 Among the prisoners, there was a "hierarchy": at the top, criminals (rapists, murderers), then Communists (red triangles), then homosexuals (pink triangles), Jehovah's Witnesses (purple triangles), and Jews (yellow triangles). 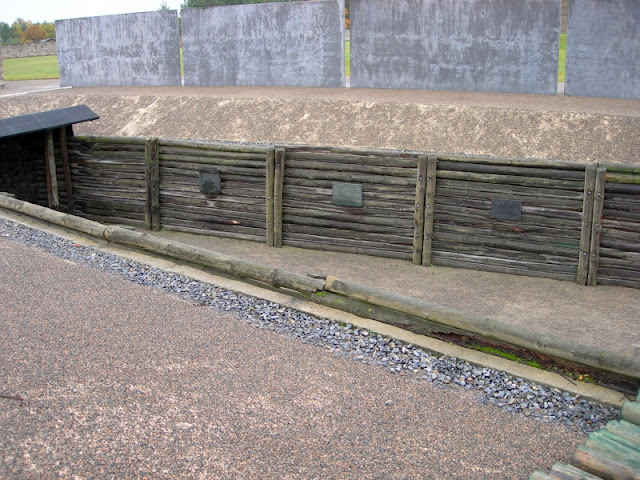 During the earlier stages of the camp's existence the executions were done in a trench, either by shooting or by hanging. 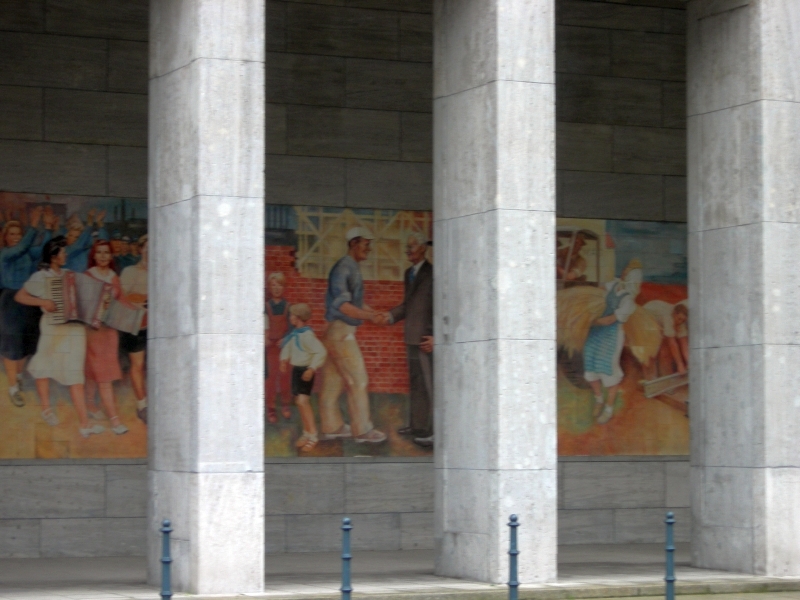 A large task force of prisoners was used from the camp to work in nearby brickworks to meet Albert Speer's vision of rebuilding Berlin. 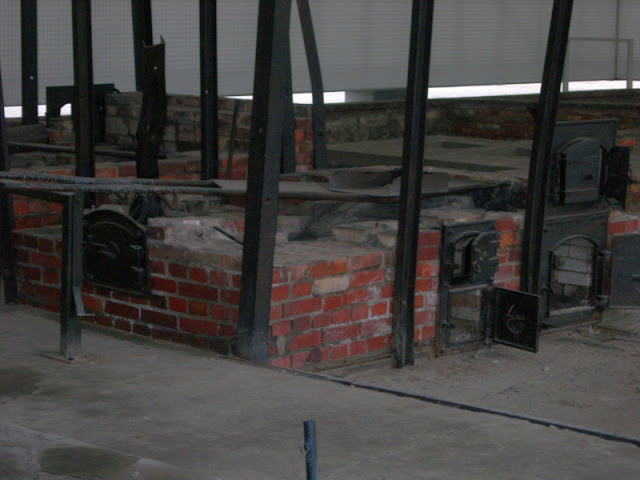 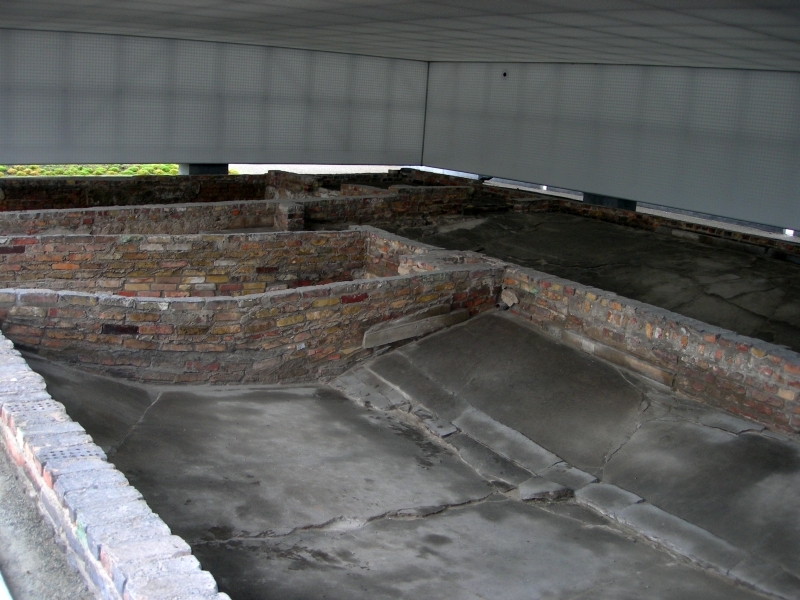 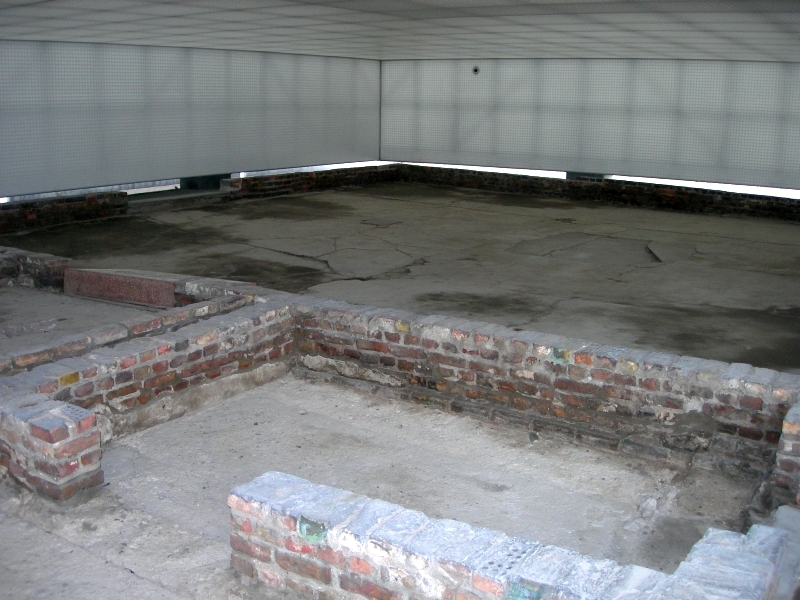 Sachsenhausen was originally not intended as an extermination camp—instead, the systematic murder was conducted in camps to the east. 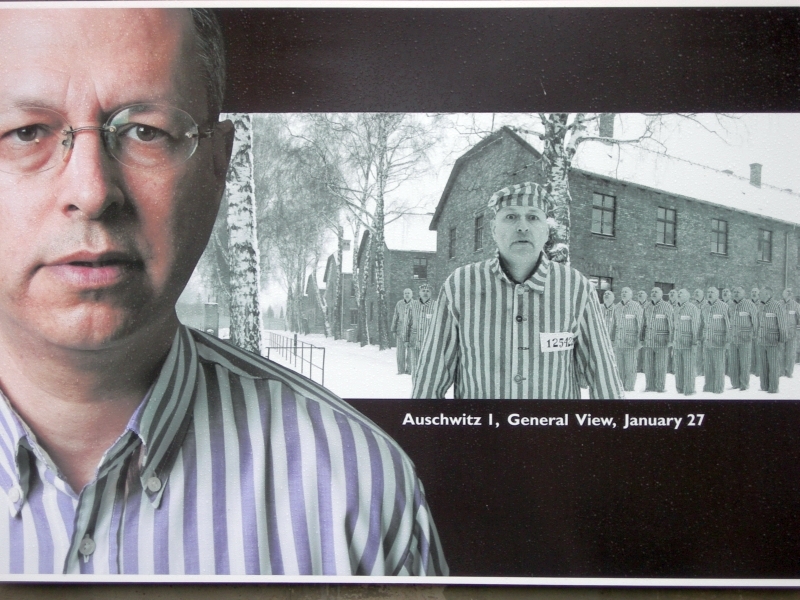 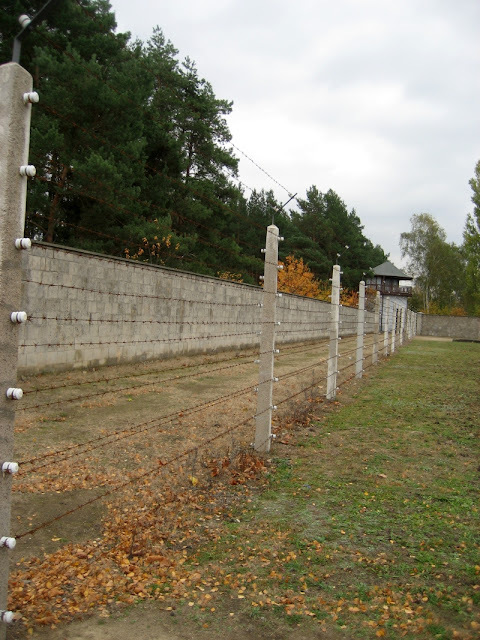 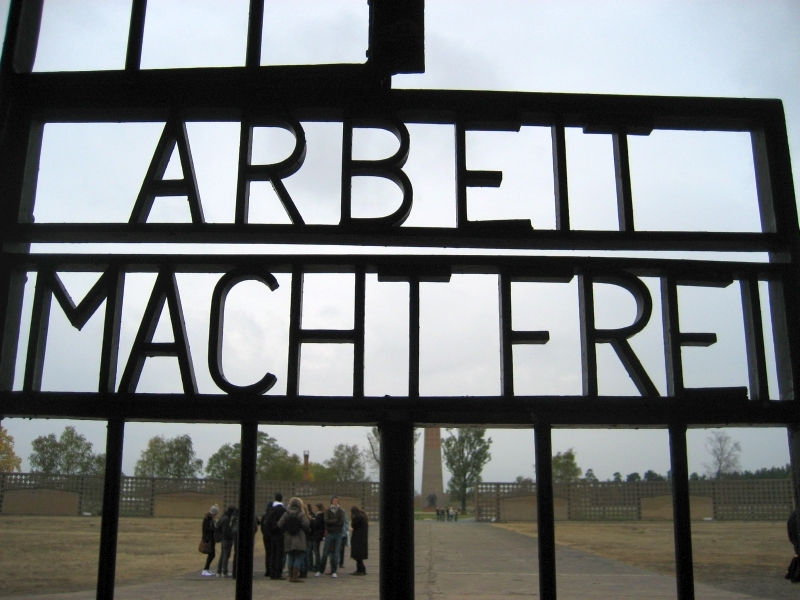 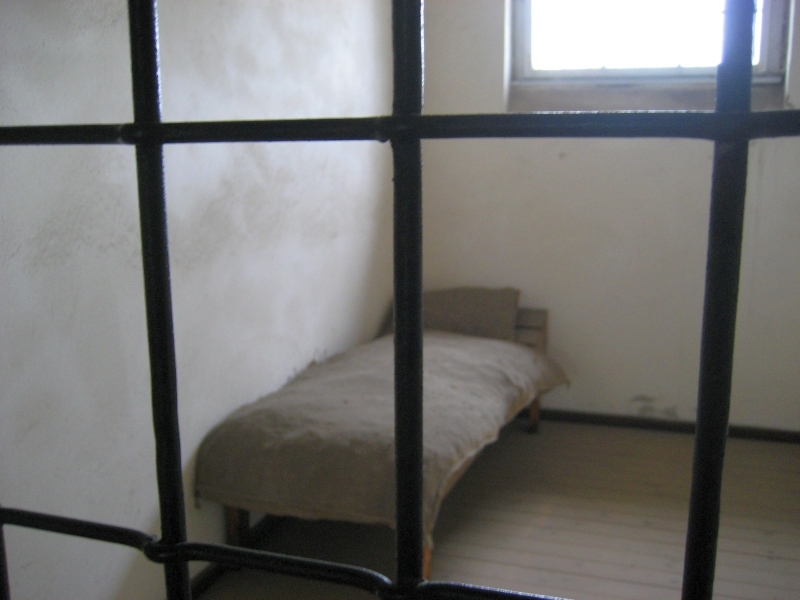 In 1942 large numbers of Jewish inmates were relocated to Auschwitz. 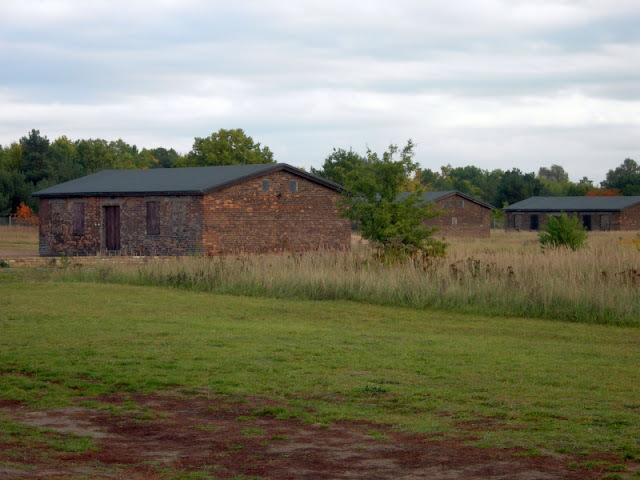 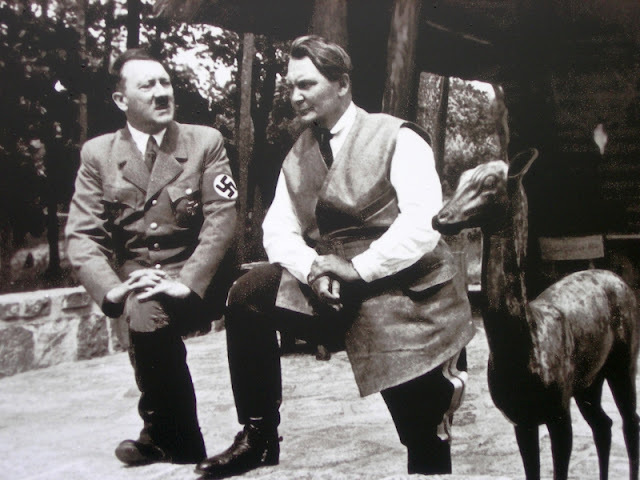 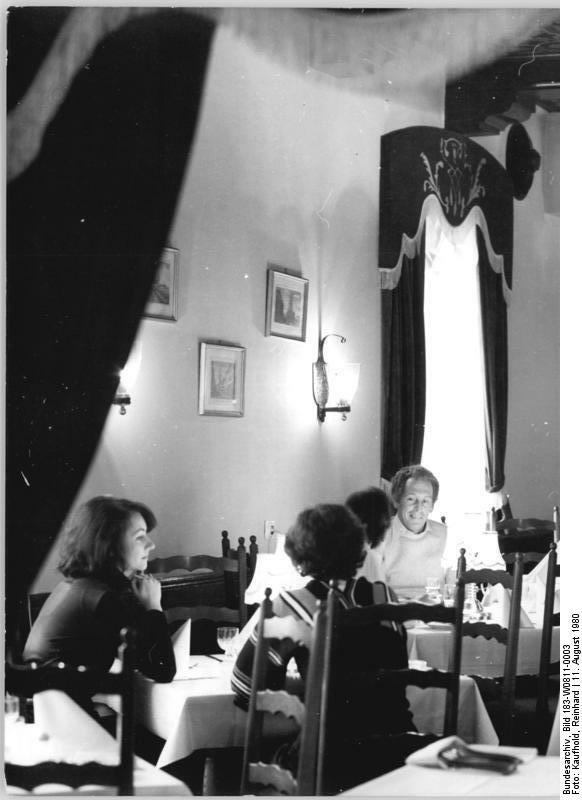 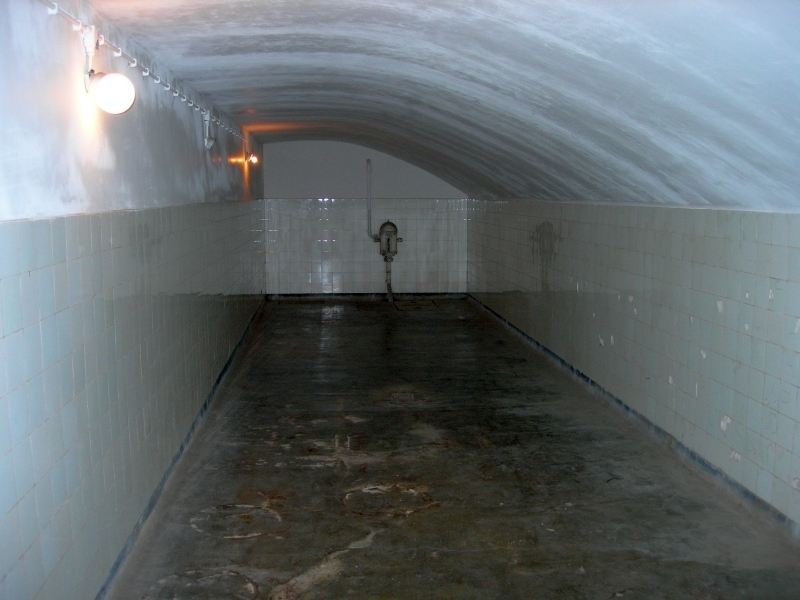 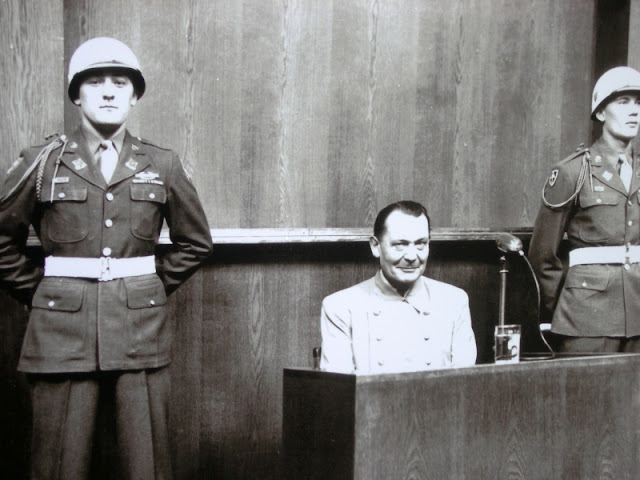 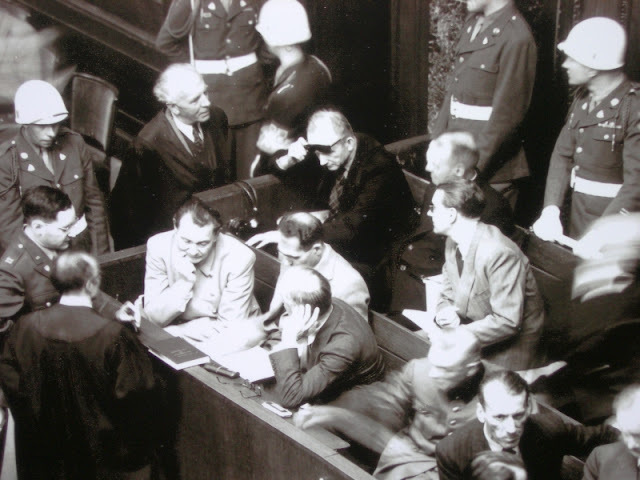 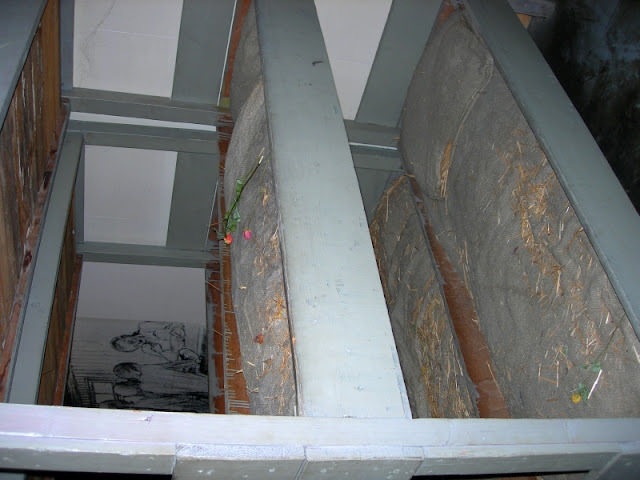 However the construction of a gas chamber and ovens by camp-commandant Anton Kaindl in March 1943 facilitated the means to kill larger numbers of prisoners. 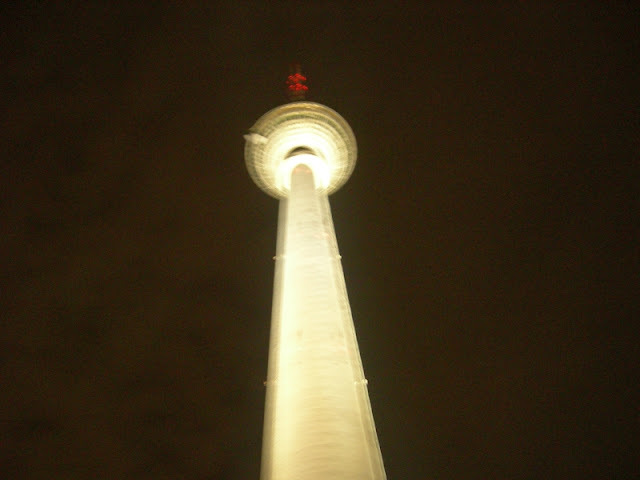 I have visited in the middle of winter and in Summer. In the winter first thing in the morning and I was the only person there for a good hour. 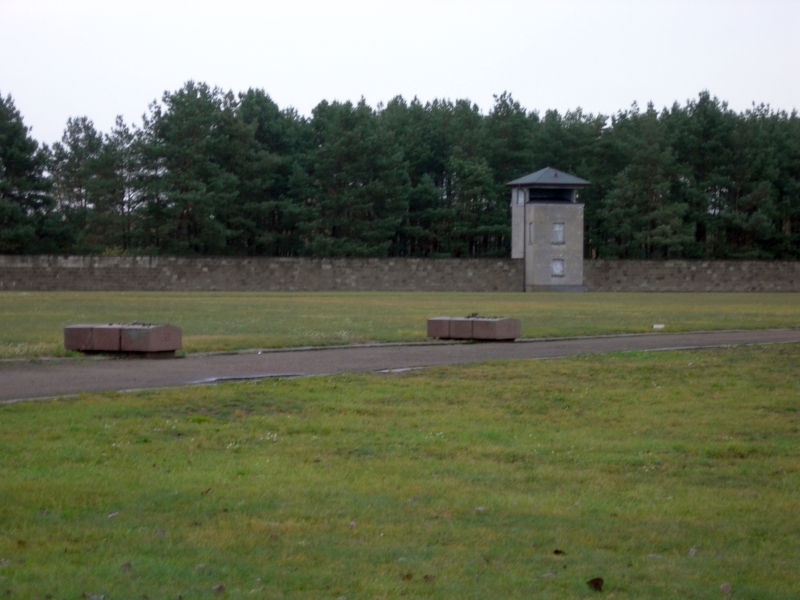 Even walking from the same train station as the victims in the snow you get this horrible feeling which builds as you walk towards the camp. 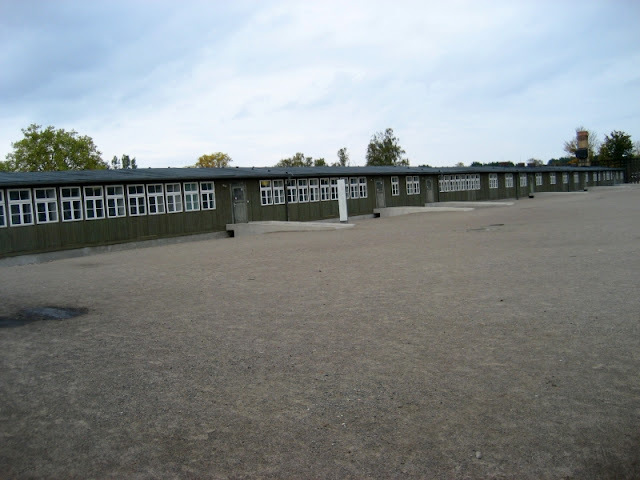 When I arrived it's was eerily quiet. 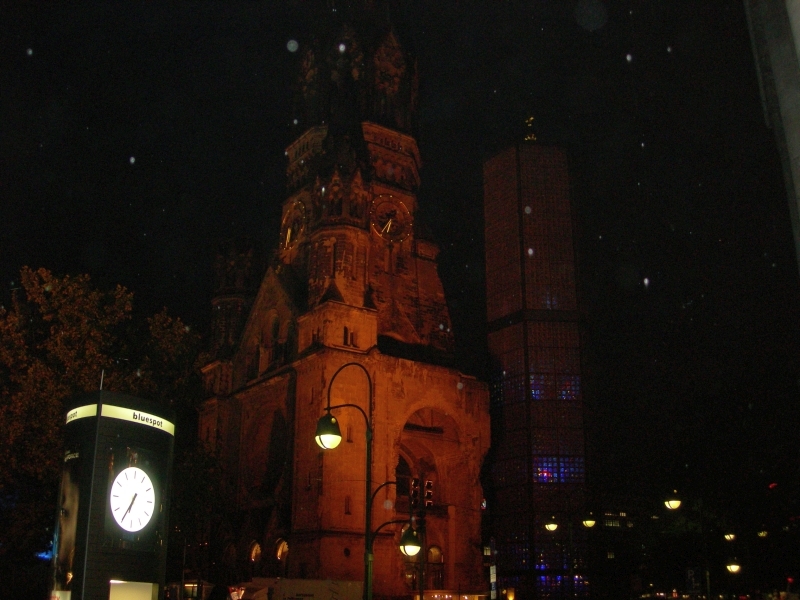 The size is impressive and when covered in fresh snow it looks beautiful. 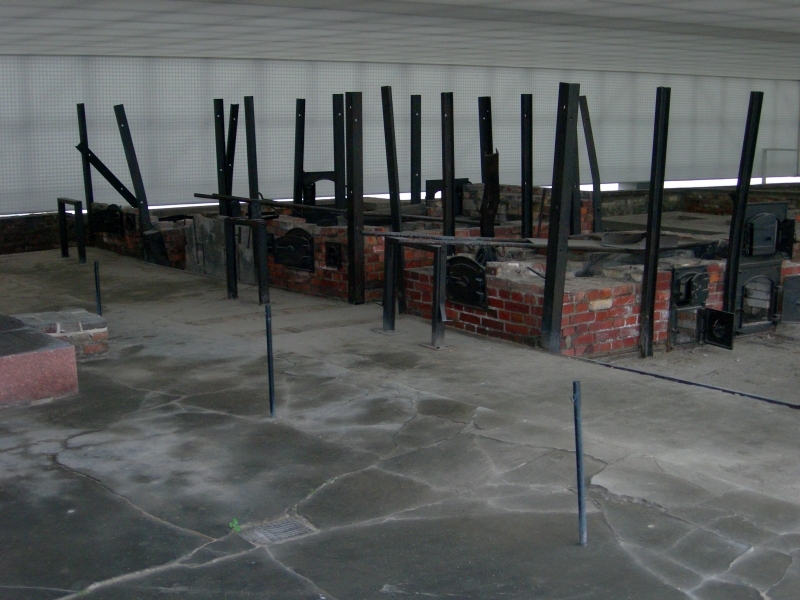 It's almost feels peaceful until you start to imagine the horrors that were committed right under your feet. 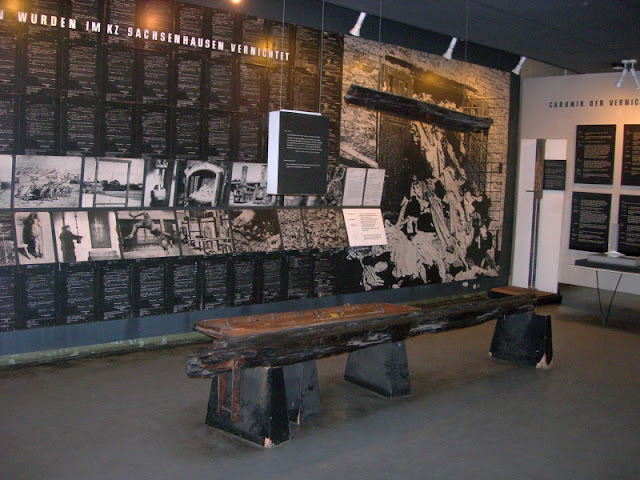 Most of the original buildings have long since been destroyed but the exhibits and your imagine will fill in the gaps.You could easily spend a day here if you have the time and attention span.